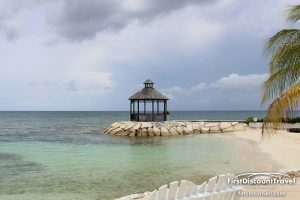 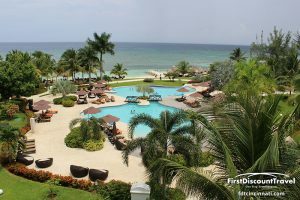 On an island that was once part of the British Empire, Secrets St. James, Montego Bay presents guests with a quiet, relaxing, oceanfront destination. 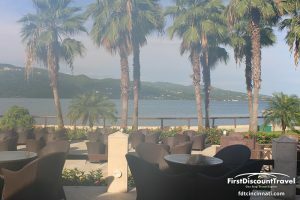 This adults- only, Unlimited-Luxury resort completely surrounded by the crystal-clear Caribbean features 350 opulent suites, impeccable service and superior amenities. 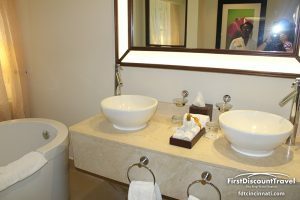 From suites to the 15,000 square foot Secrets Spa by Pevonia, the resort's classic furniture and modern fabrics echo this modern take on the sophistication of the era. 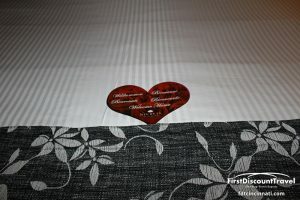 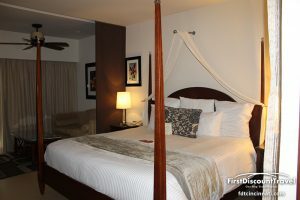 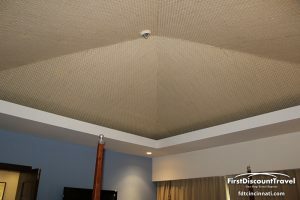 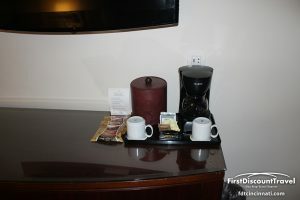 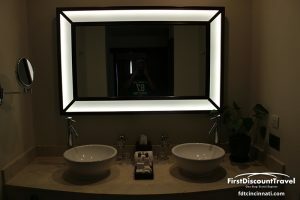 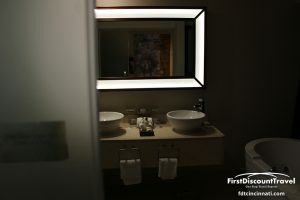 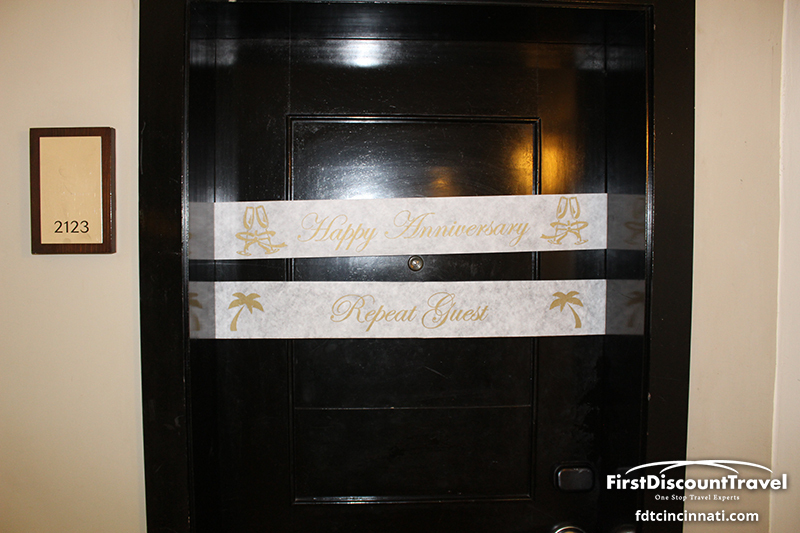 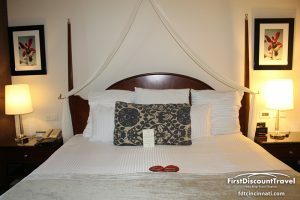 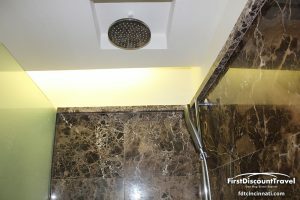 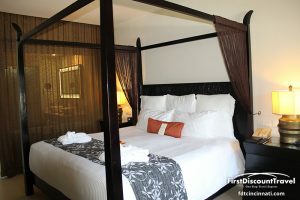 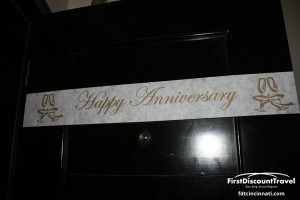 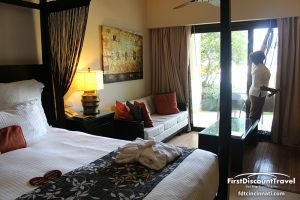 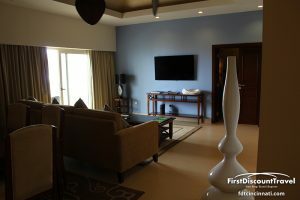 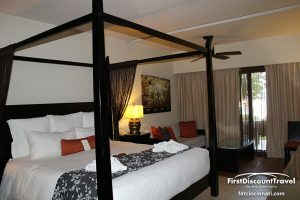 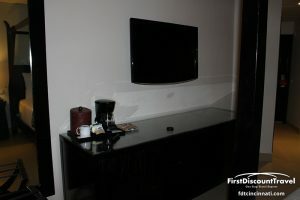 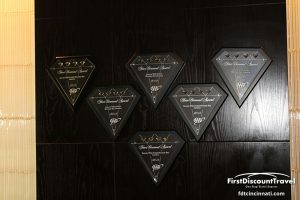 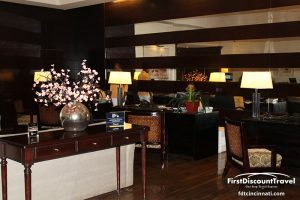 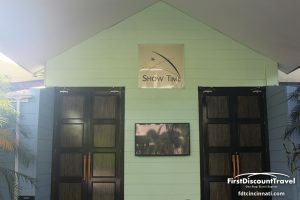 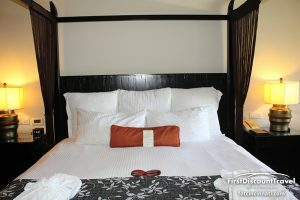 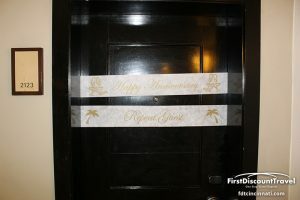 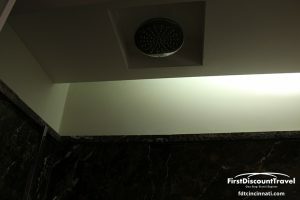 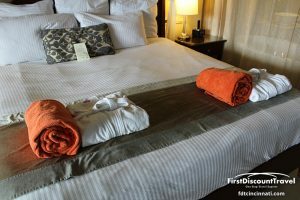 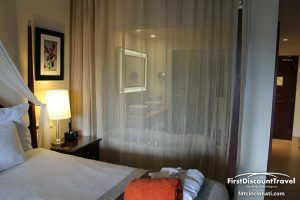 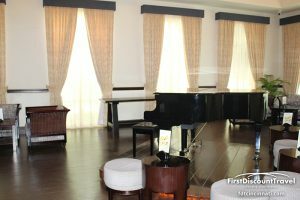 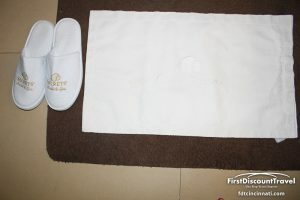 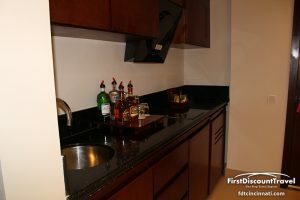 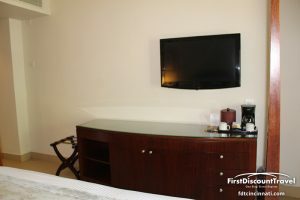 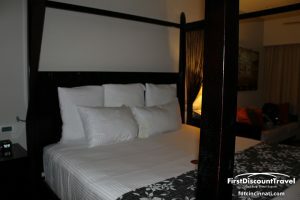 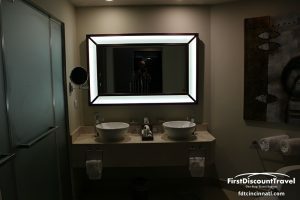 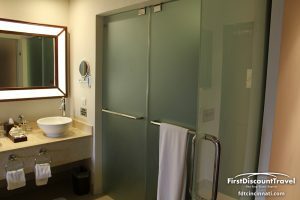 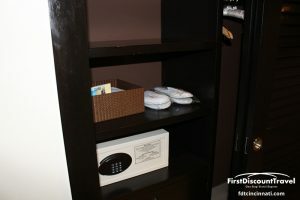 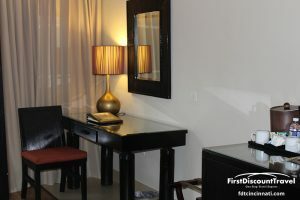 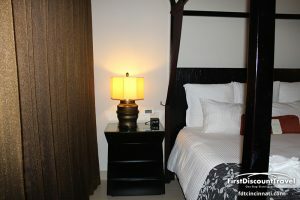 Each of the suites feature a king or two queen beds, 24-hour room service, a private and furnished patio or balcony, Secrets Box for private room service delivery, daily refreshed mini bar with soft drinks, bottled water and beer, hair dryer, cable television, MP3 docking alarm clock, spacious bathroom, bathrobes and slippers and more. 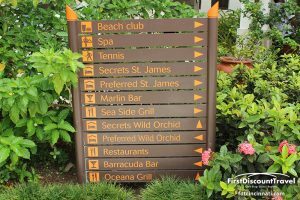 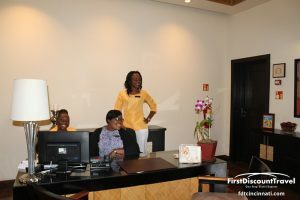 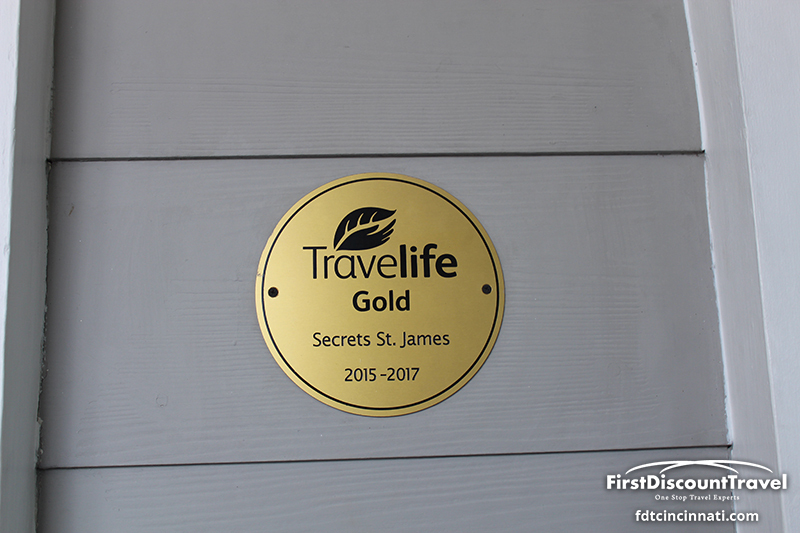 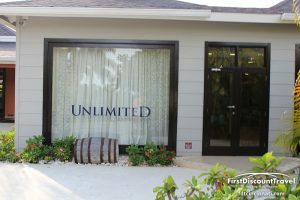 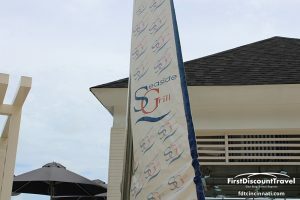 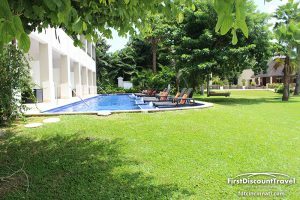 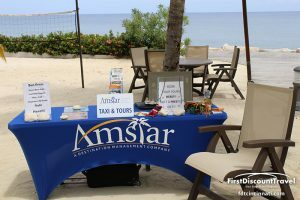 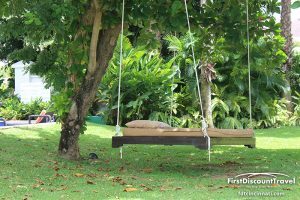 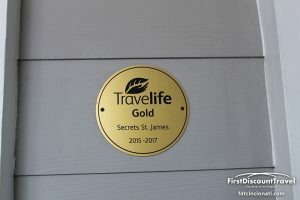 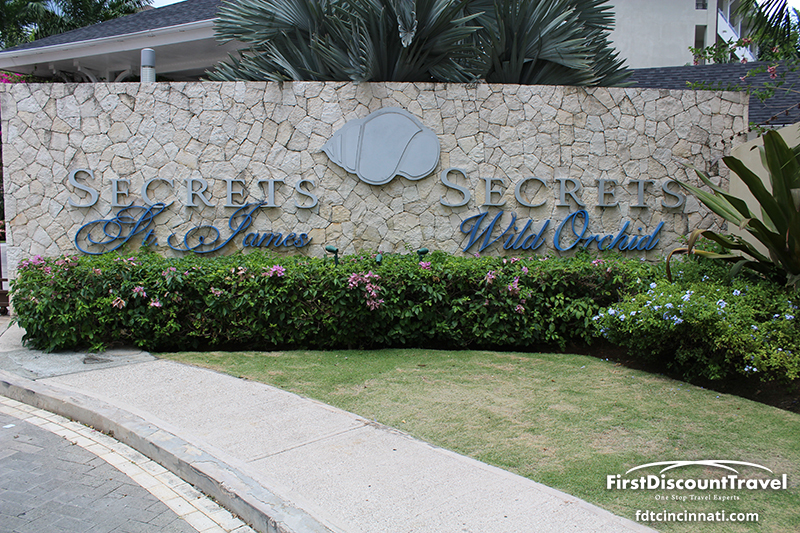 In addition to enjoying all the benefits Secrets St. James has to offer, guests will have the opportunity to utilize all of the Unlimited-Luxury privileges available at sister property, Secrets Wild Orchid. These fabulous facilities and amenities include a total of seven gourmet, a la carte restaurants serving a variety of international cuisine, nine chic bars and lounges offering unlimited premium international and domestic brand beverages, an air-conditioned theater offering a variety of nightly live entertainment and championship-caliber golf nearby. 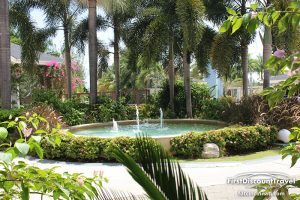 The world-class Secrets Spa by Pevonia showcases lush gardens and fountains to refresh, relax and rejuvenate with pampering treatments and massages. 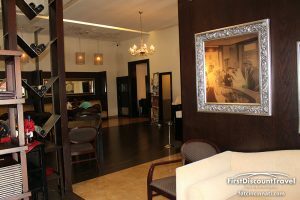 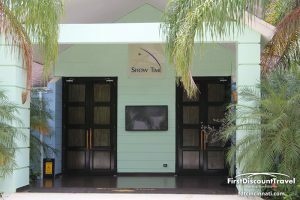 Our full-service spa is divided into 10 indoor treatment cabins consisting of multifunctional spa suites, dual massage suites, hydro massage suites, and wet massage suites. 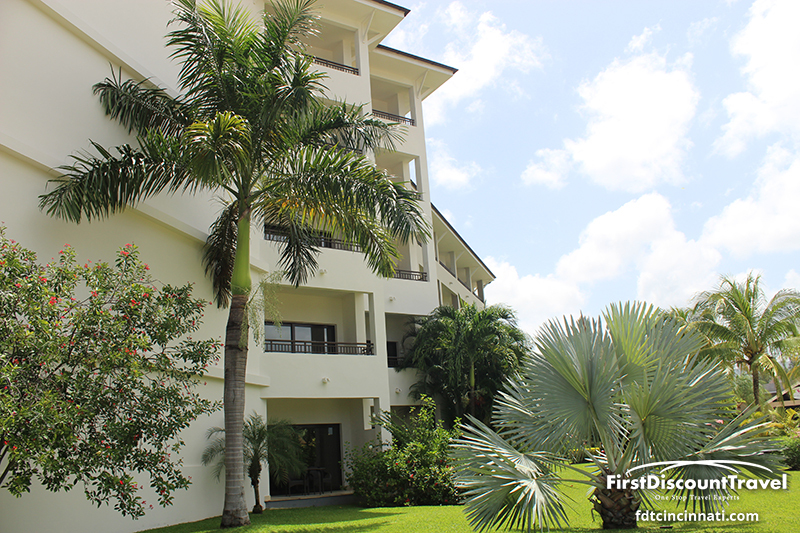 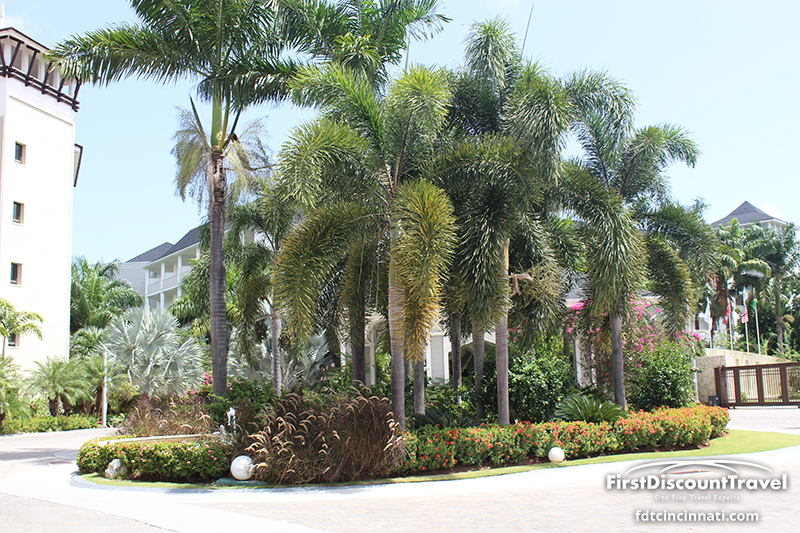 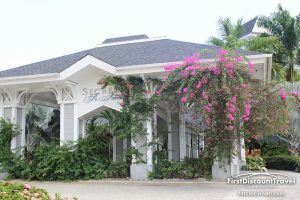 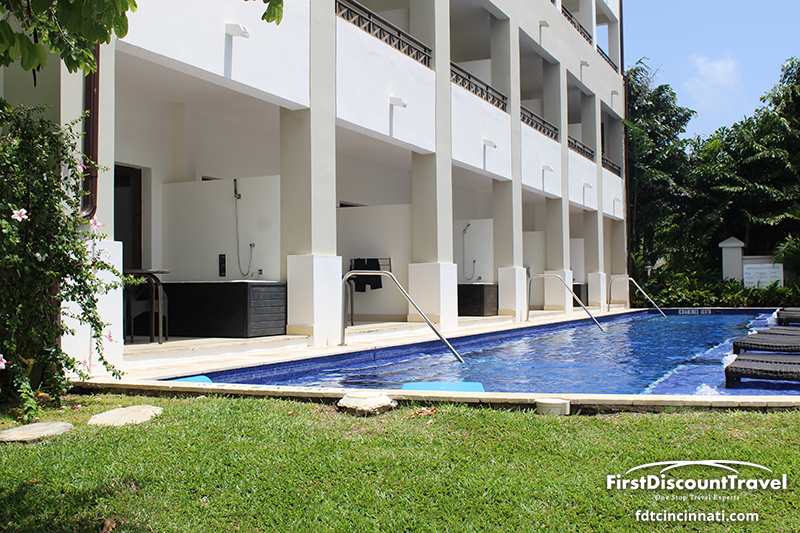 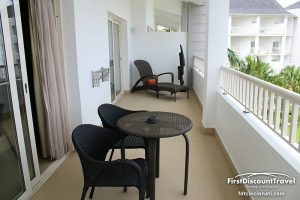 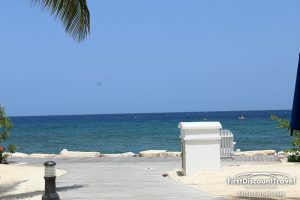 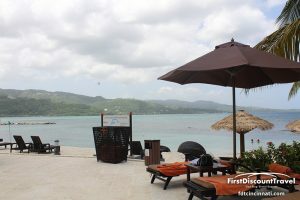 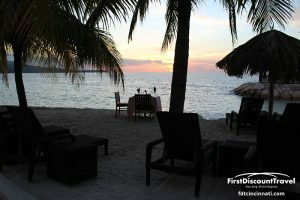 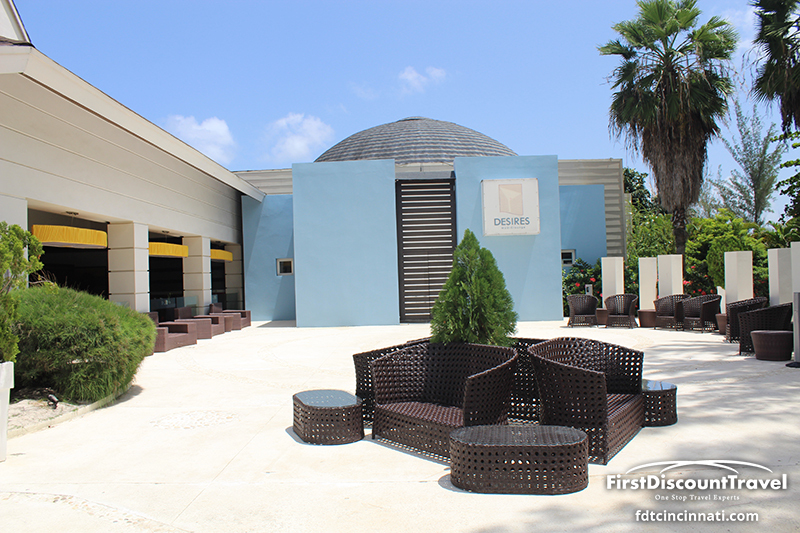 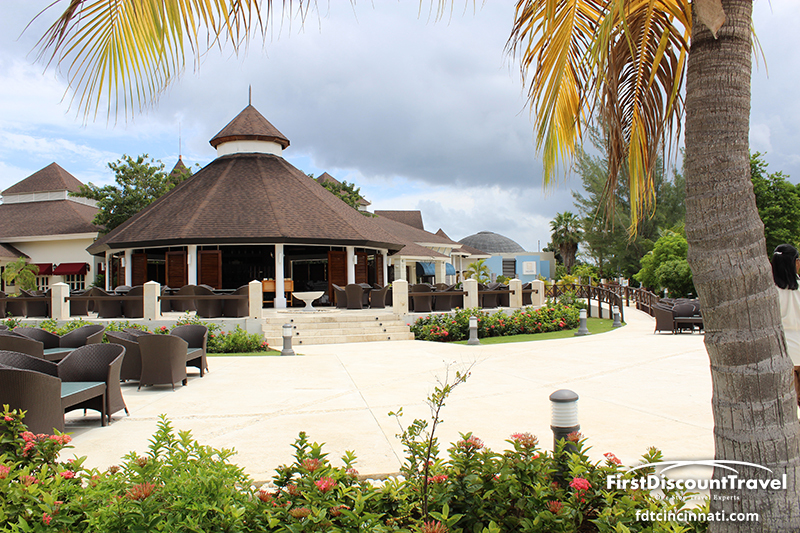 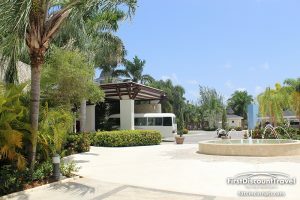 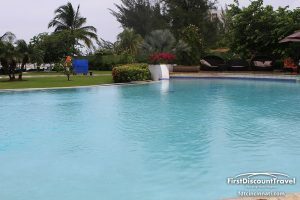 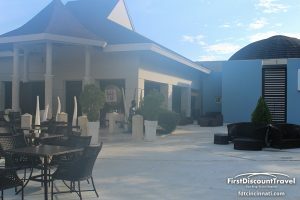 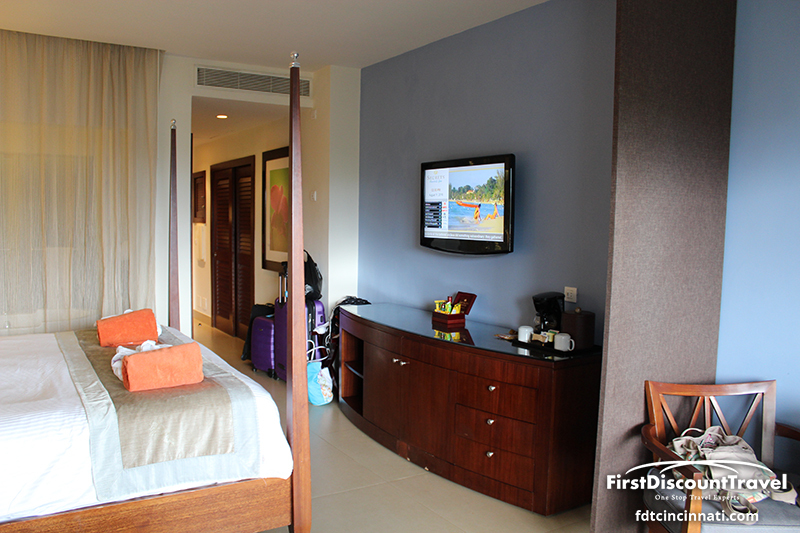 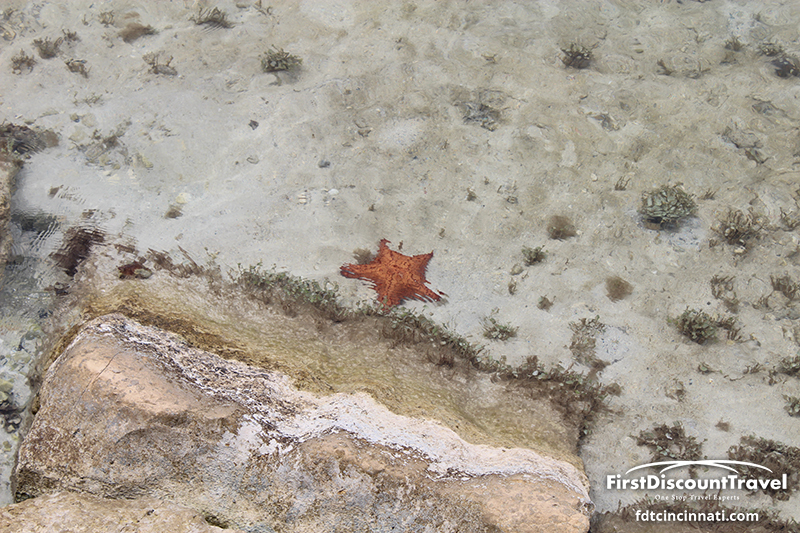 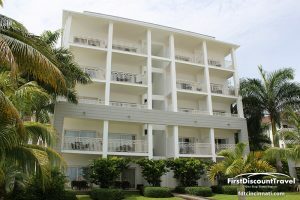 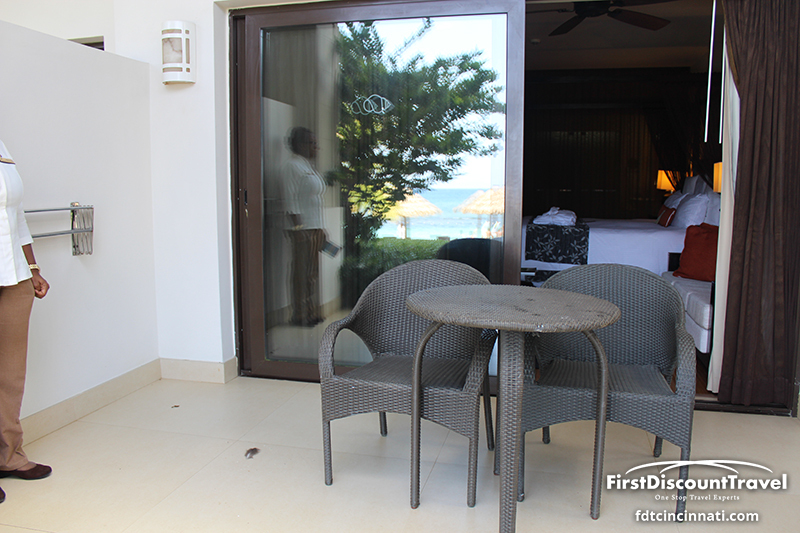 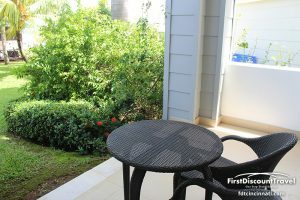 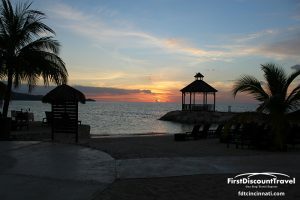 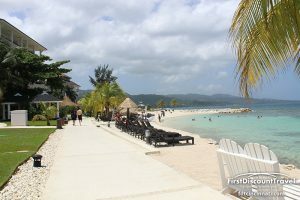 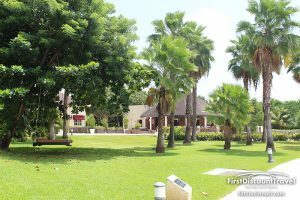 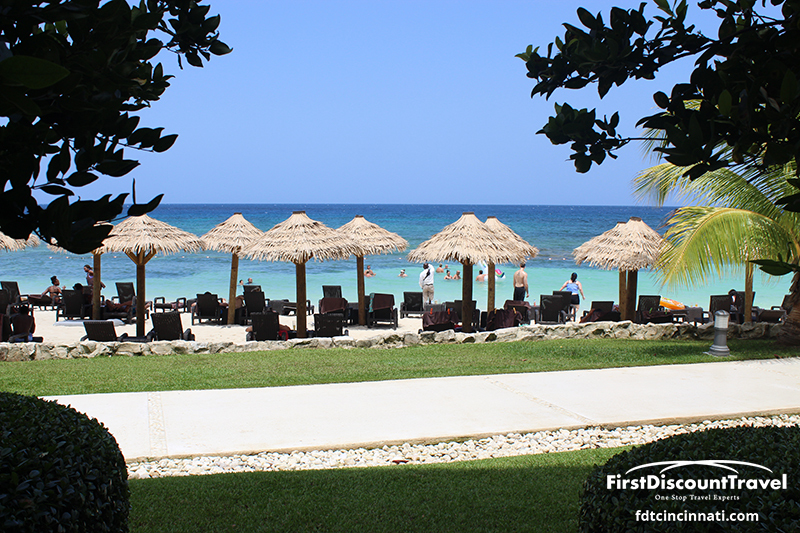 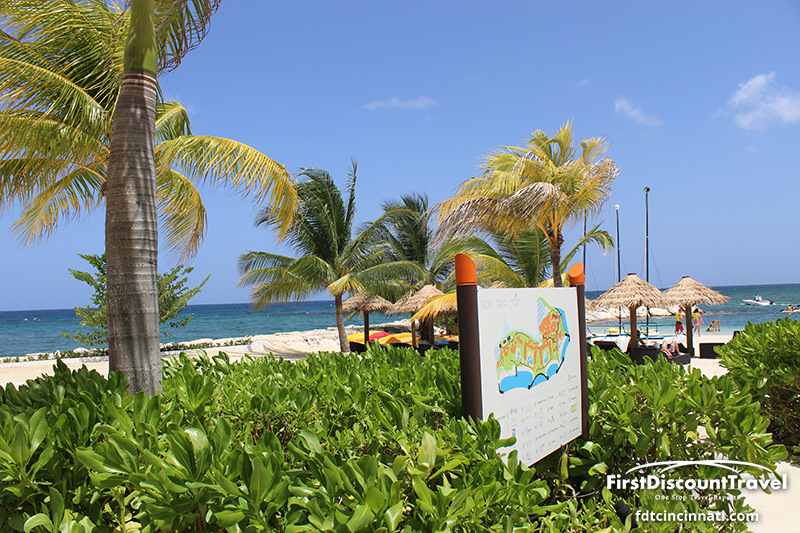 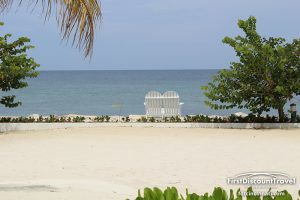 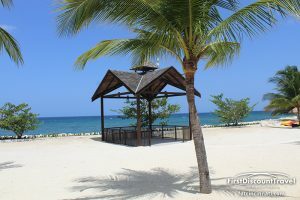 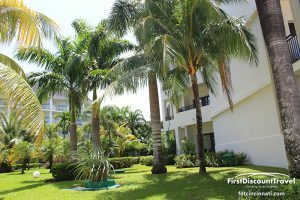 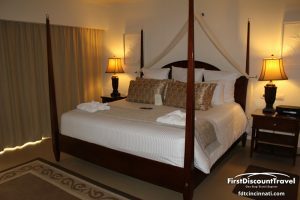 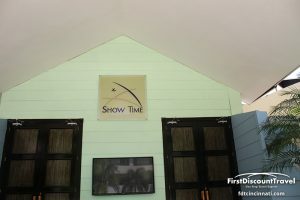 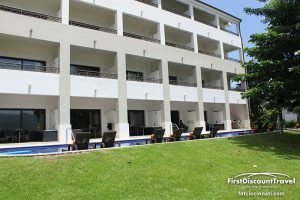 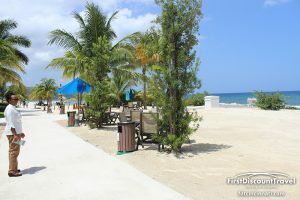 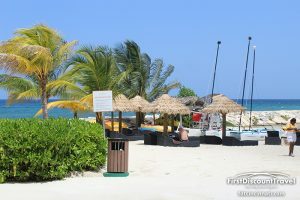 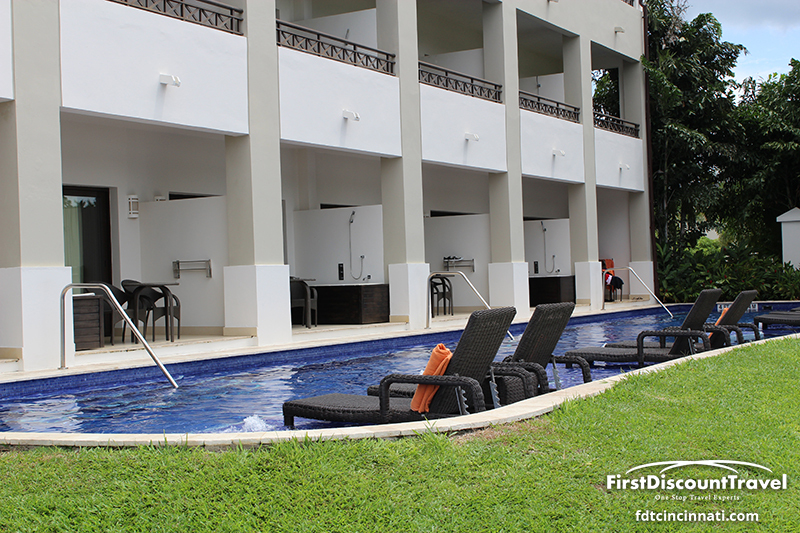 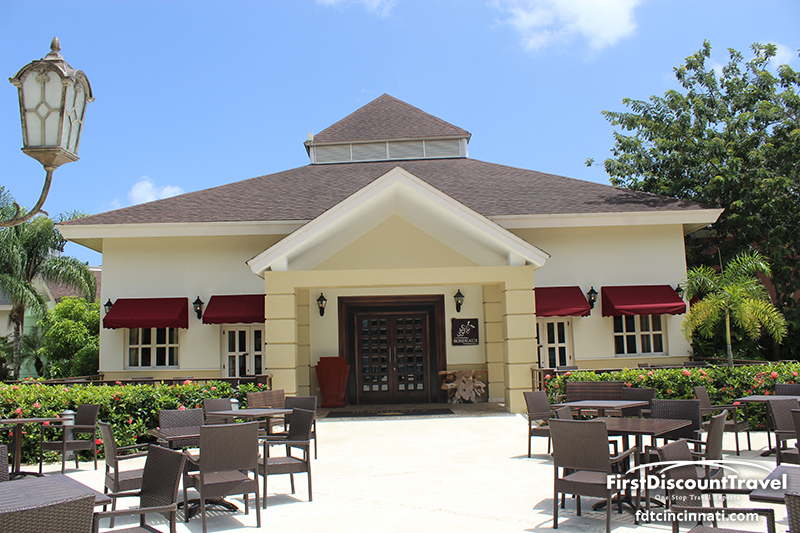 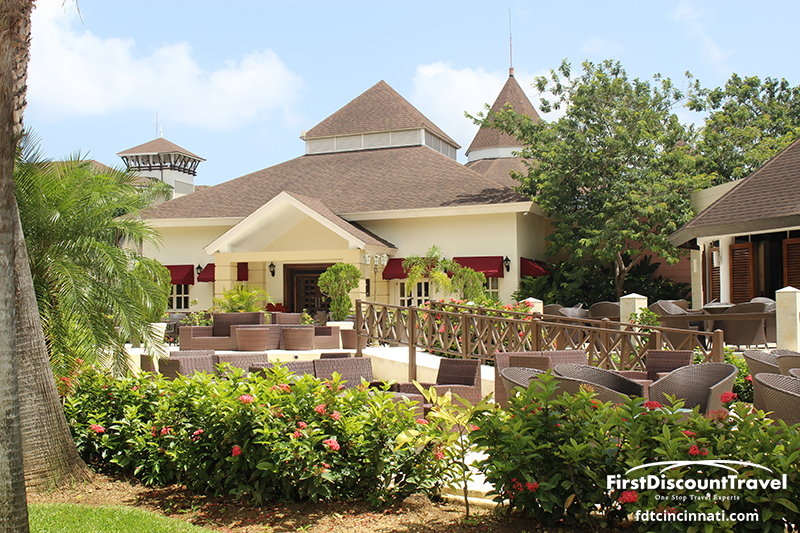 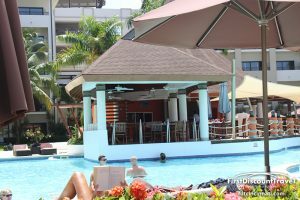 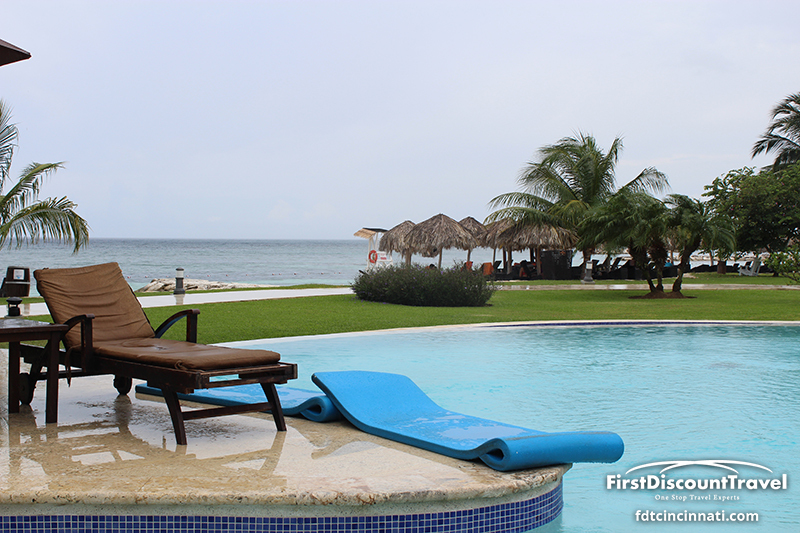 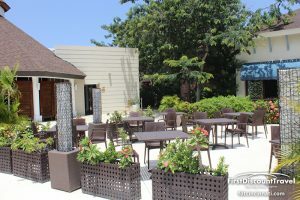 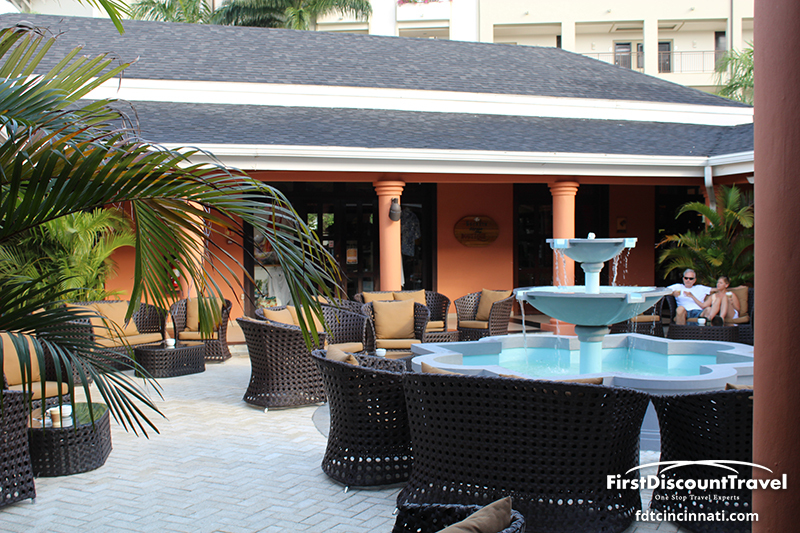 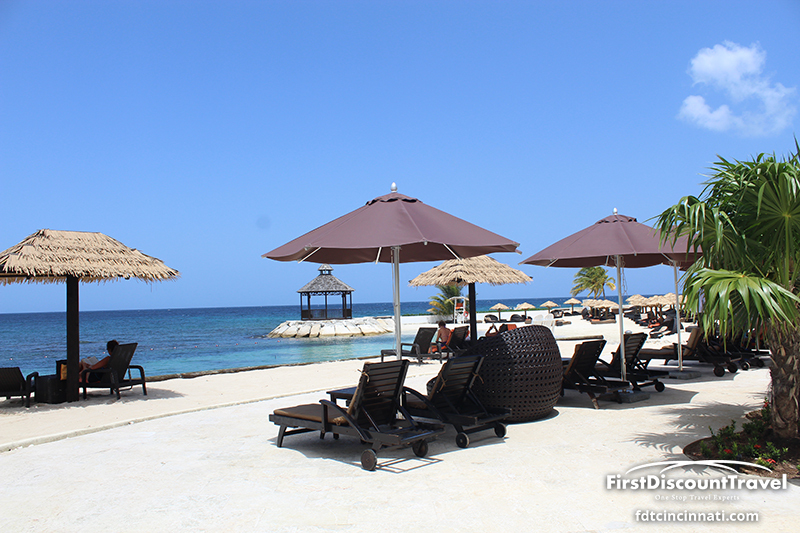 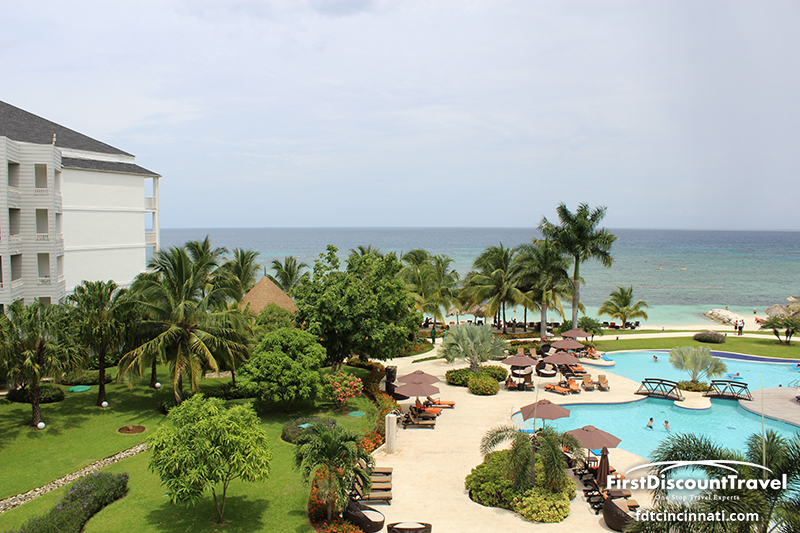 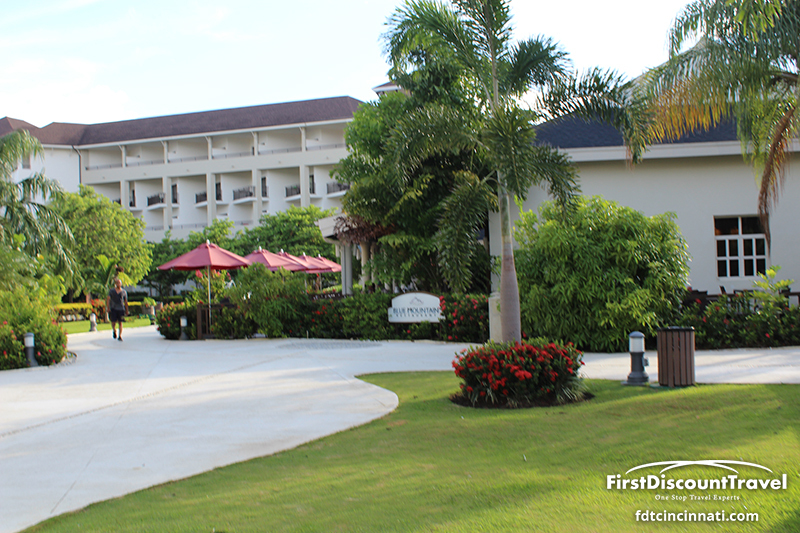 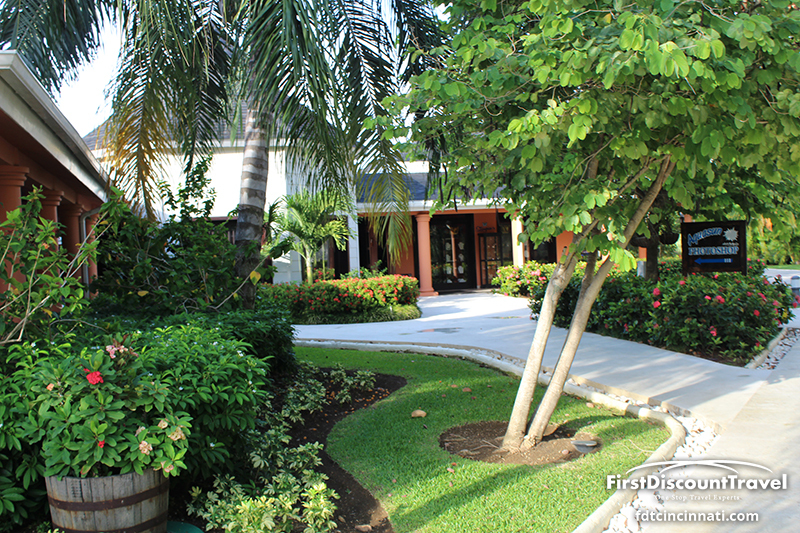 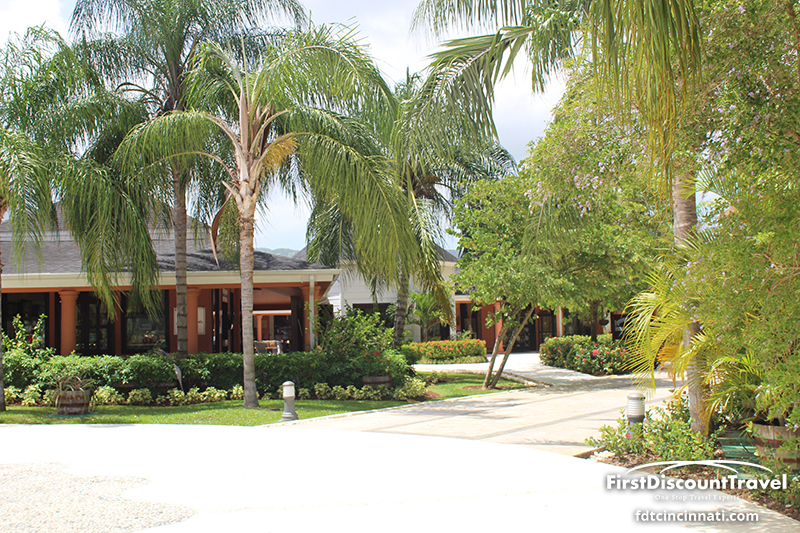 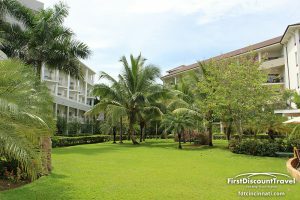 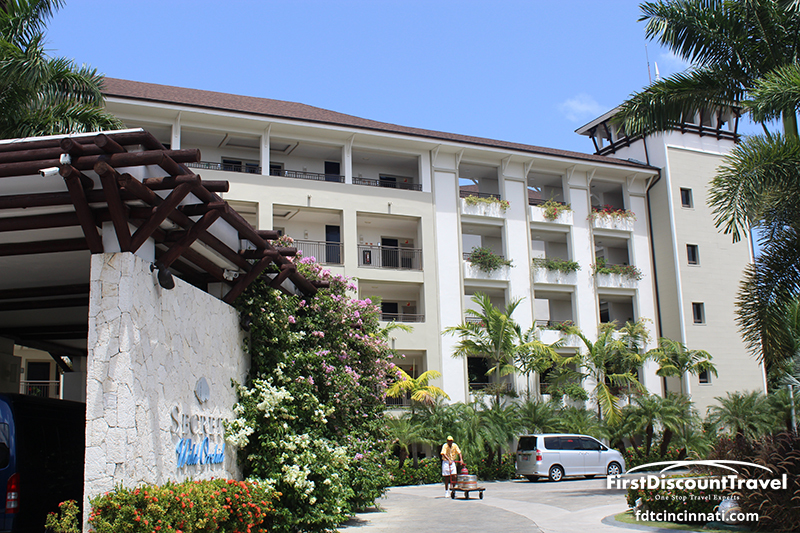 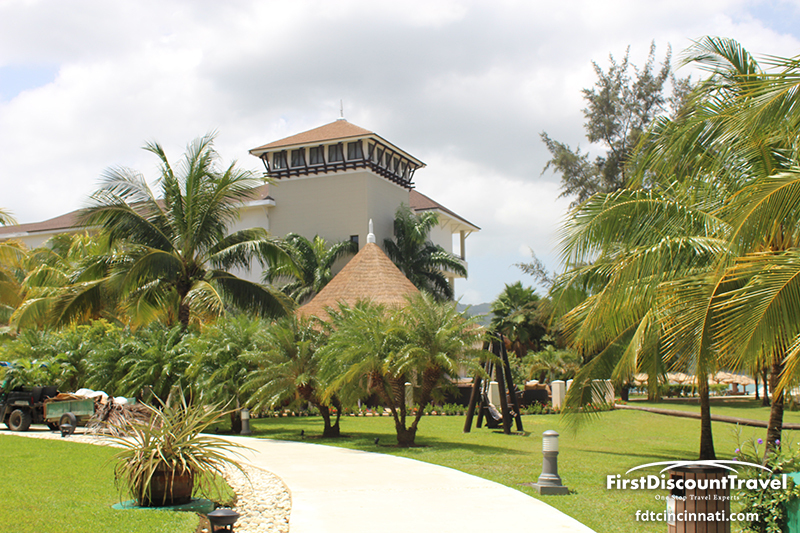 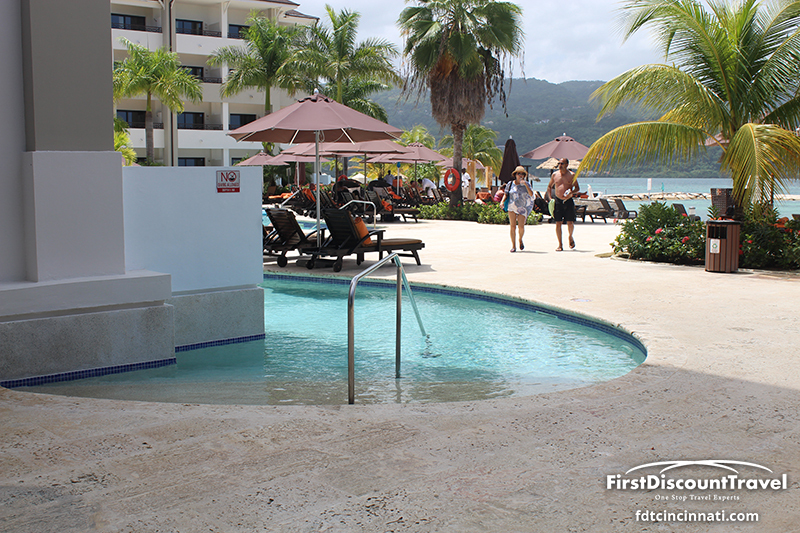 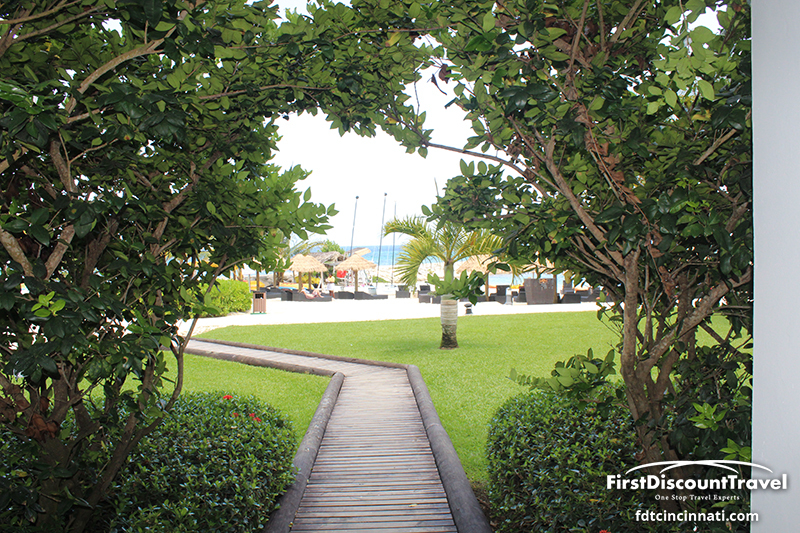 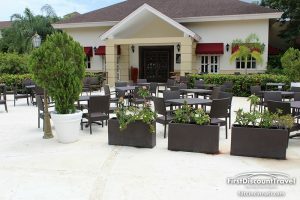 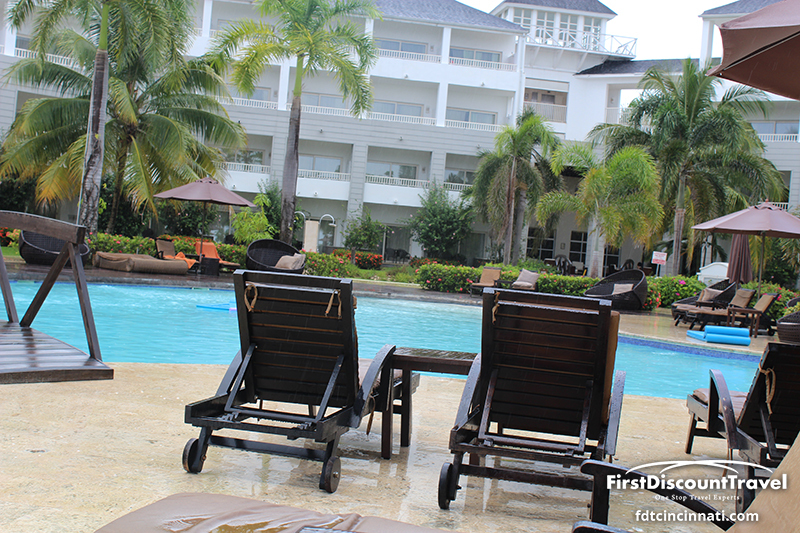 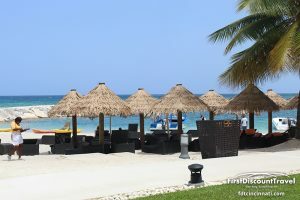 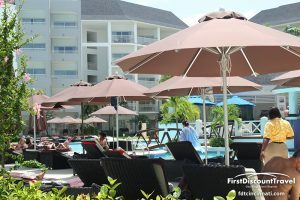 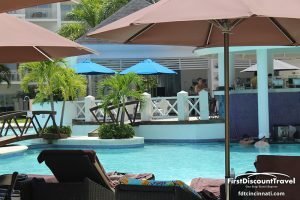 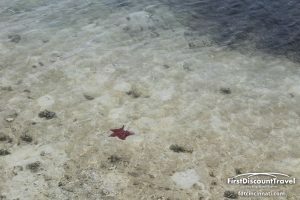 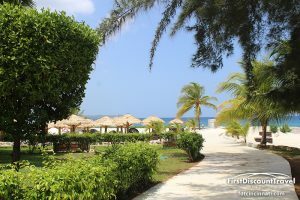 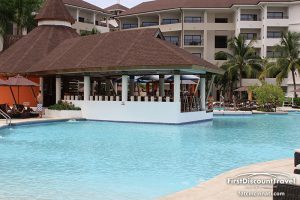 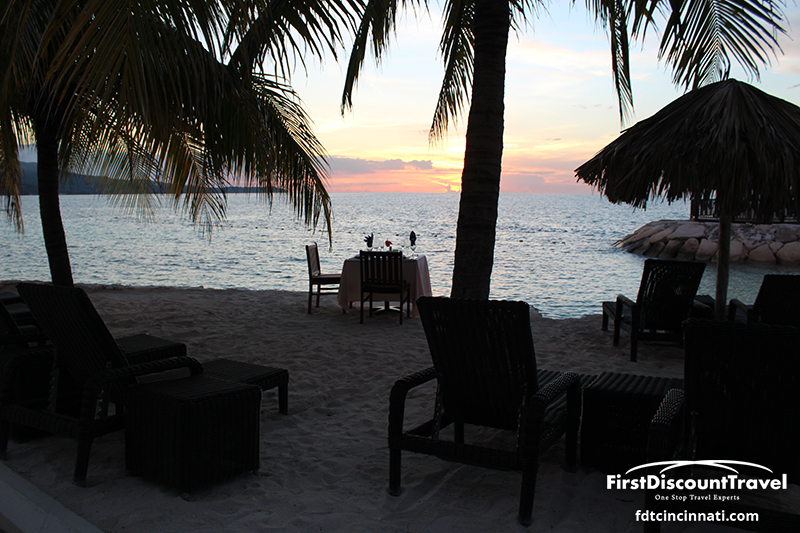 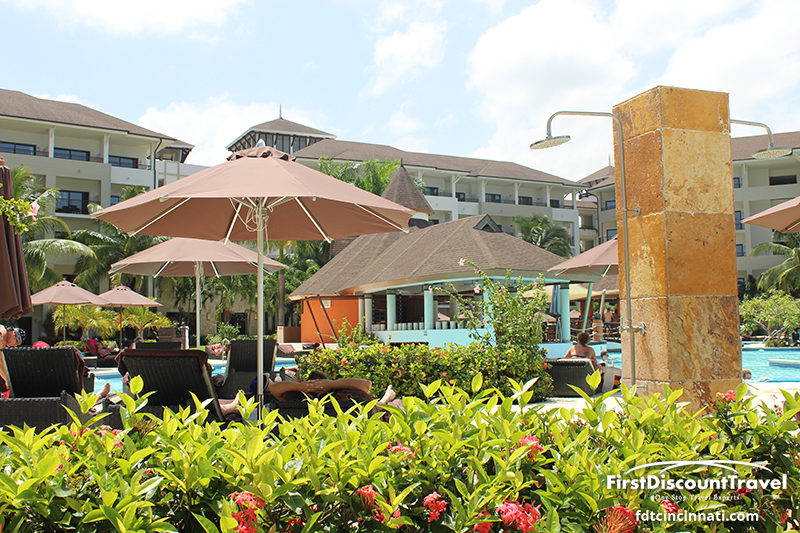 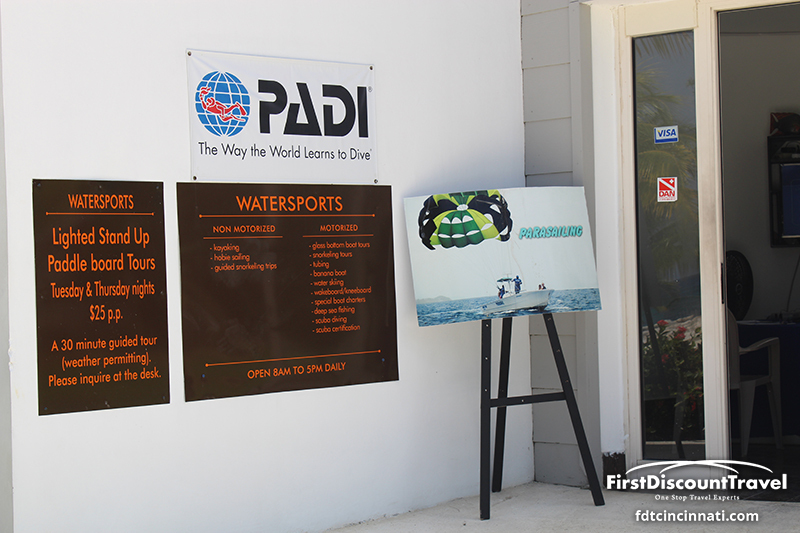 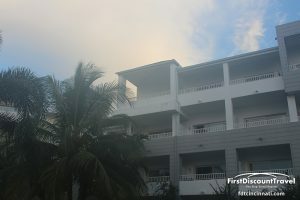 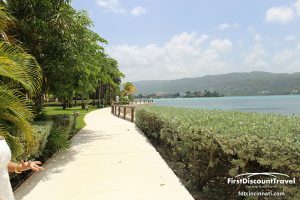 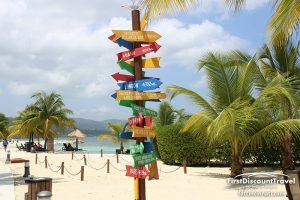 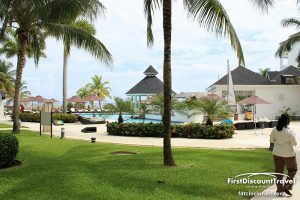 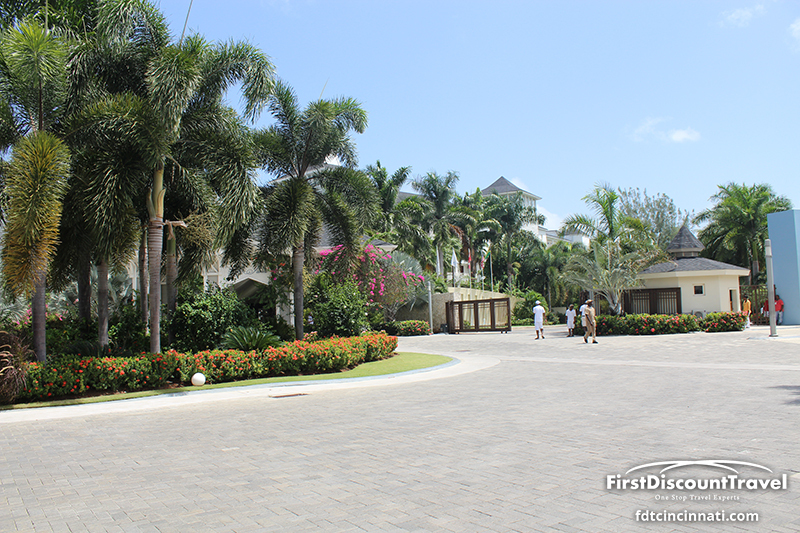 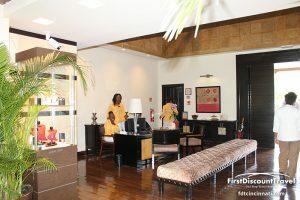 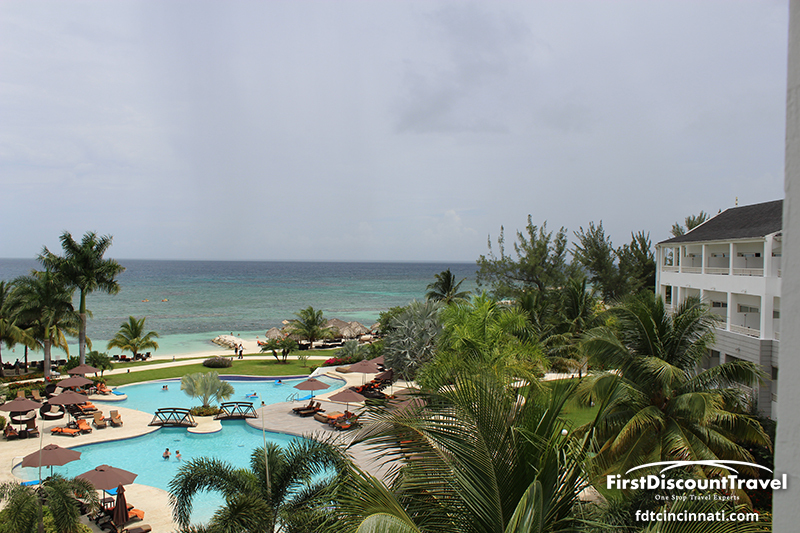 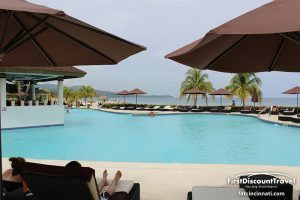 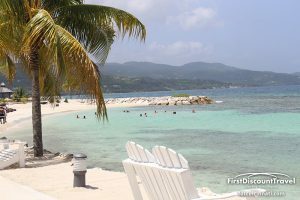 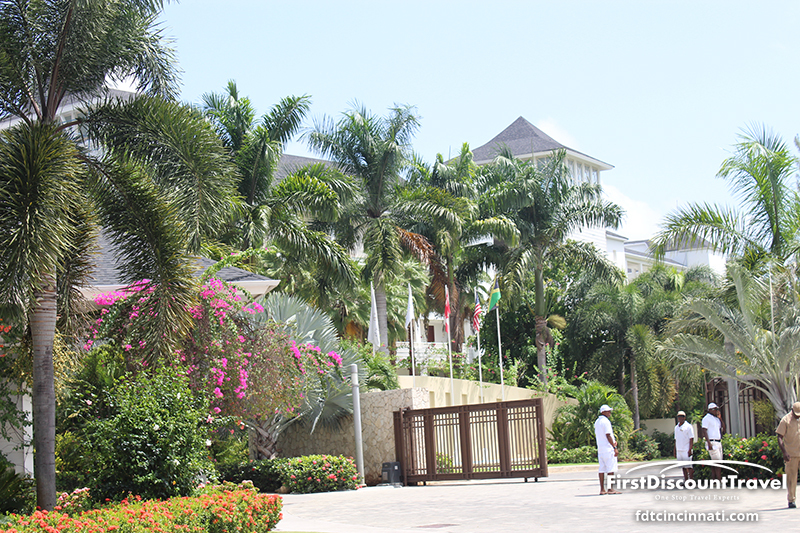 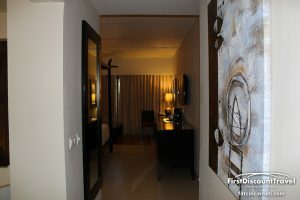 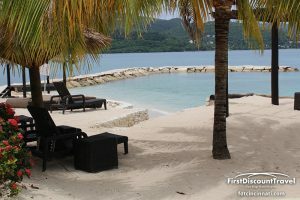 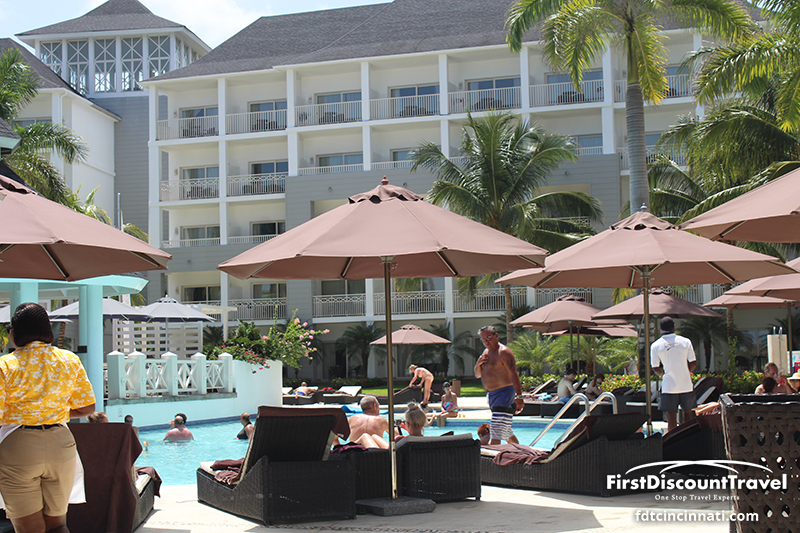 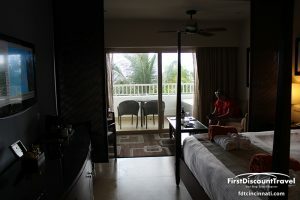 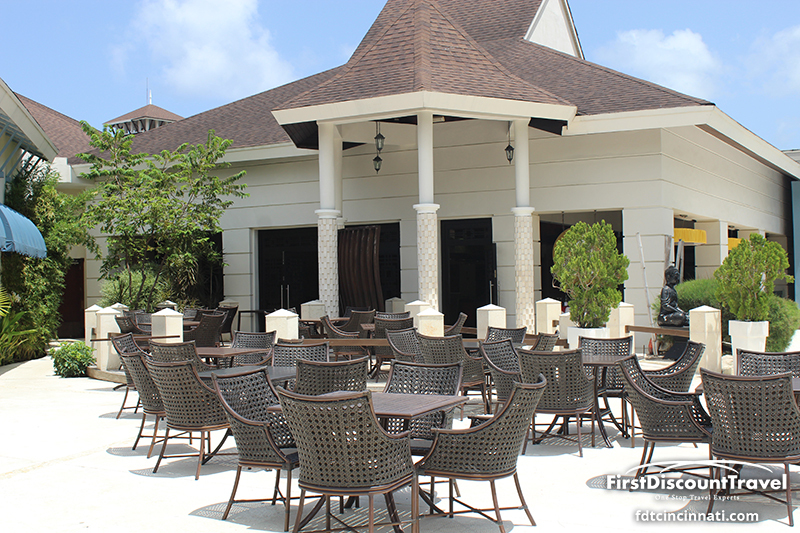 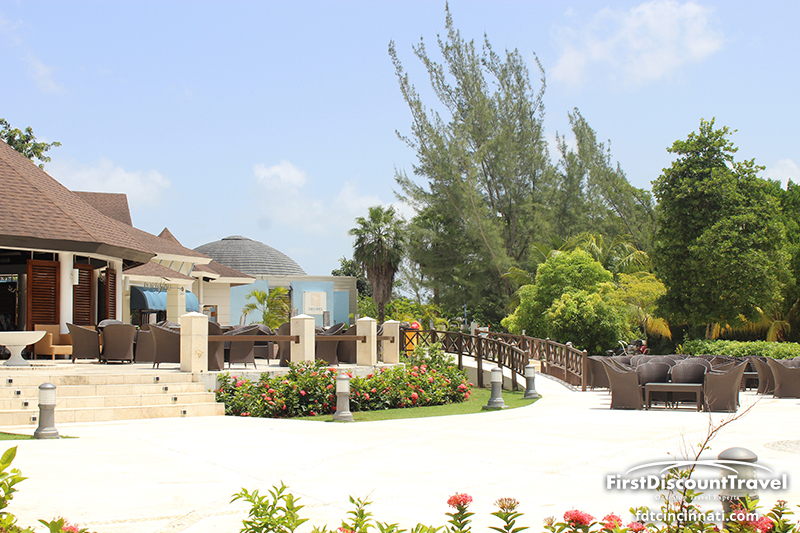 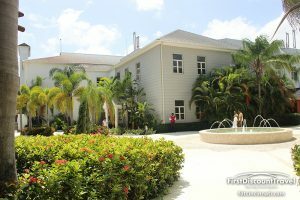 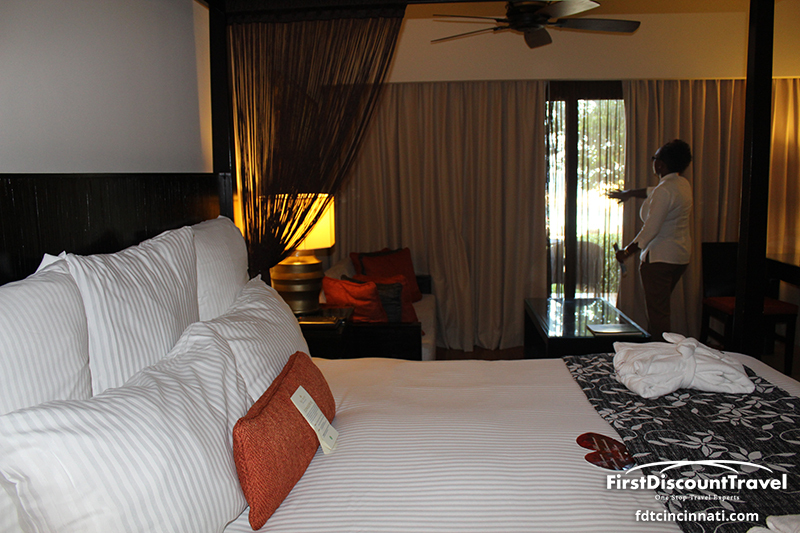 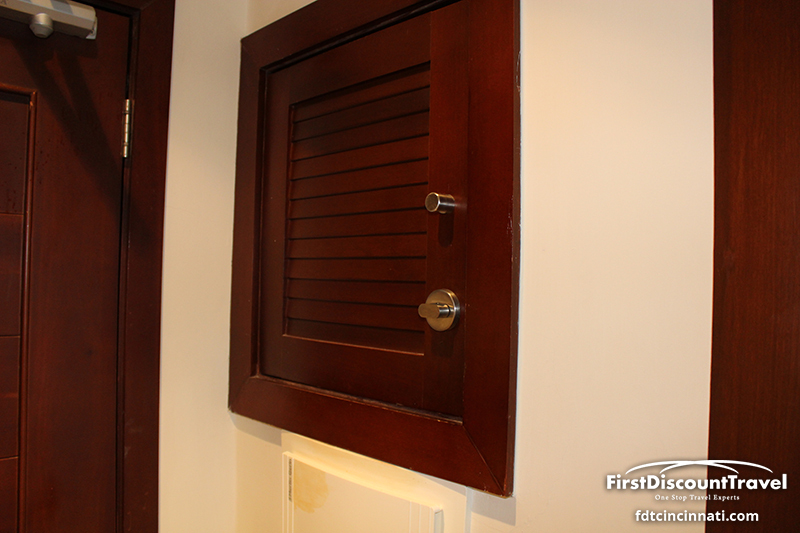 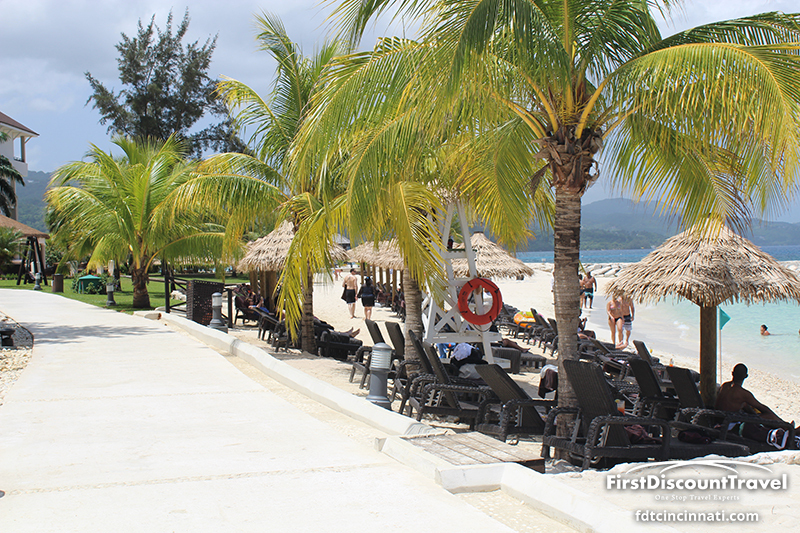 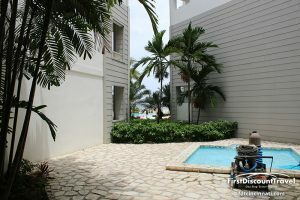 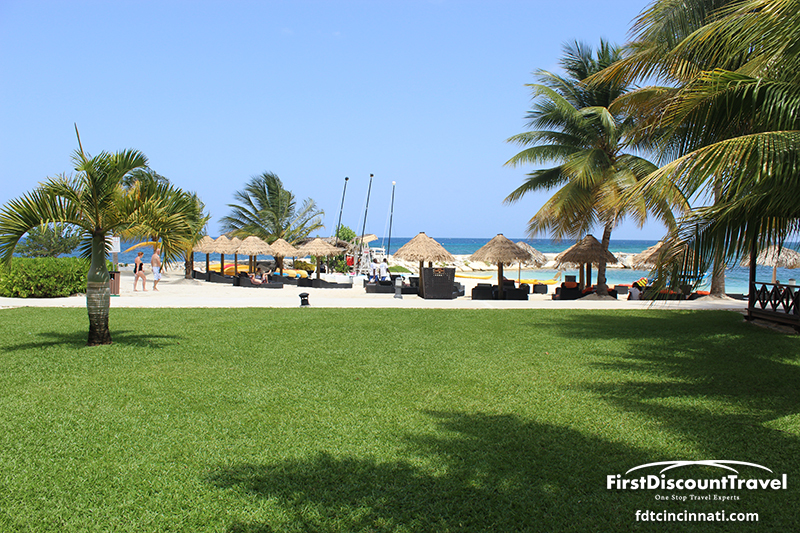 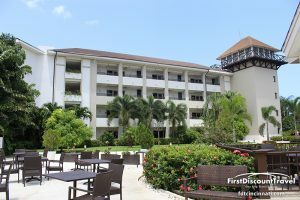 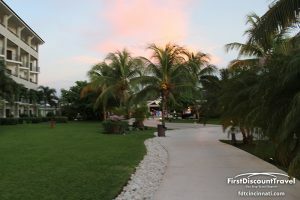 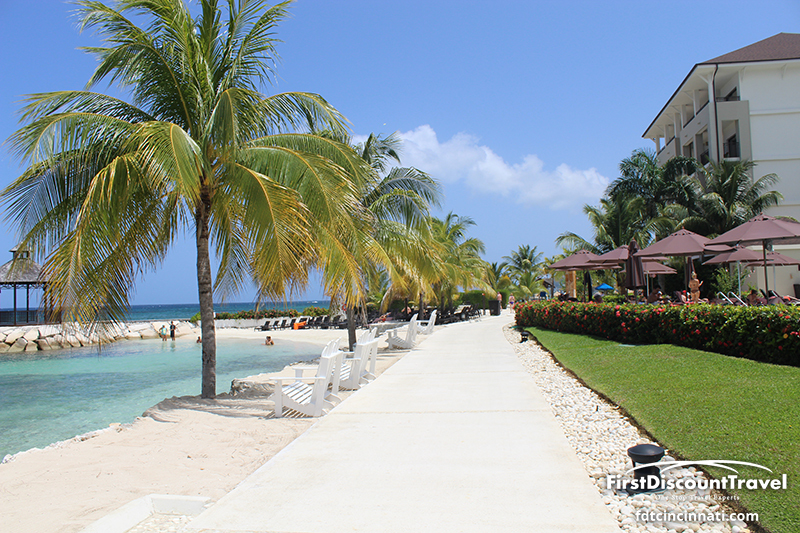 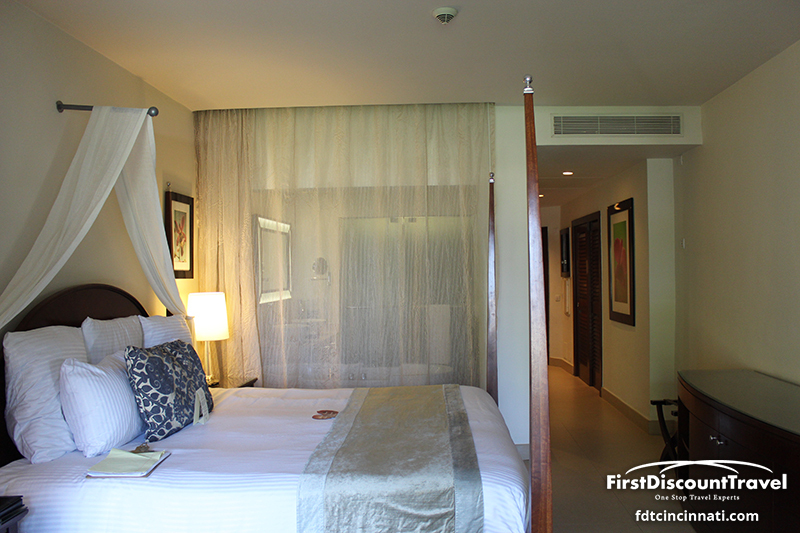 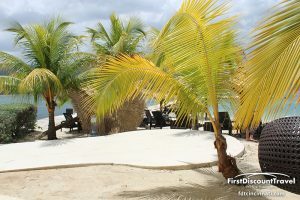 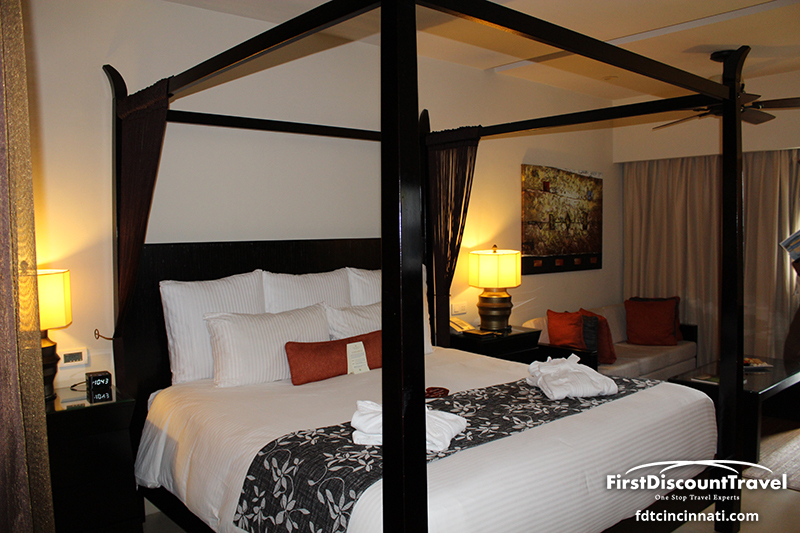 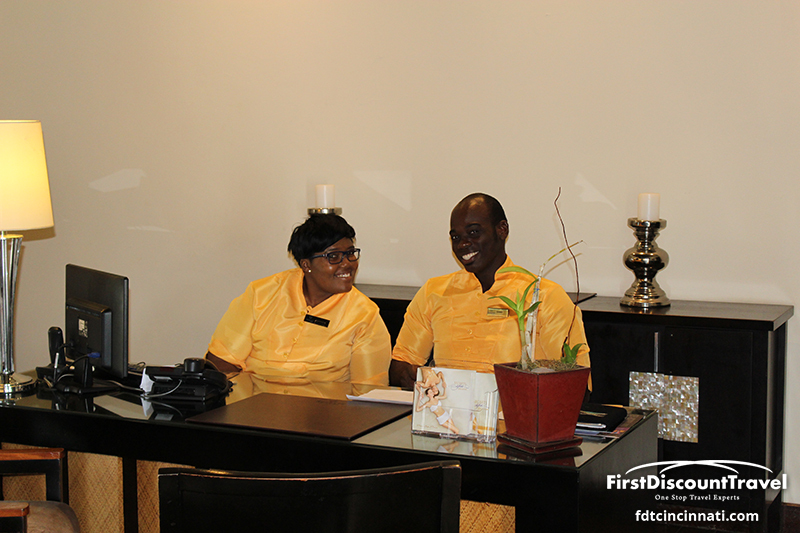 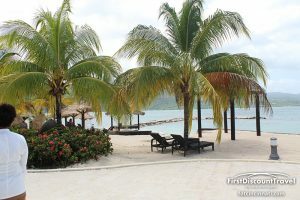 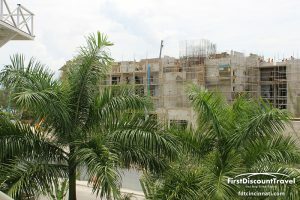 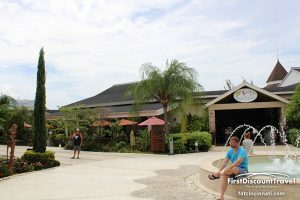 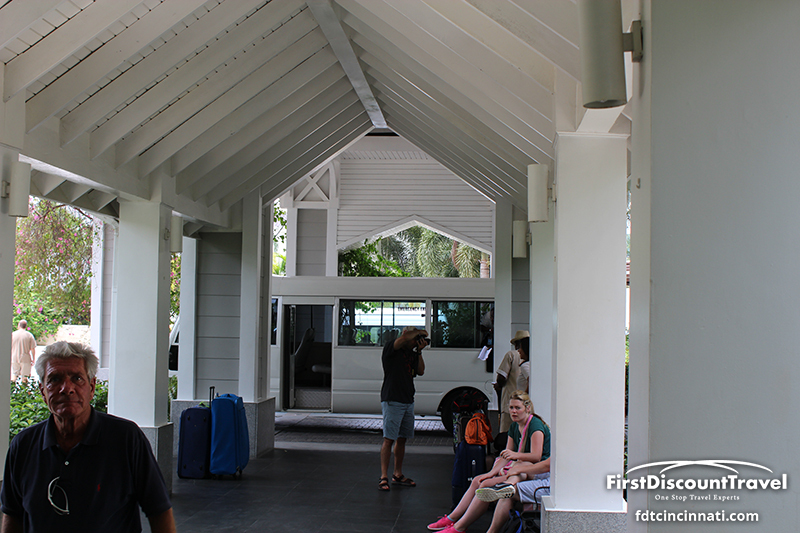 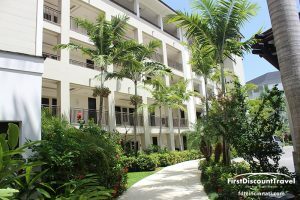 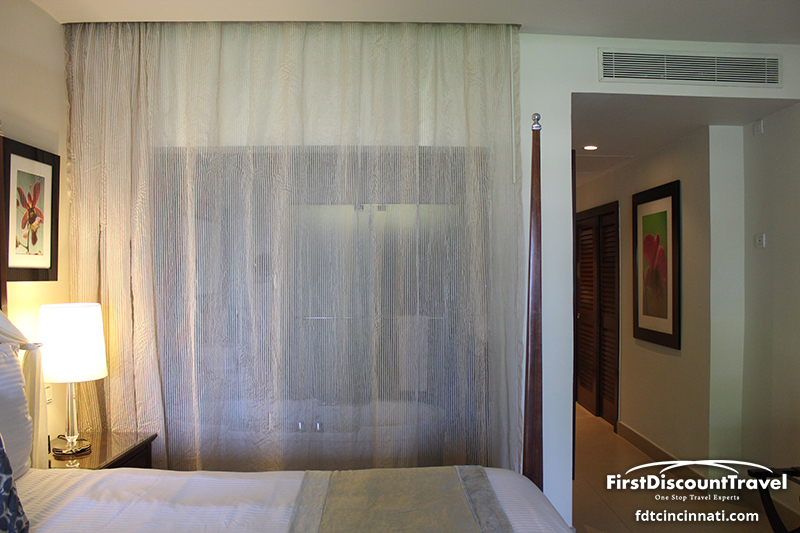 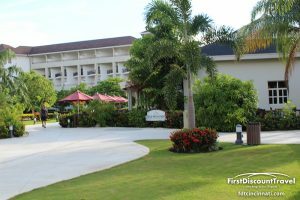 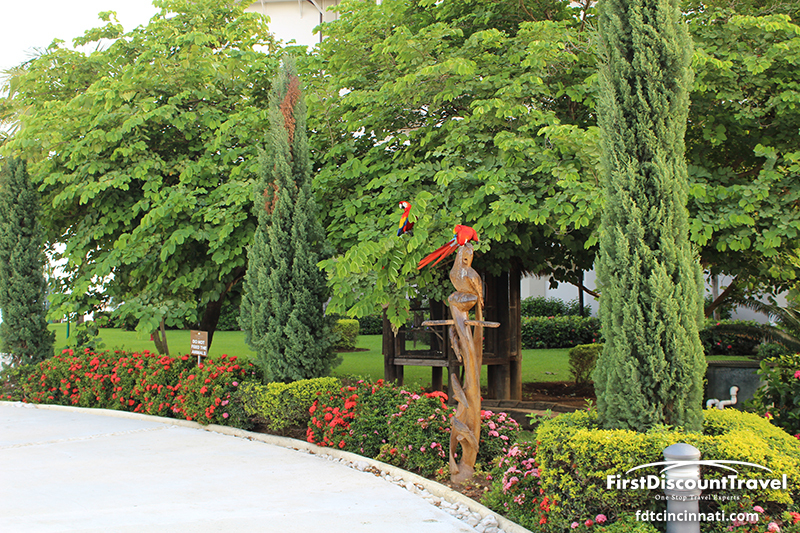 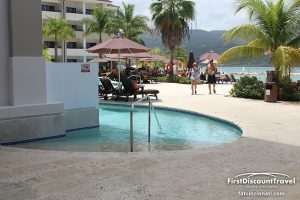 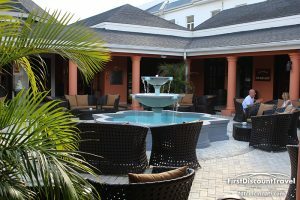 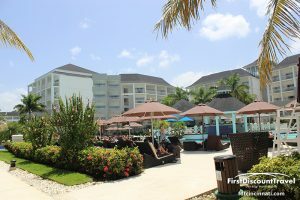 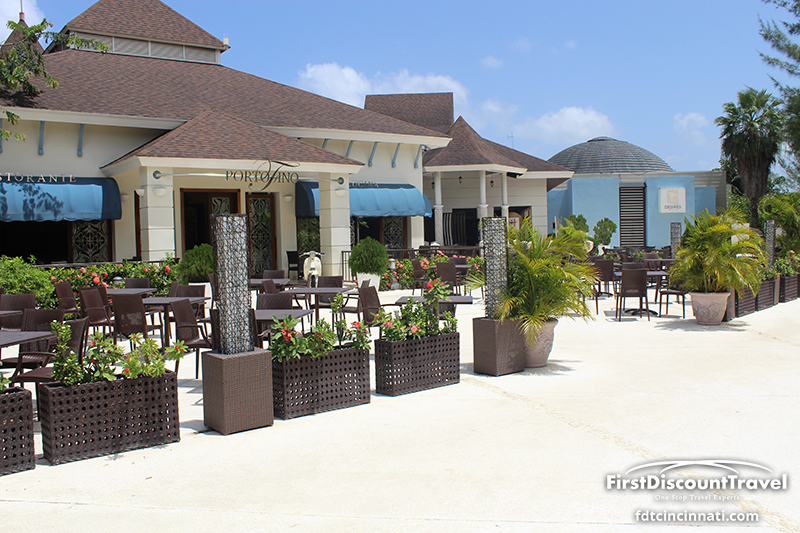 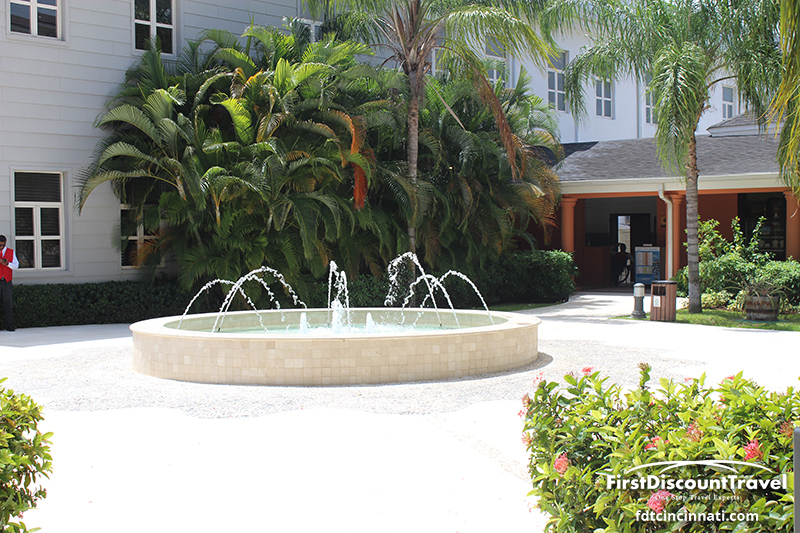 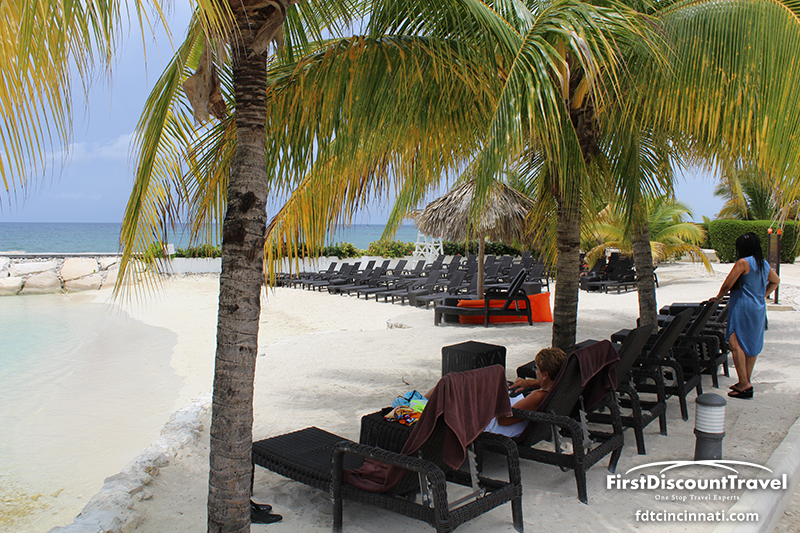 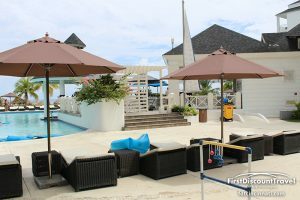 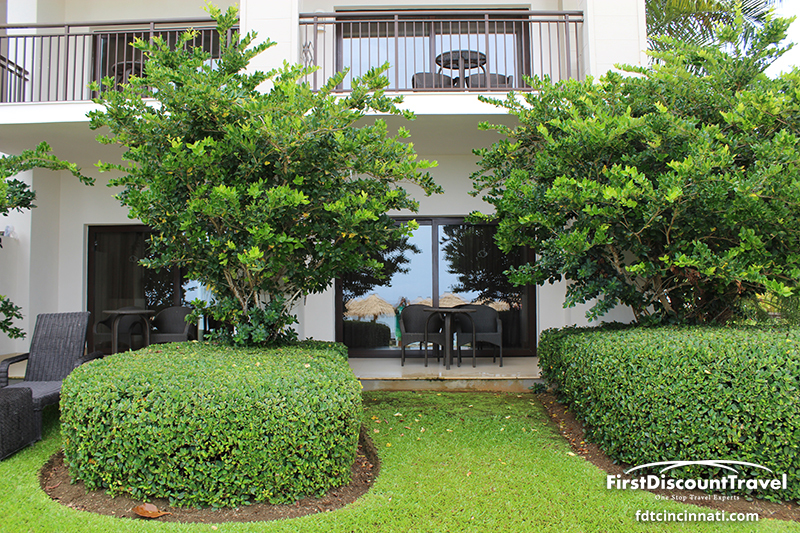 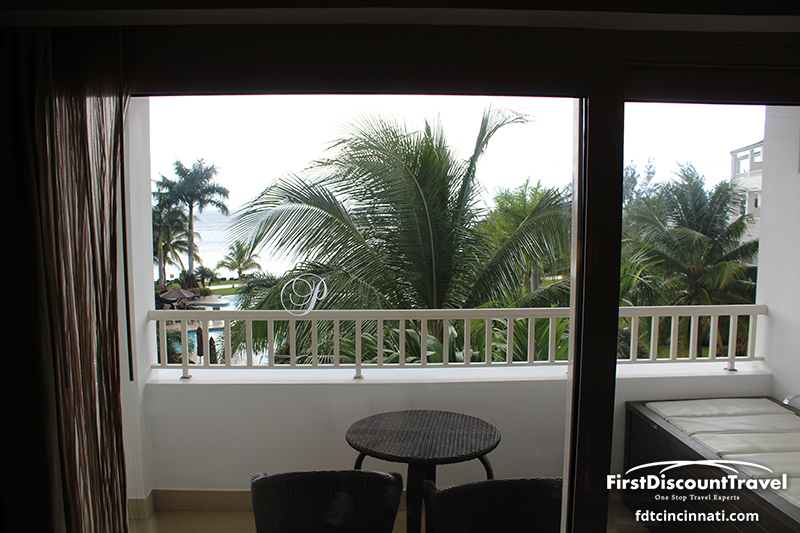 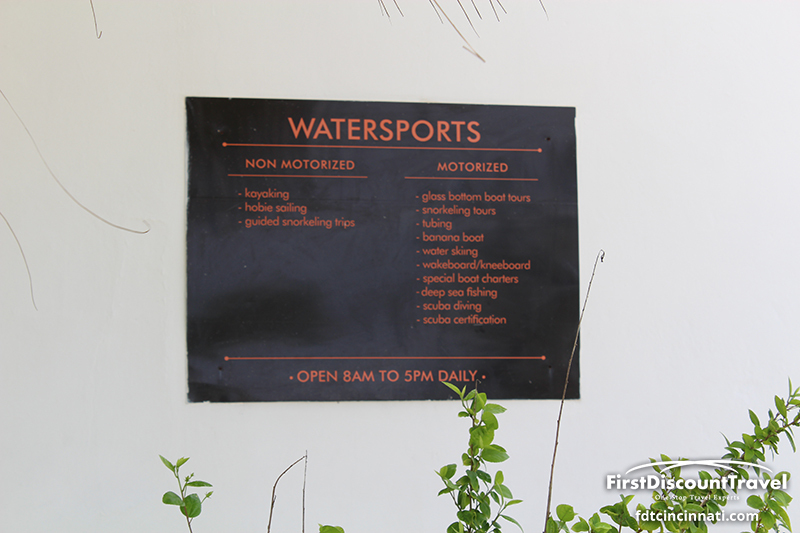 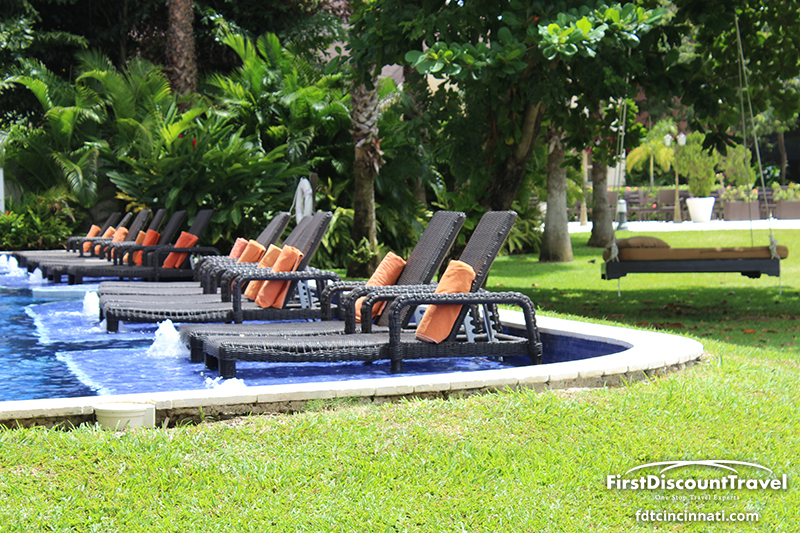 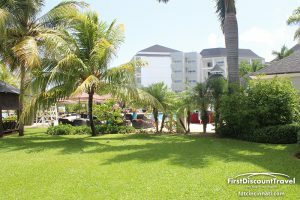 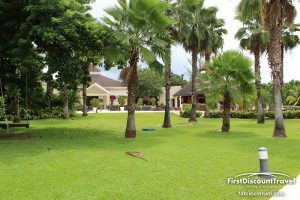 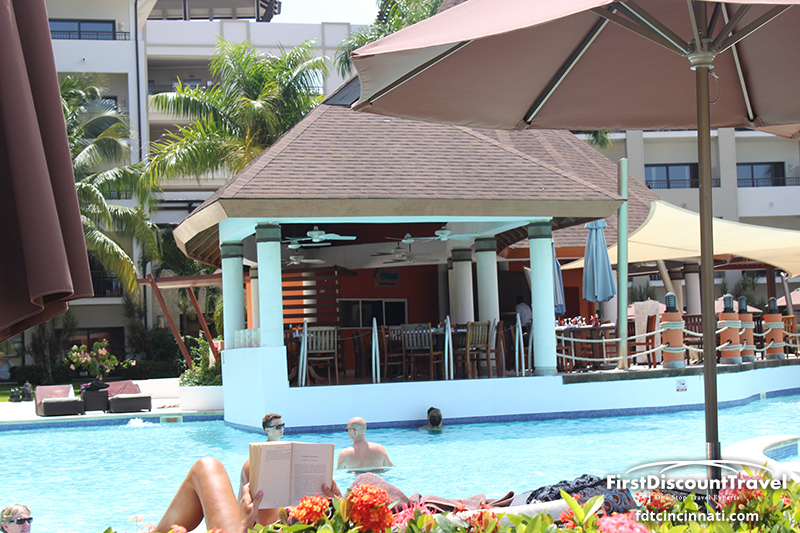 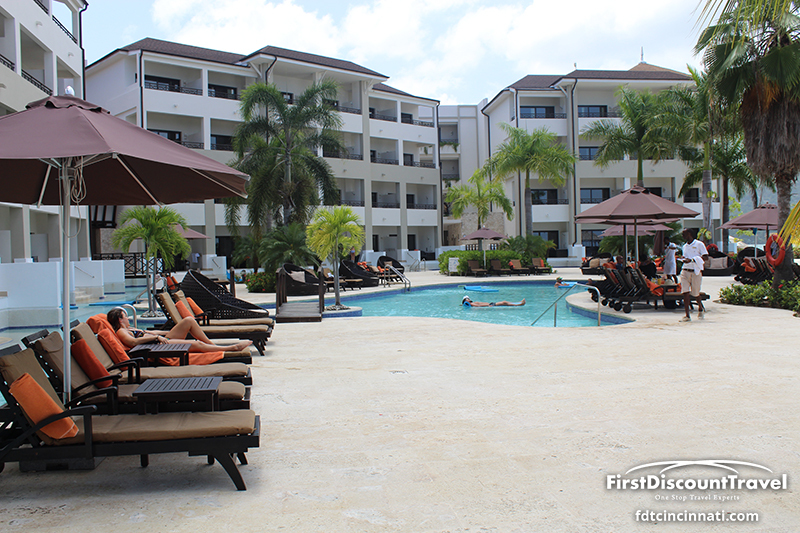 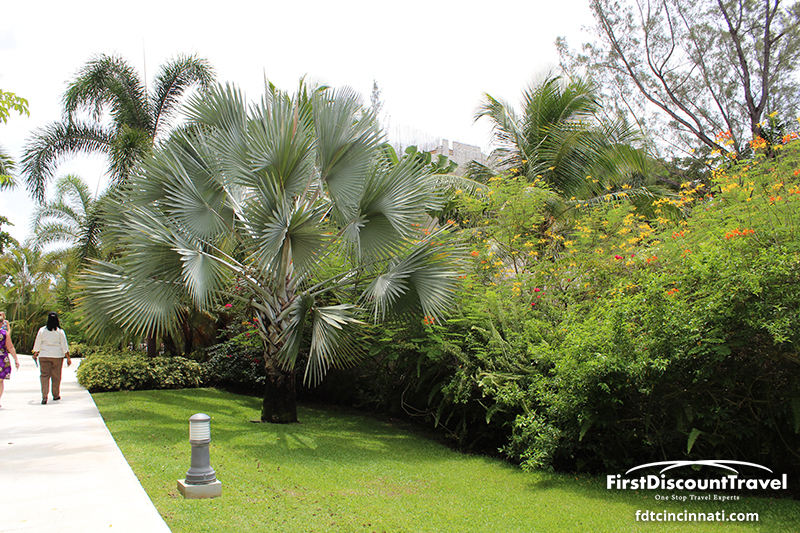 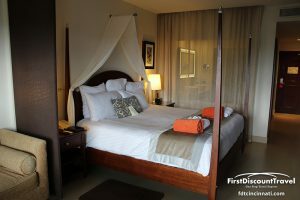 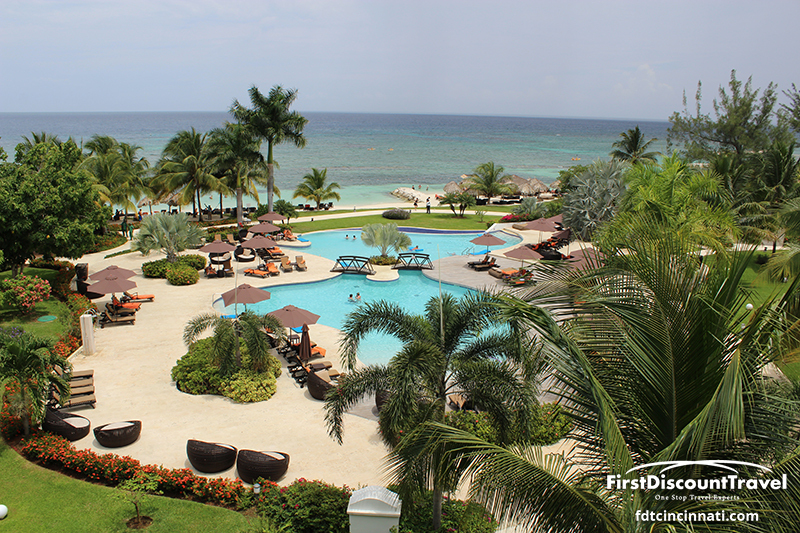 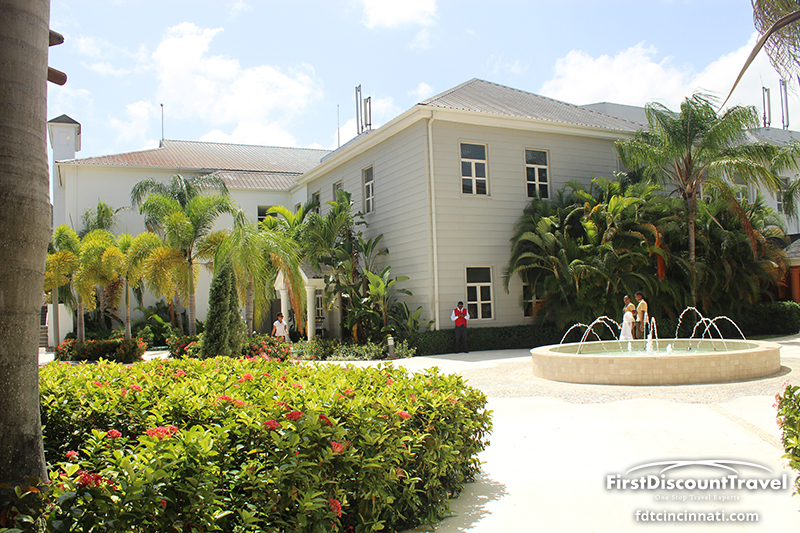 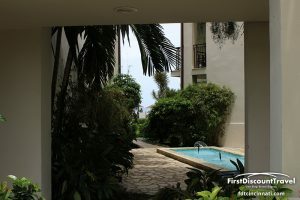 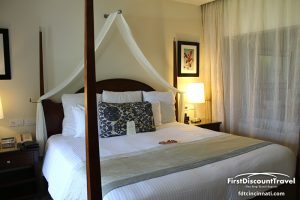 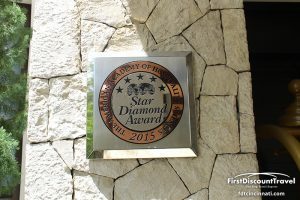 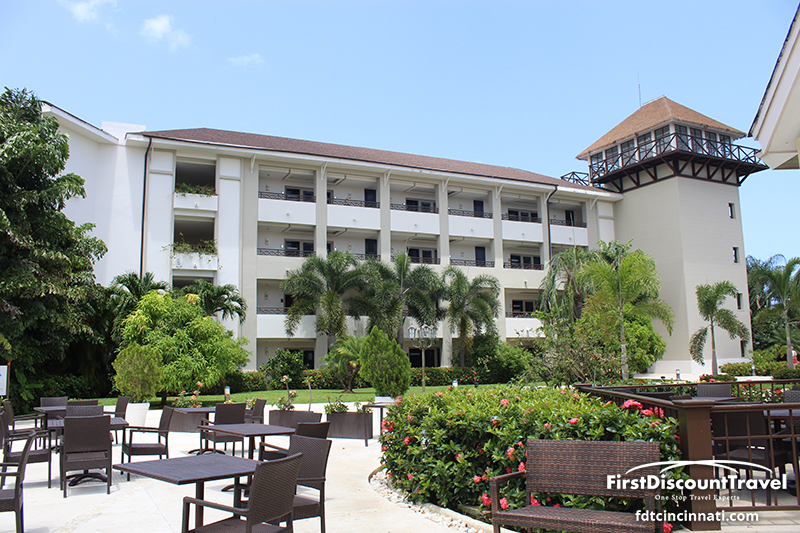 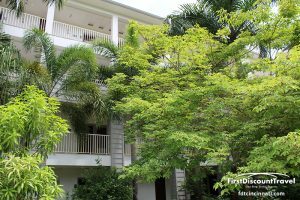 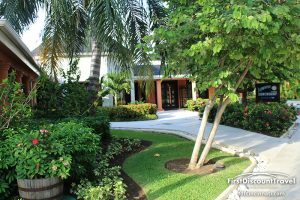 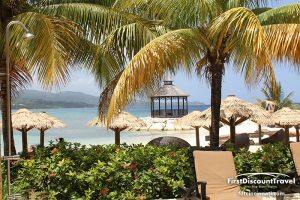 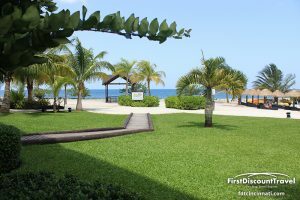 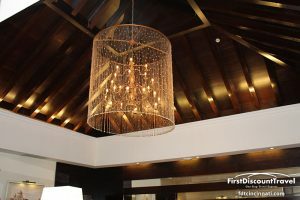 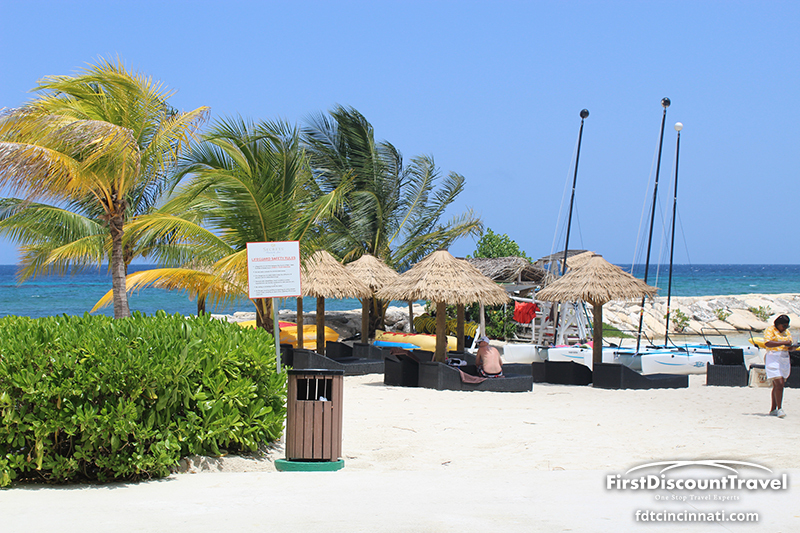 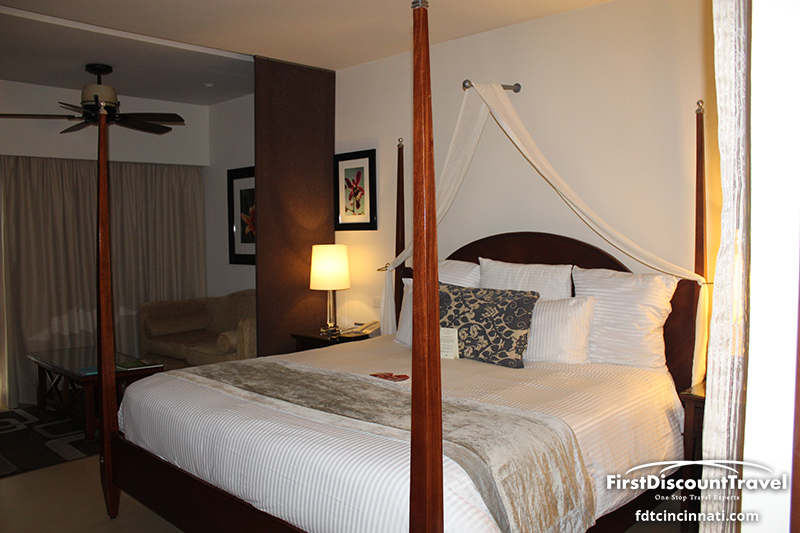 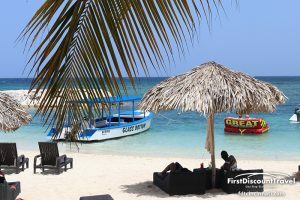 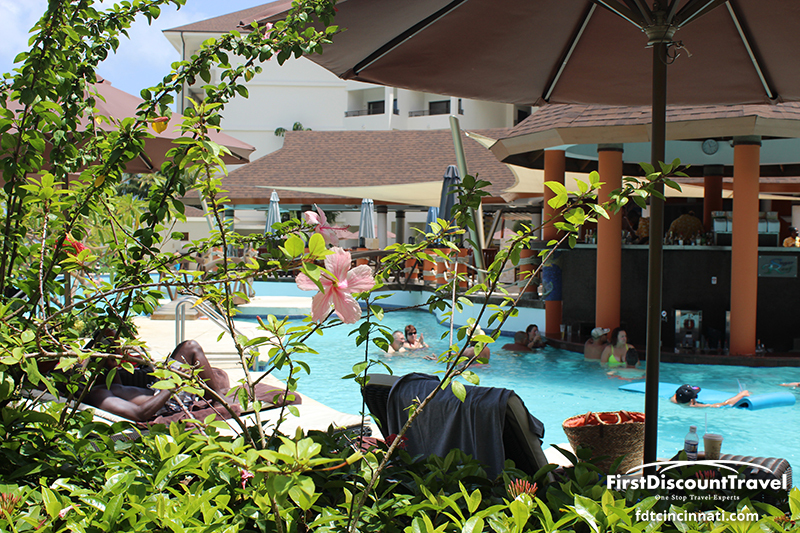 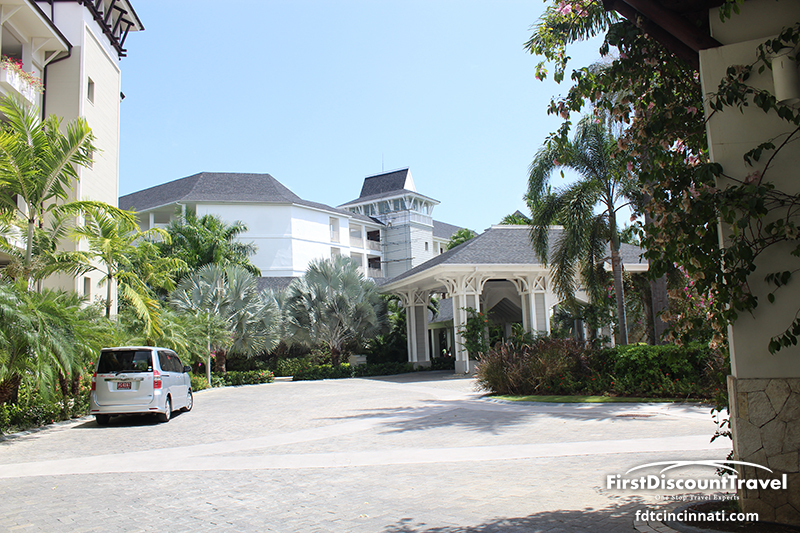 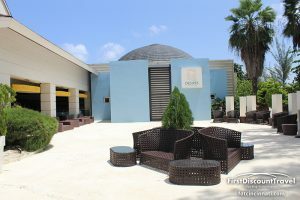 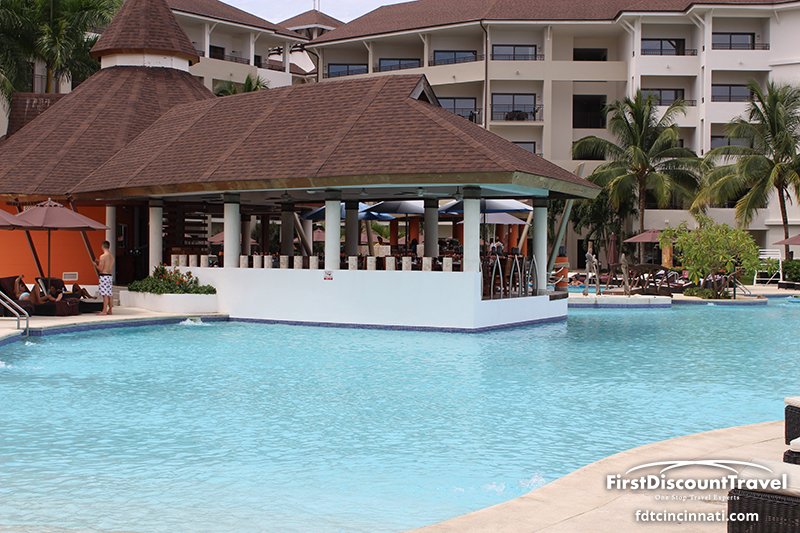 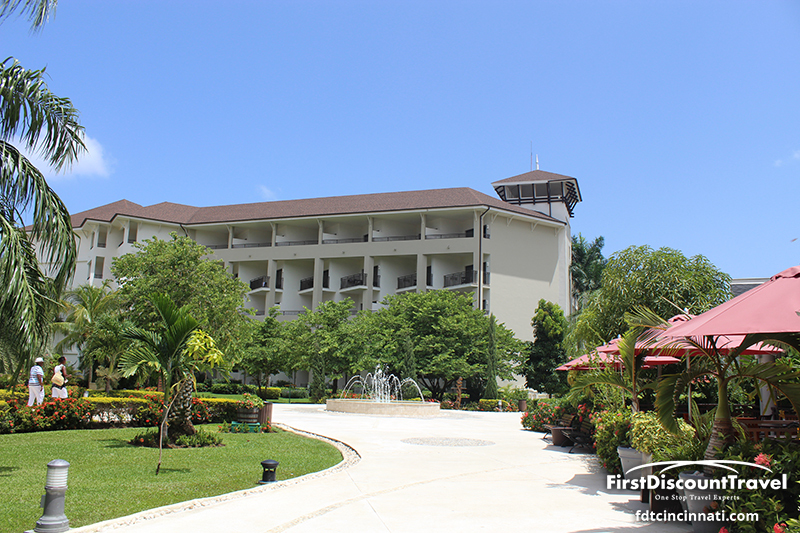 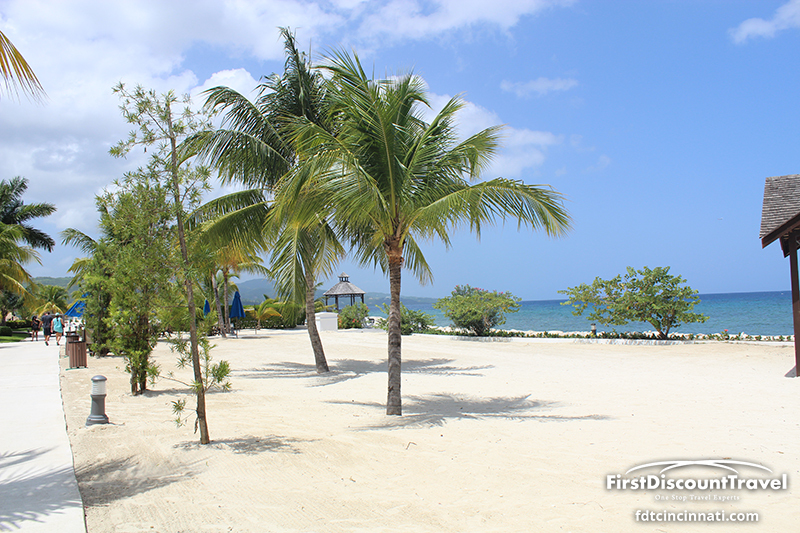 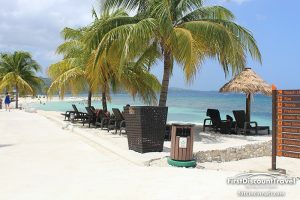 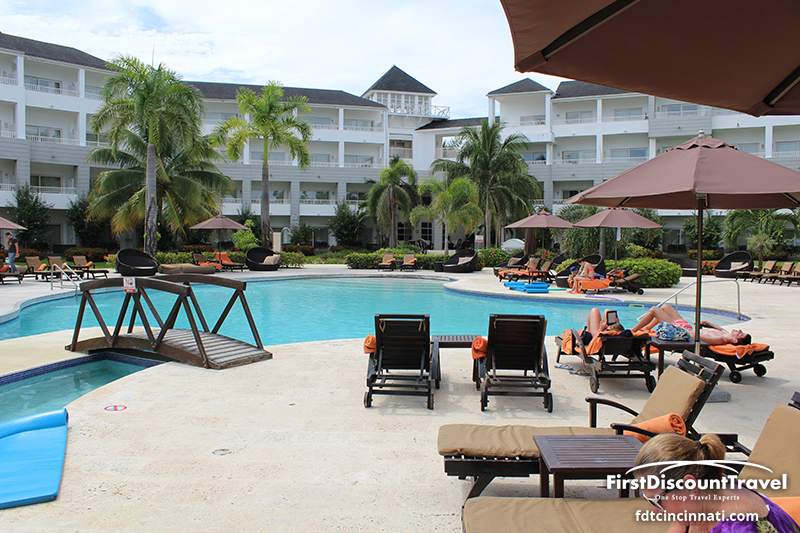 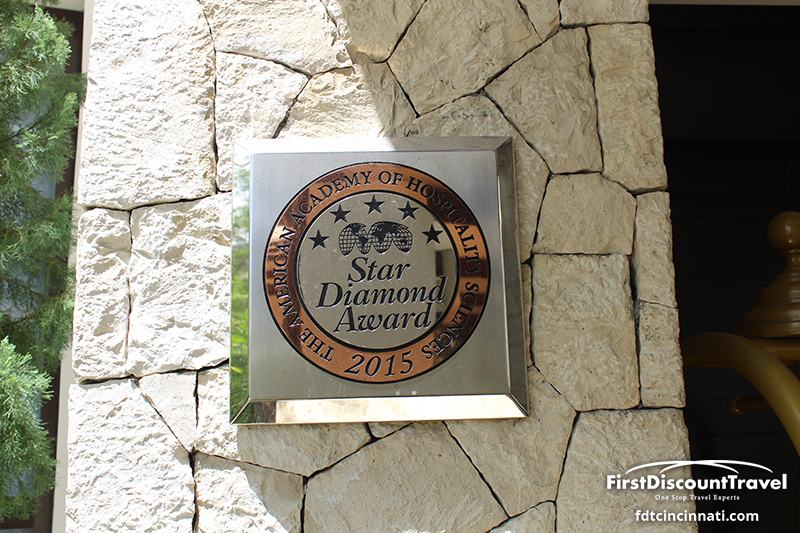 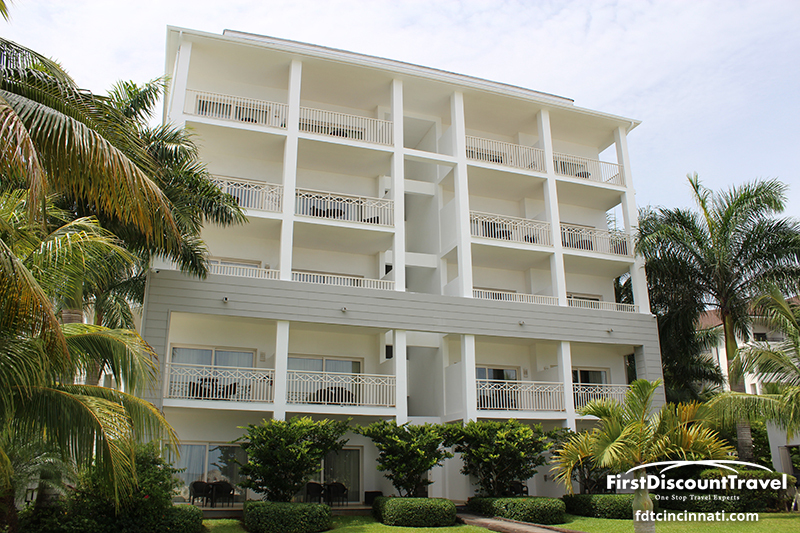 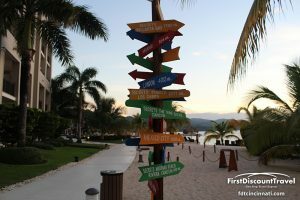 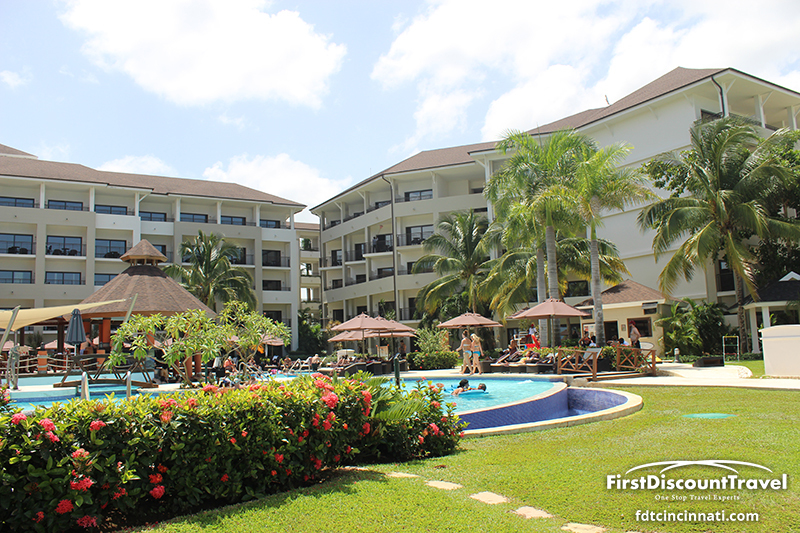 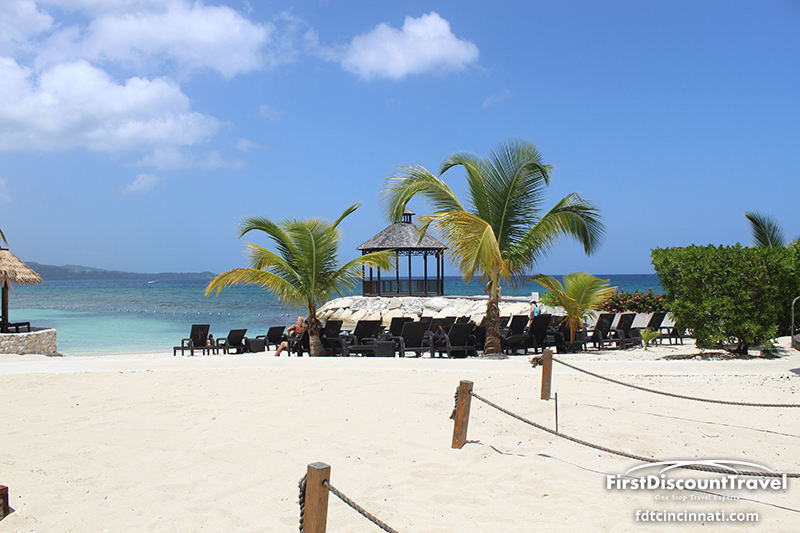 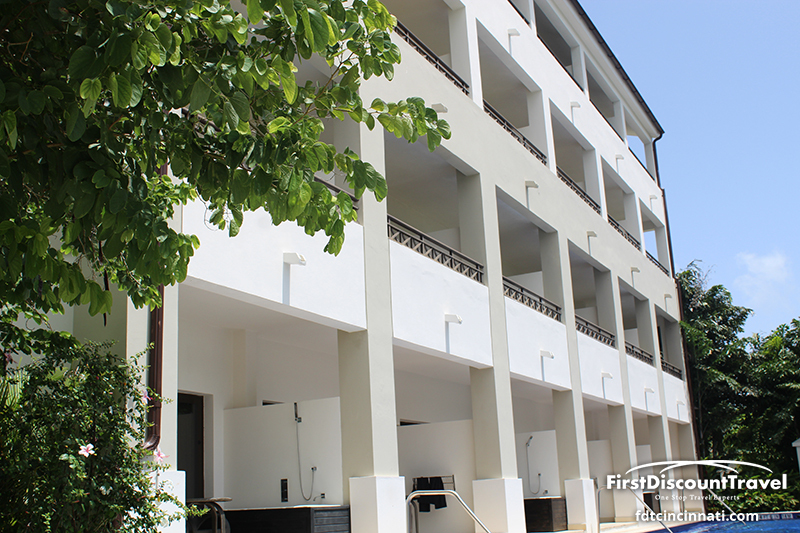 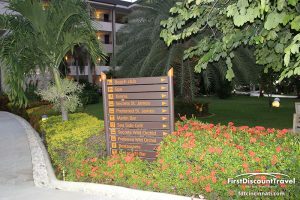 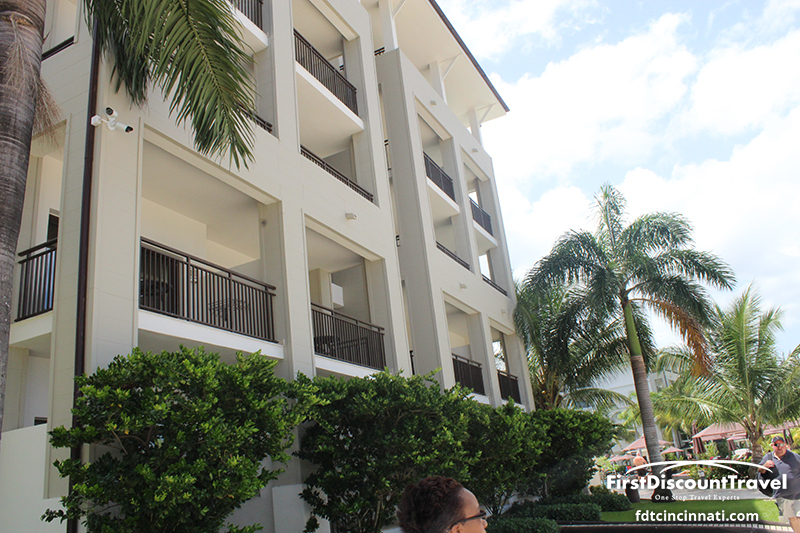 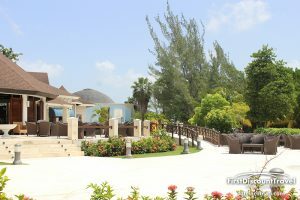 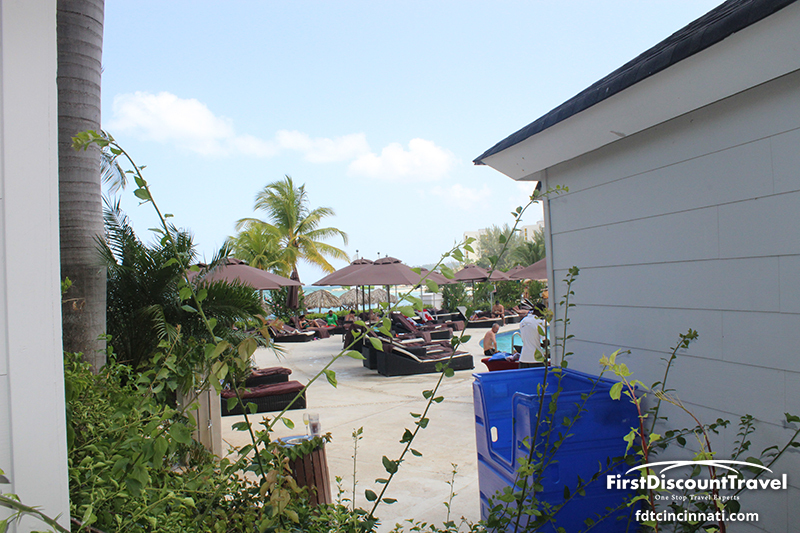 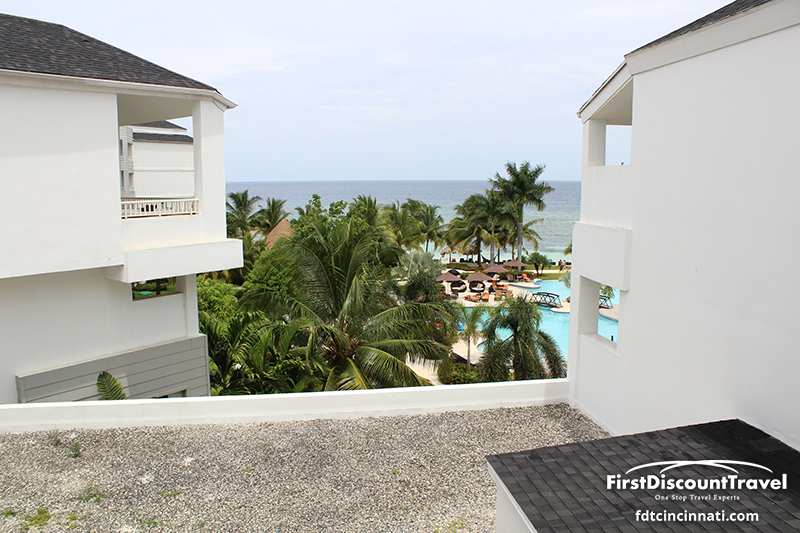 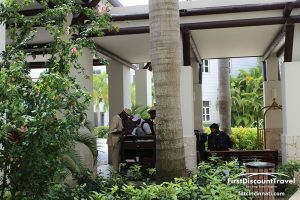 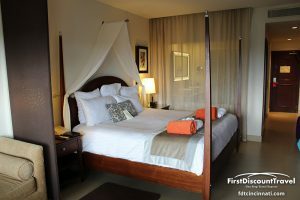 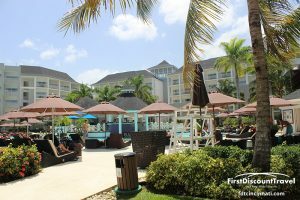 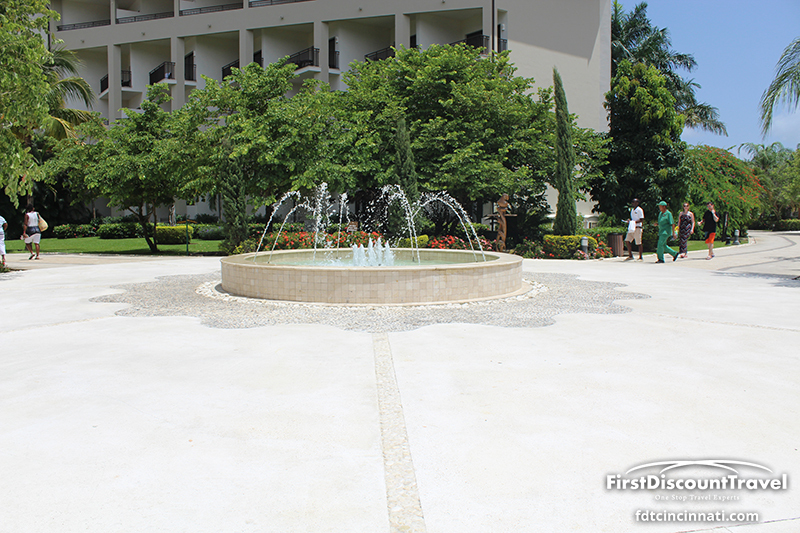 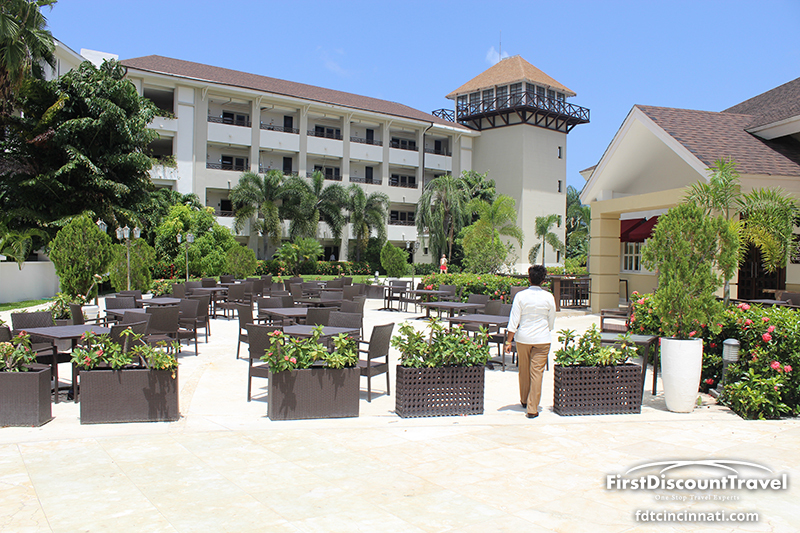 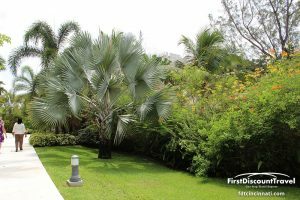 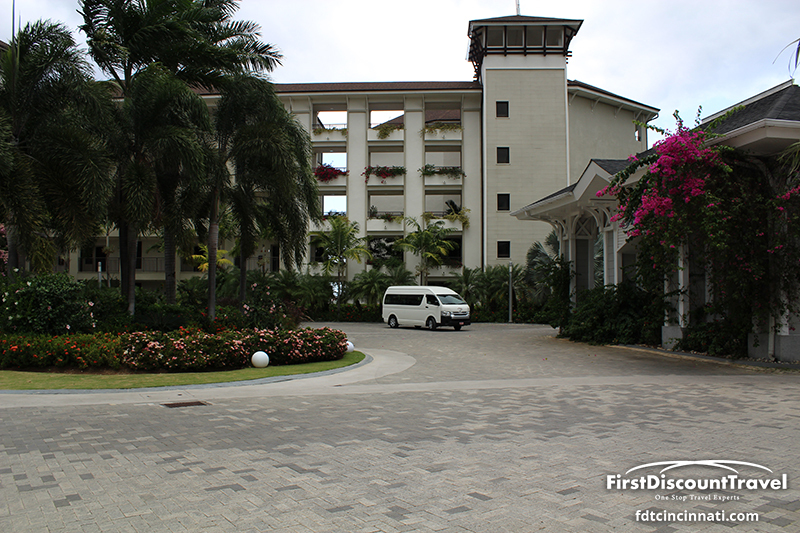 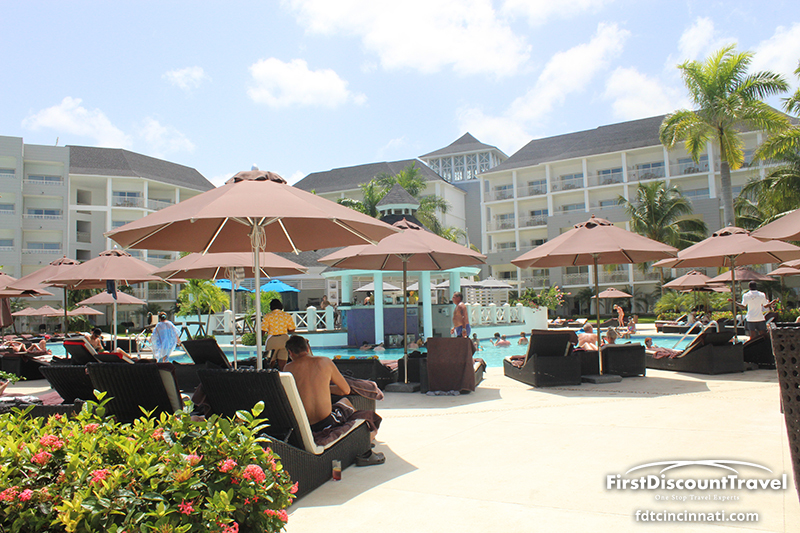 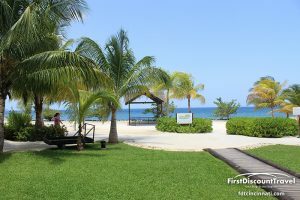 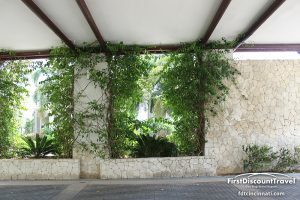 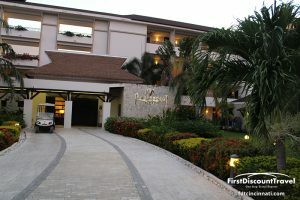 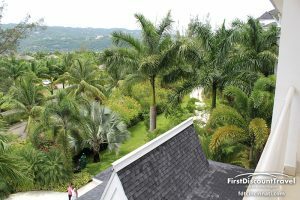 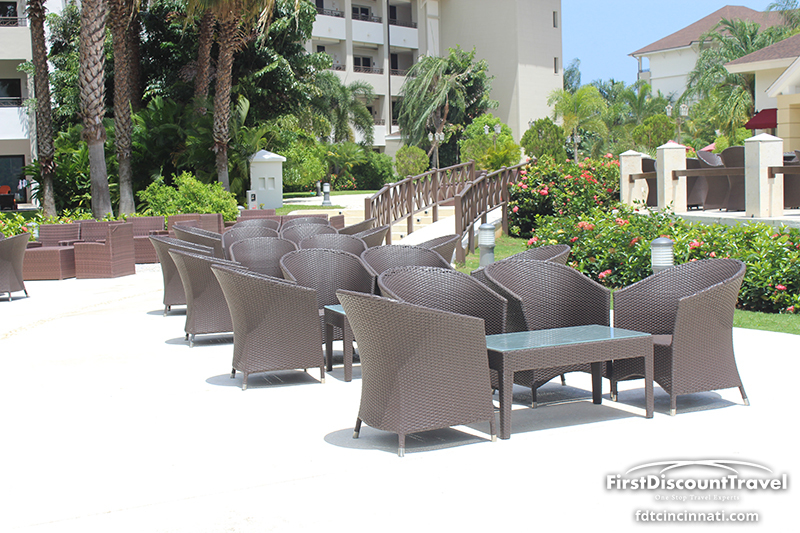 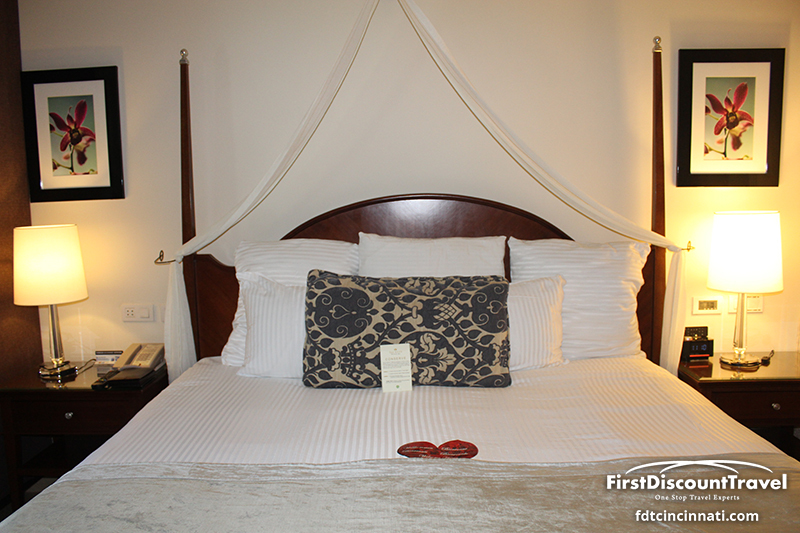 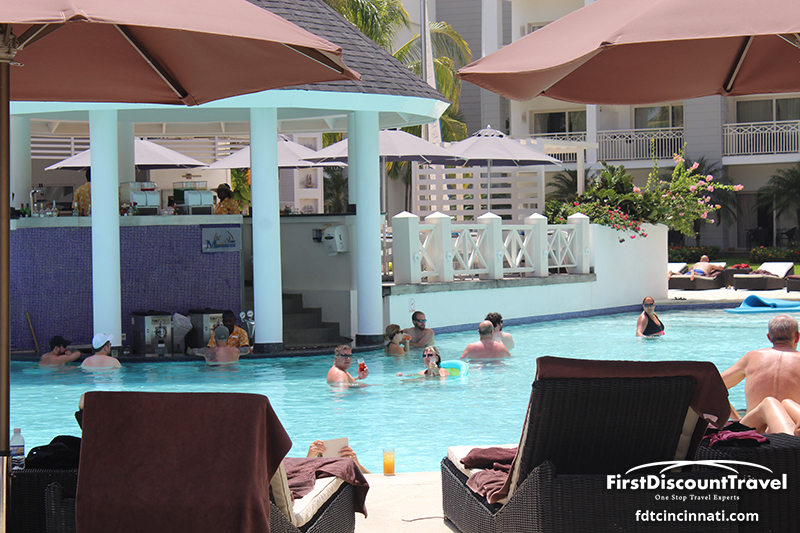 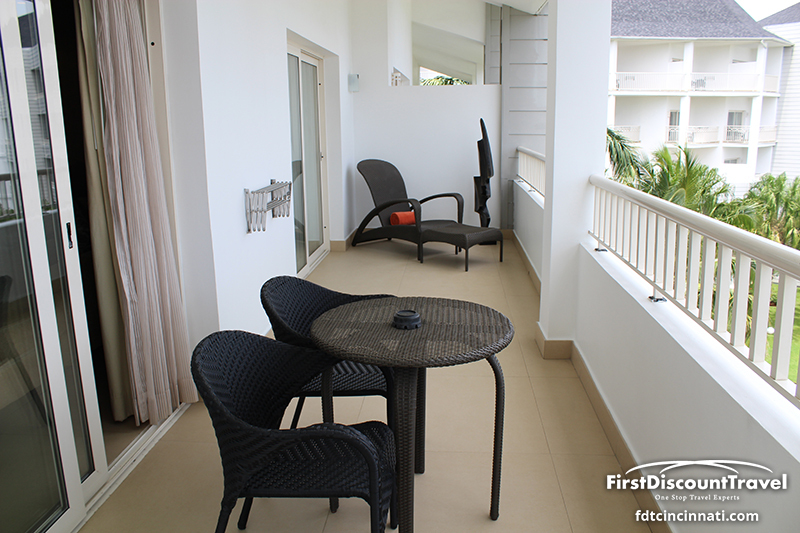 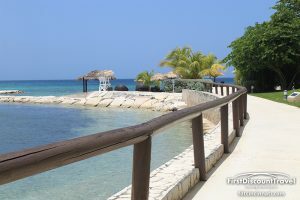 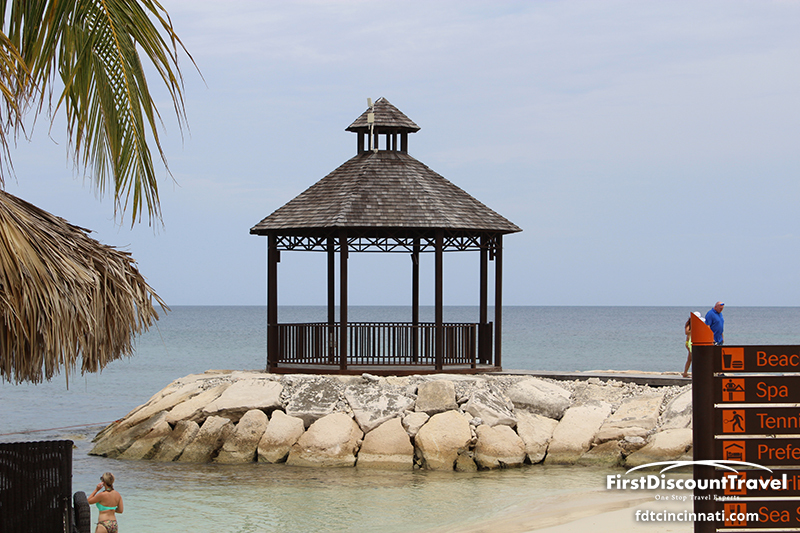 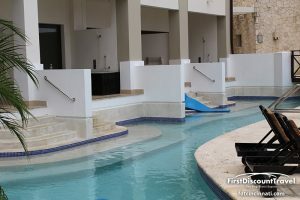 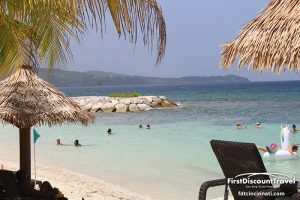 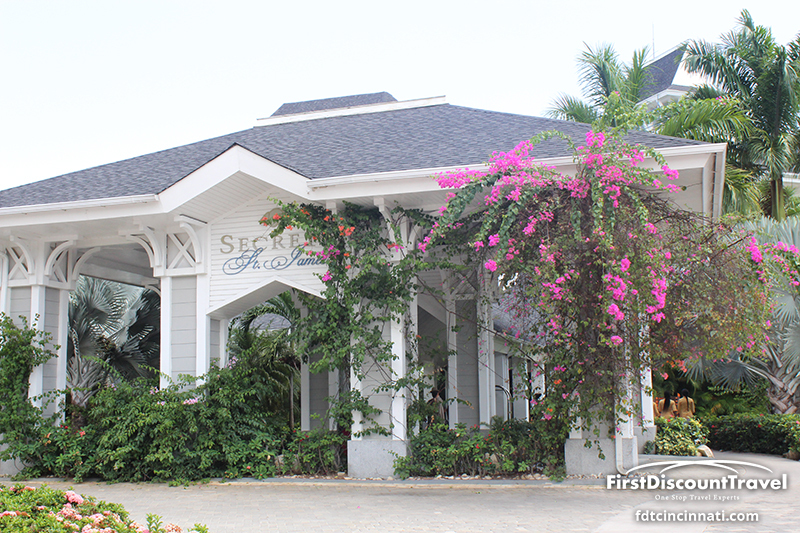 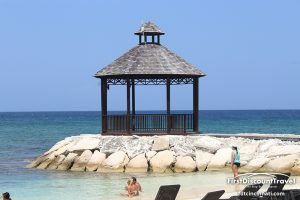 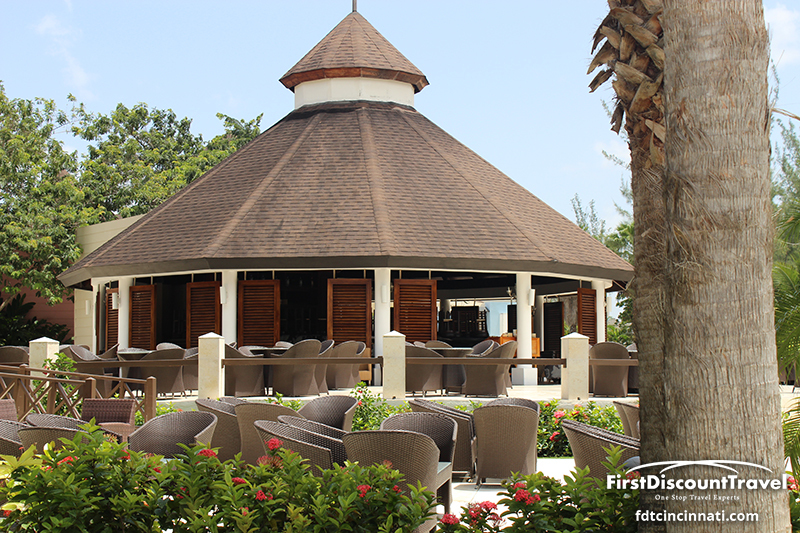 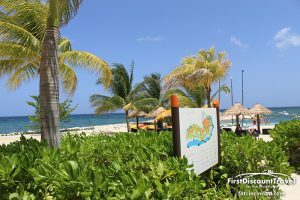 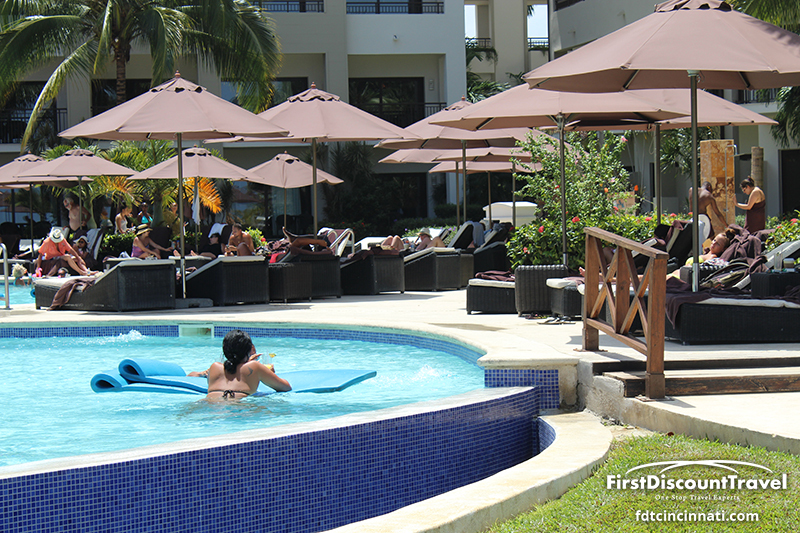 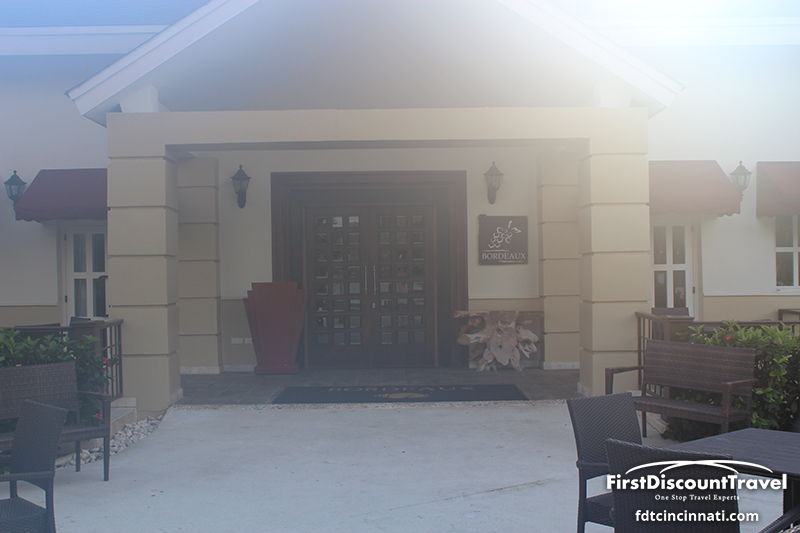 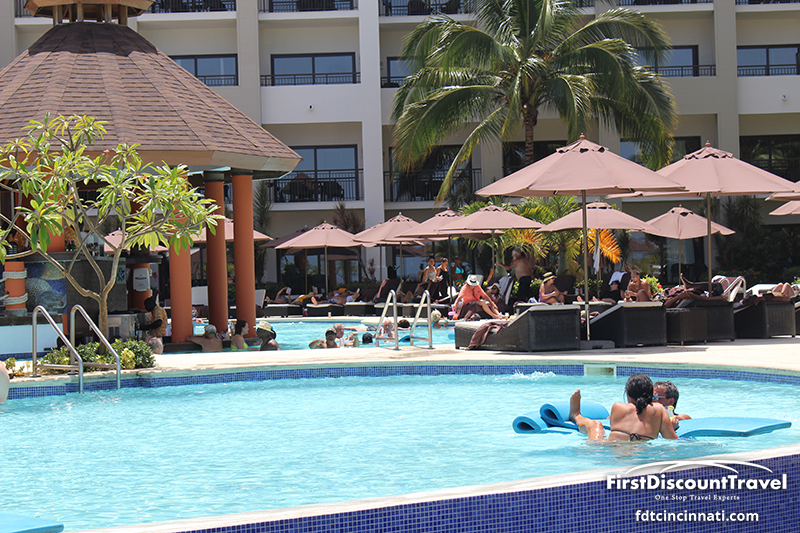 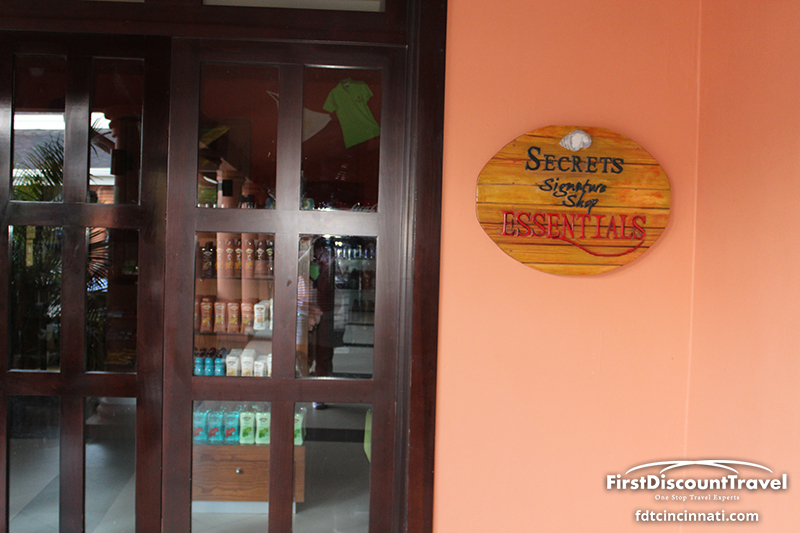 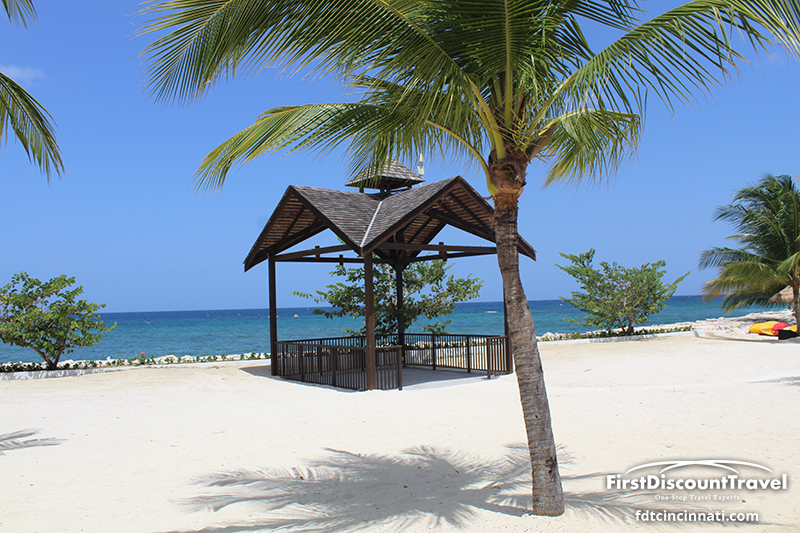 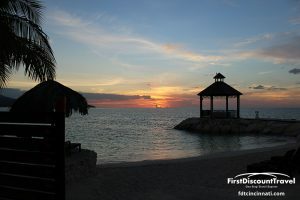 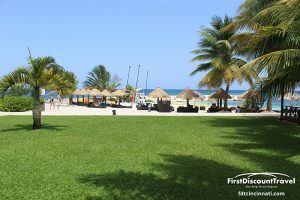 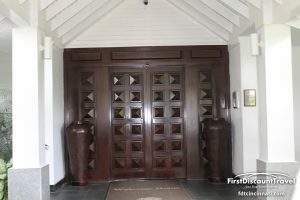 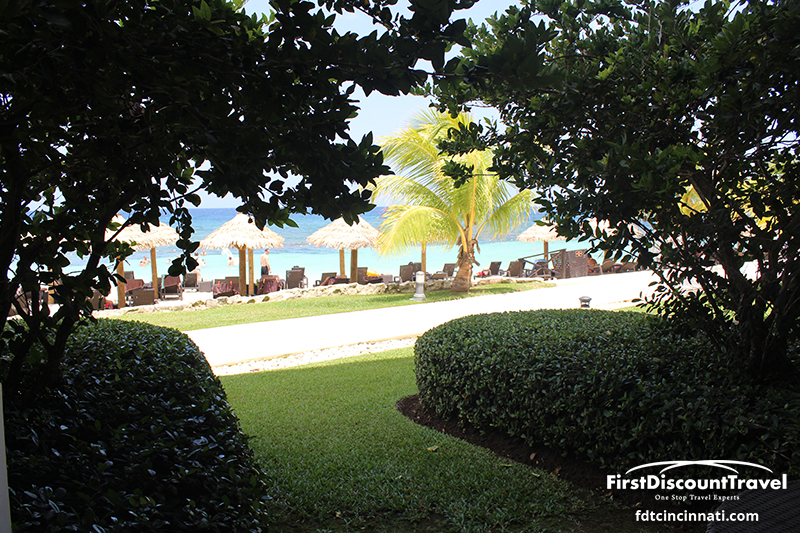 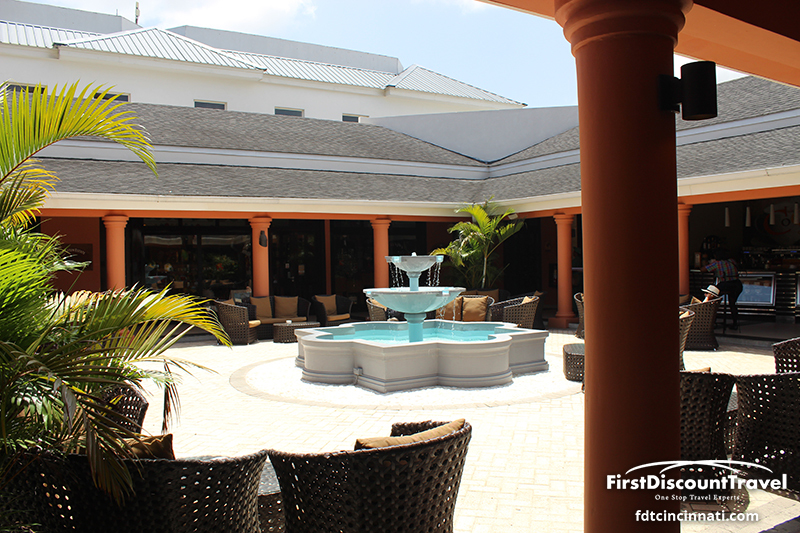 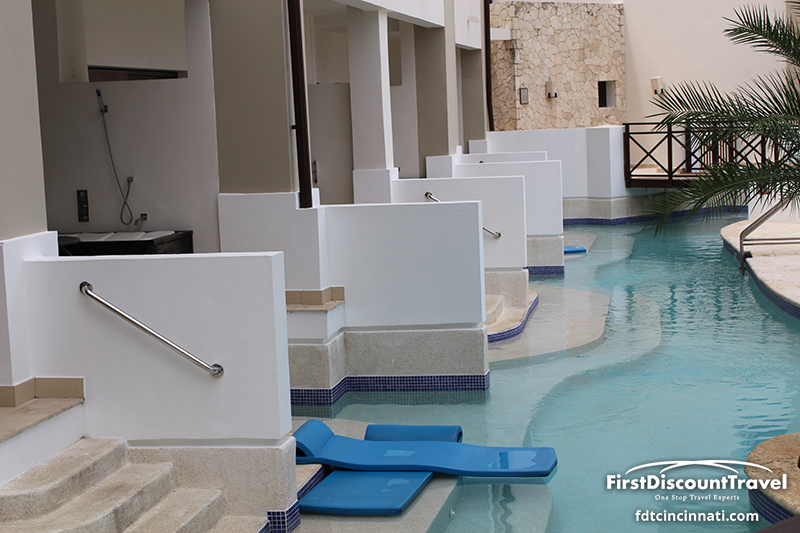 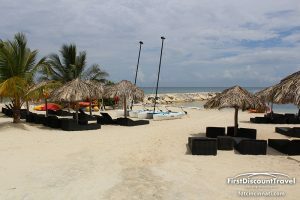 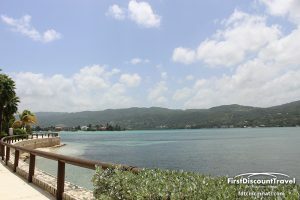 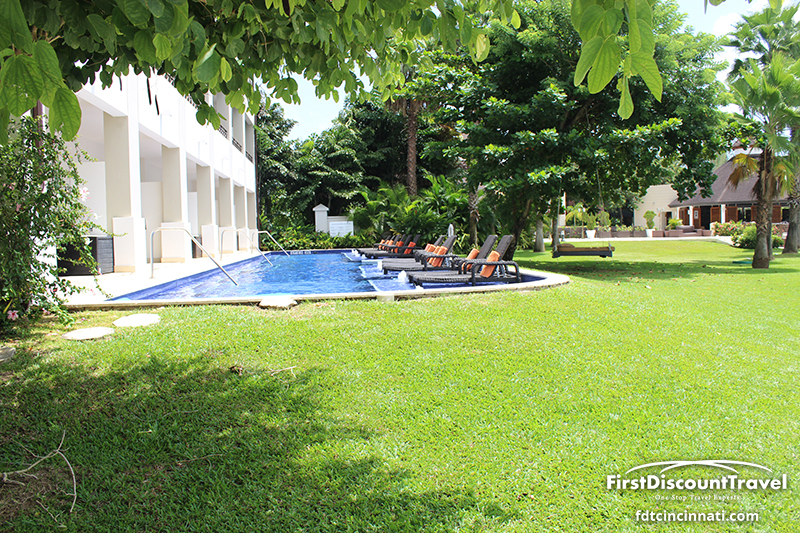 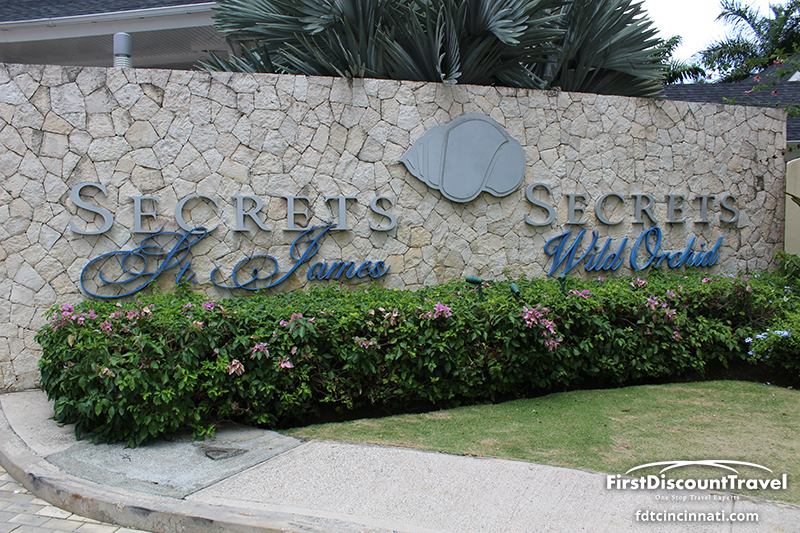 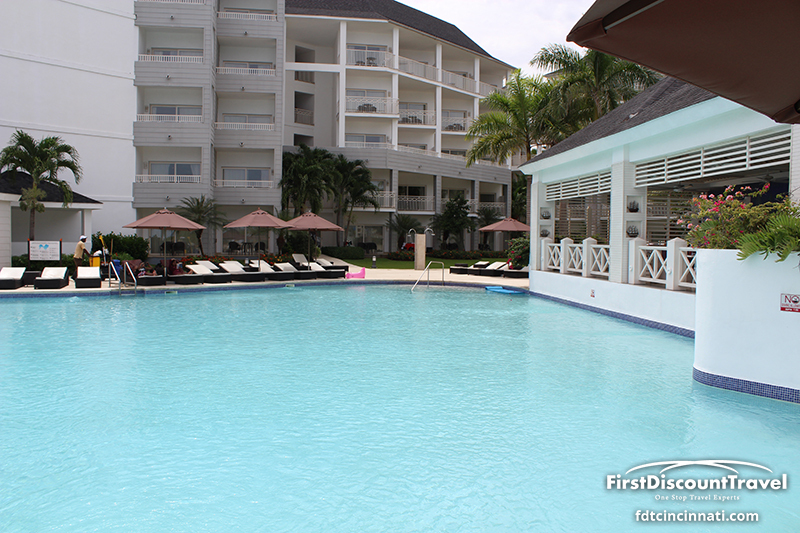 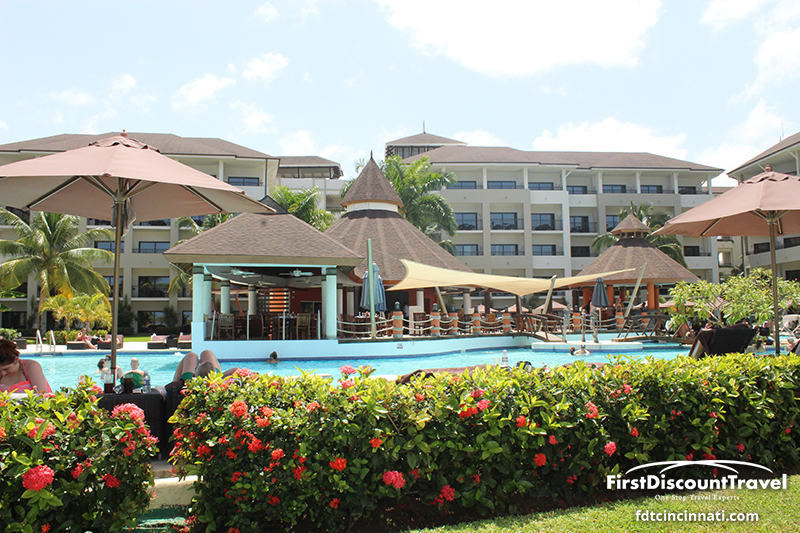 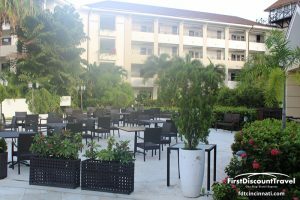 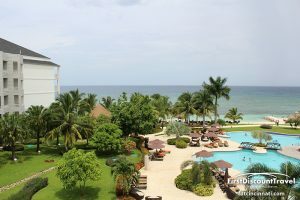 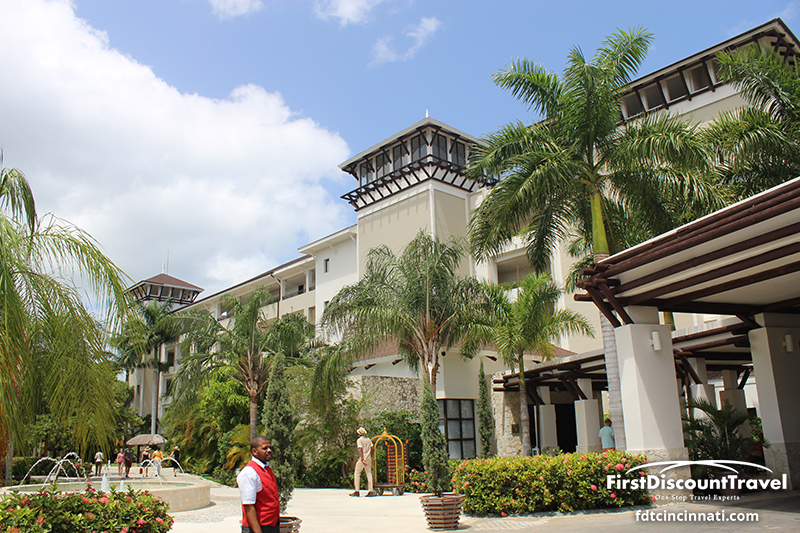 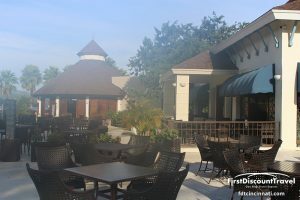 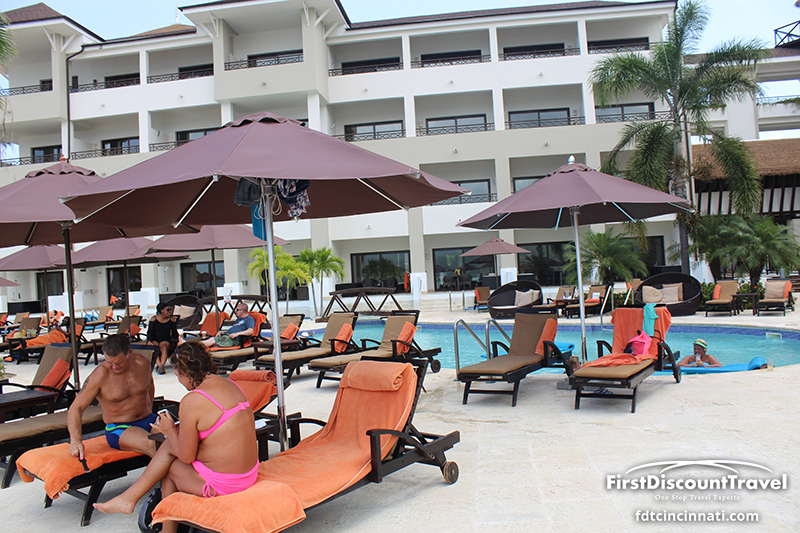 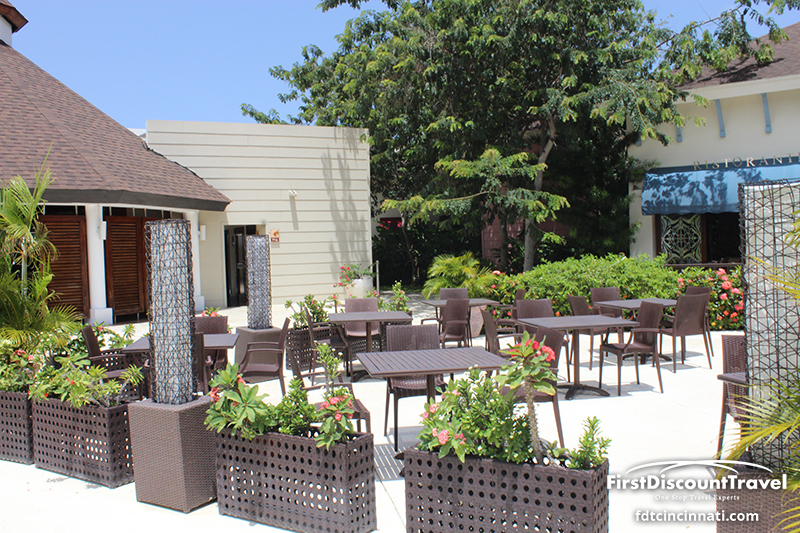 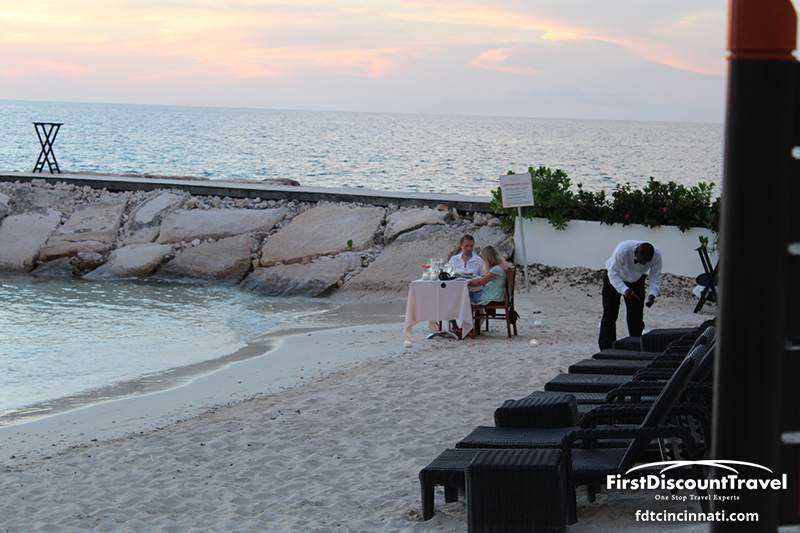 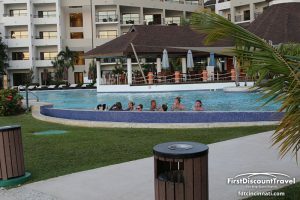 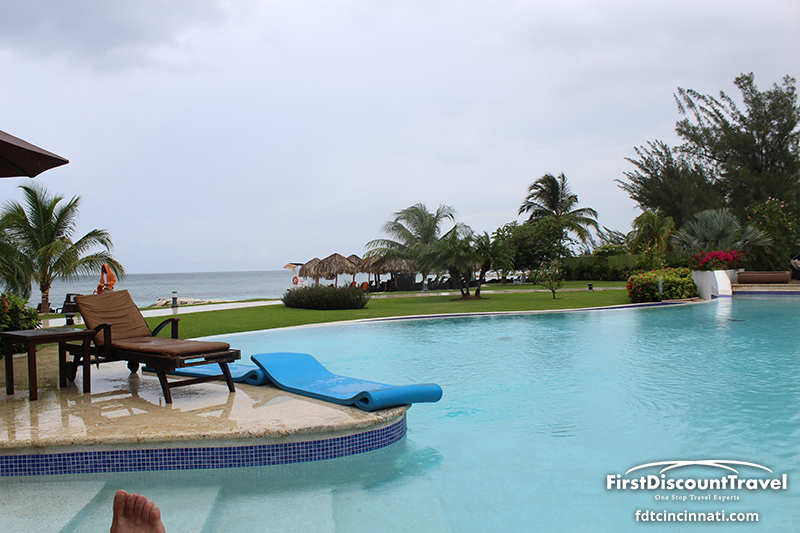 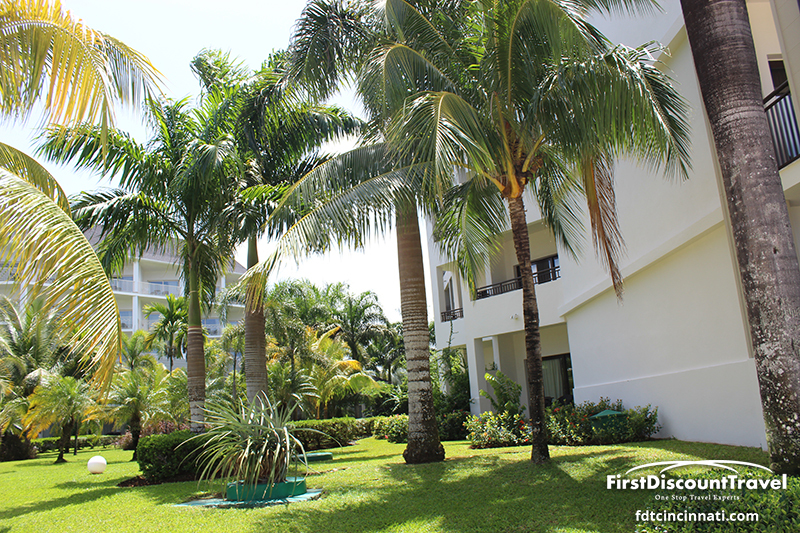 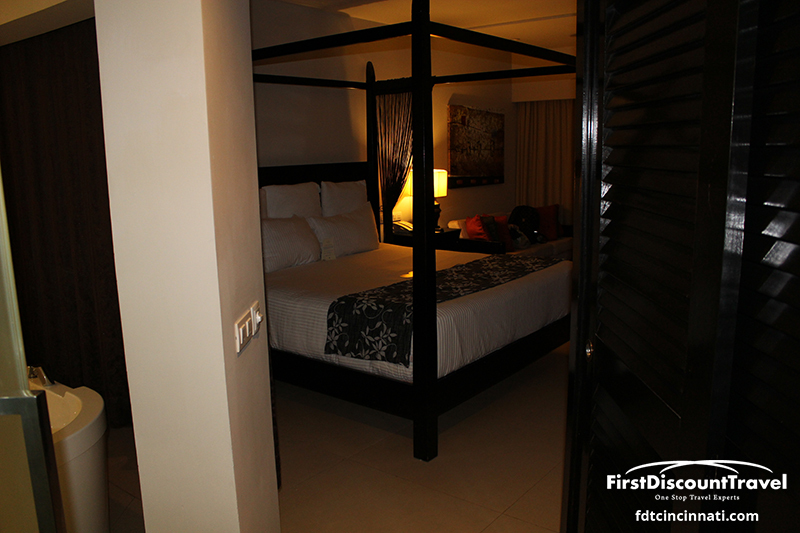 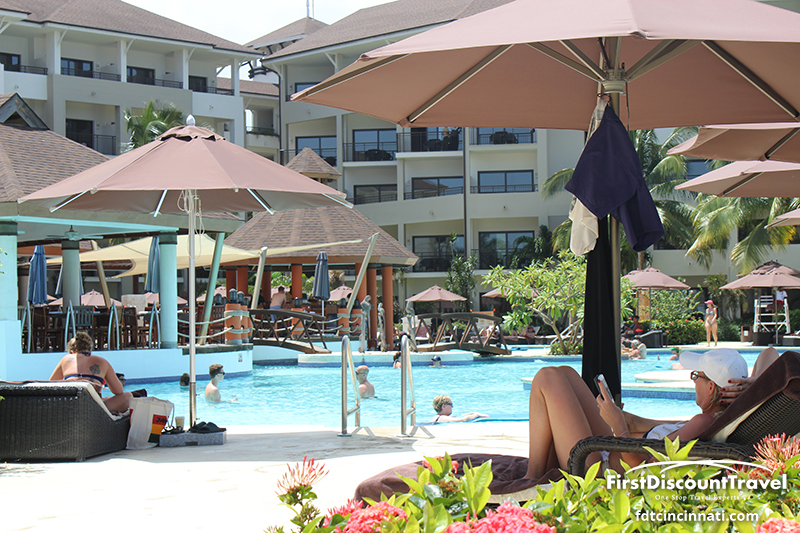 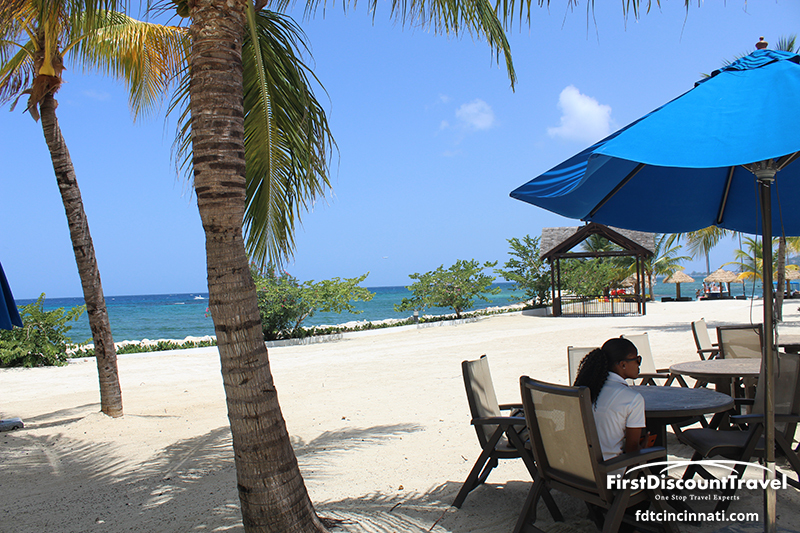 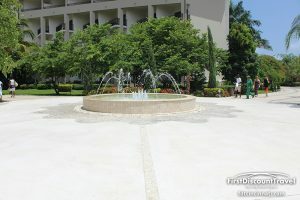 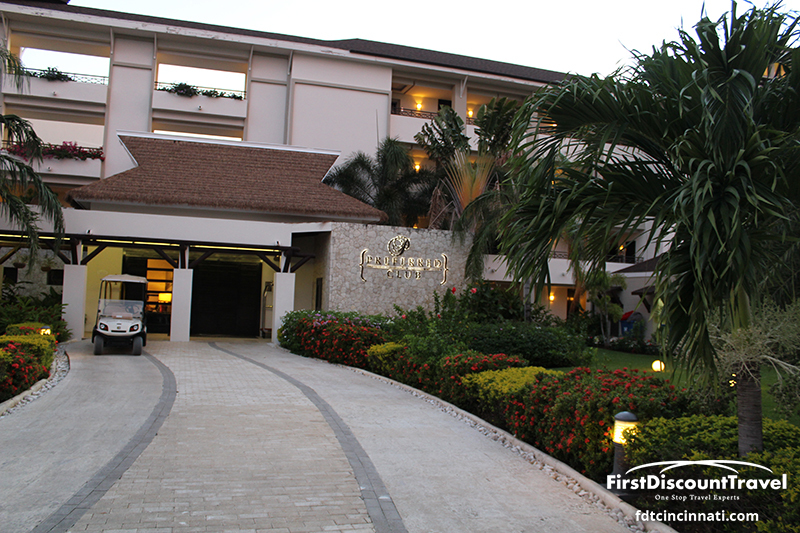 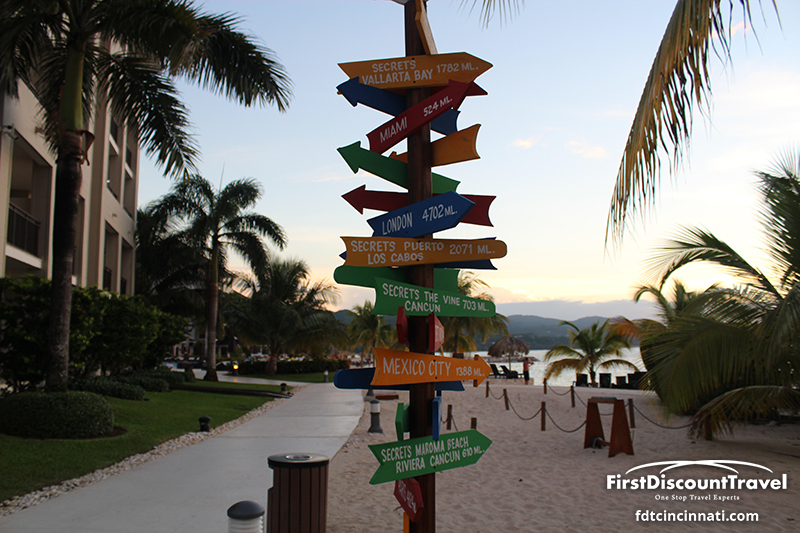 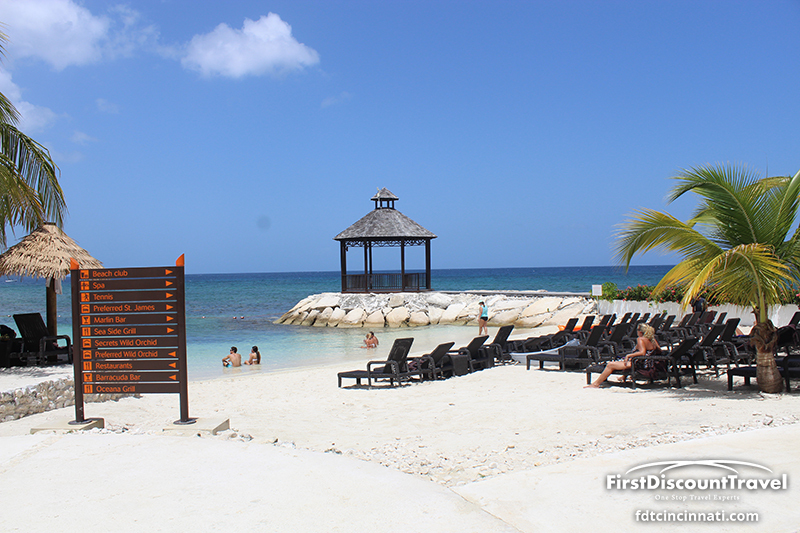 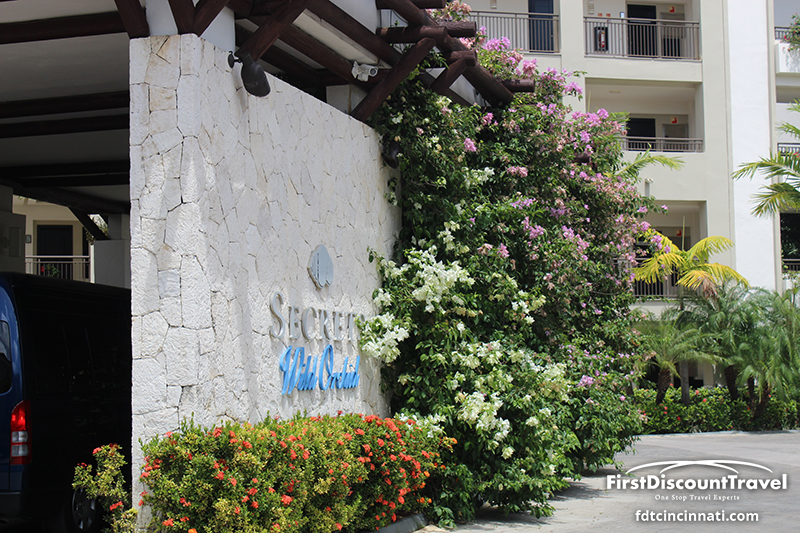 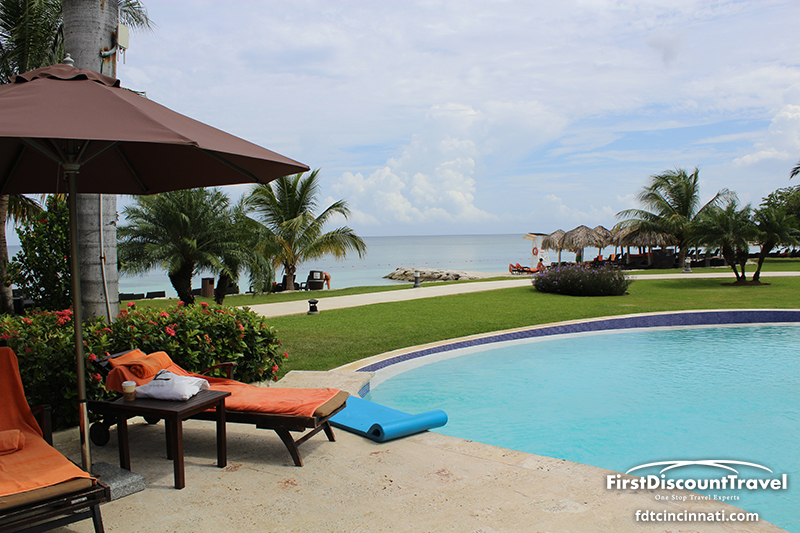 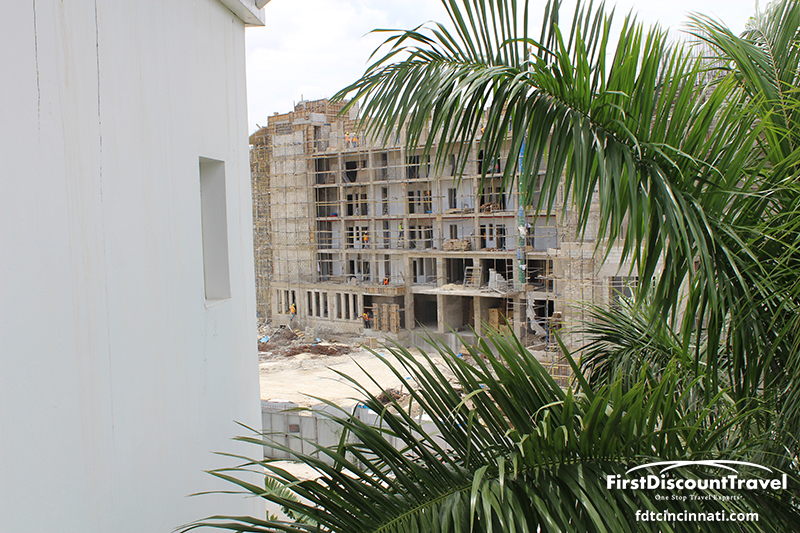 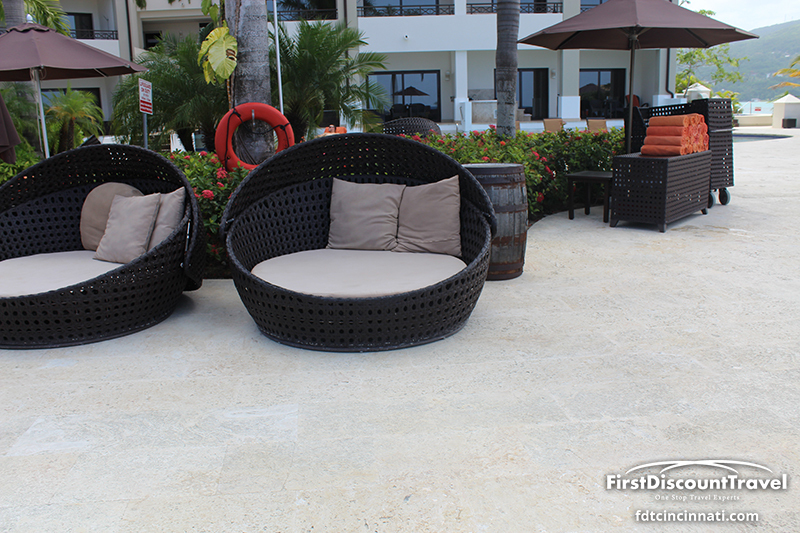 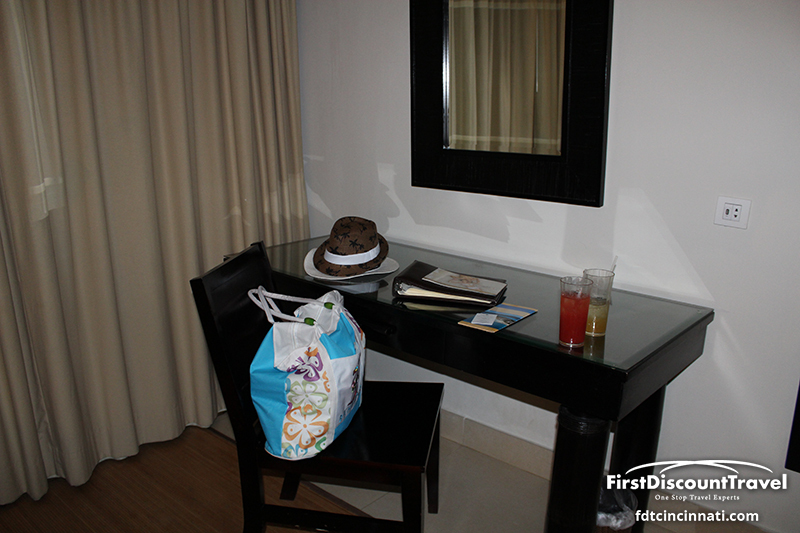 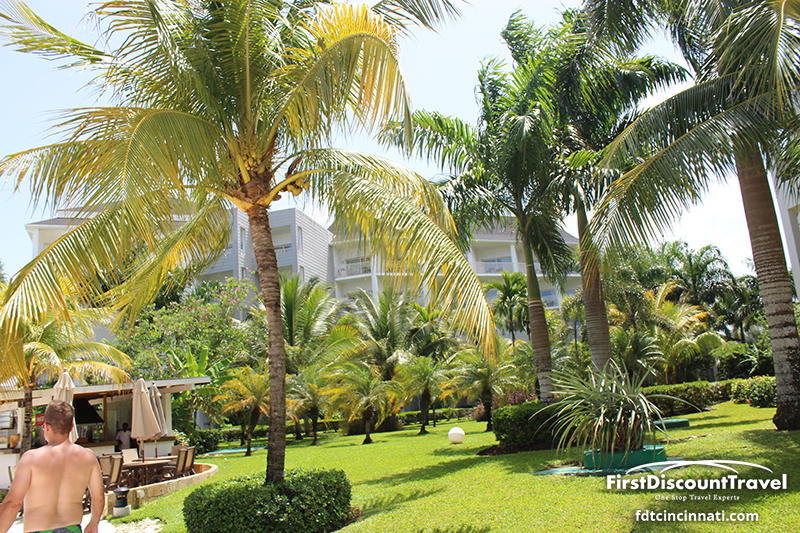 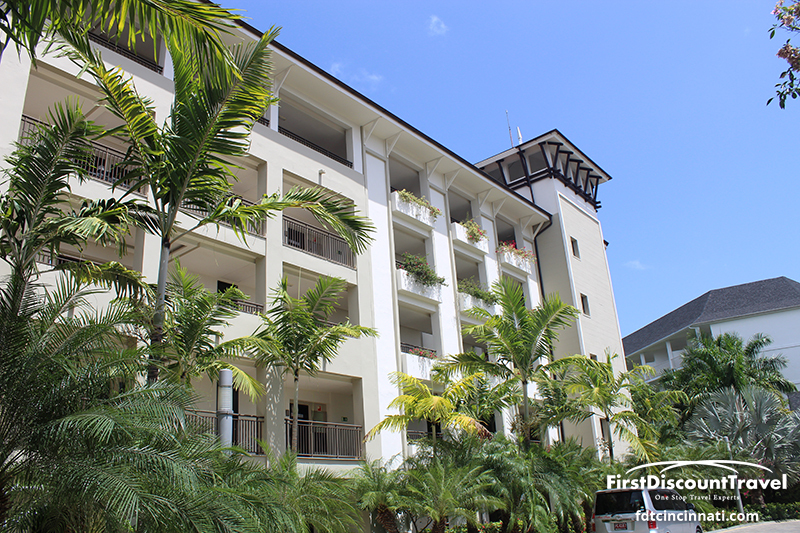 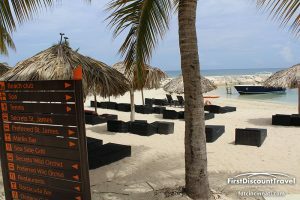 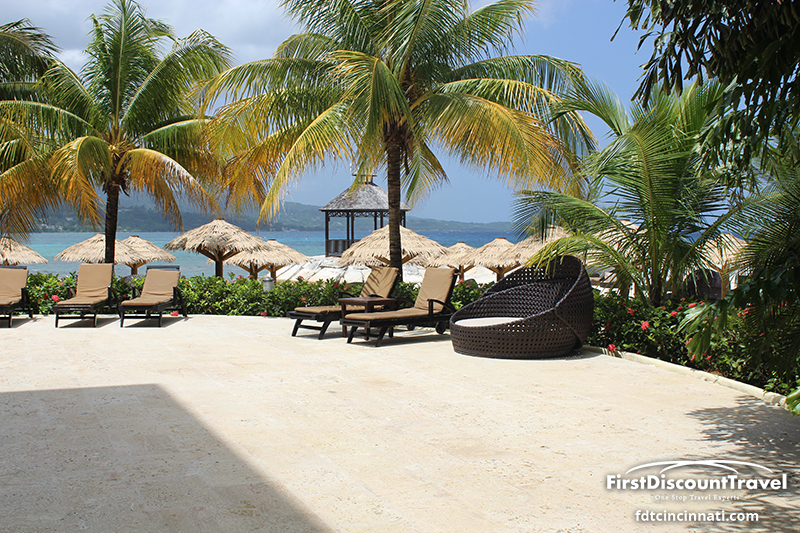 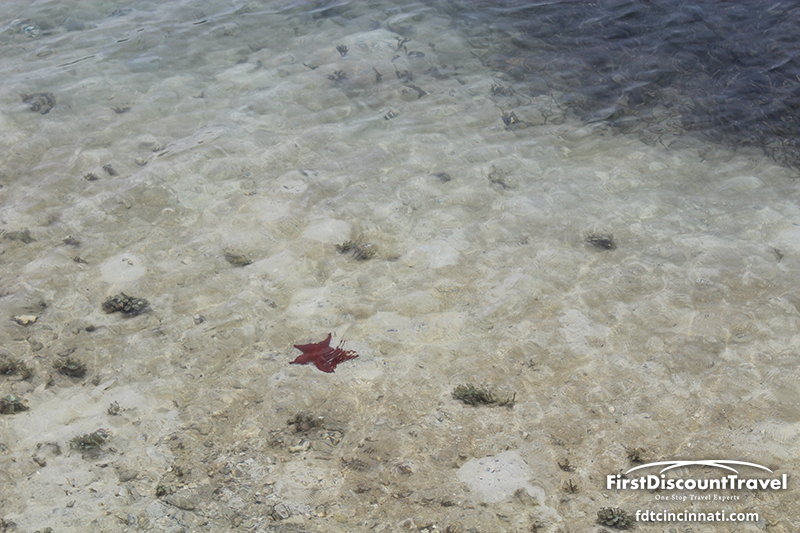 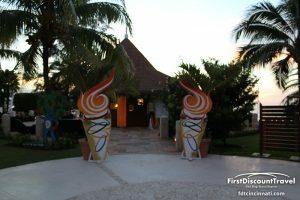 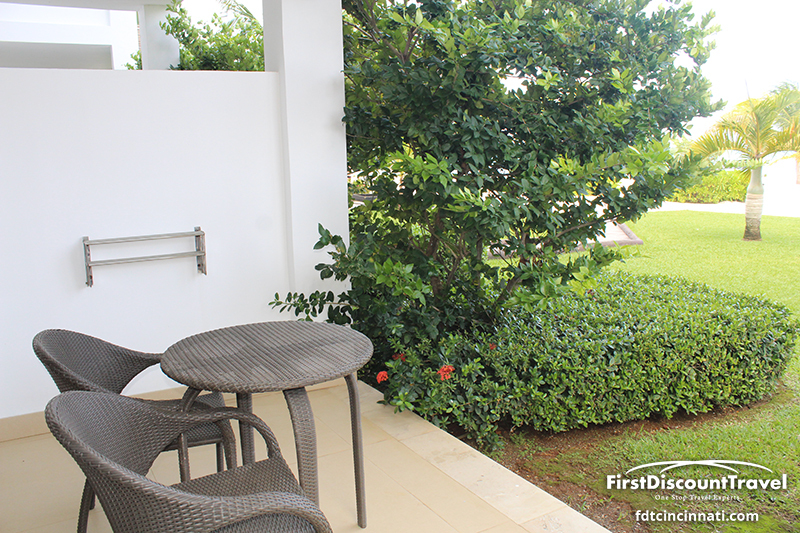 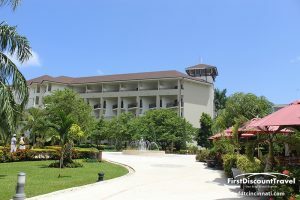 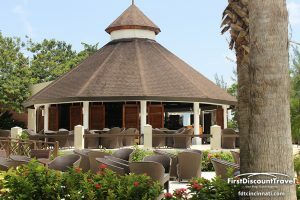 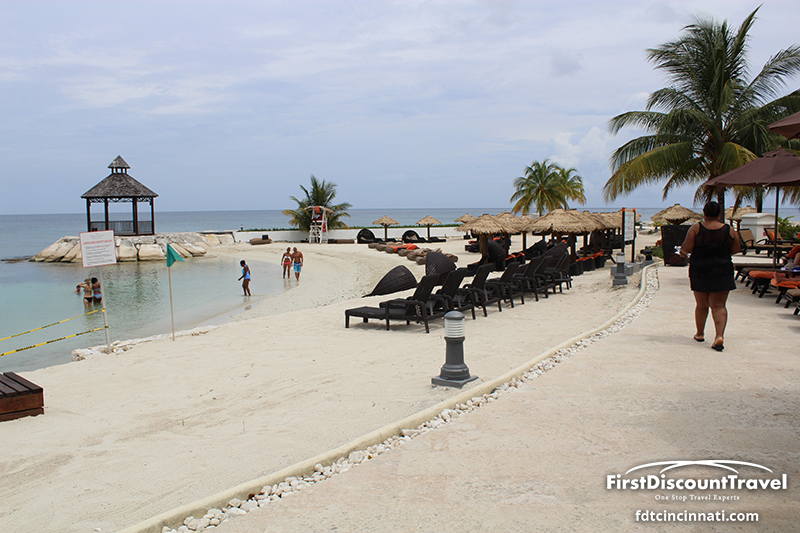 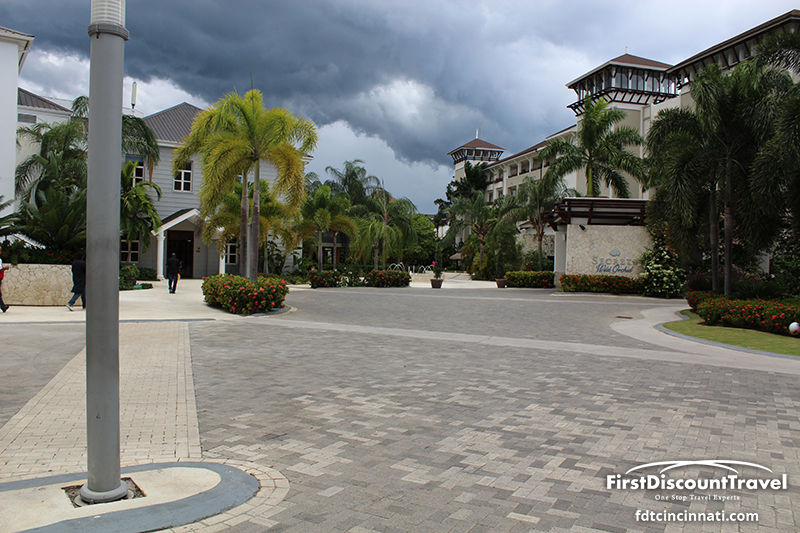 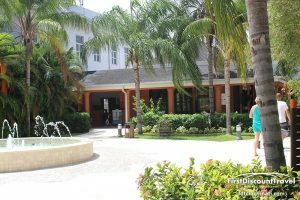 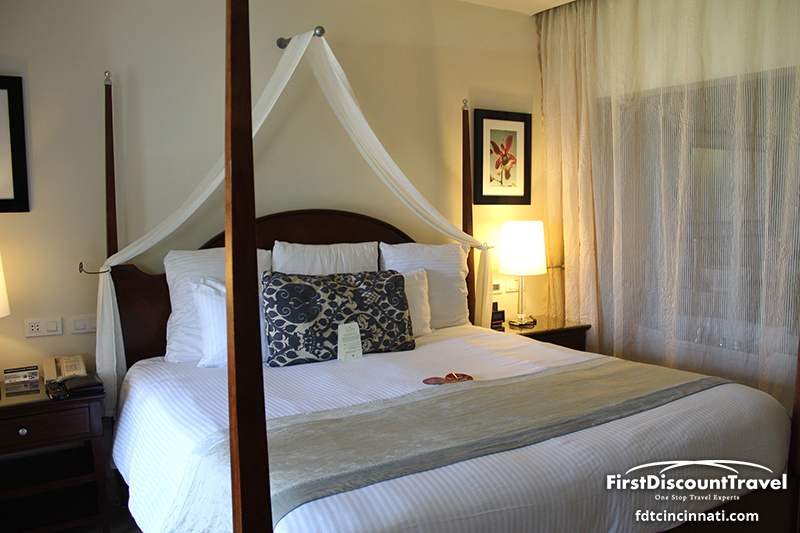 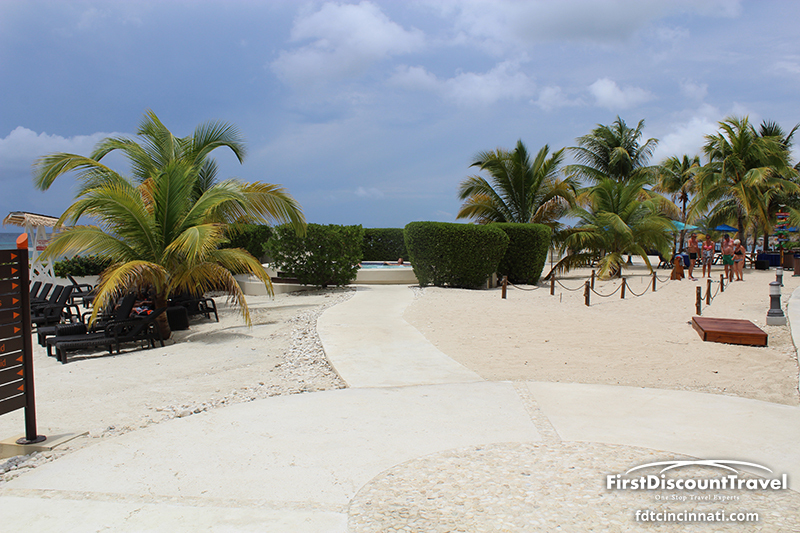 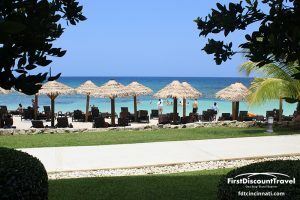 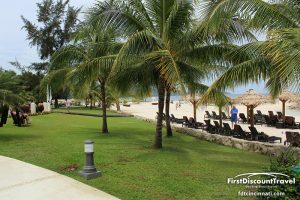 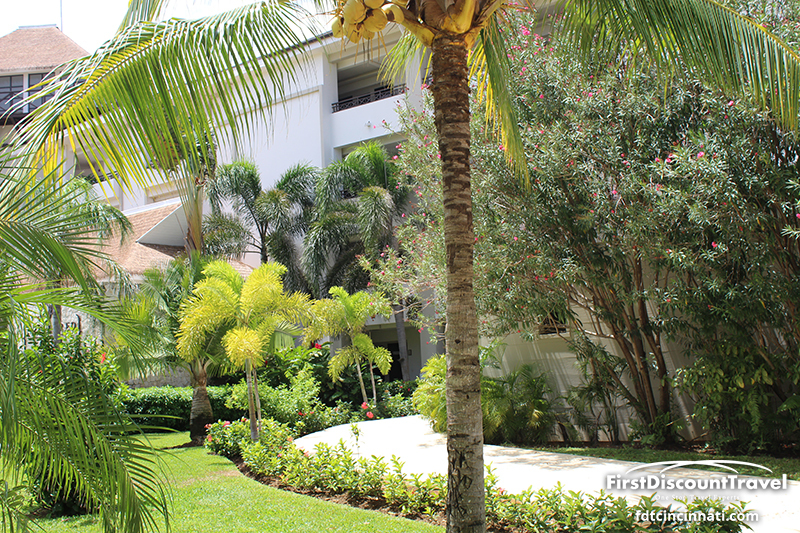 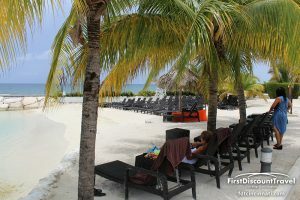 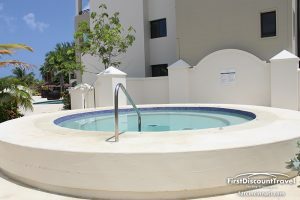 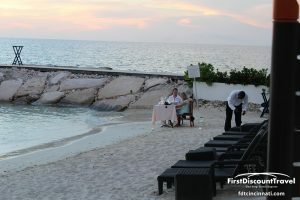 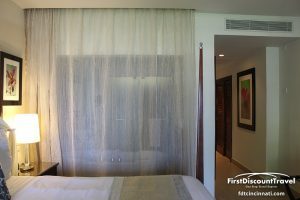 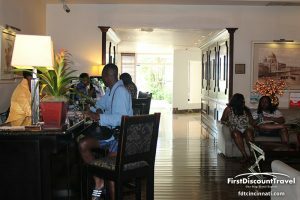 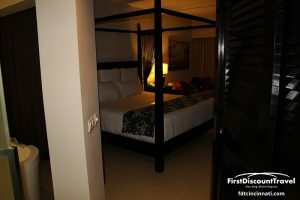 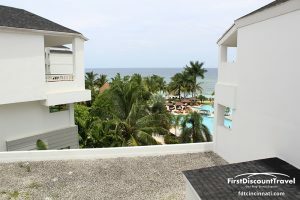 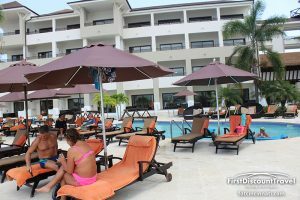 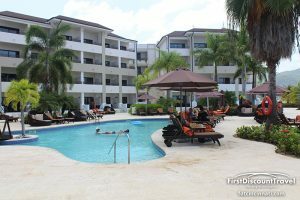 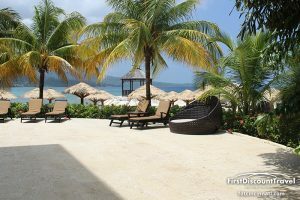 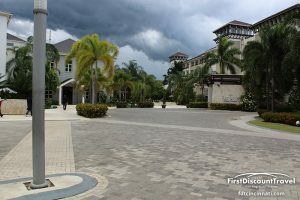 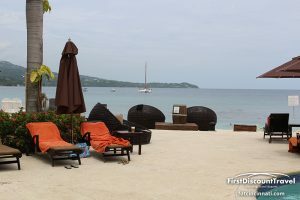 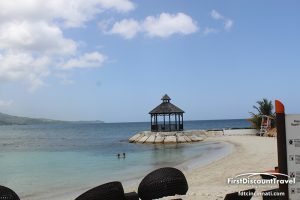 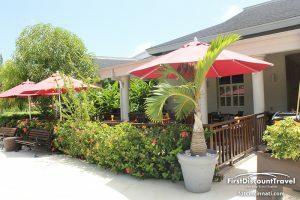 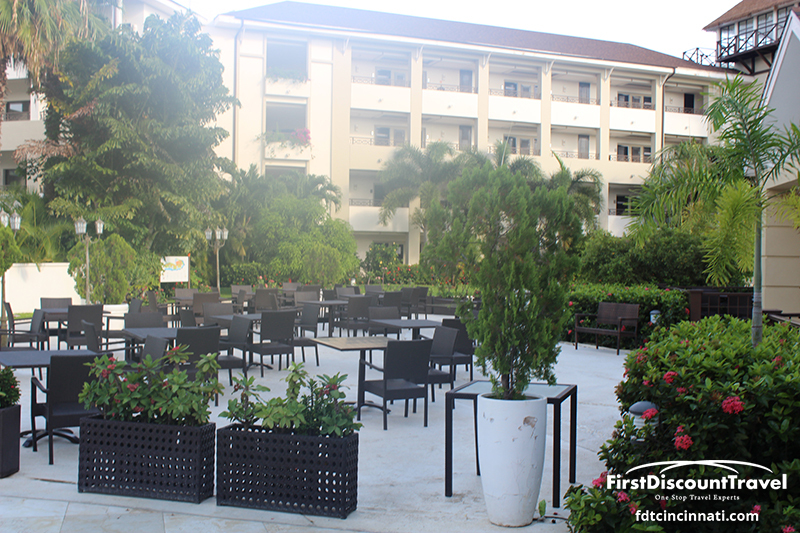 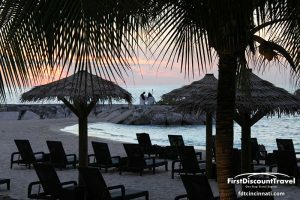 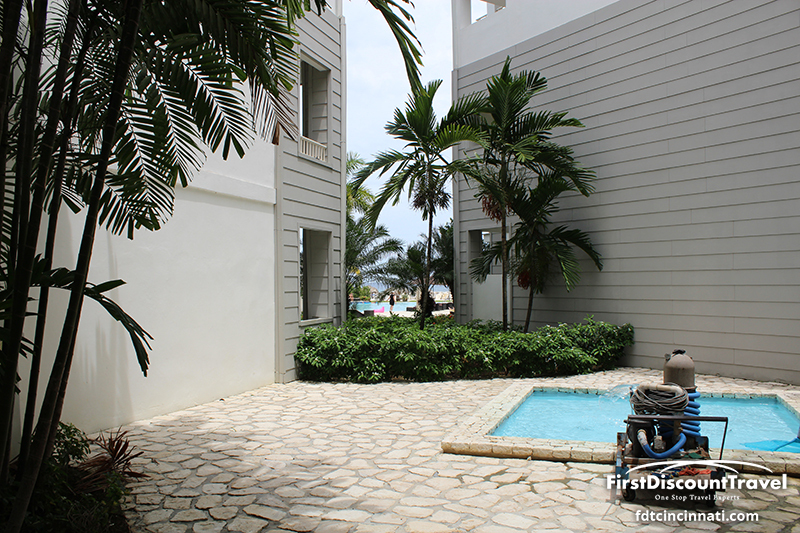 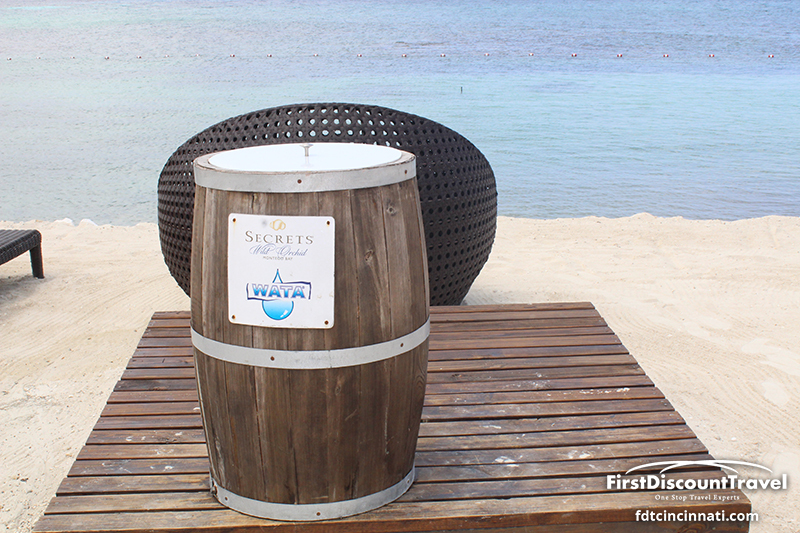 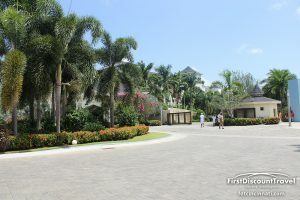 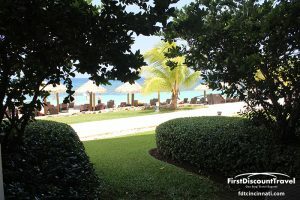 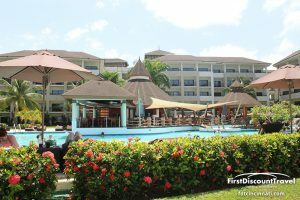 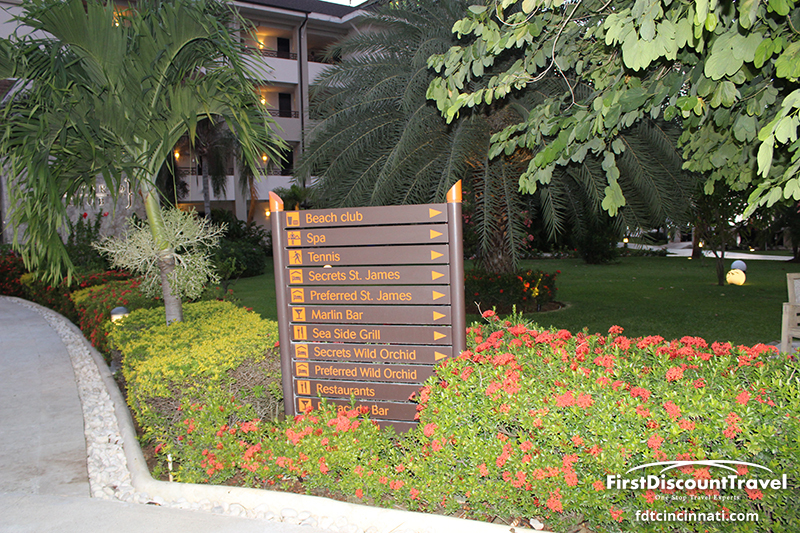 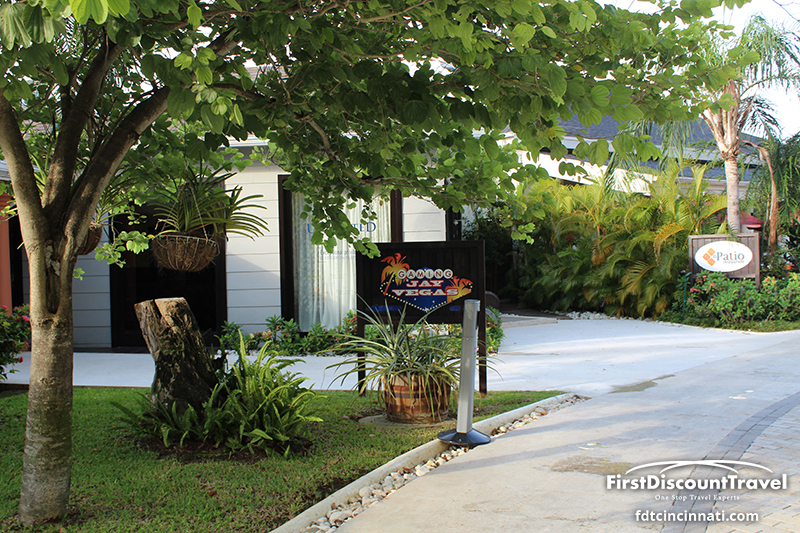 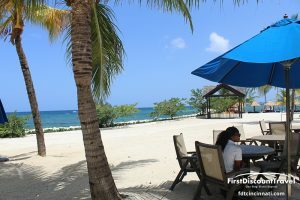 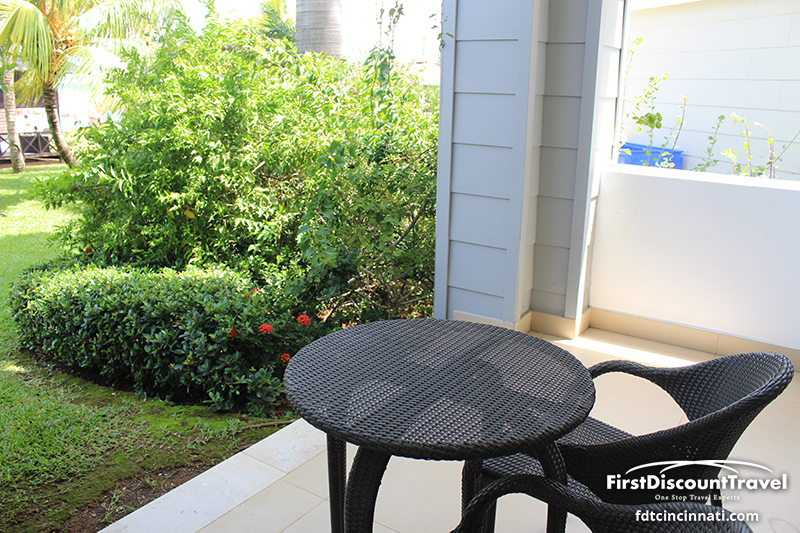 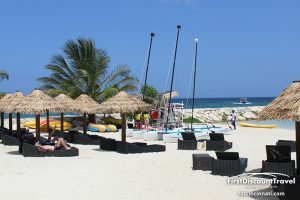 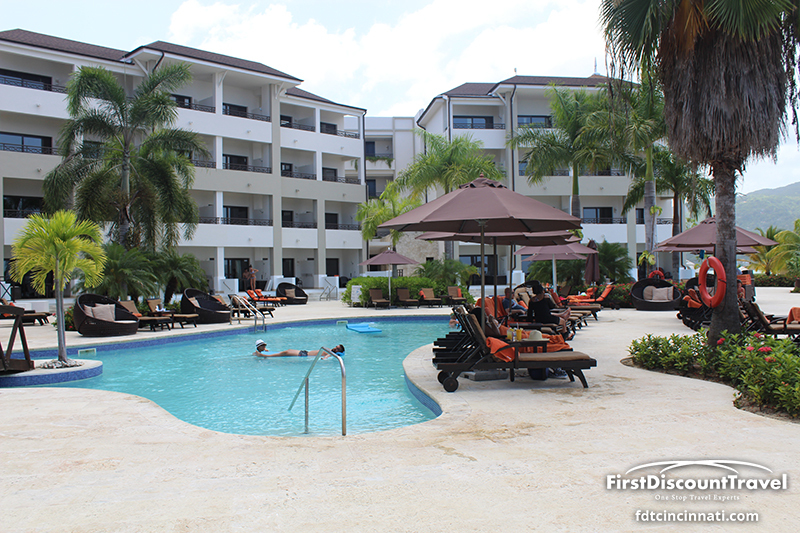 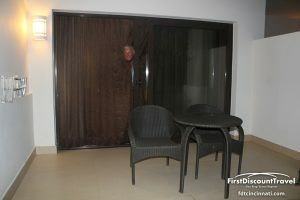 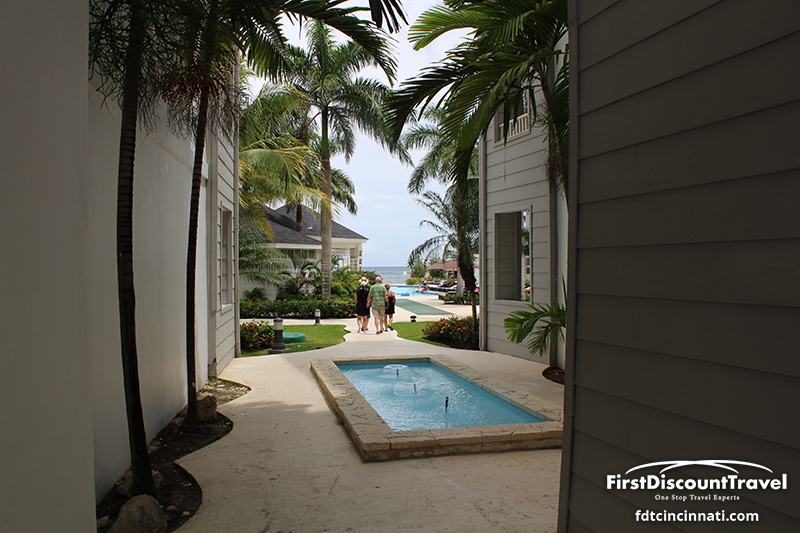 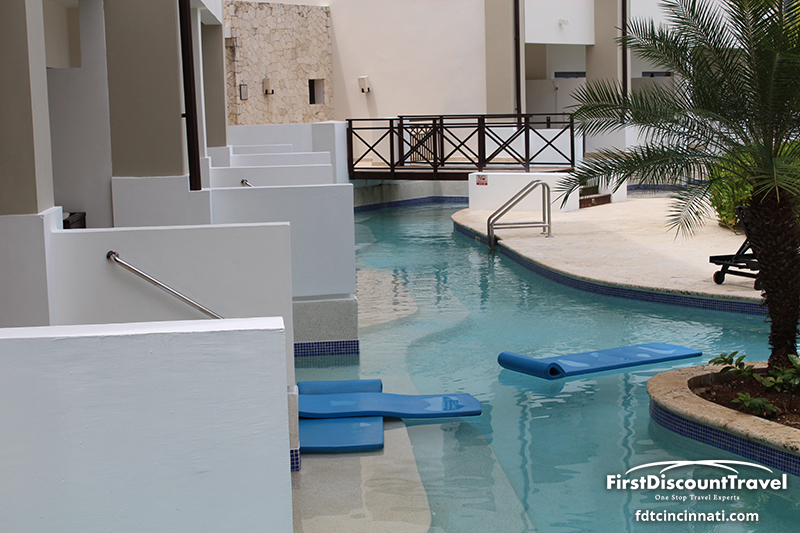 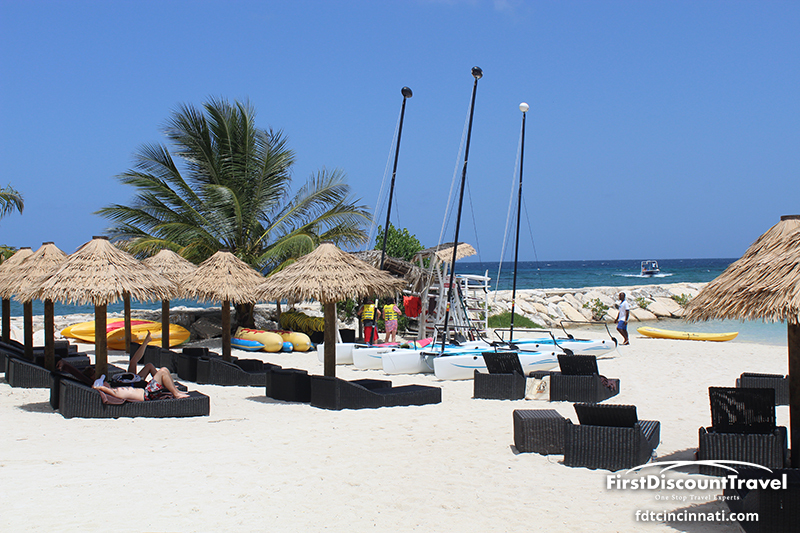 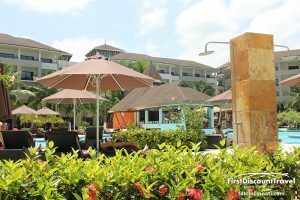 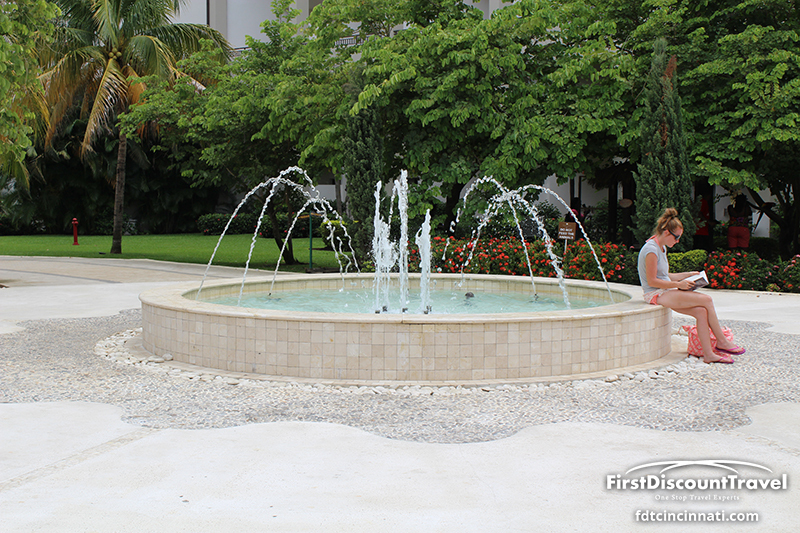 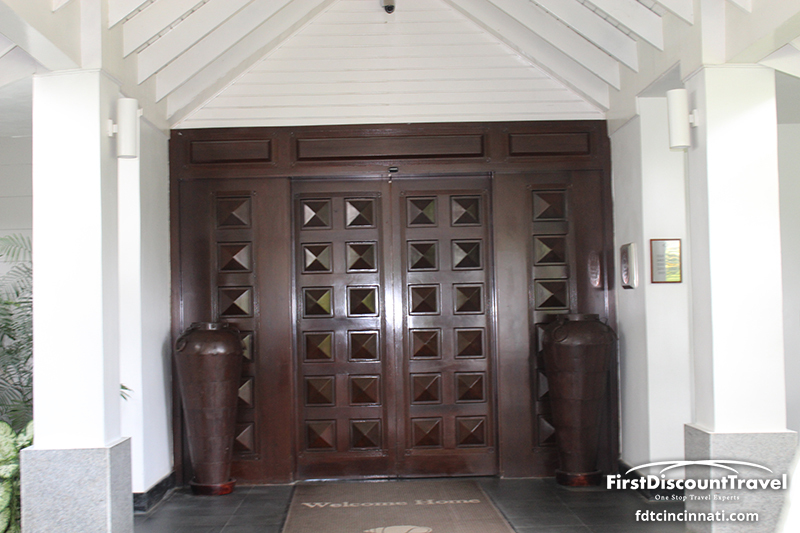 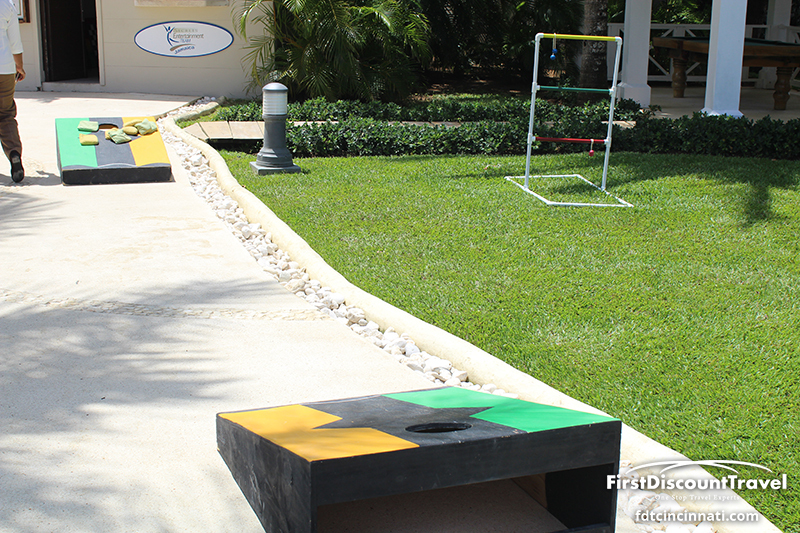 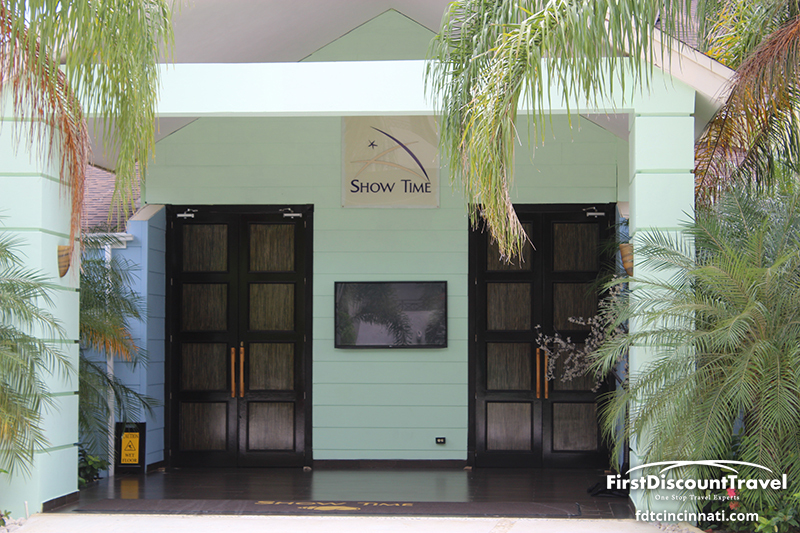 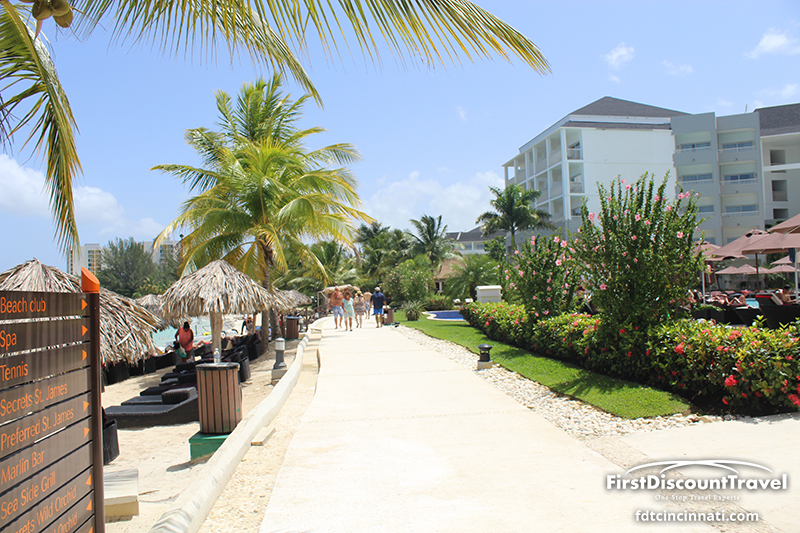 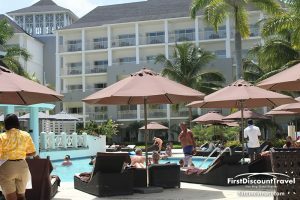 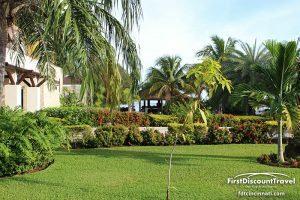 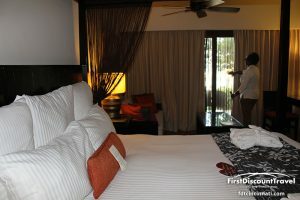 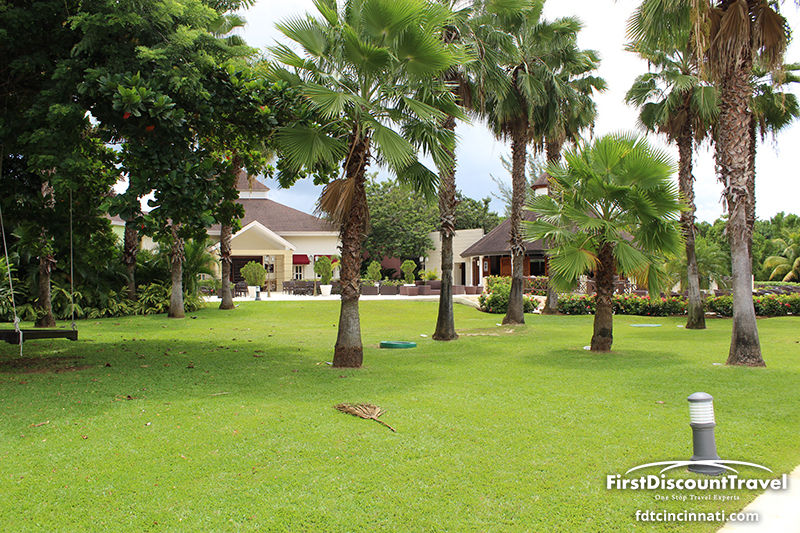 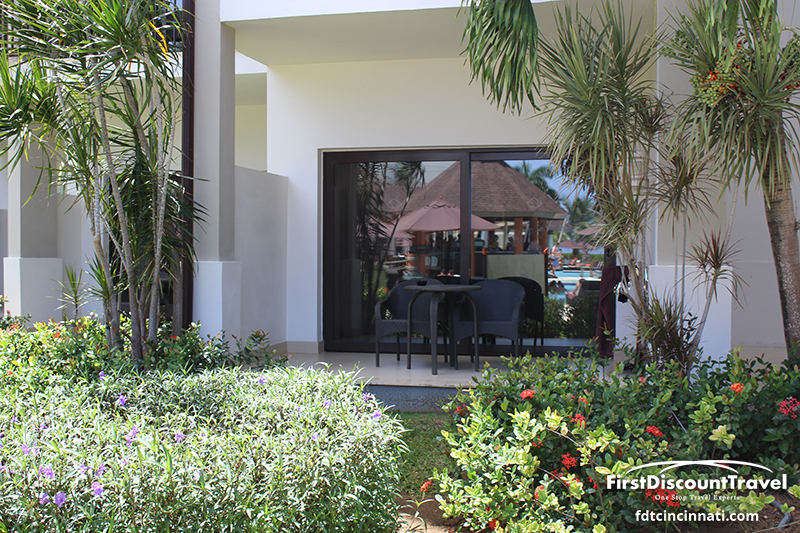 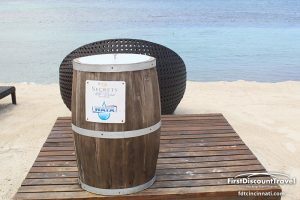 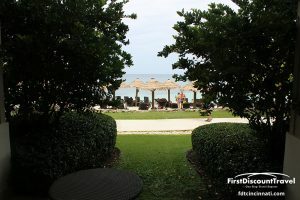 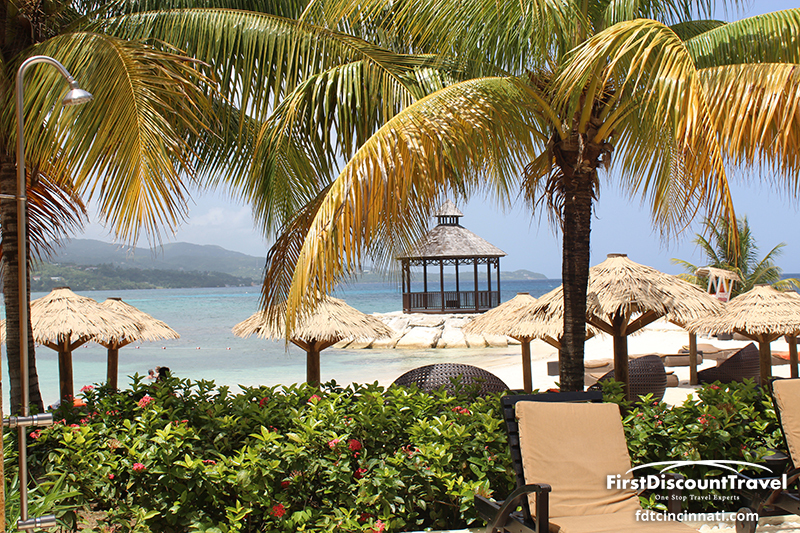 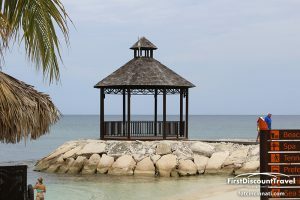 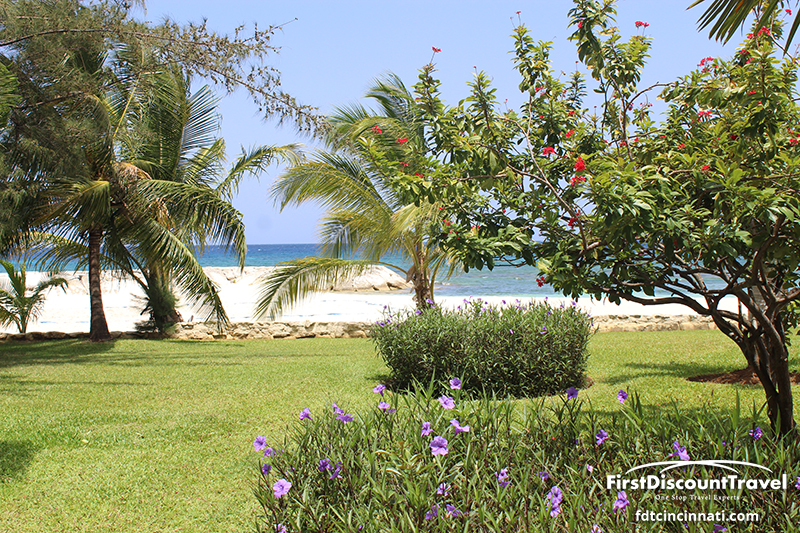 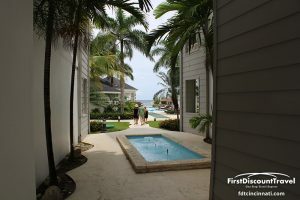 Secrets St James and Secrets Wild Orchid share a complex in Montego Bay, 15 minutes from the airport. 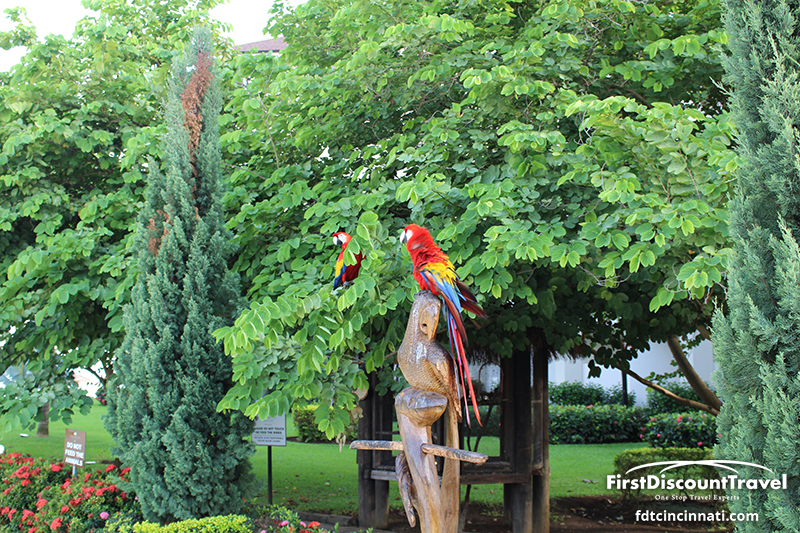 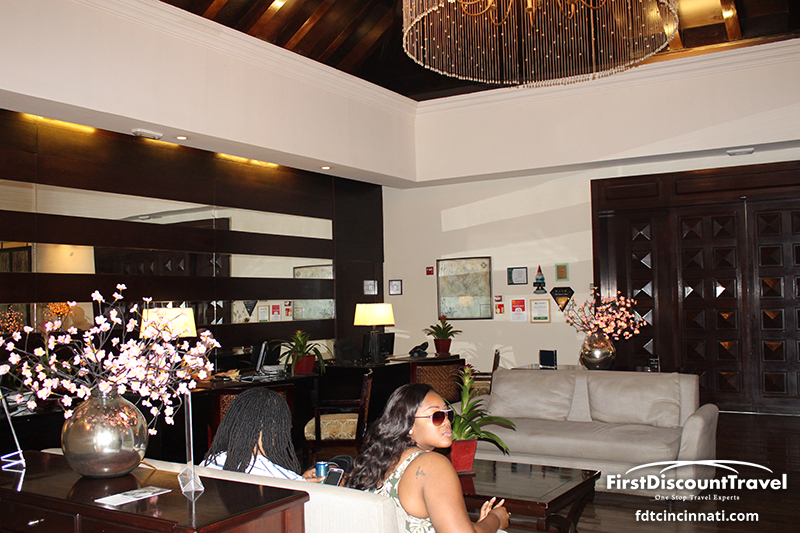 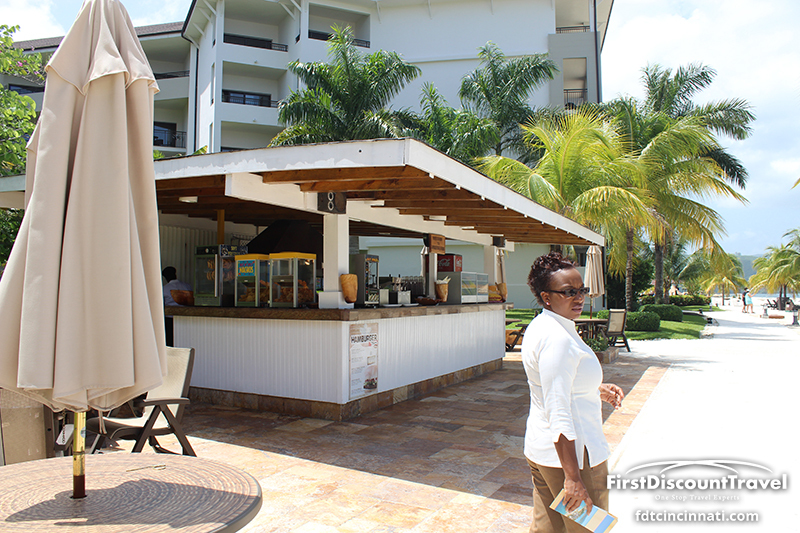 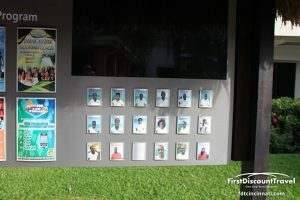 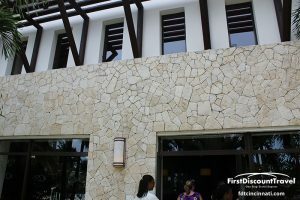 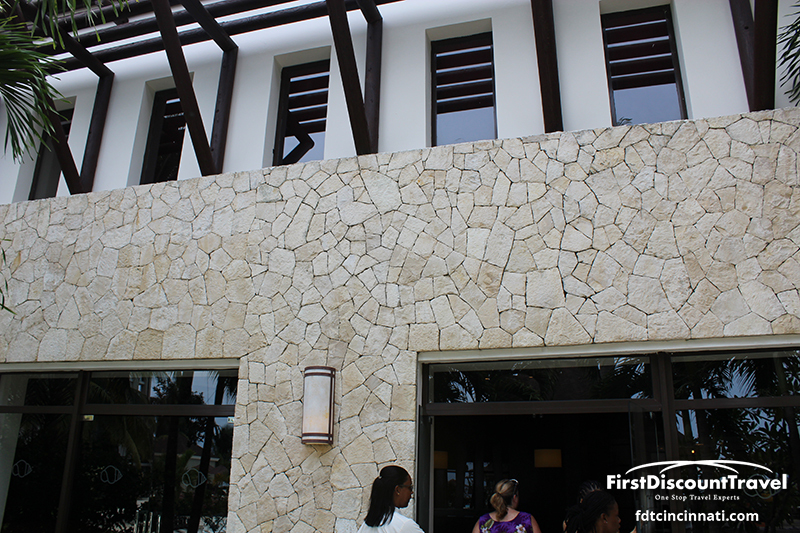 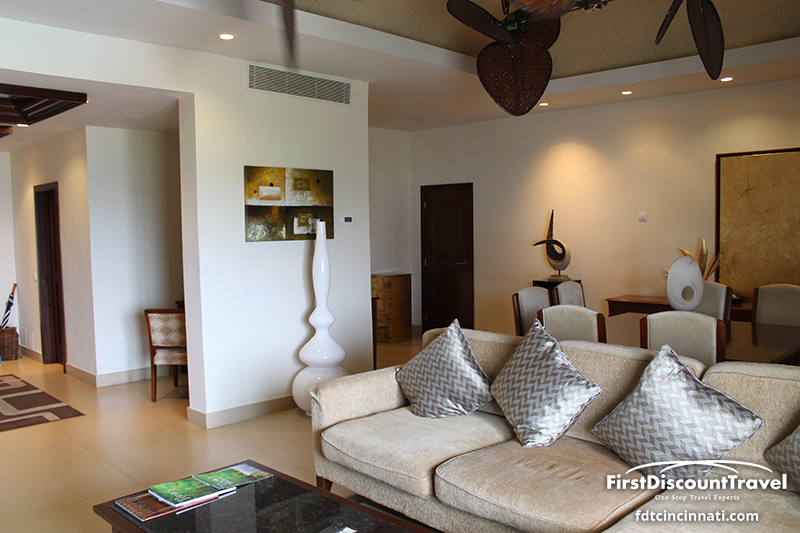 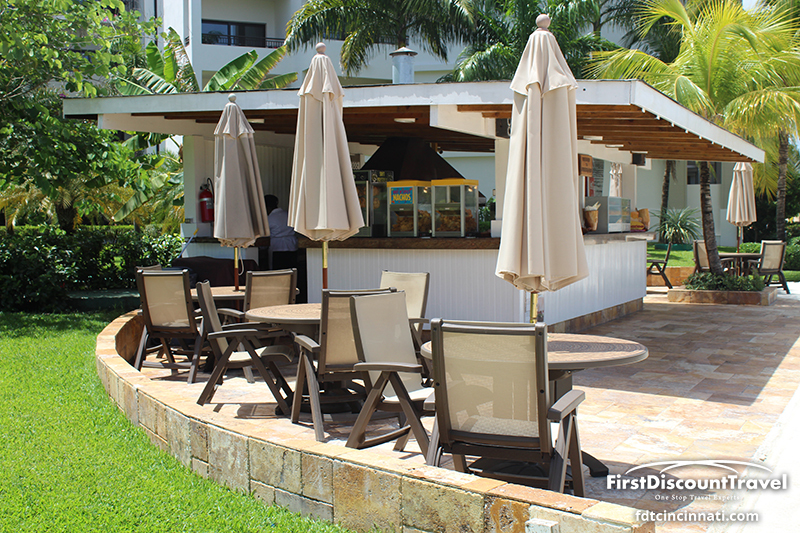 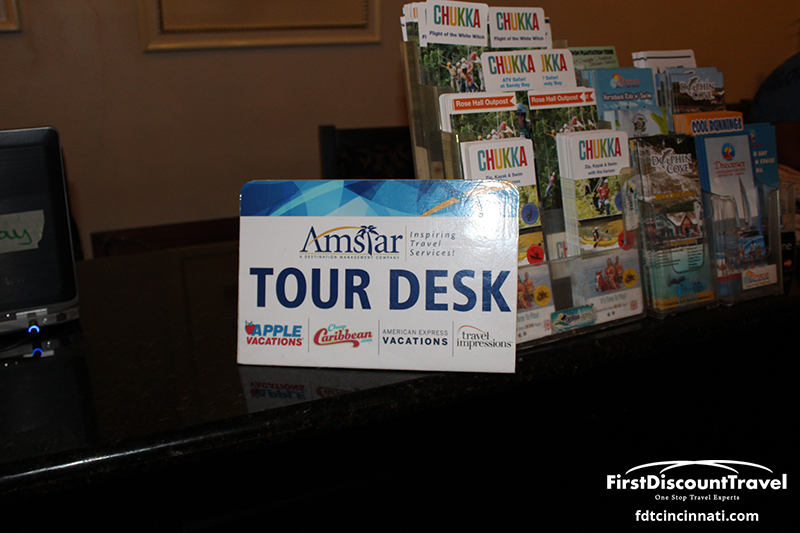 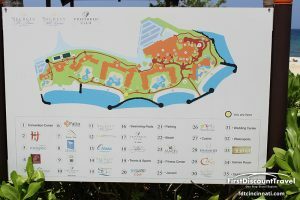 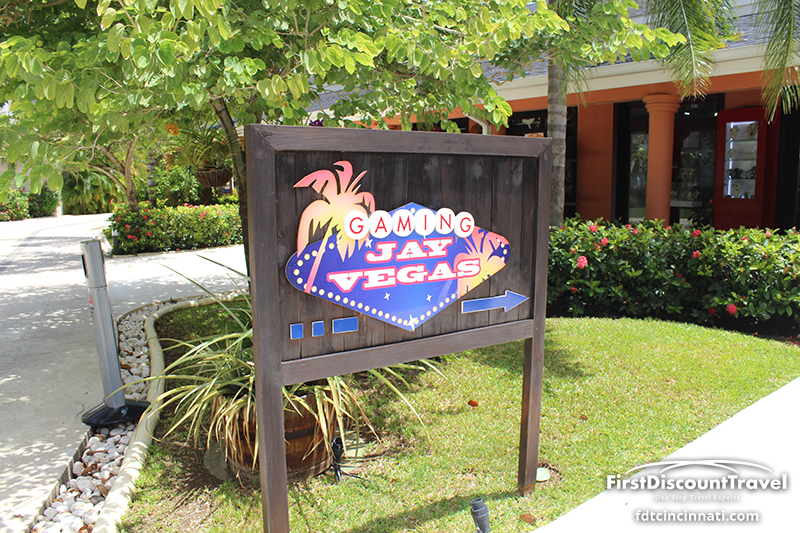 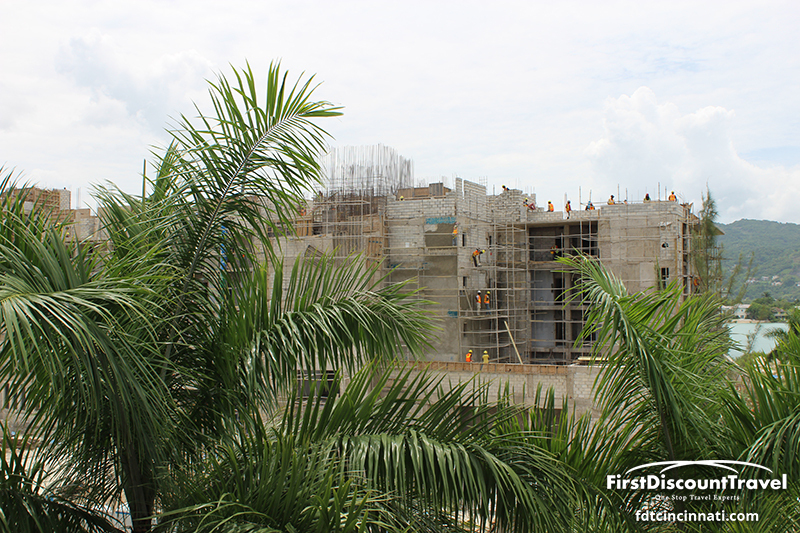 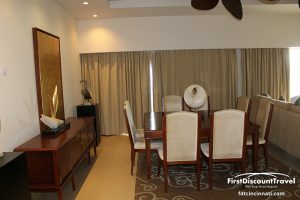 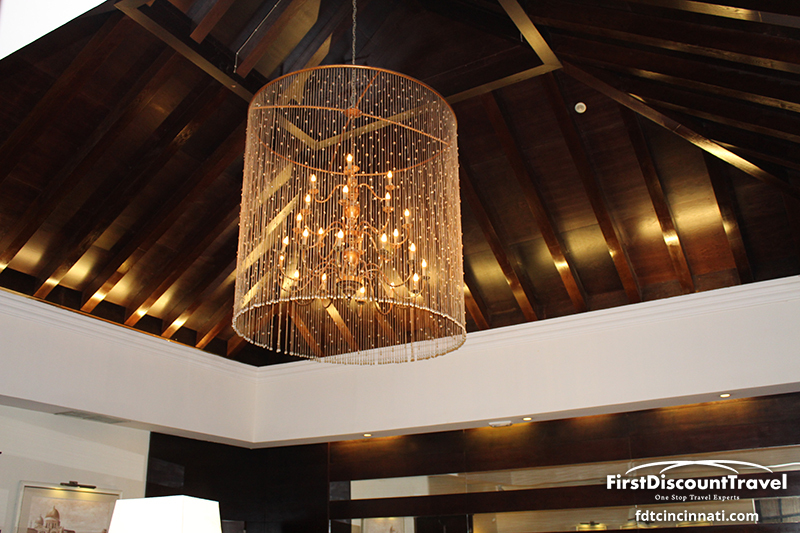 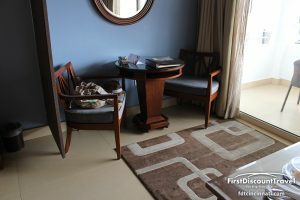 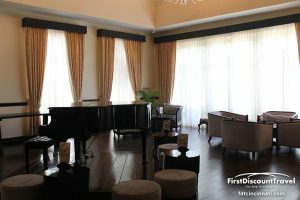 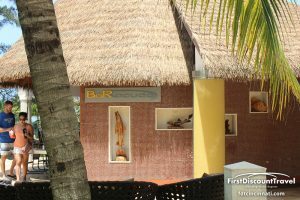 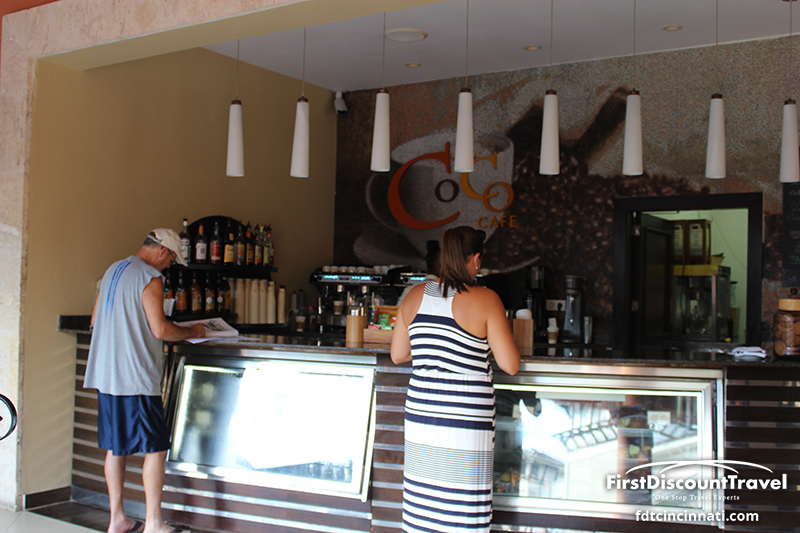 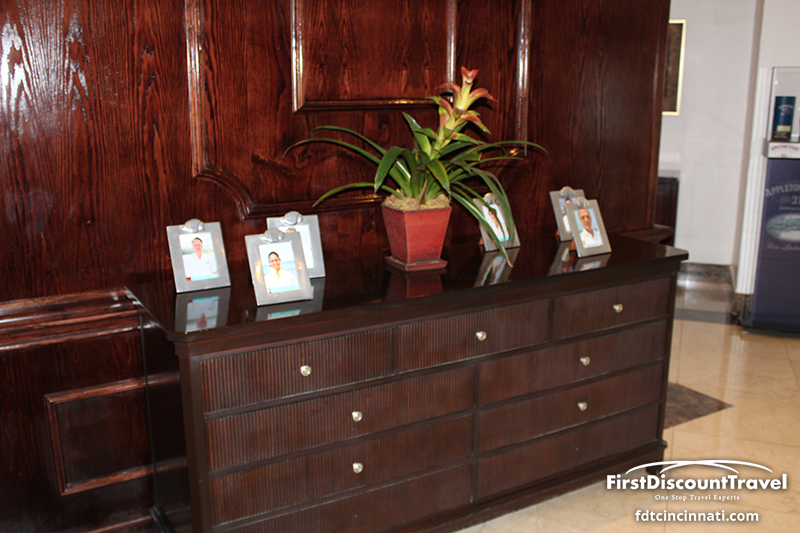 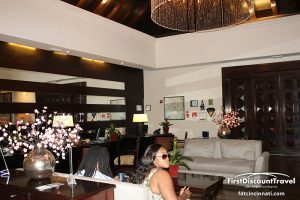 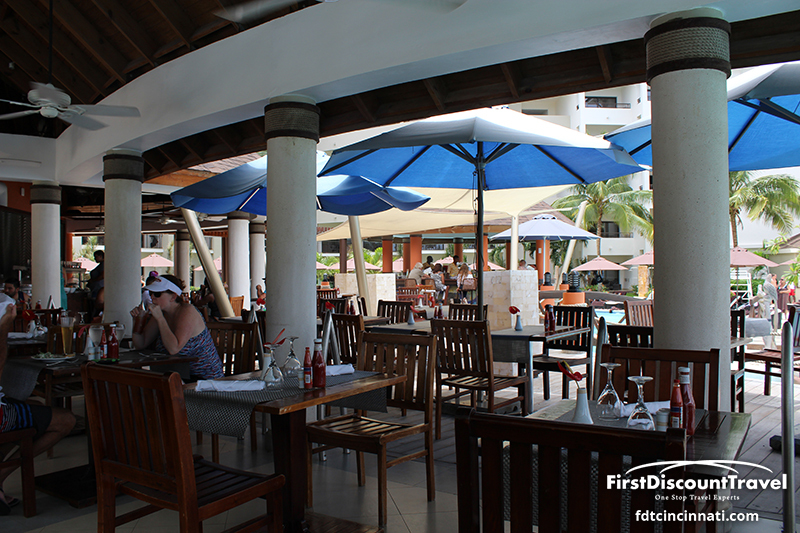 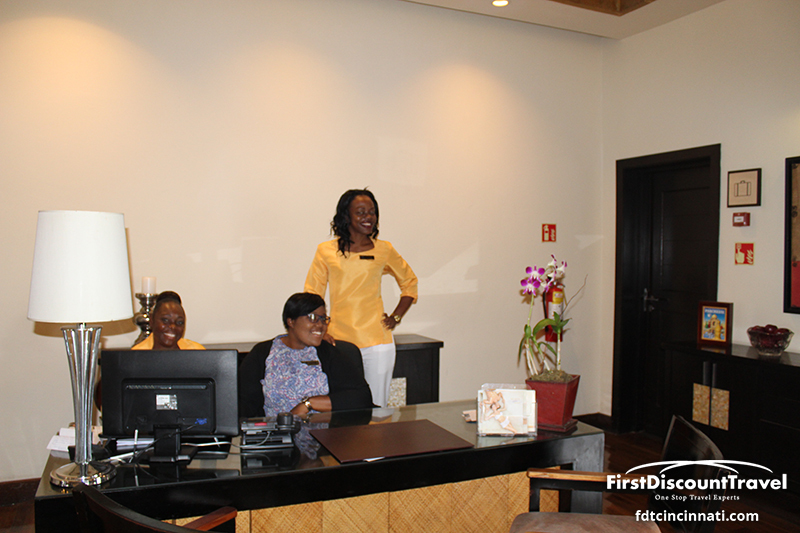 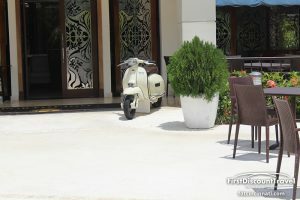 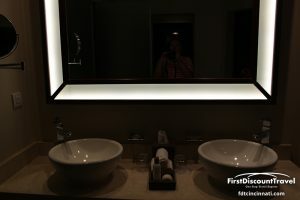 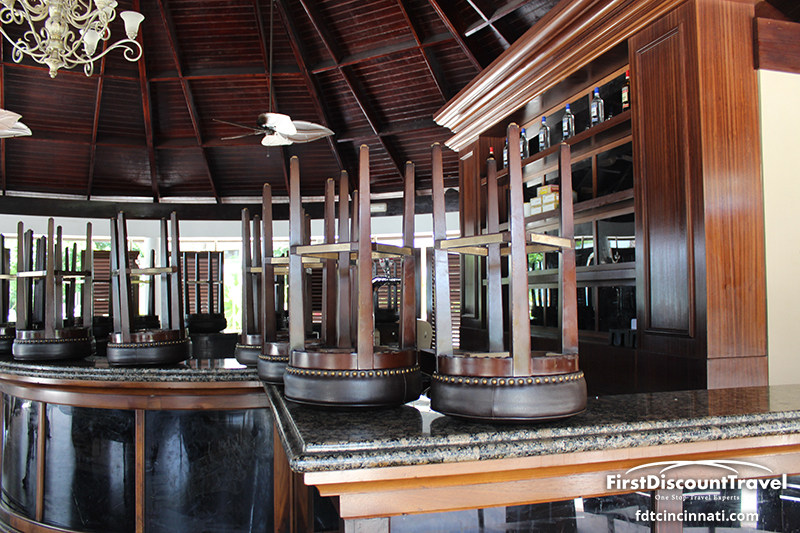 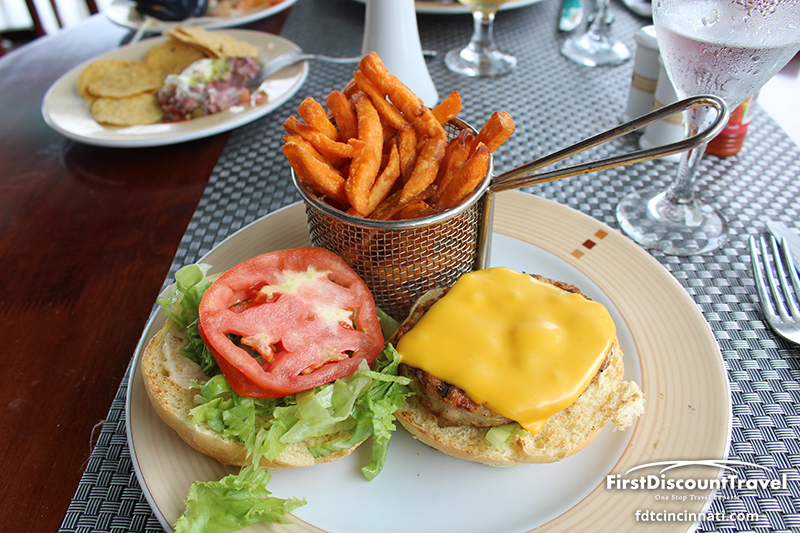 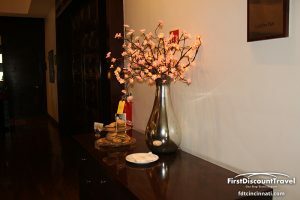 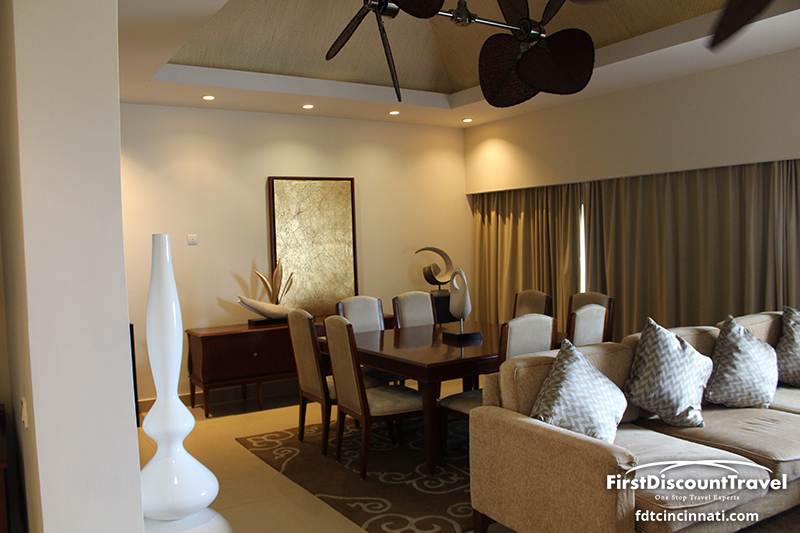 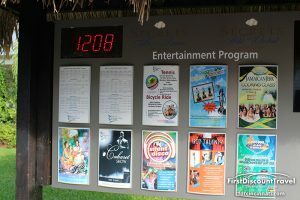 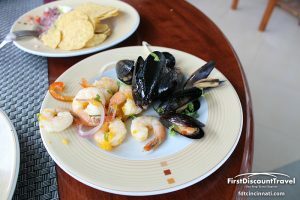 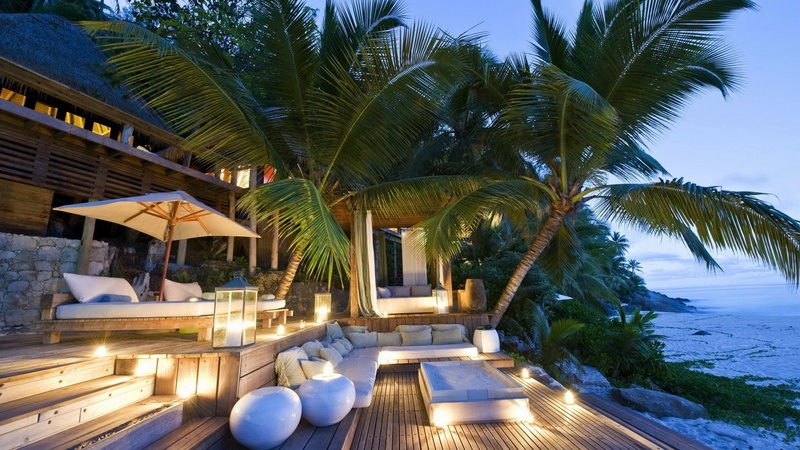 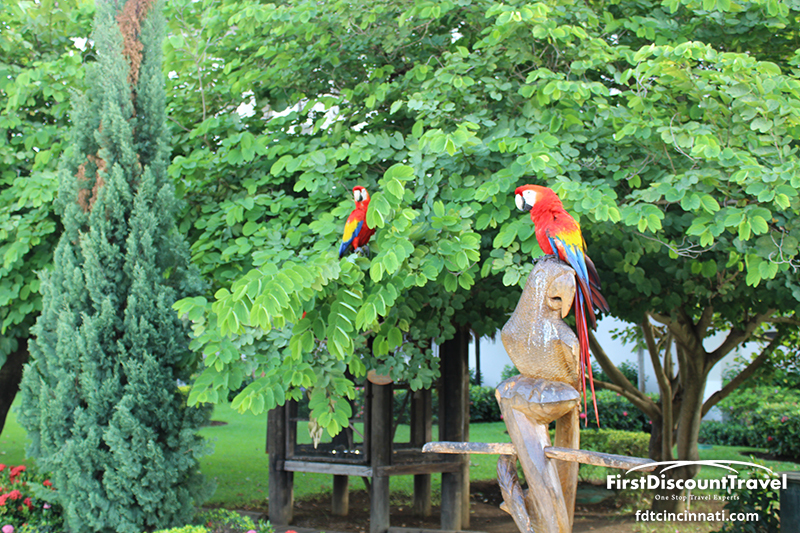 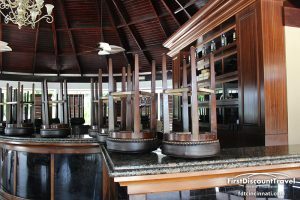 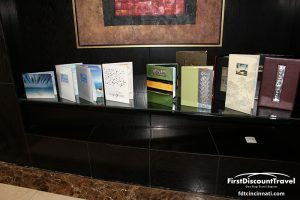 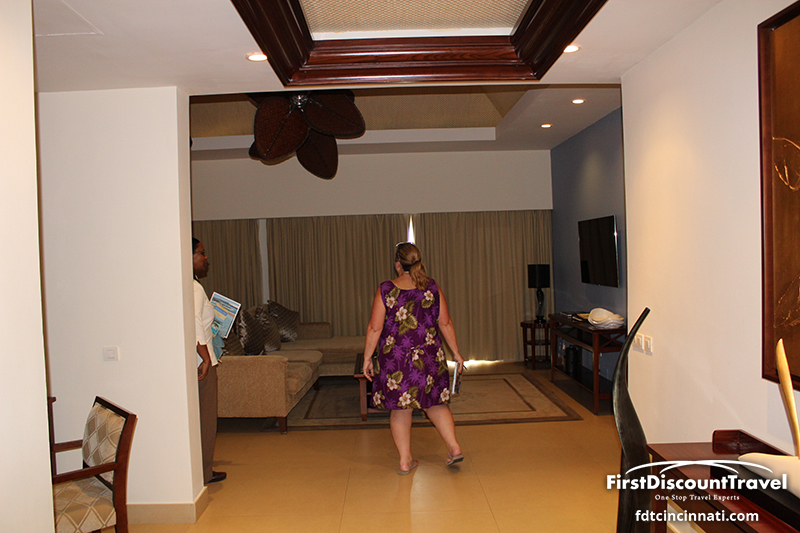 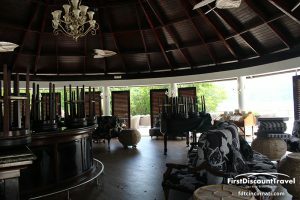 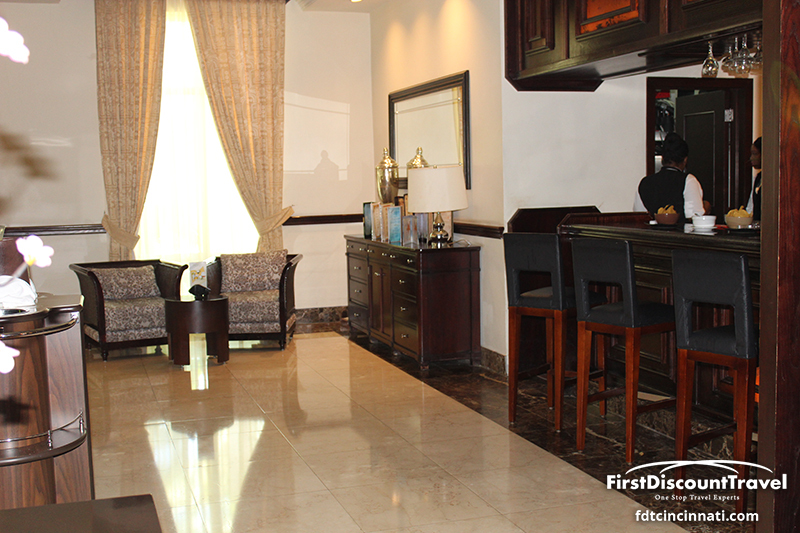 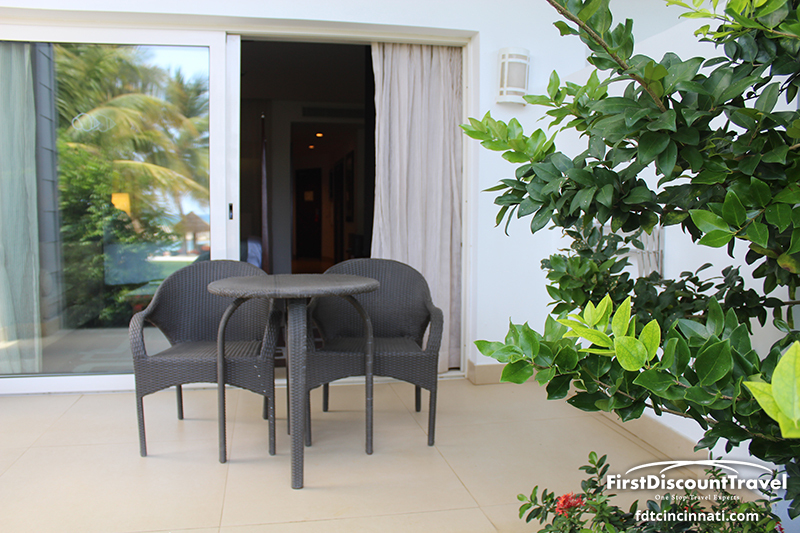 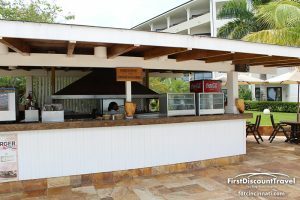 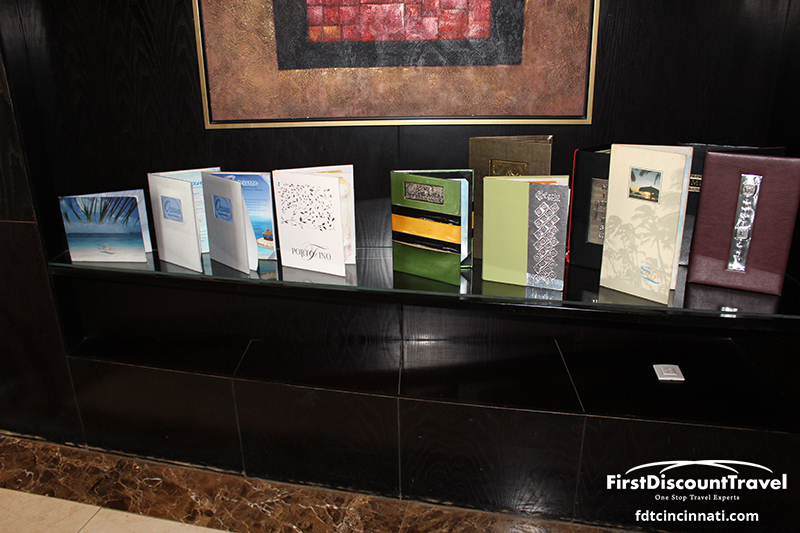 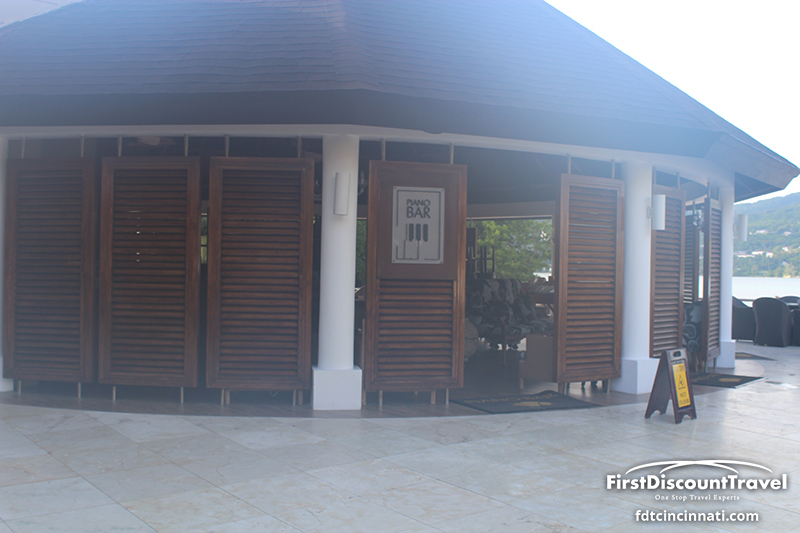 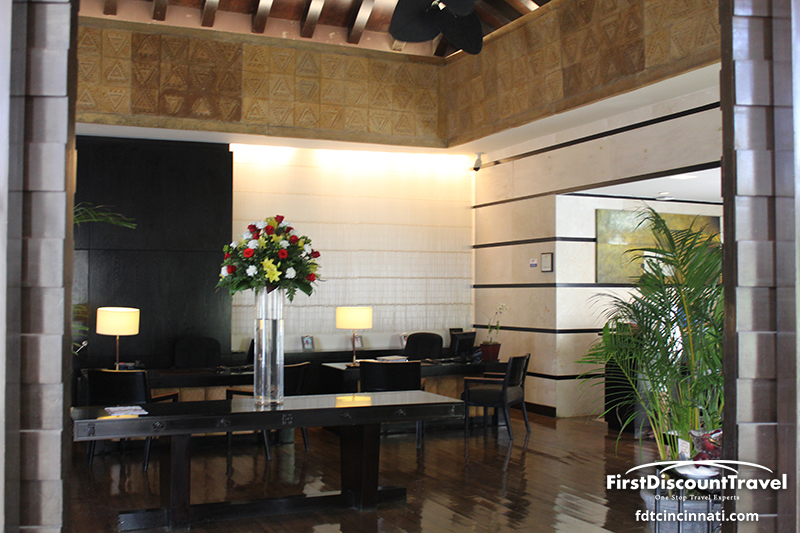 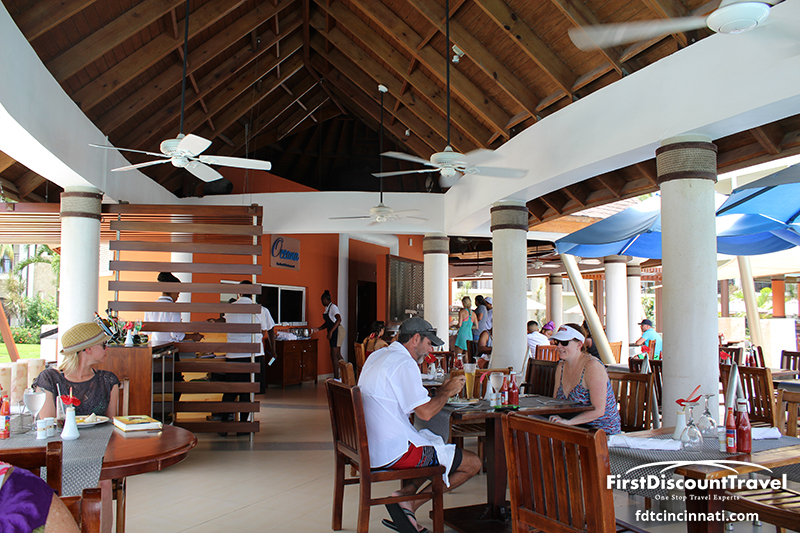 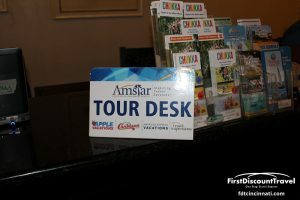 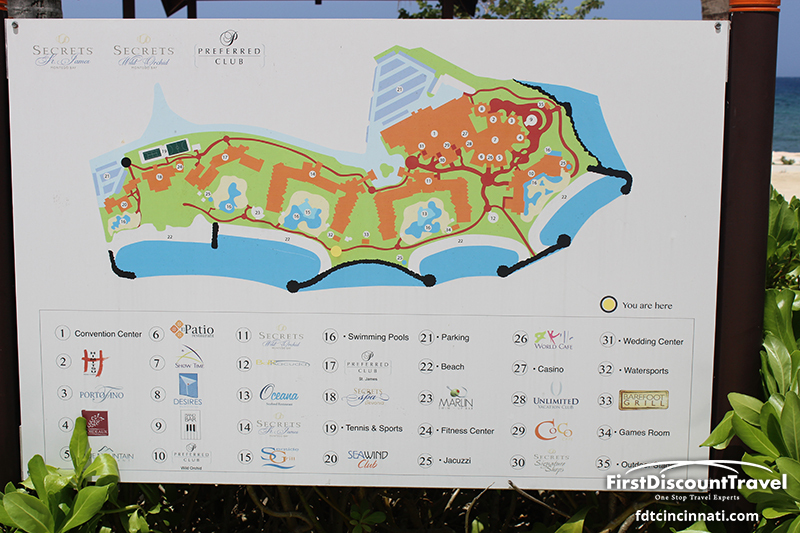 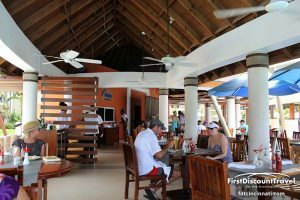 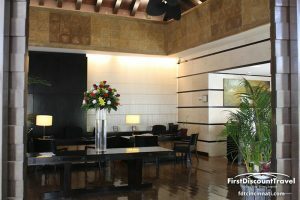 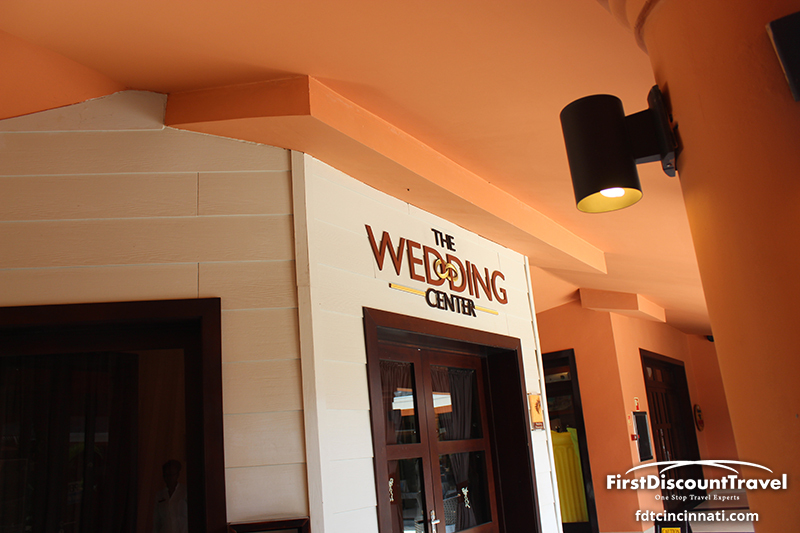 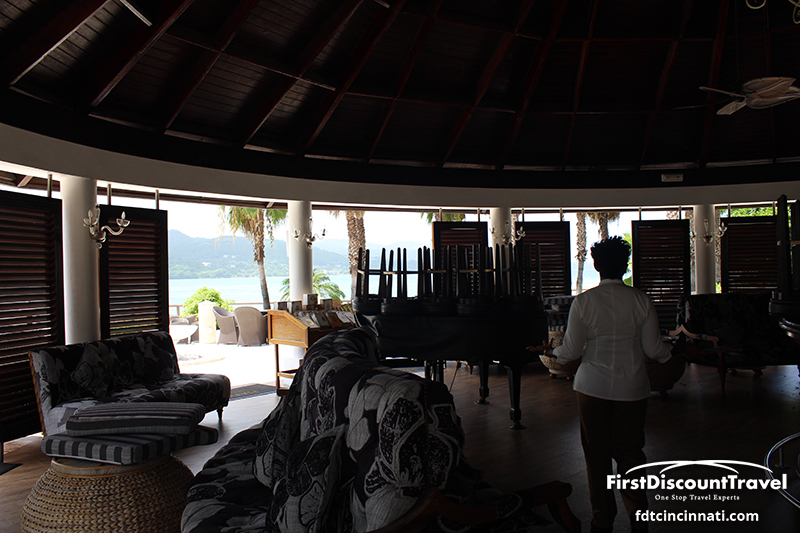 Each resort has 350 suites (700 total) and share 8 restaurants. 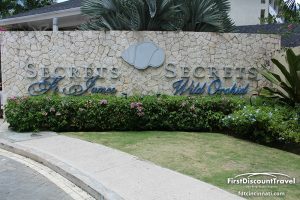 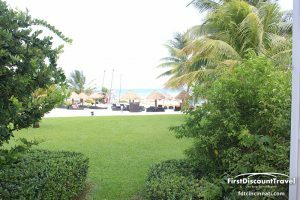 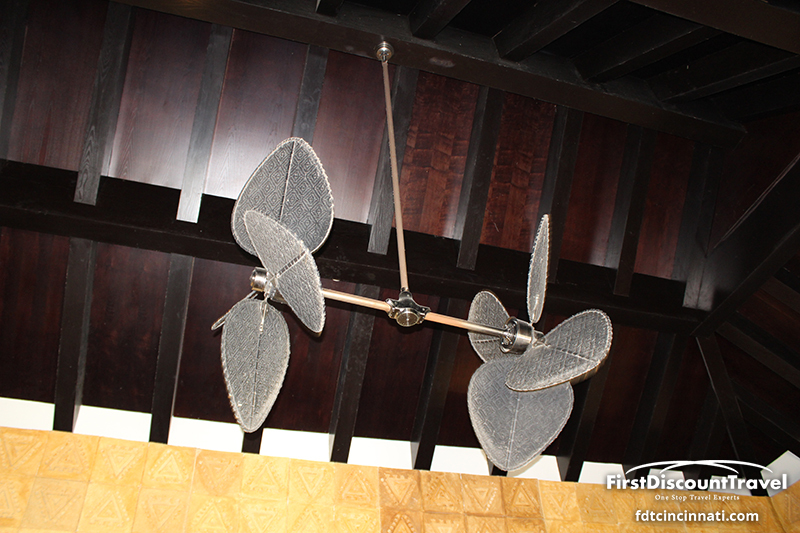 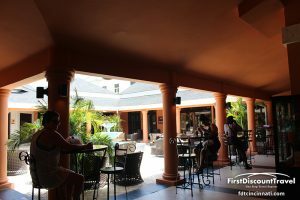 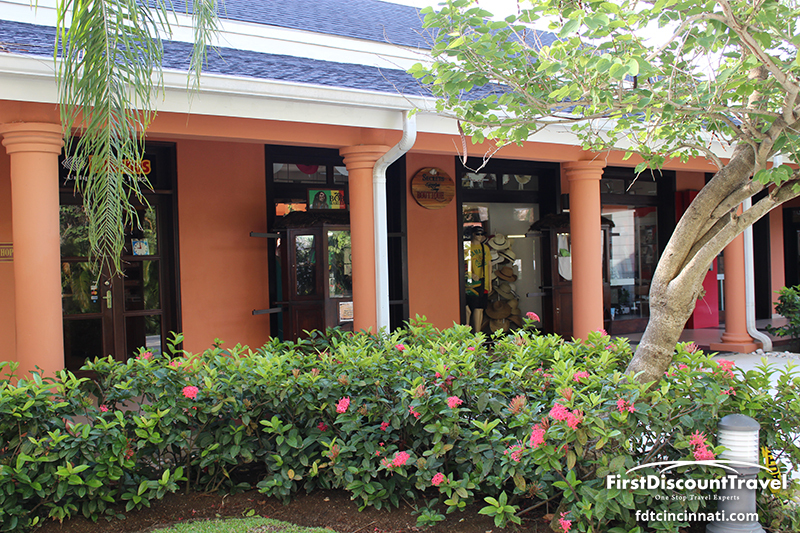 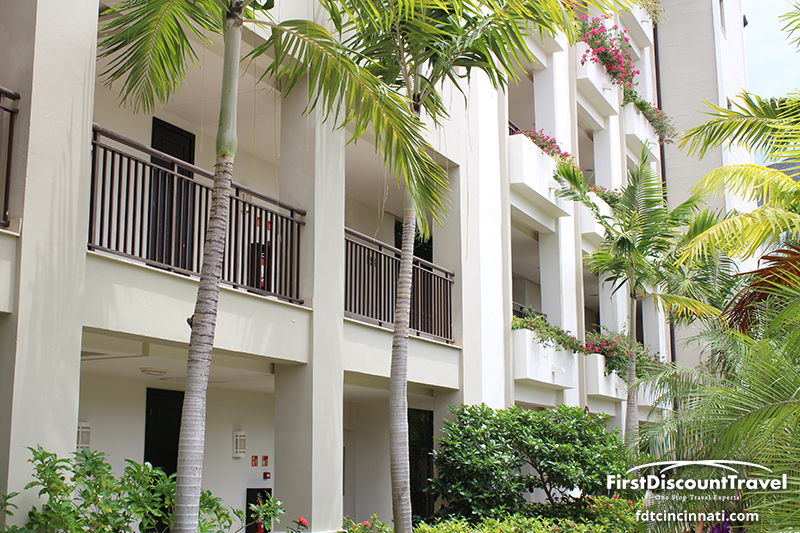 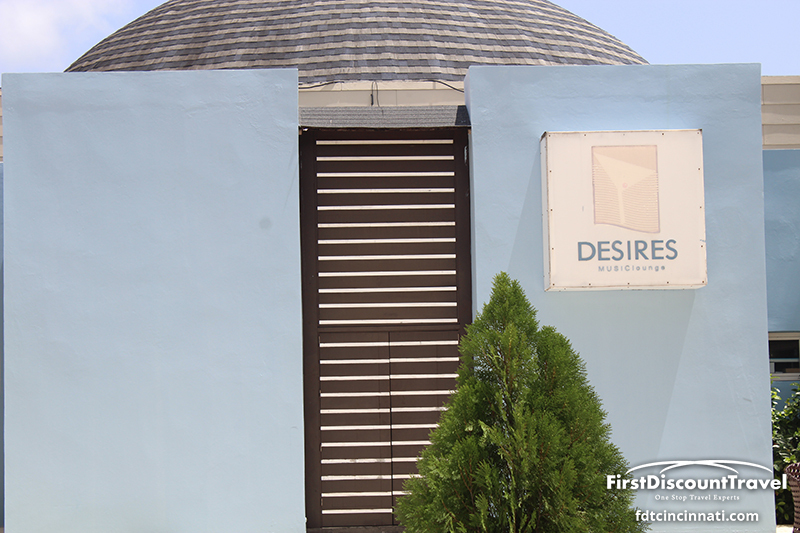 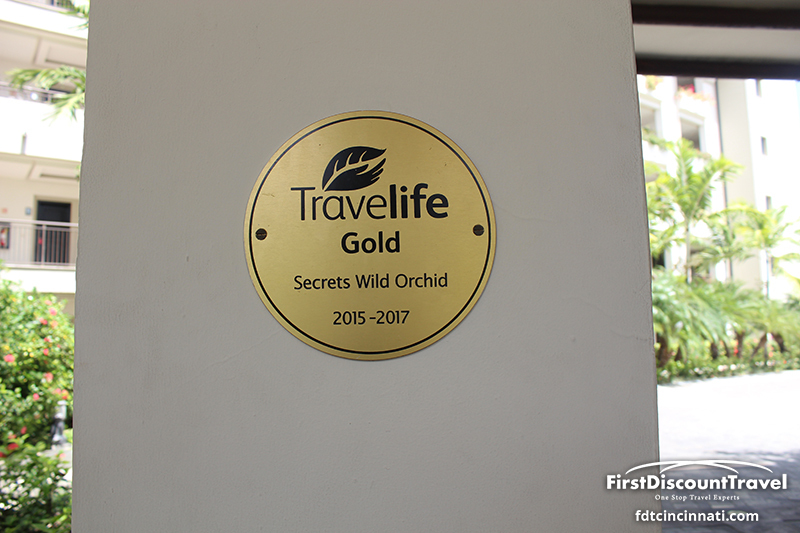 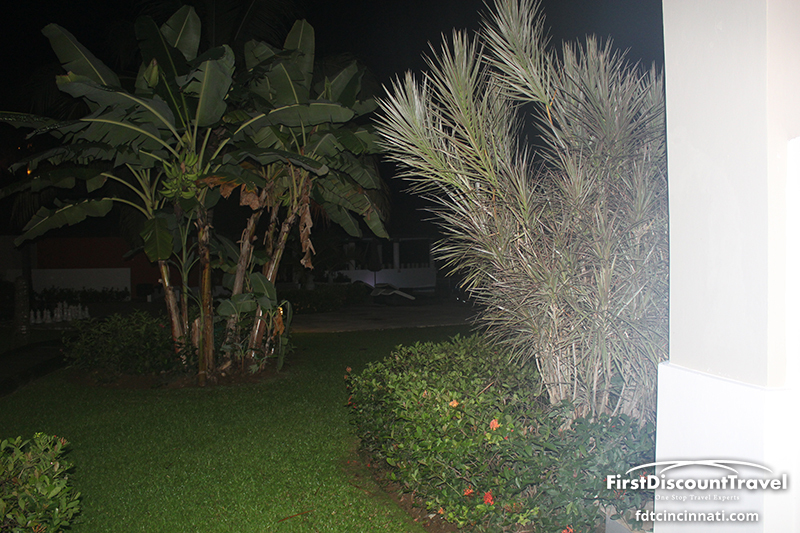 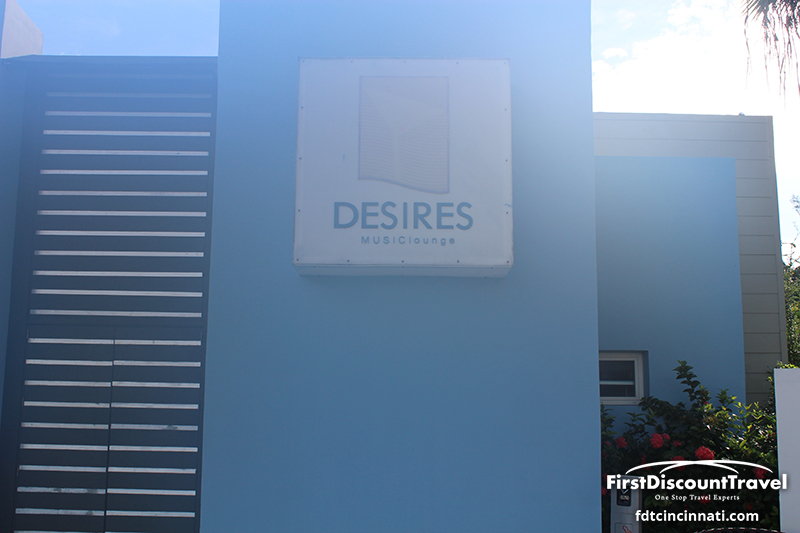 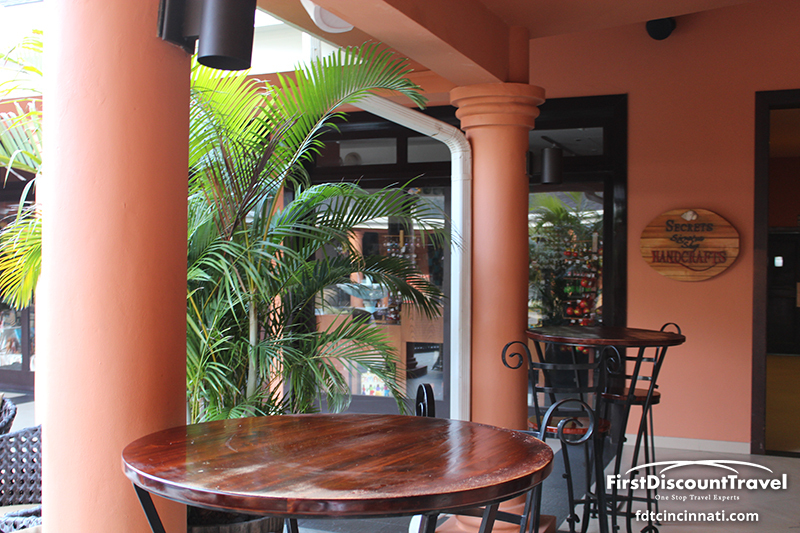 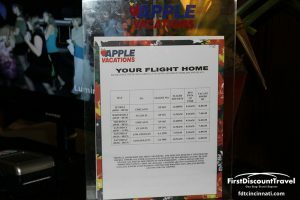 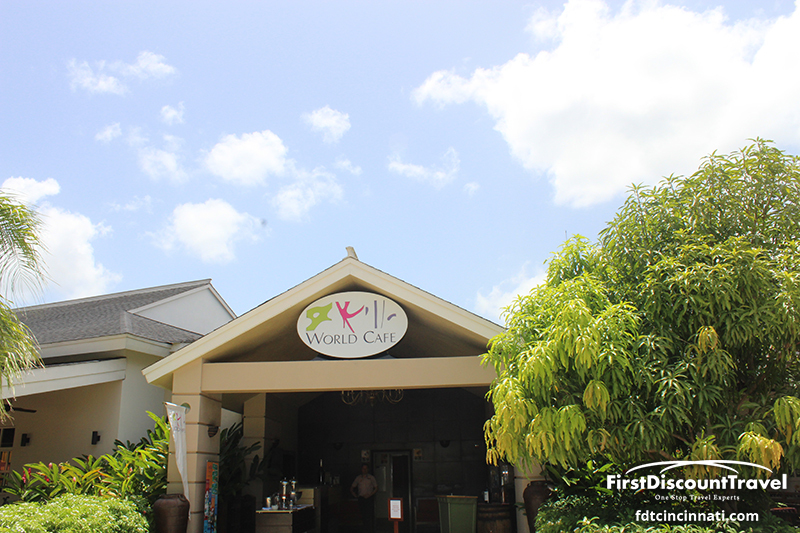 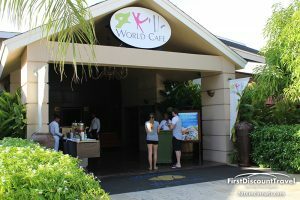 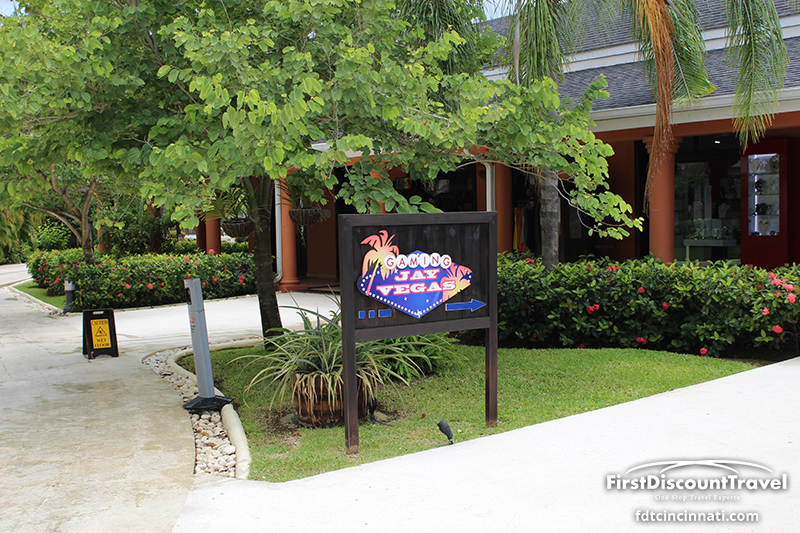 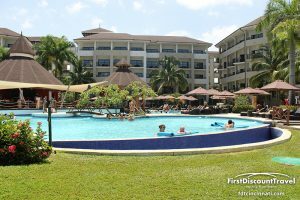 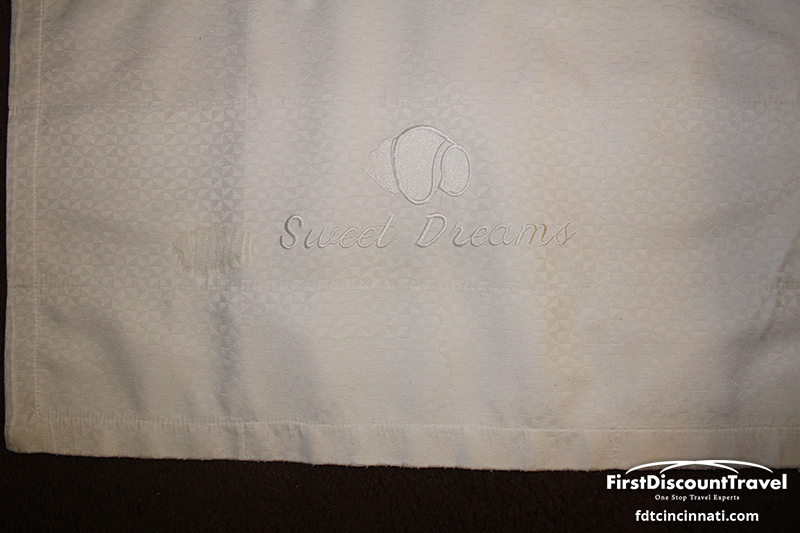 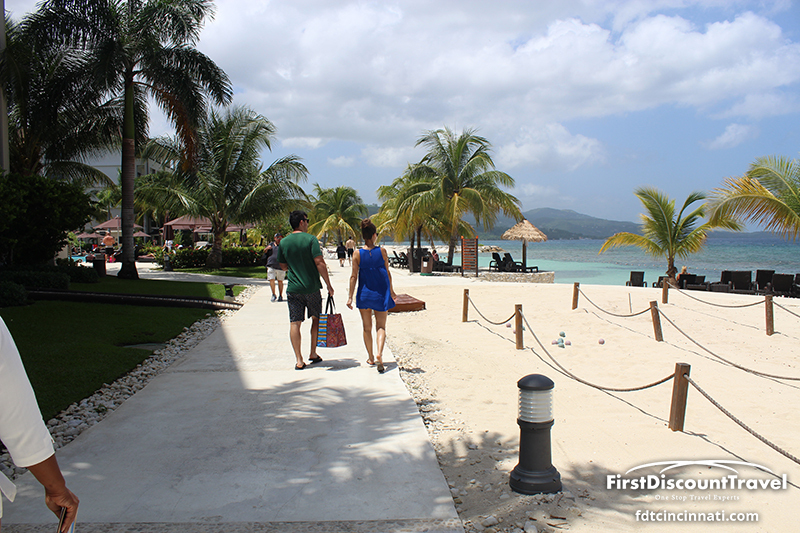 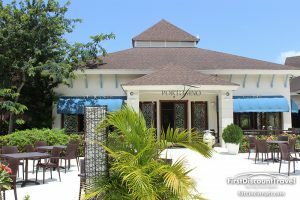 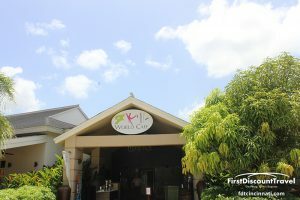 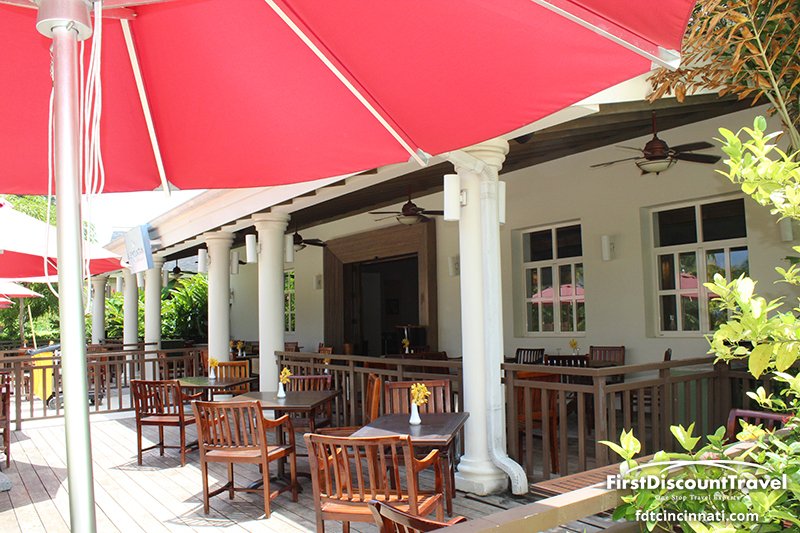 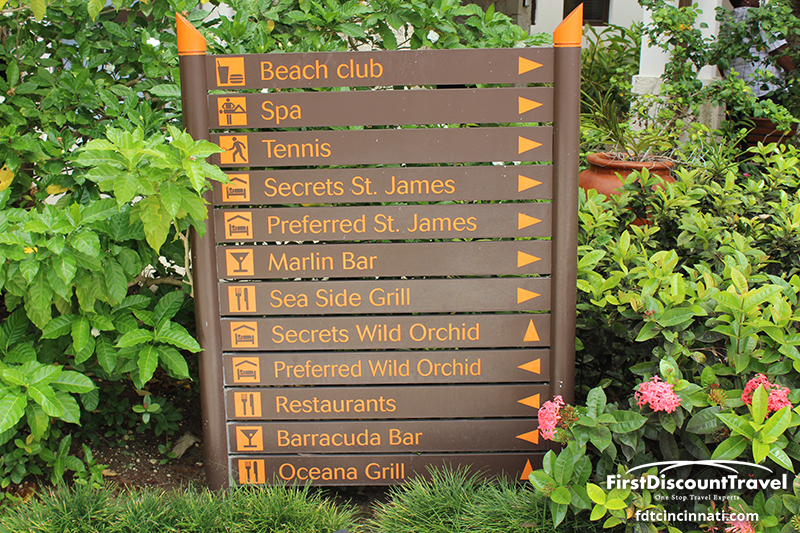 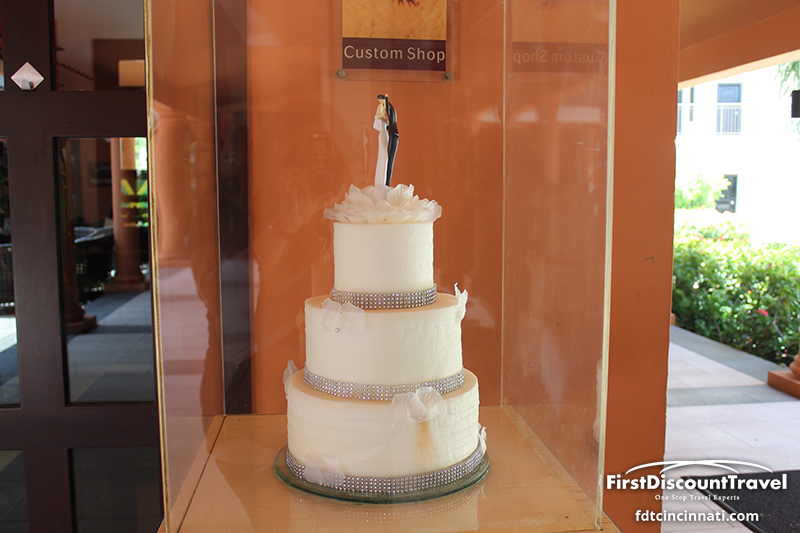 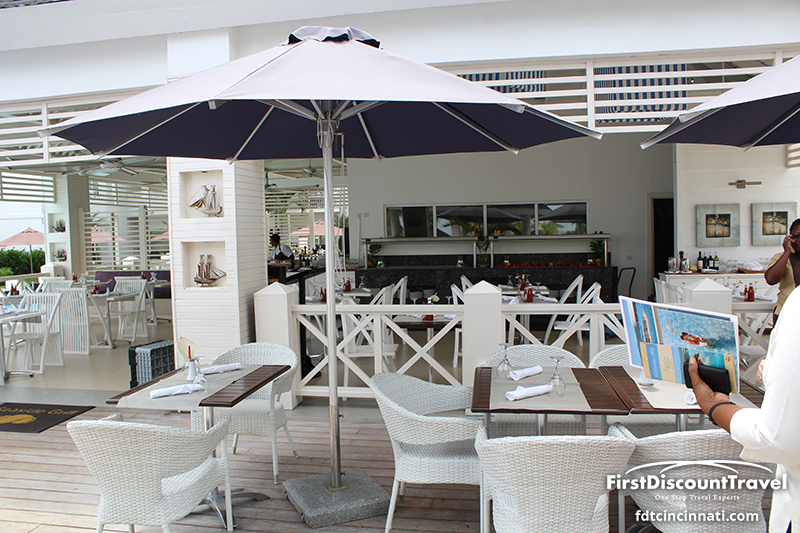 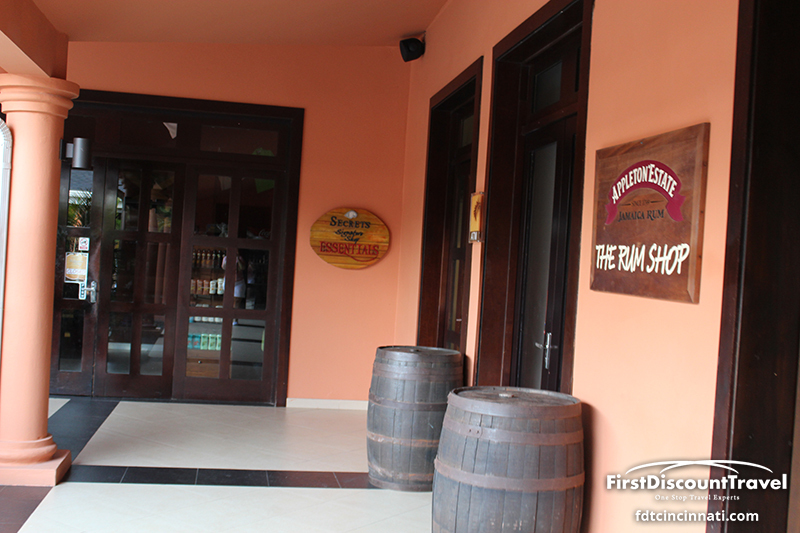 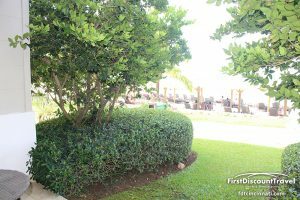 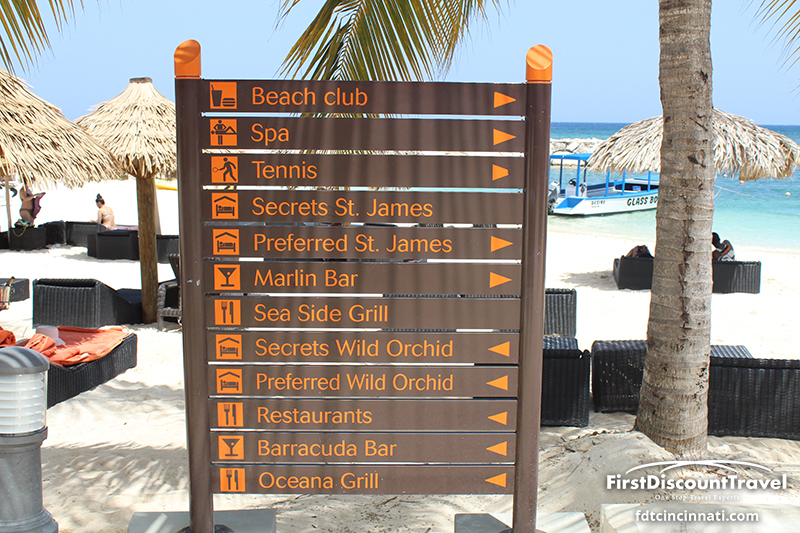 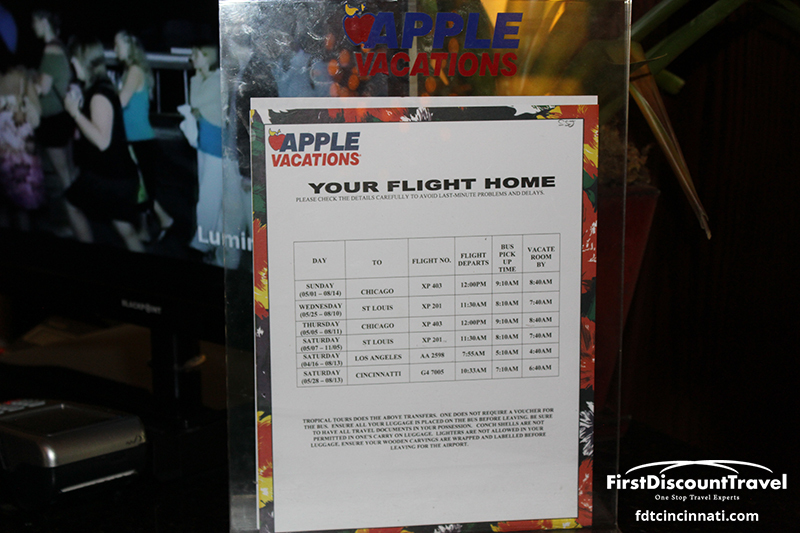 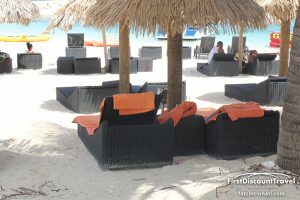 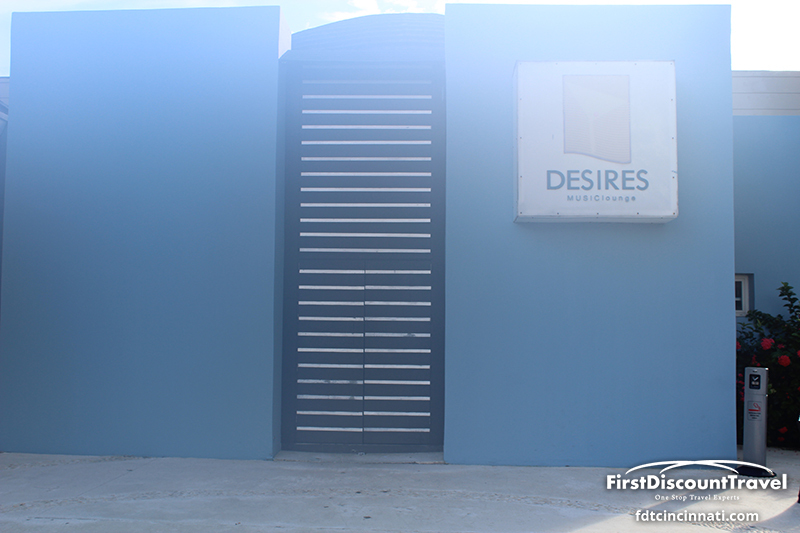 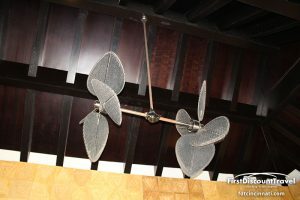 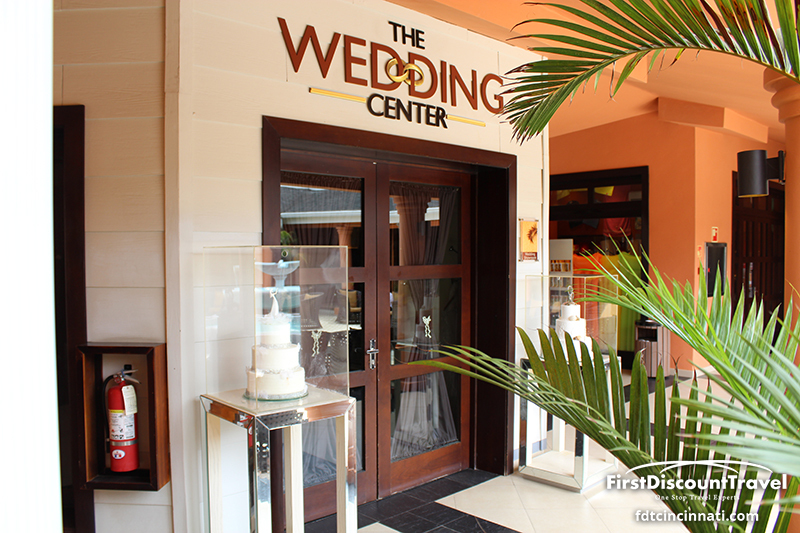 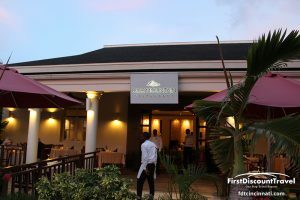 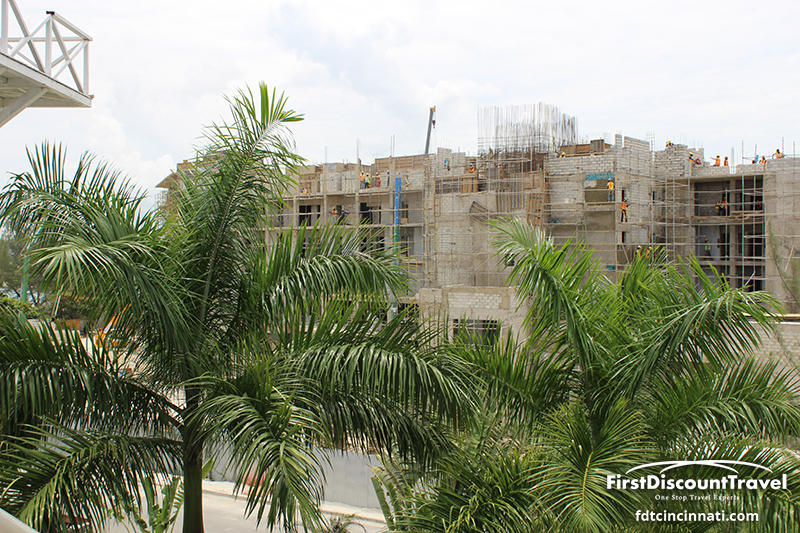 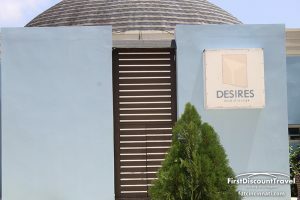 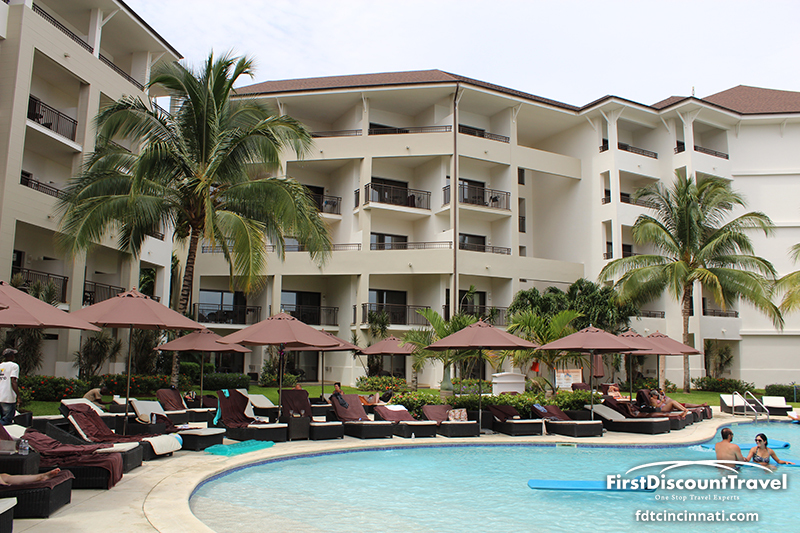 Secrets Wild Orchid typically prices slightly higher due to the closer proximity to restaurant row! 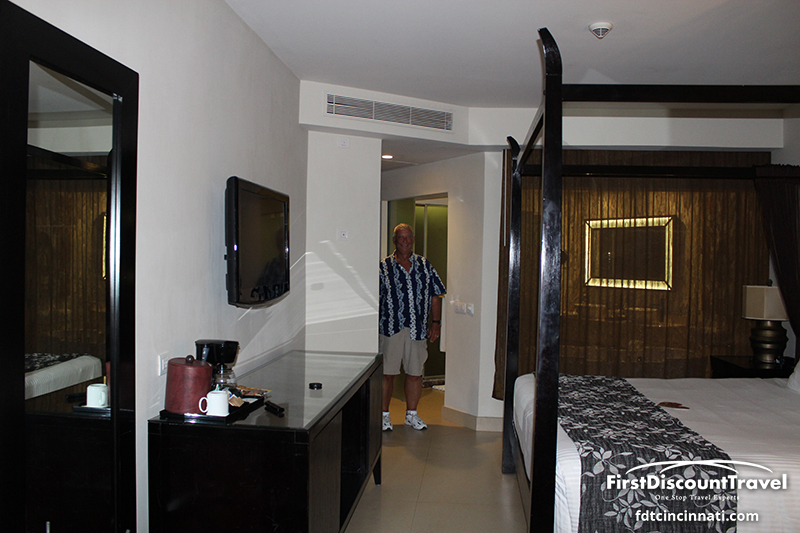 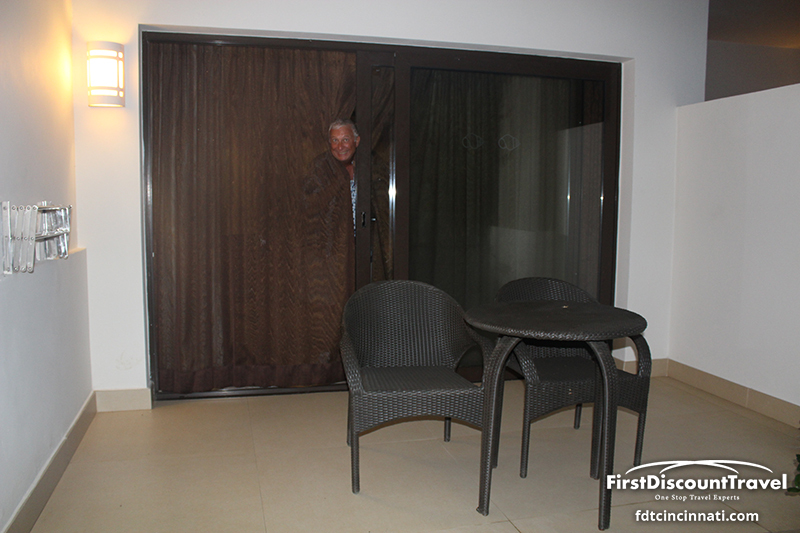 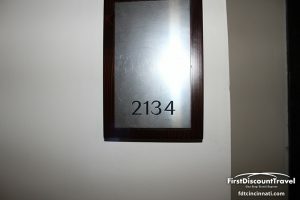 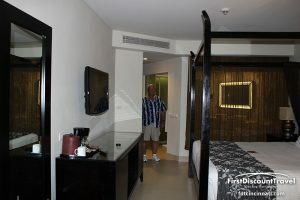 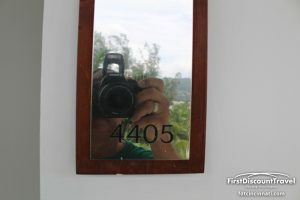 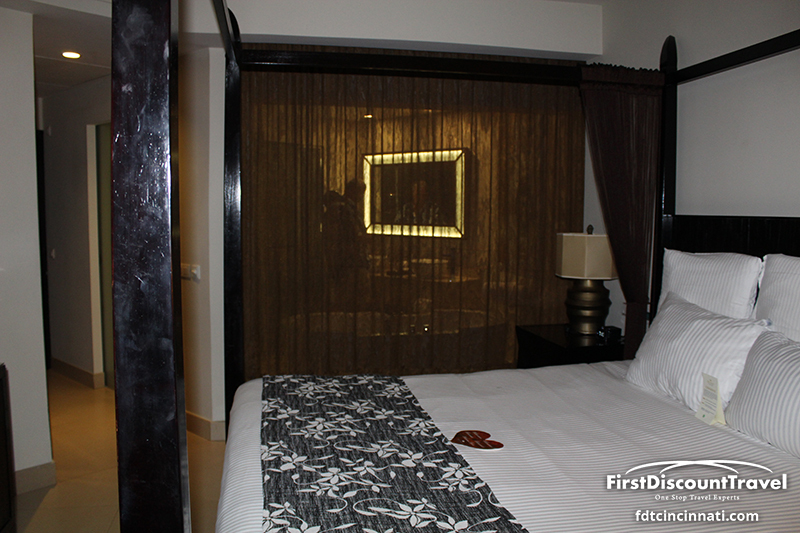 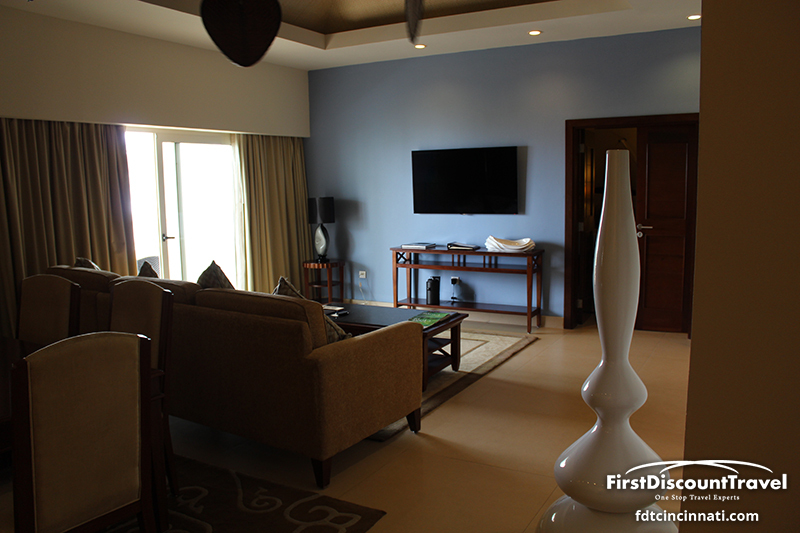 The rooms are awesome! 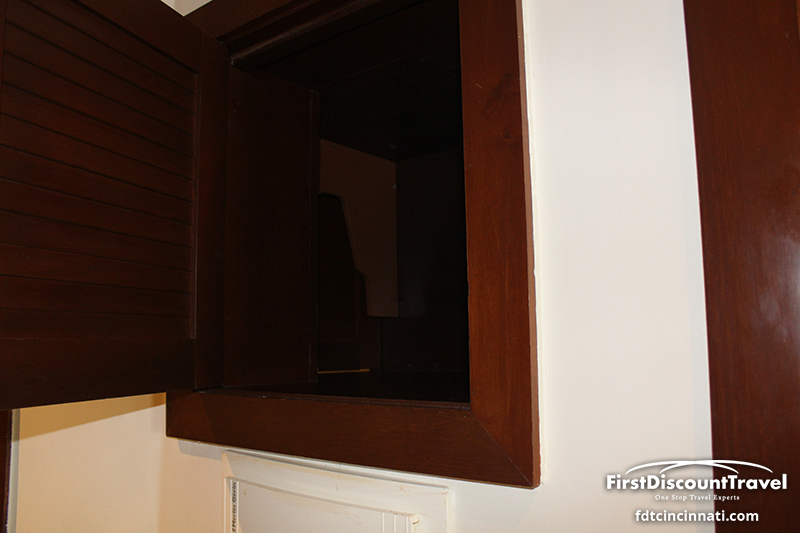 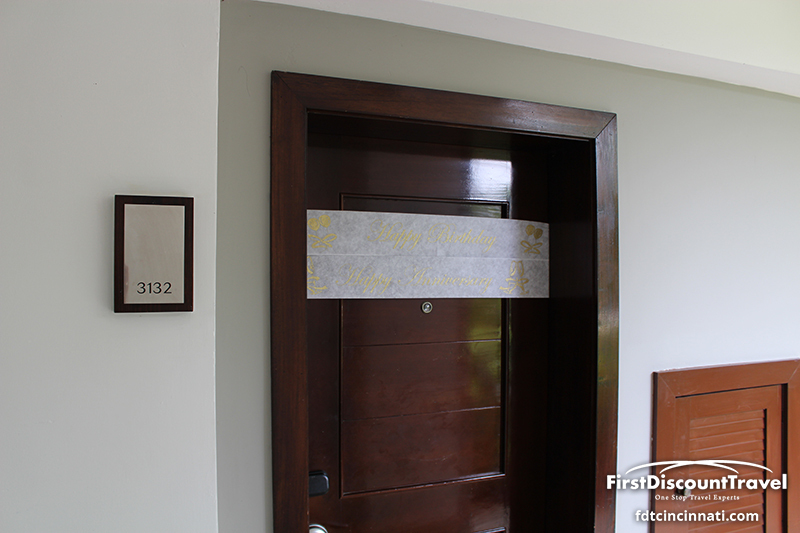 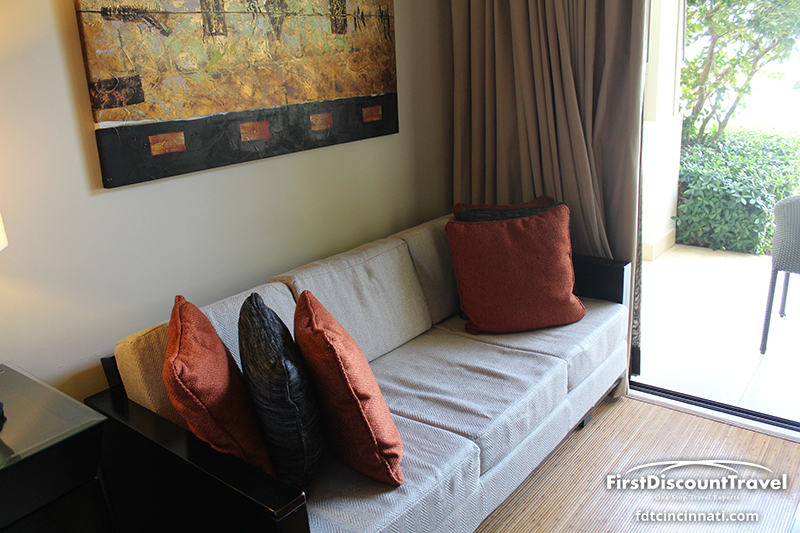 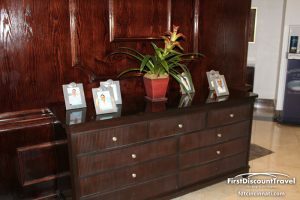 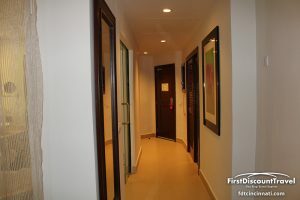 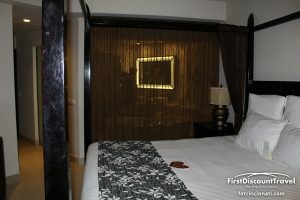 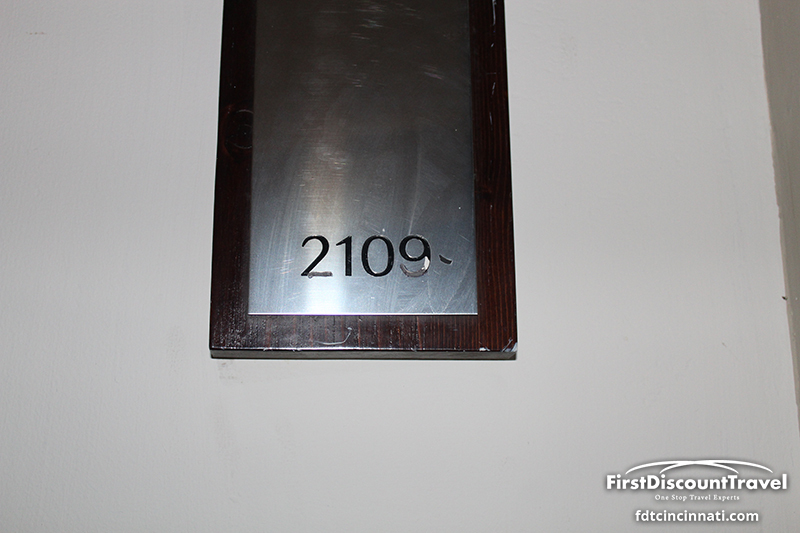 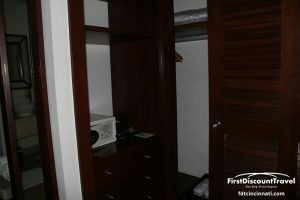 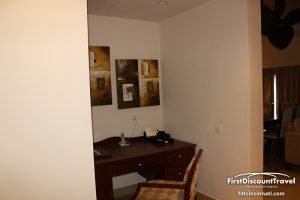 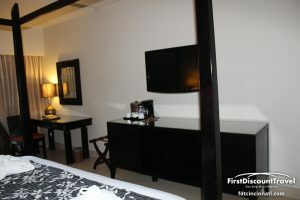 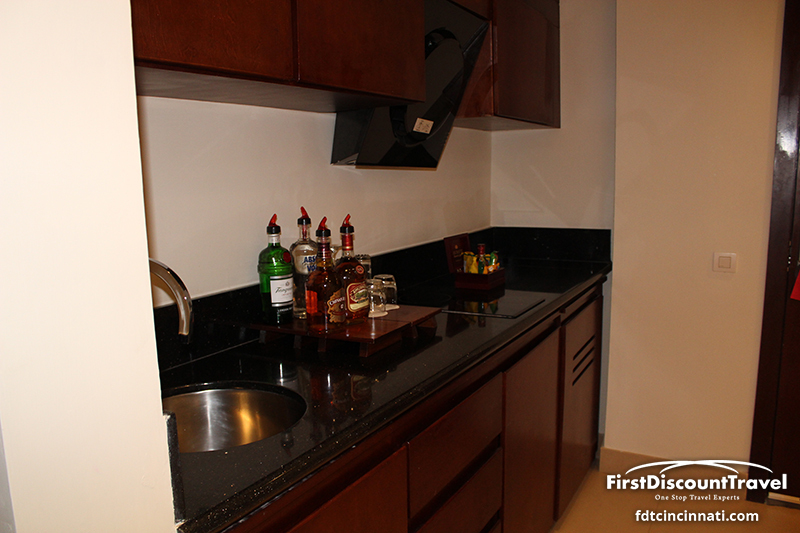 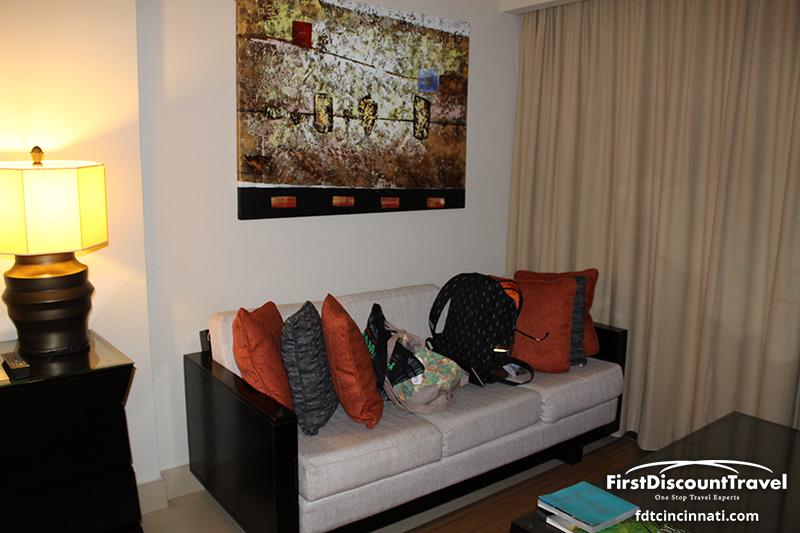 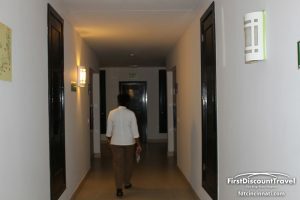 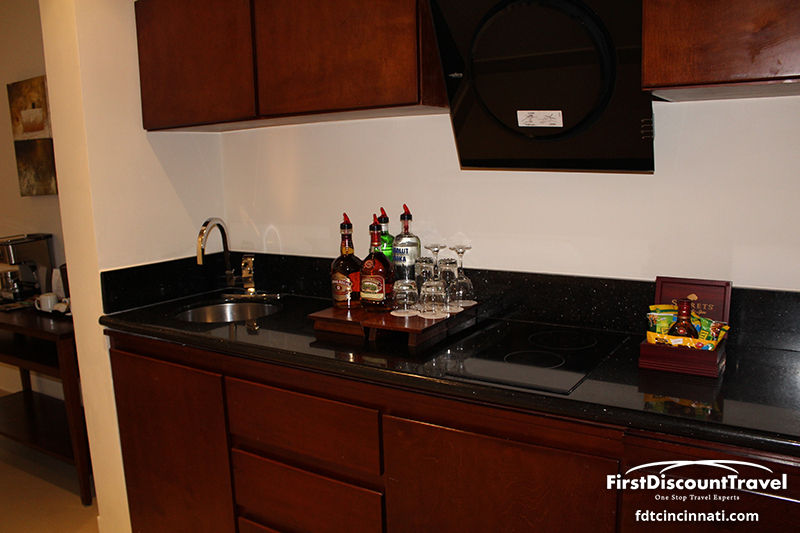 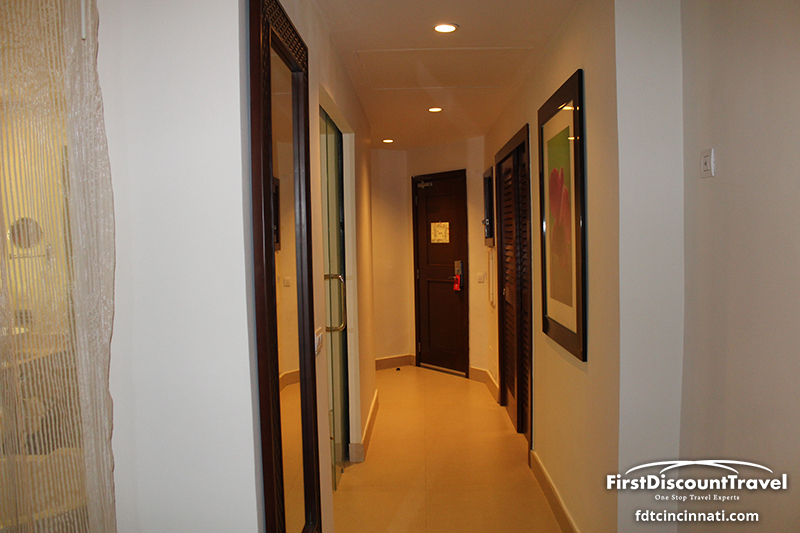 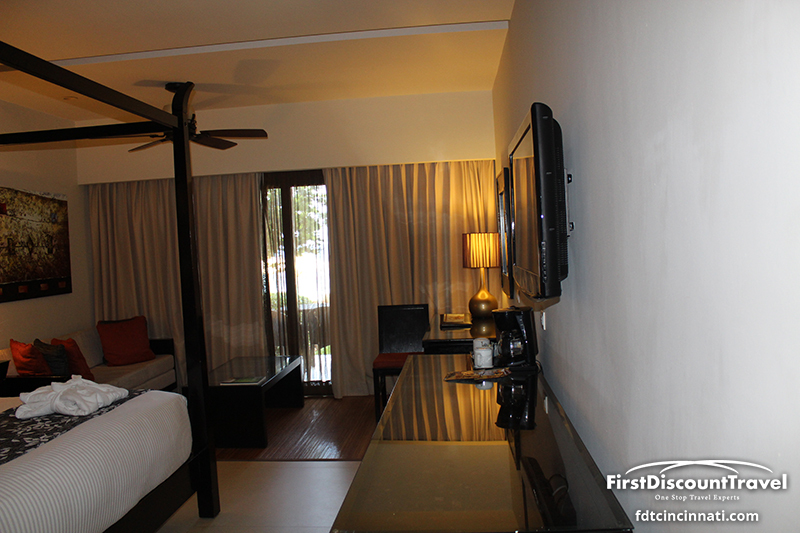 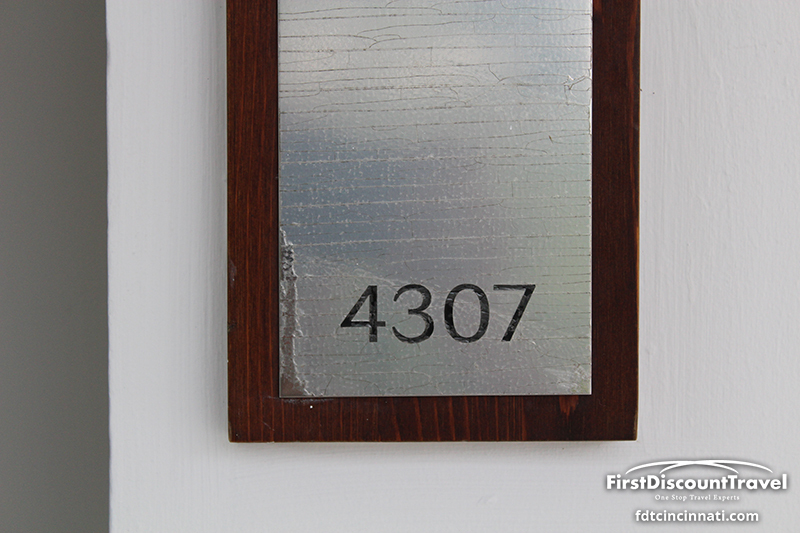 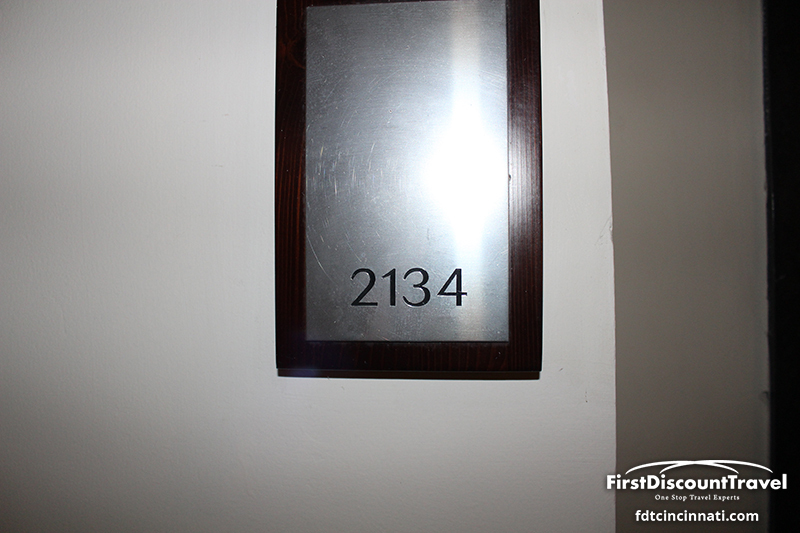 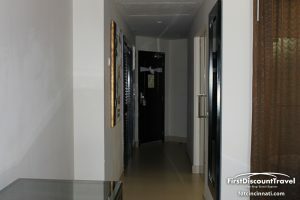 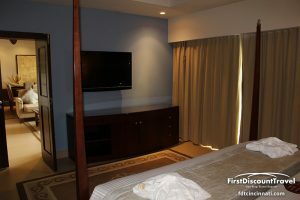 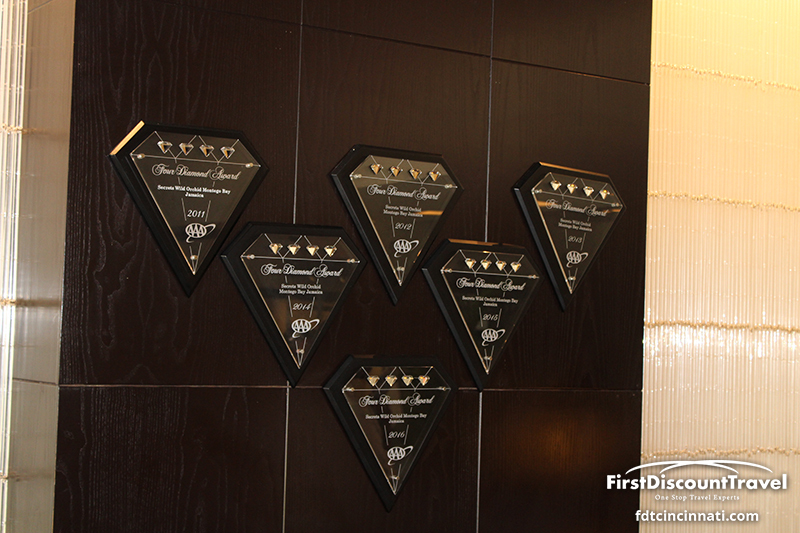 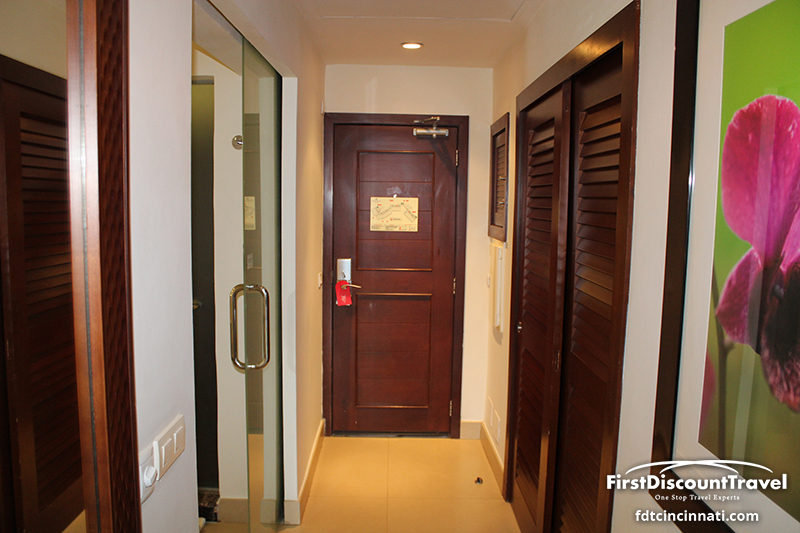 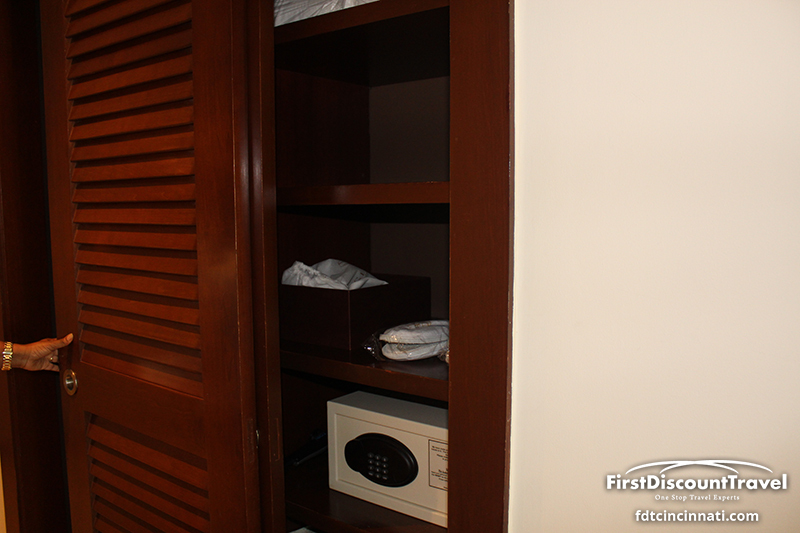 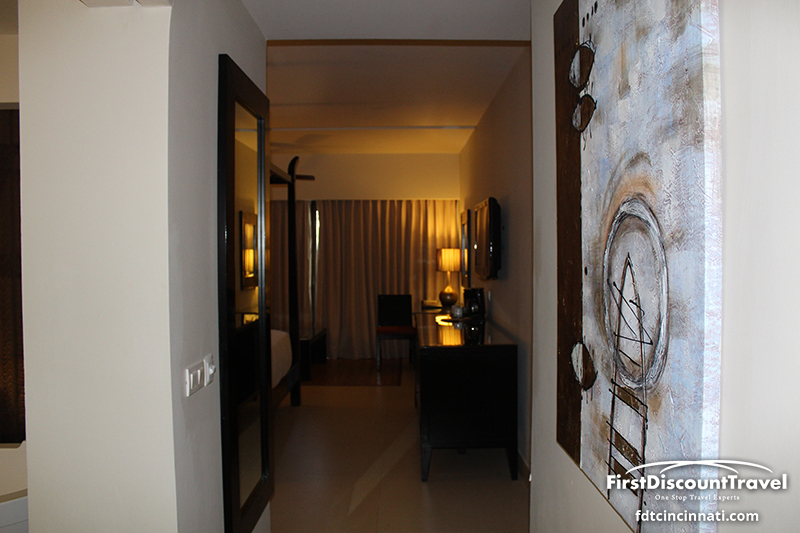 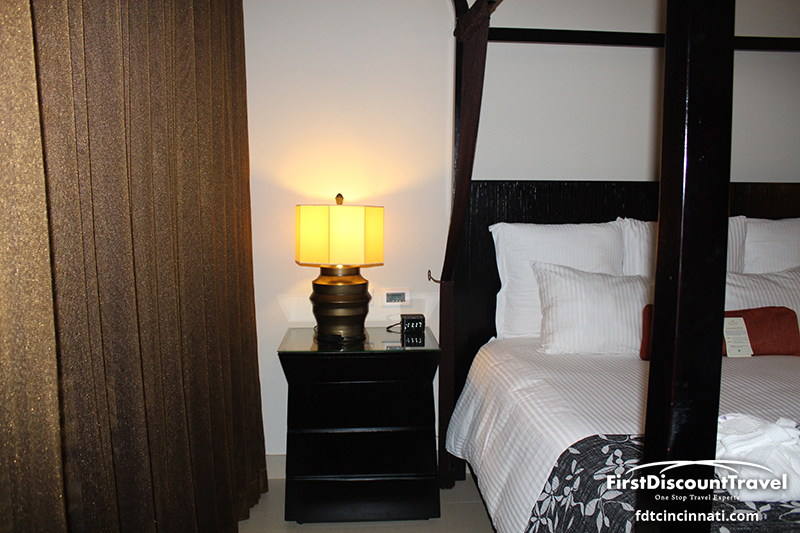 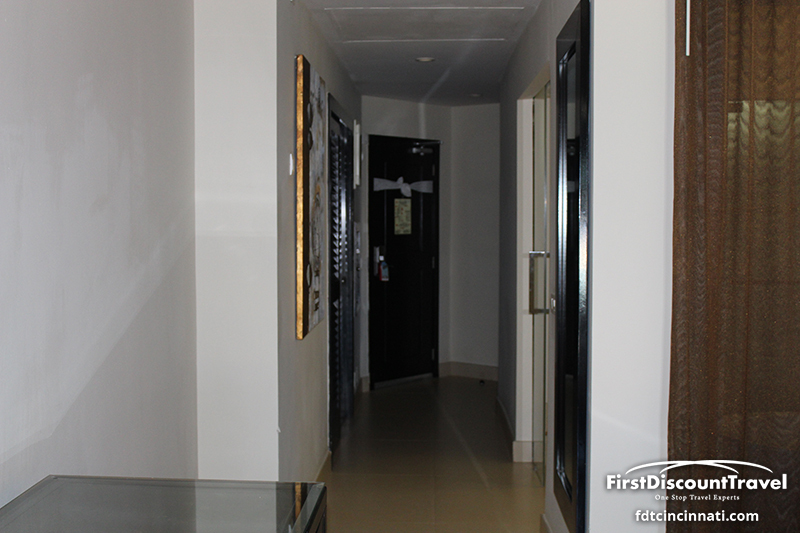 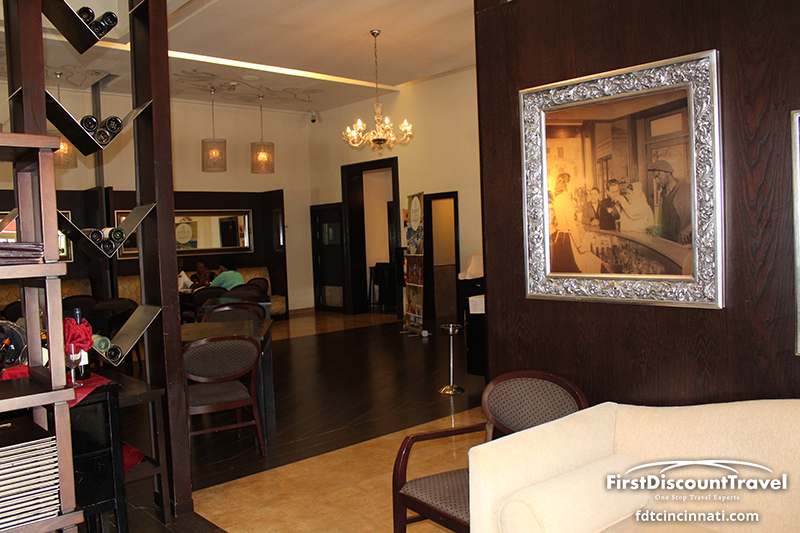 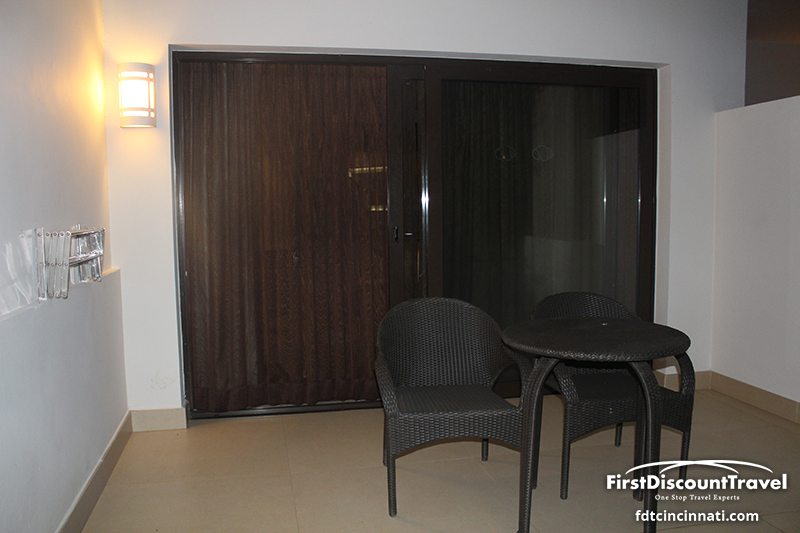 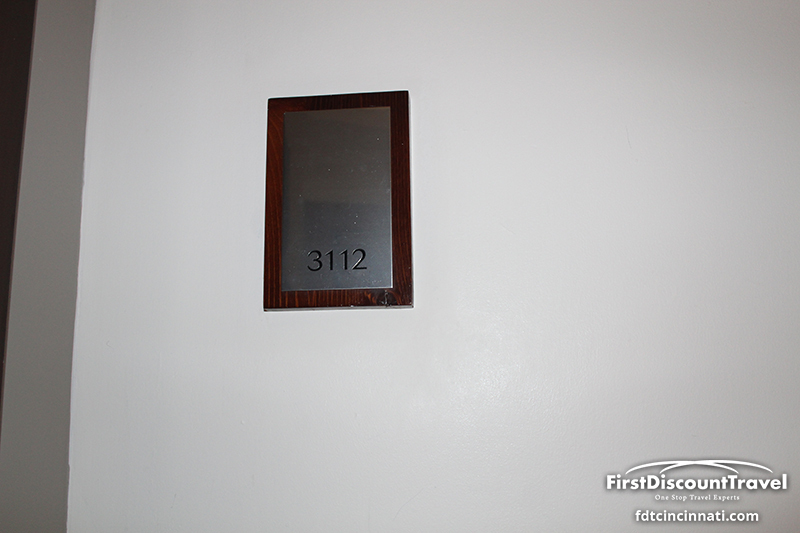 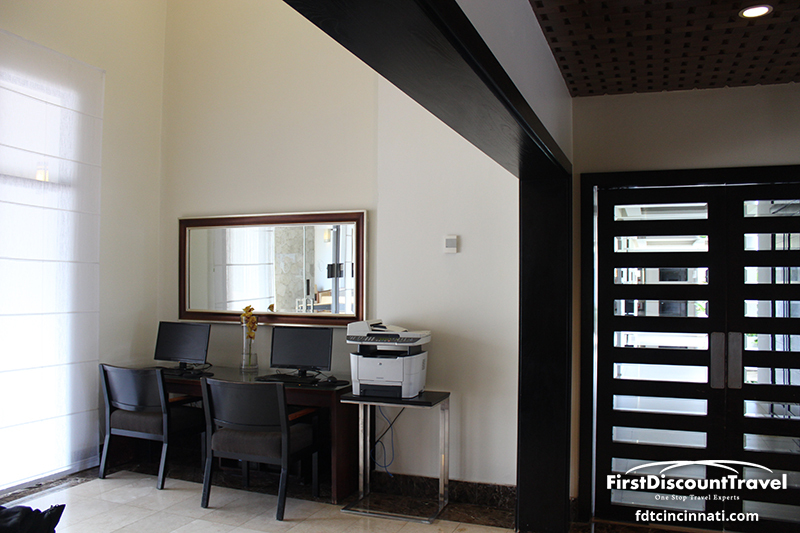 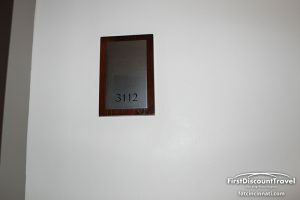 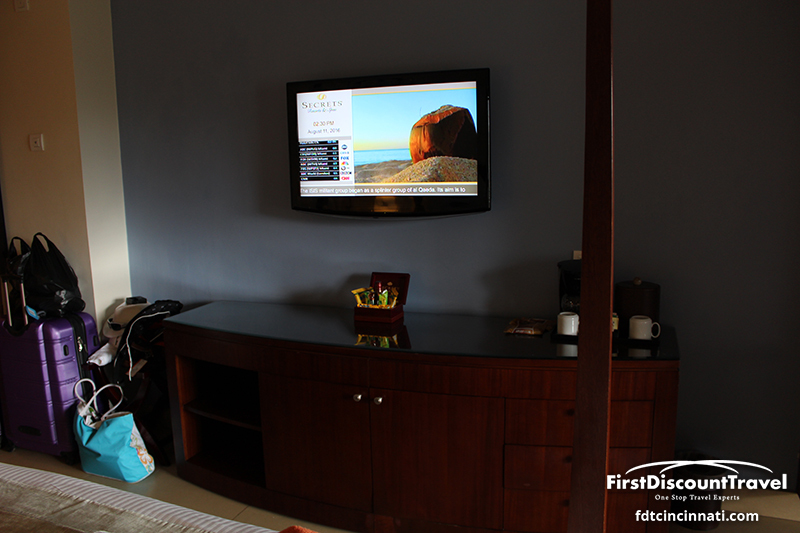 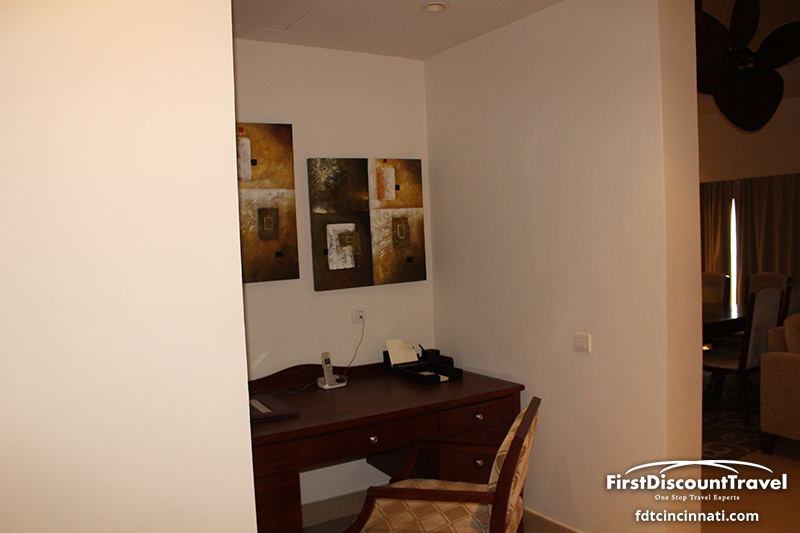 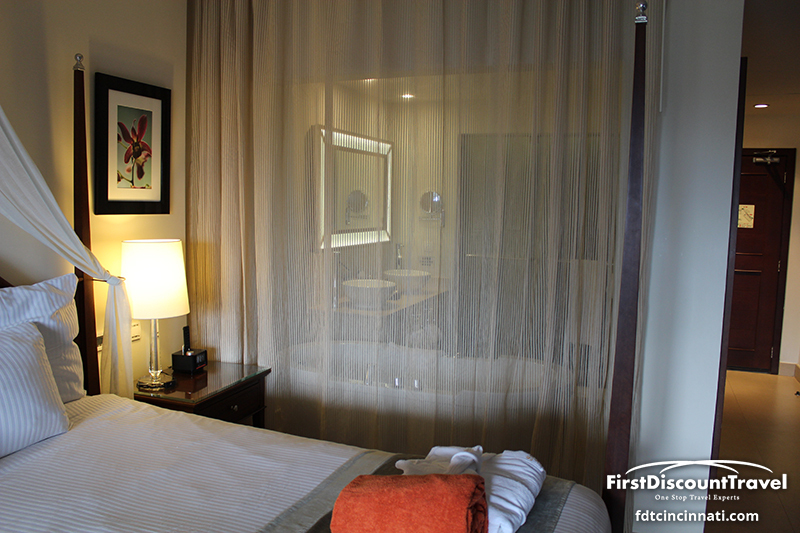 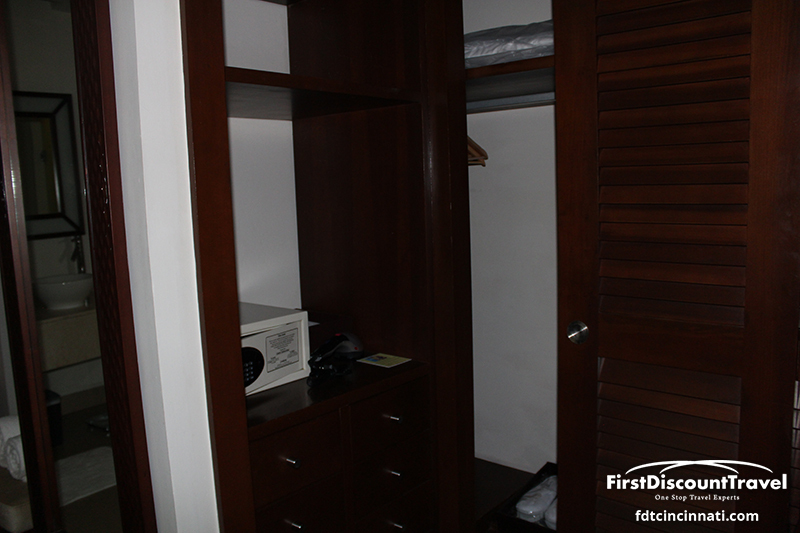 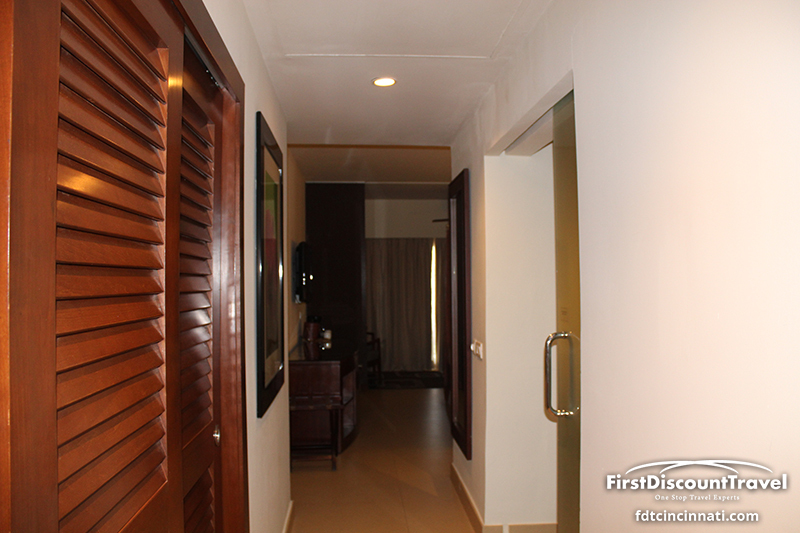 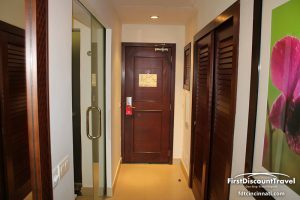 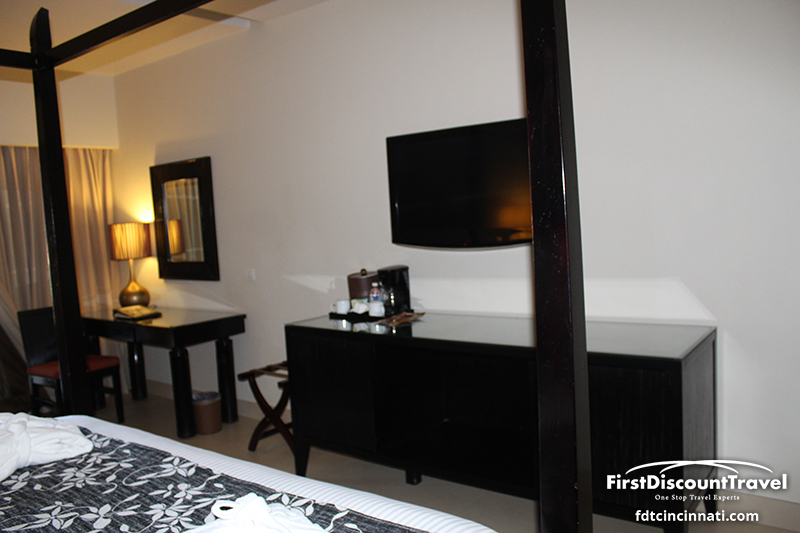 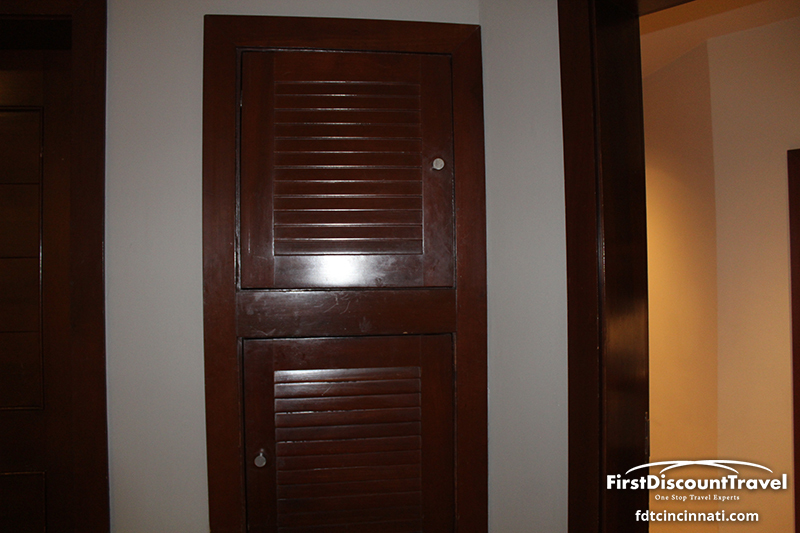 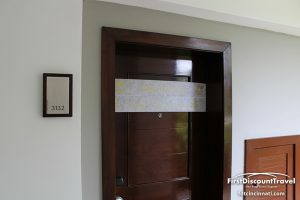 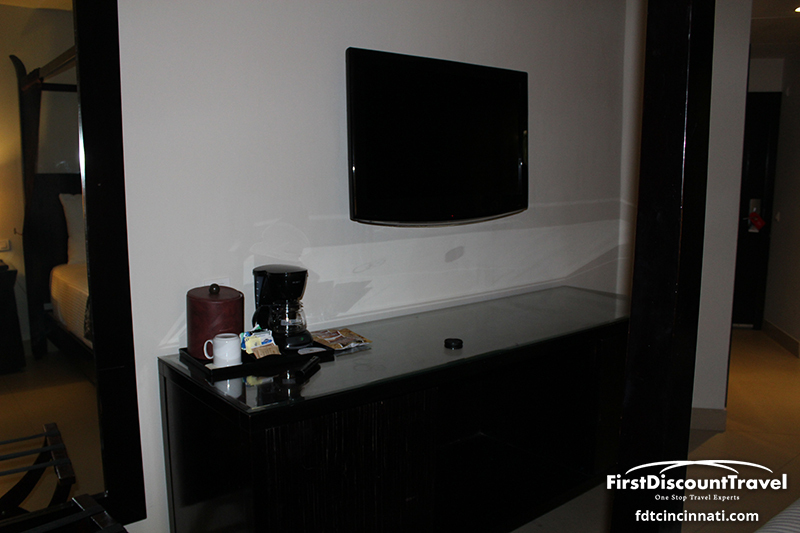 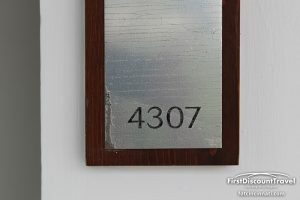 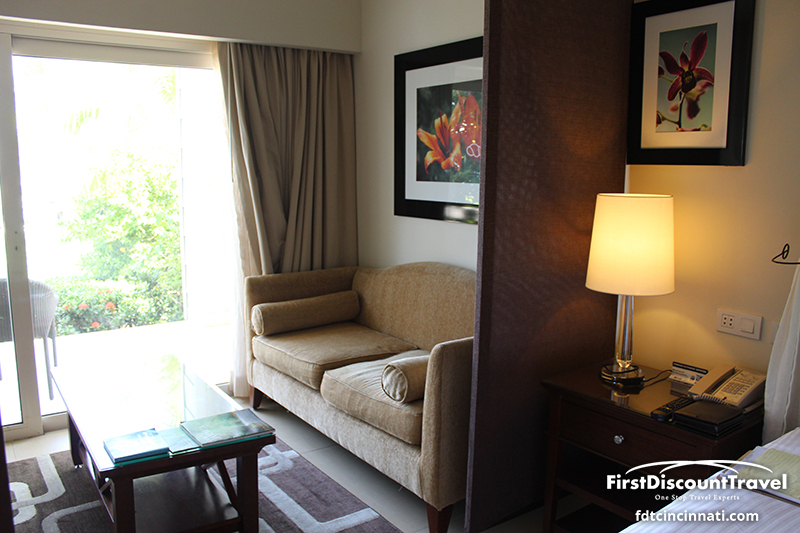 All of the rooms are Jr. suites and 600+ square feet. 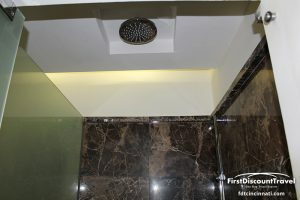 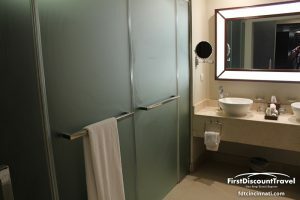 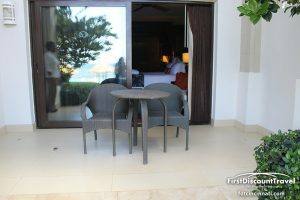 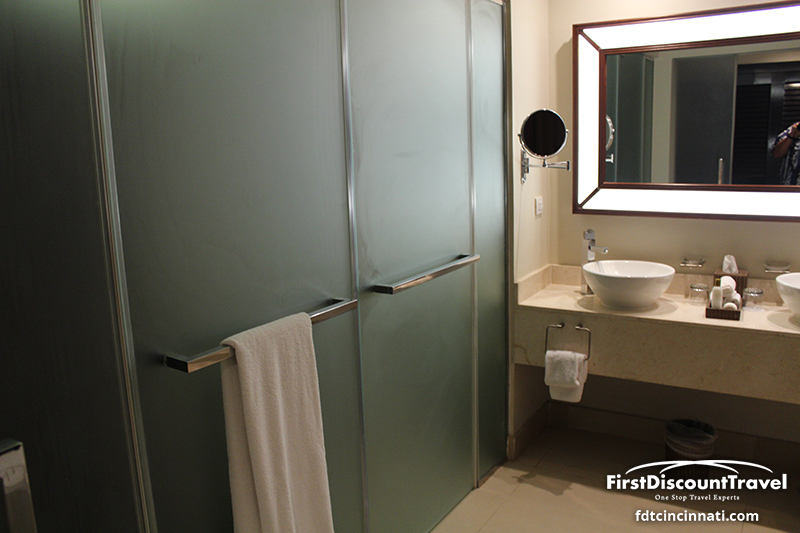 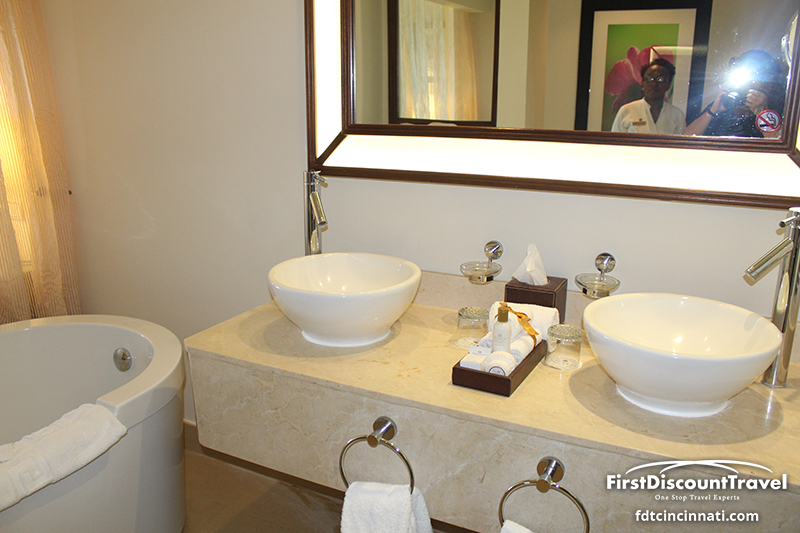 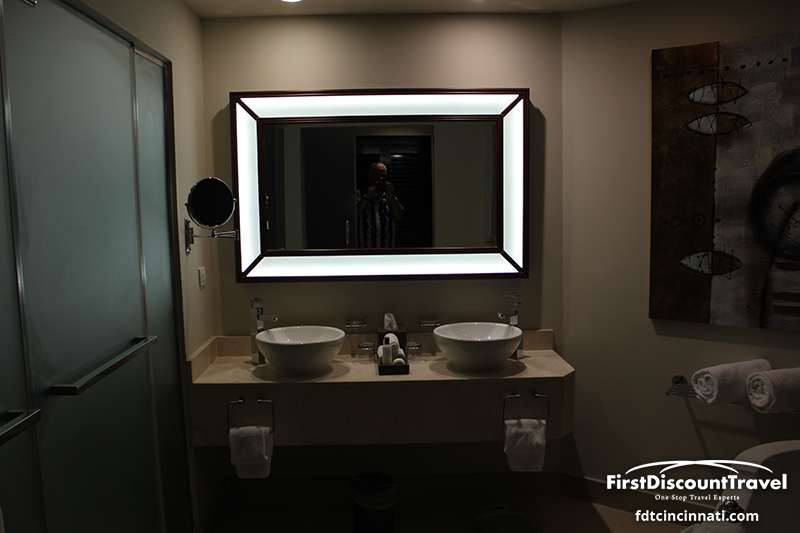 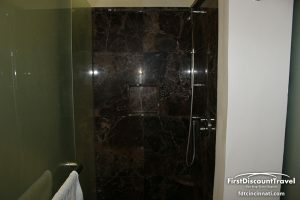 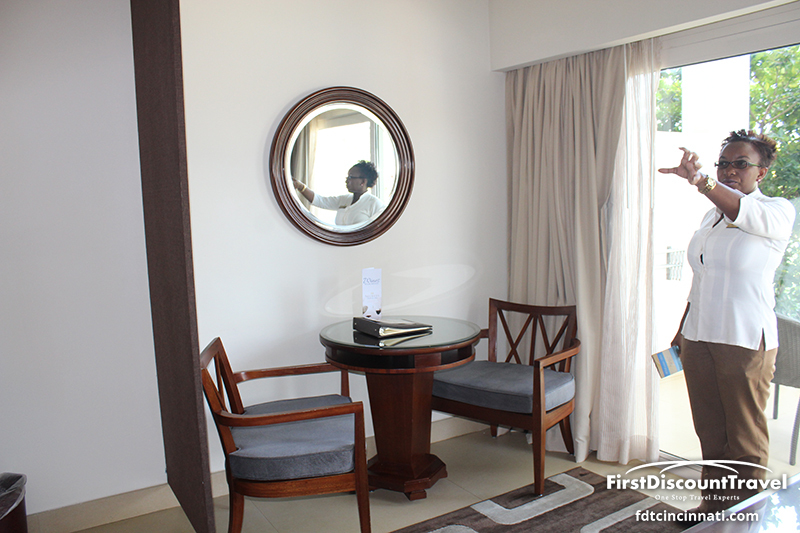 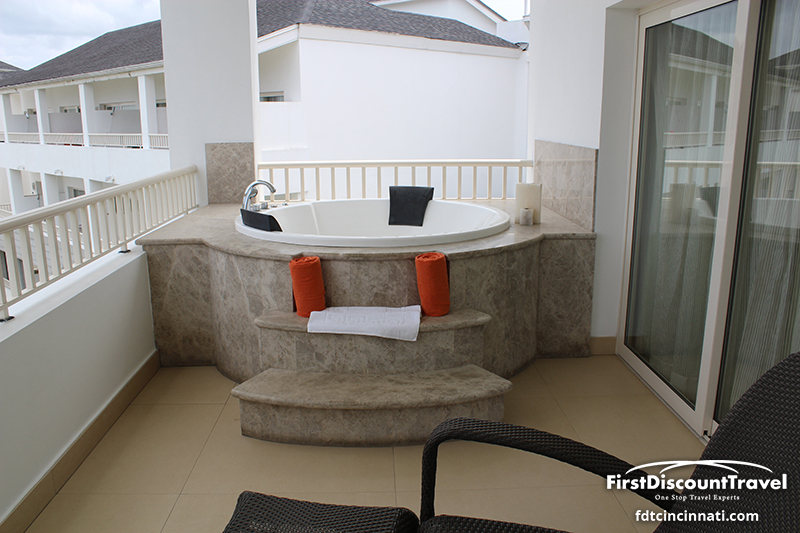 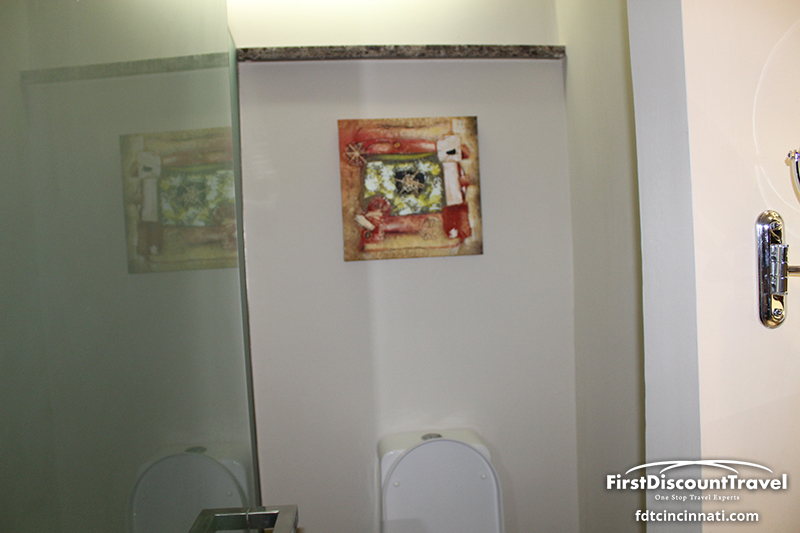 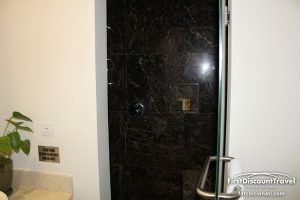 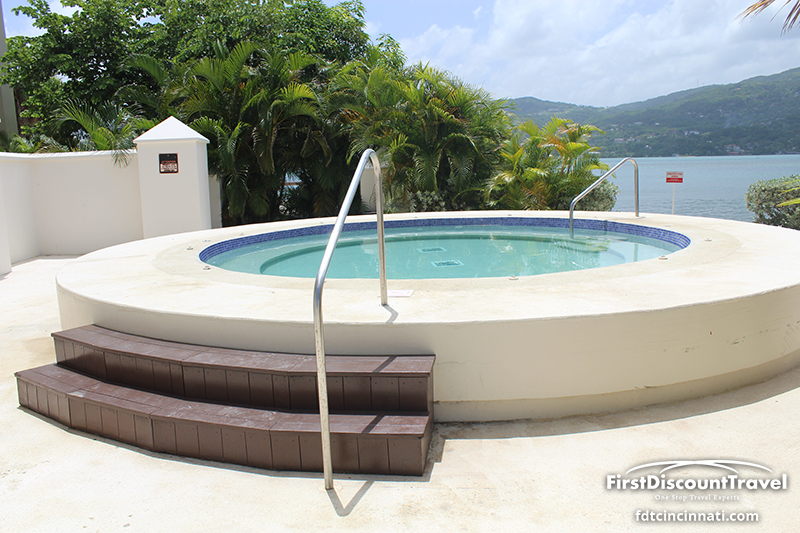 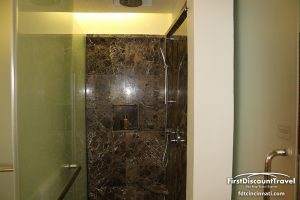 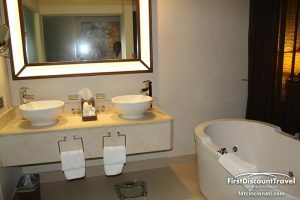 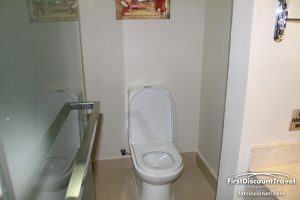 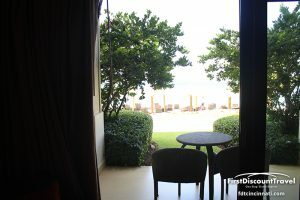 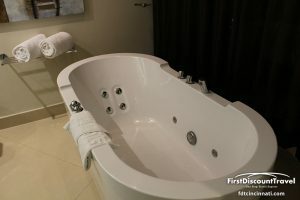 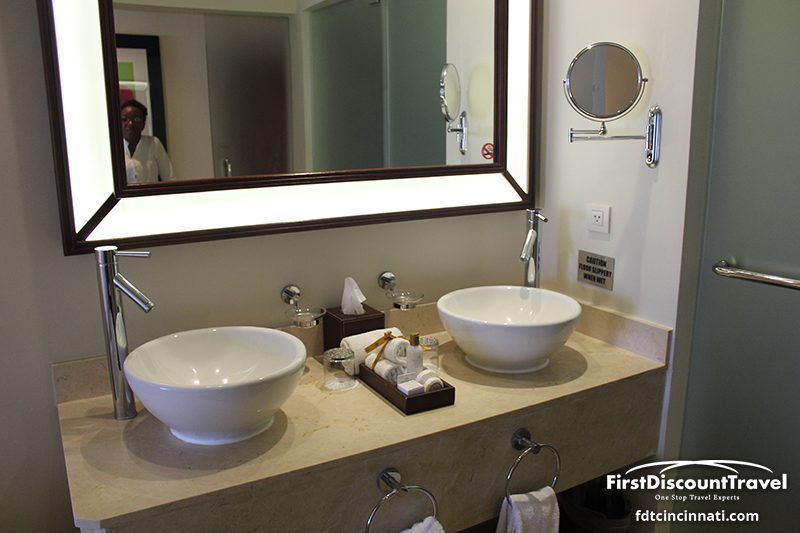 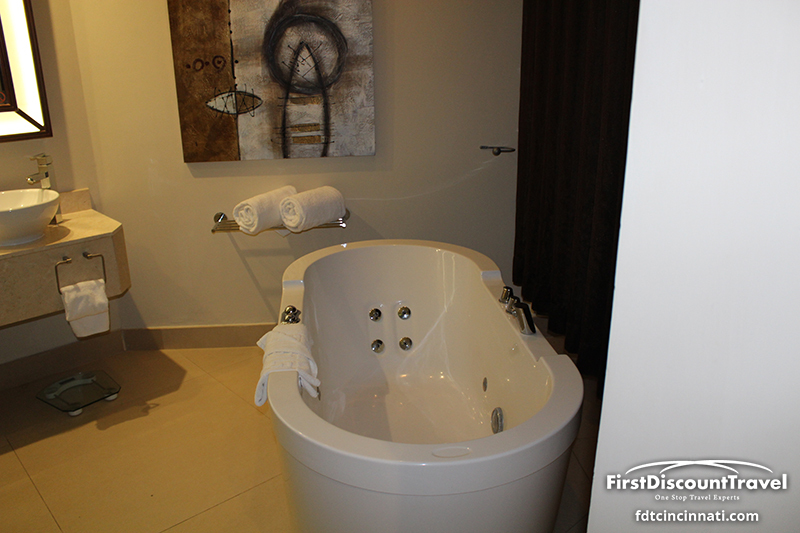 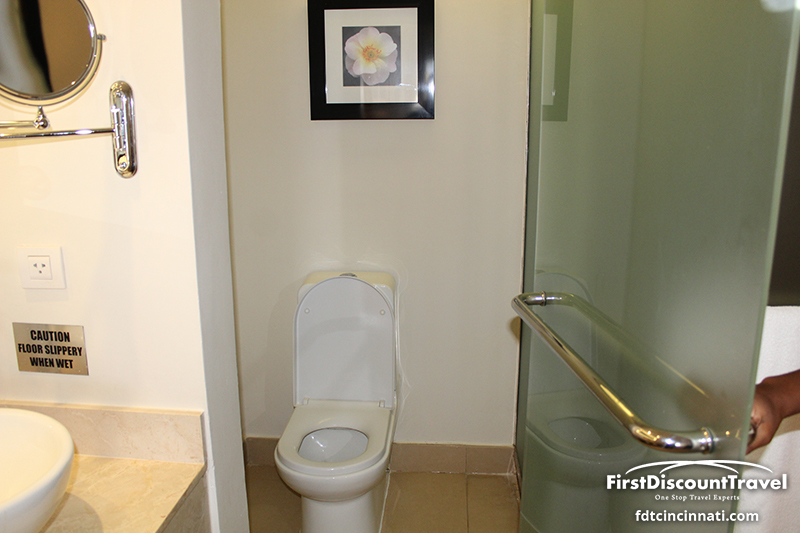 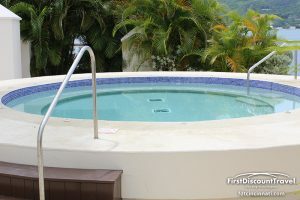 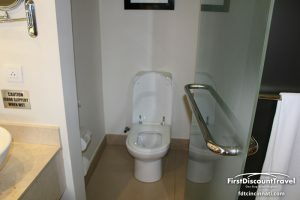 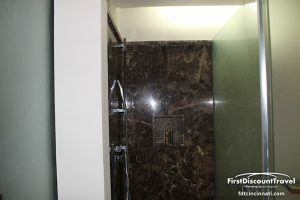 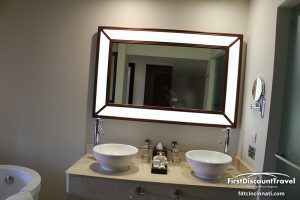 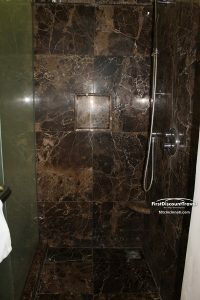 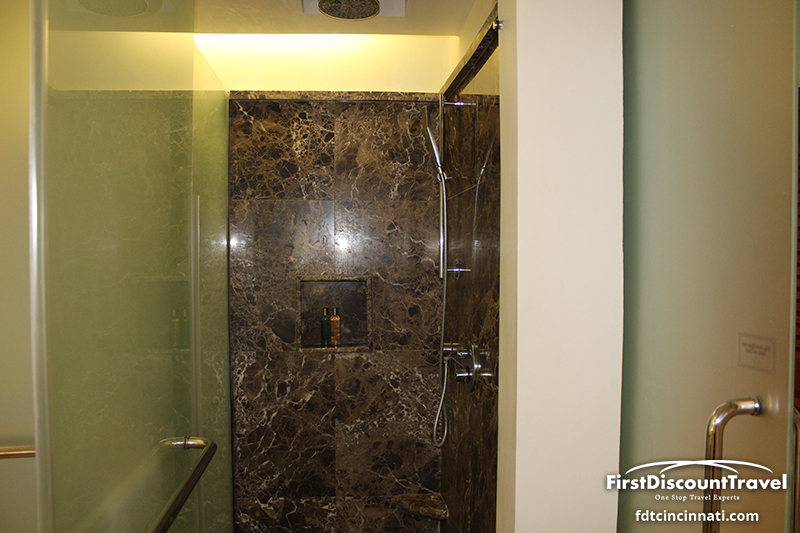 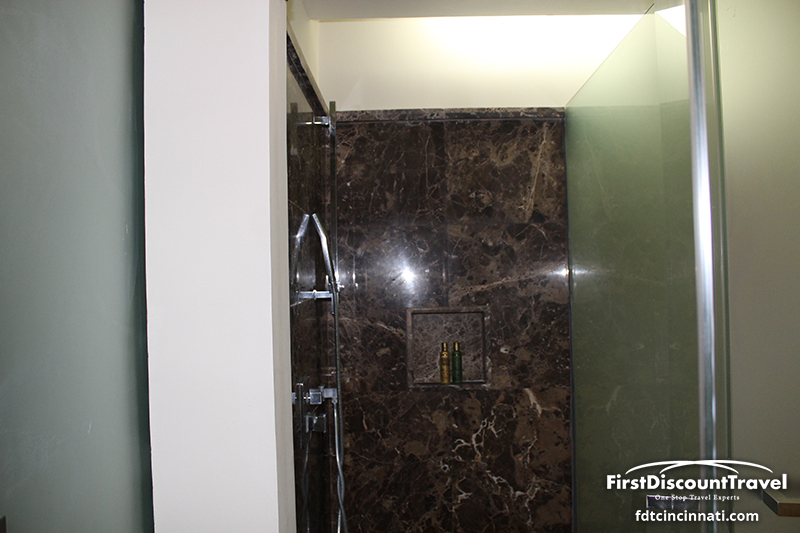 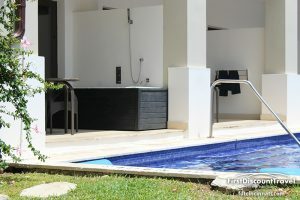 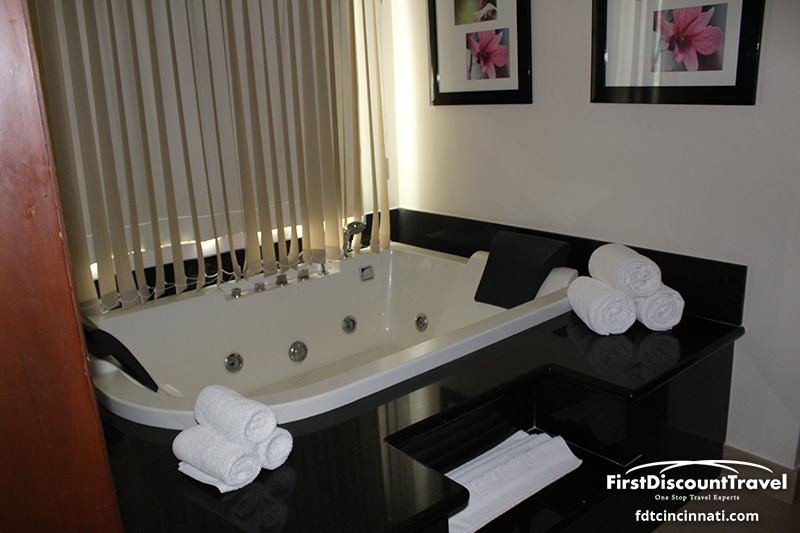 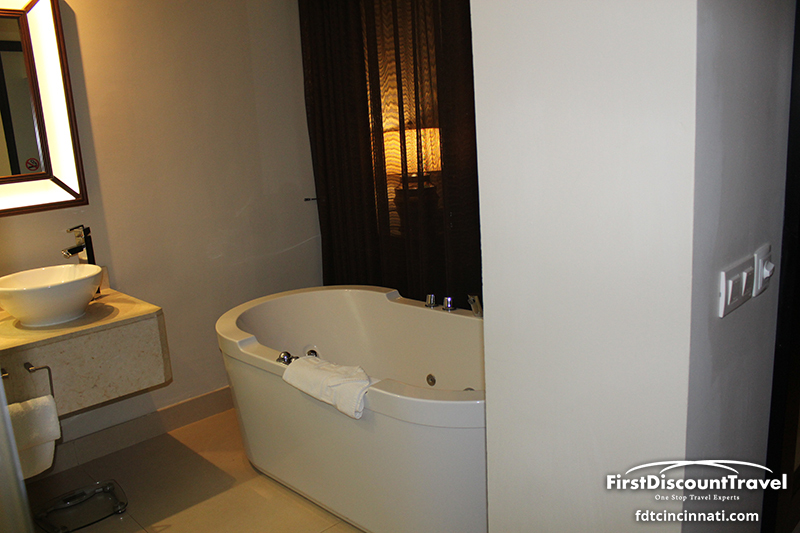 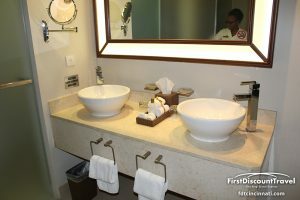 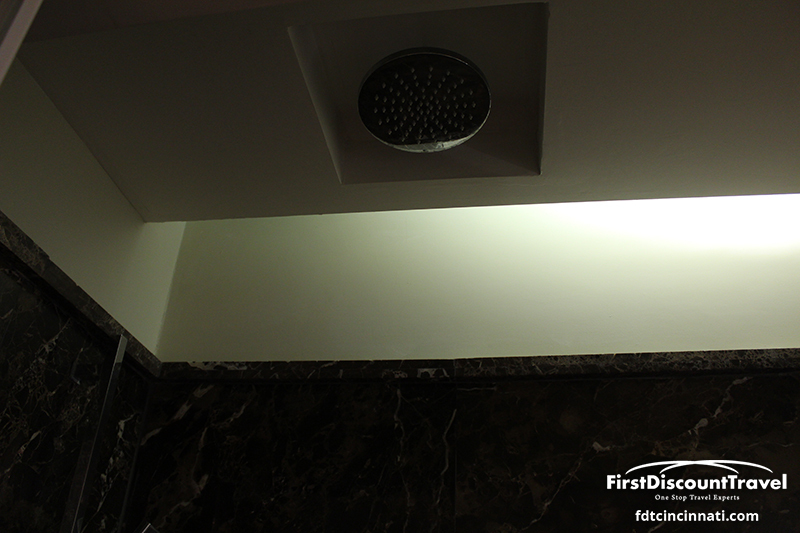 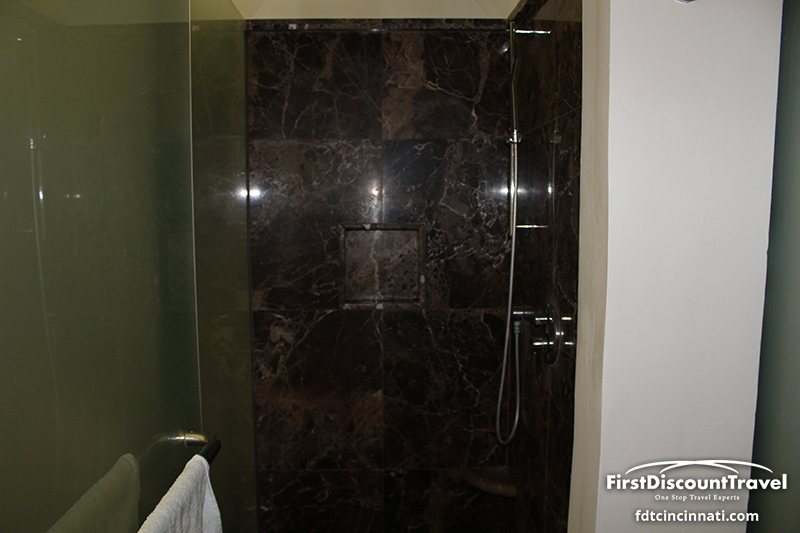 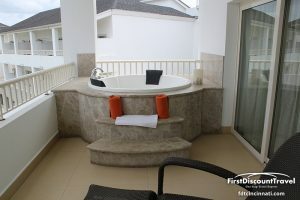 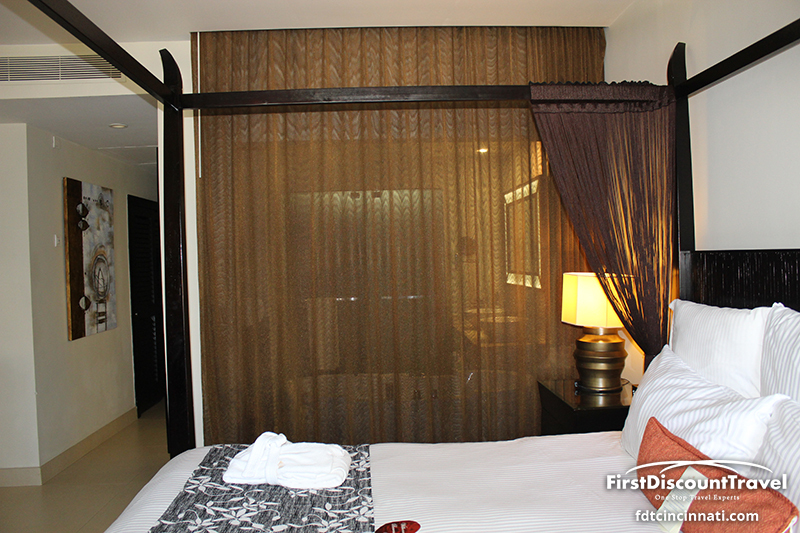 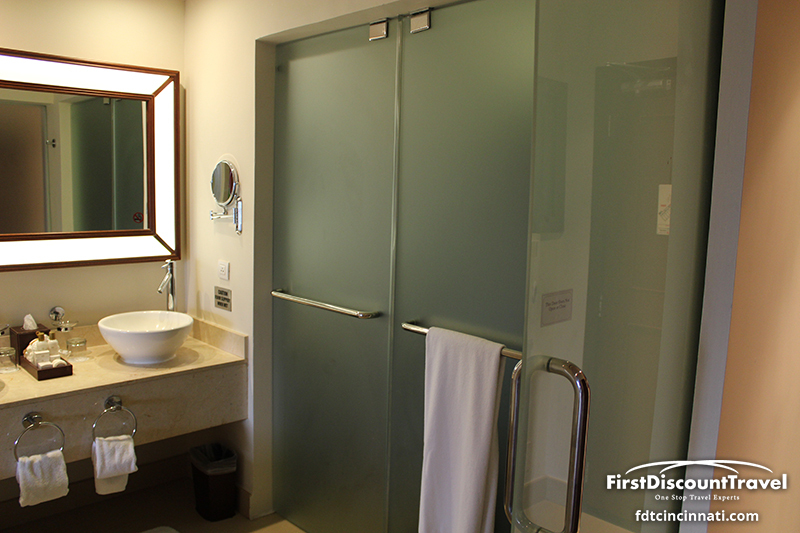 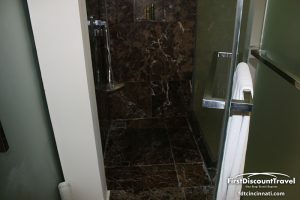 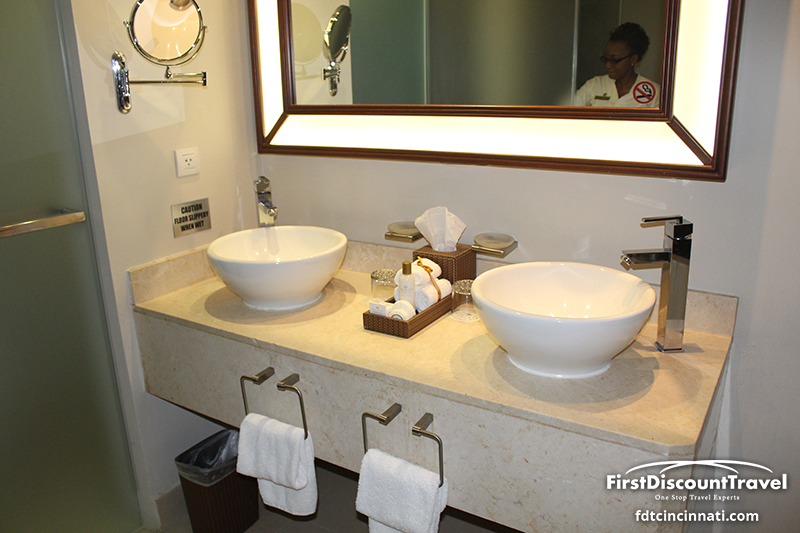 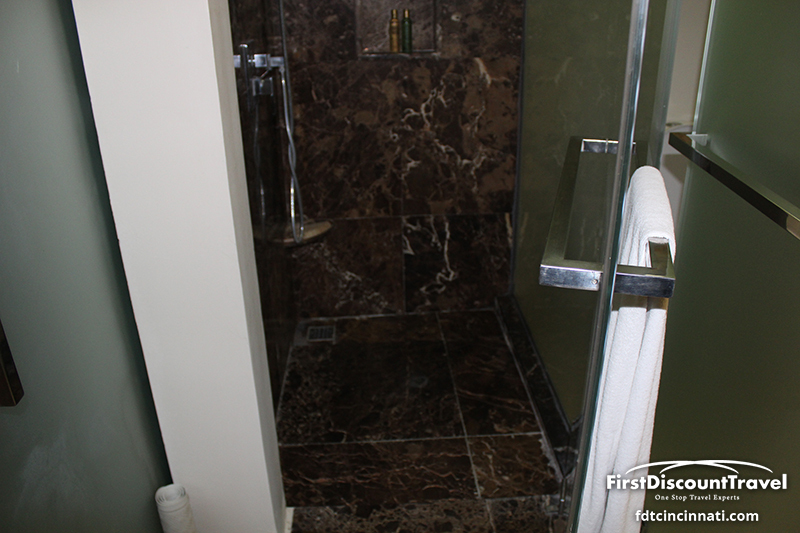 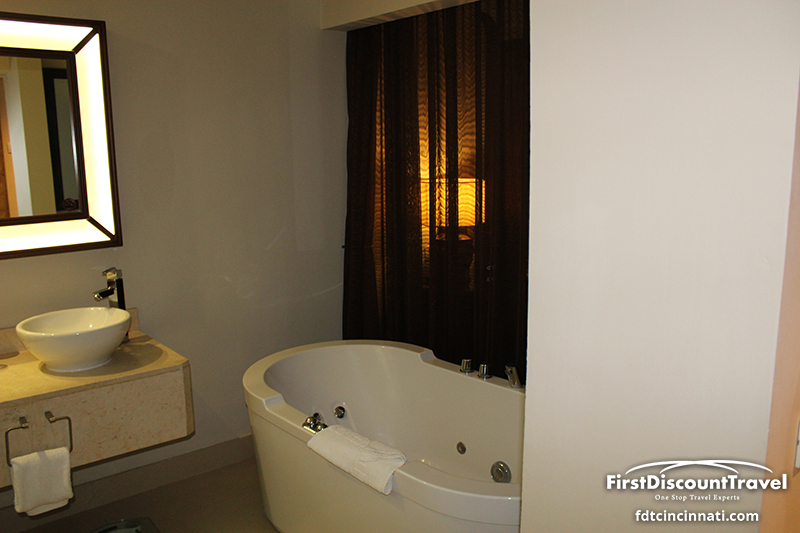 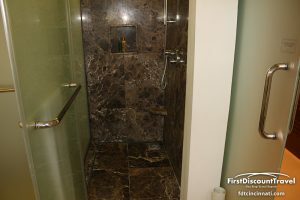 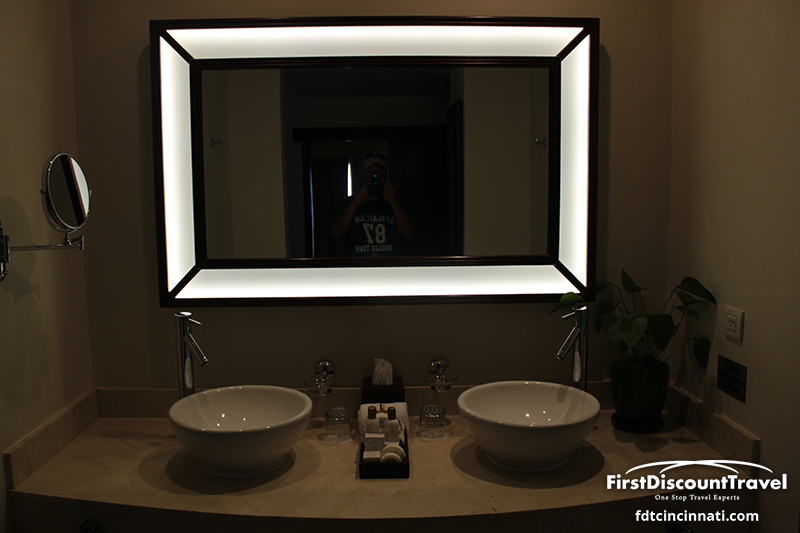 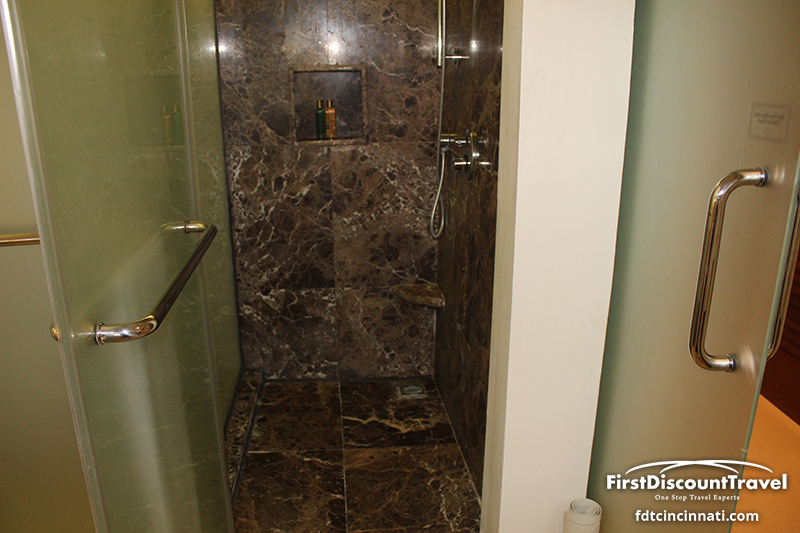 All of the Jr. suites have a large two person Jacuzzi, separate shower, double vanity, sitting area and nice view. 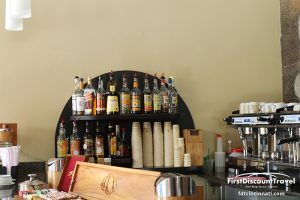 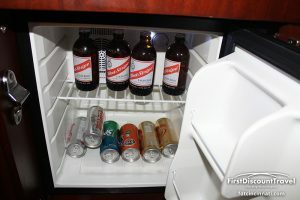 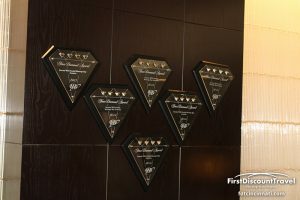 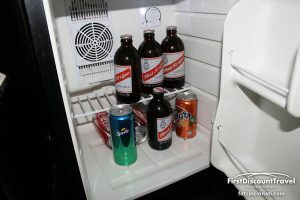 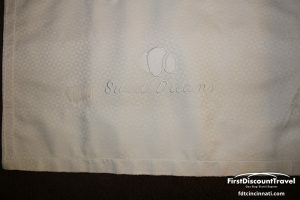 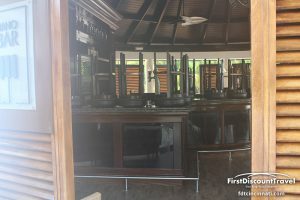 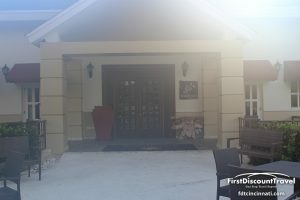 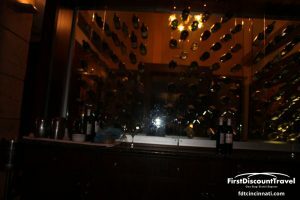 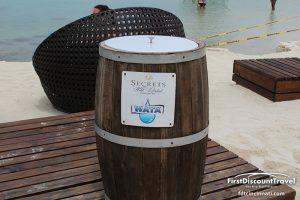 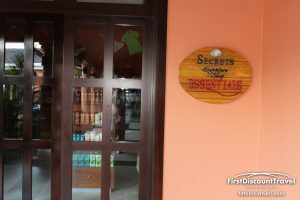 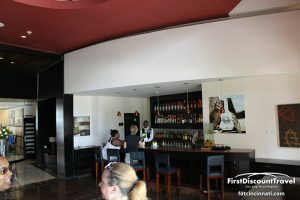 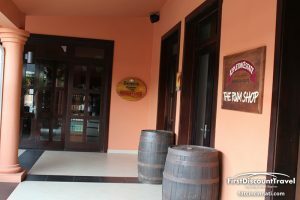 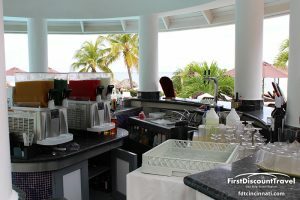 All Secrets Resorts serve premium brand liquor, American and local Beer, has no ding reservations or restrictions, and includes 24 hour room service. 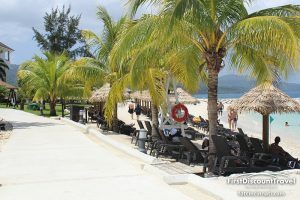 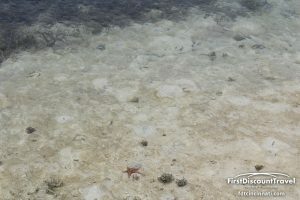 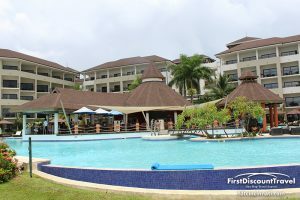 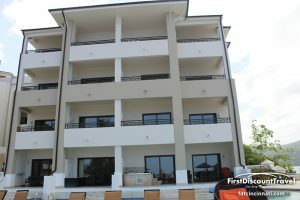 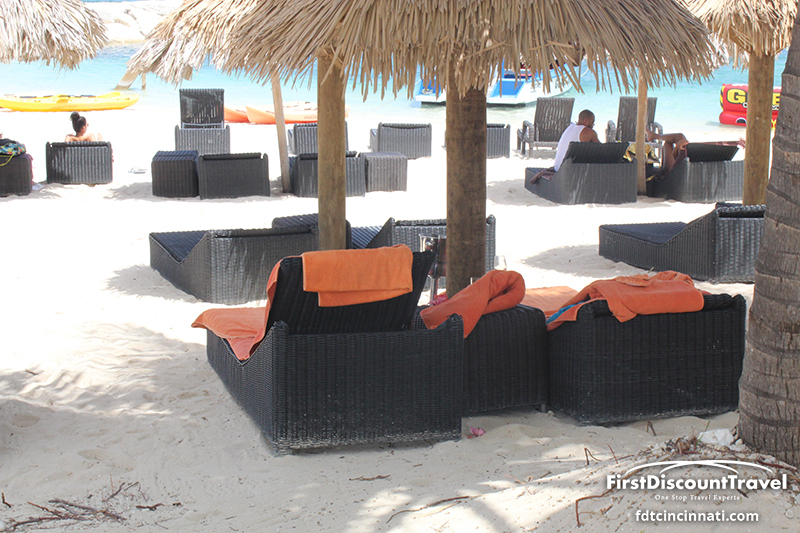 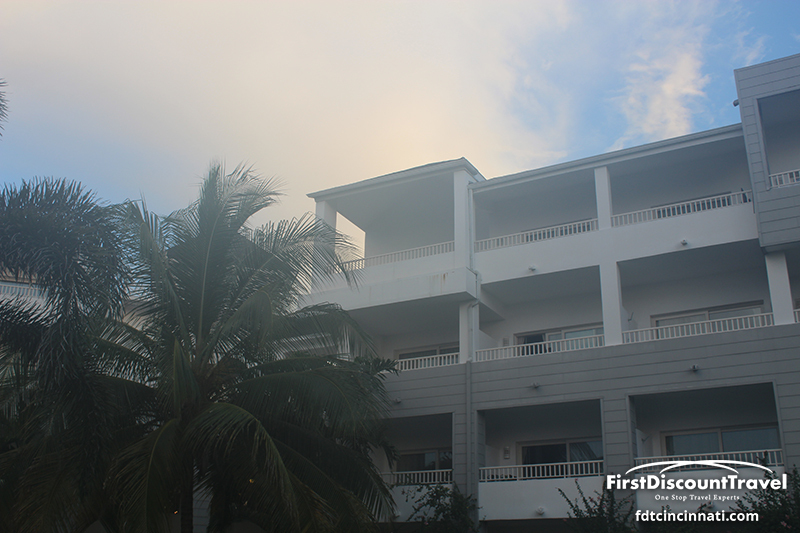 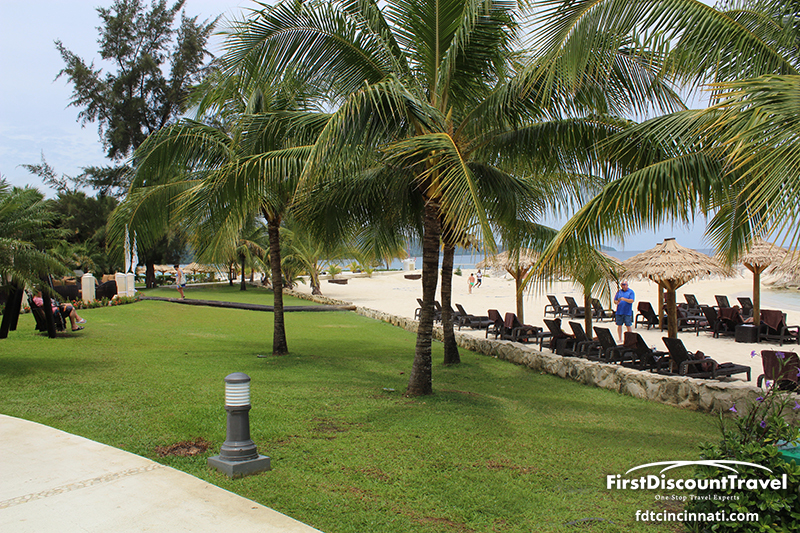 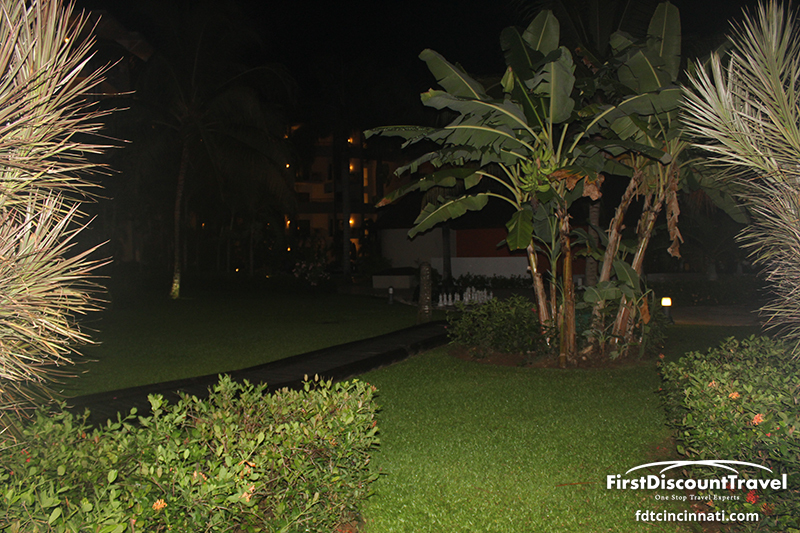 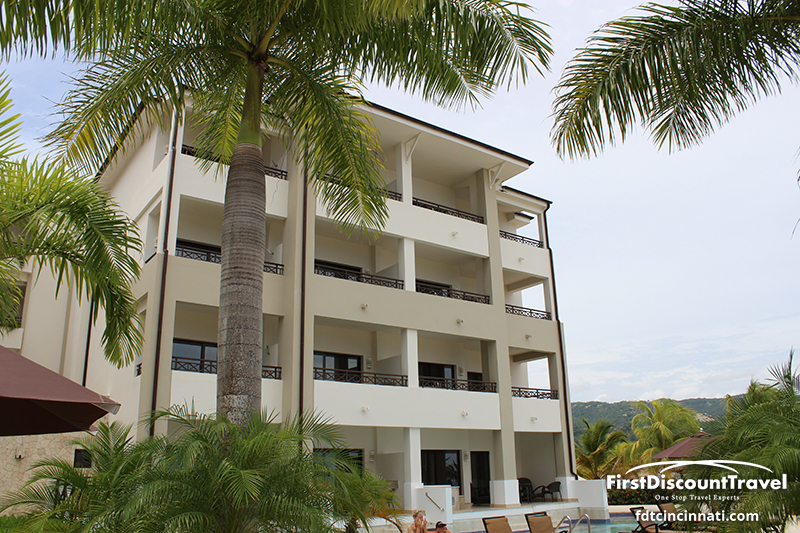 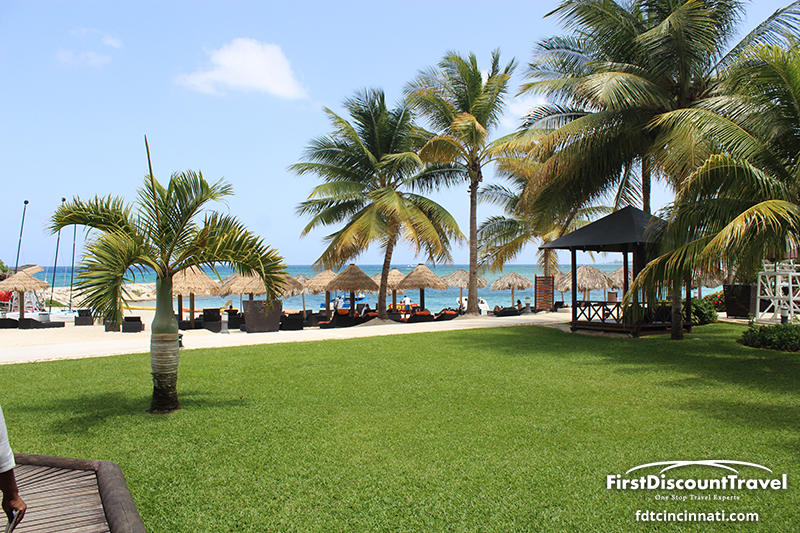 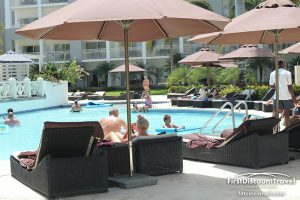 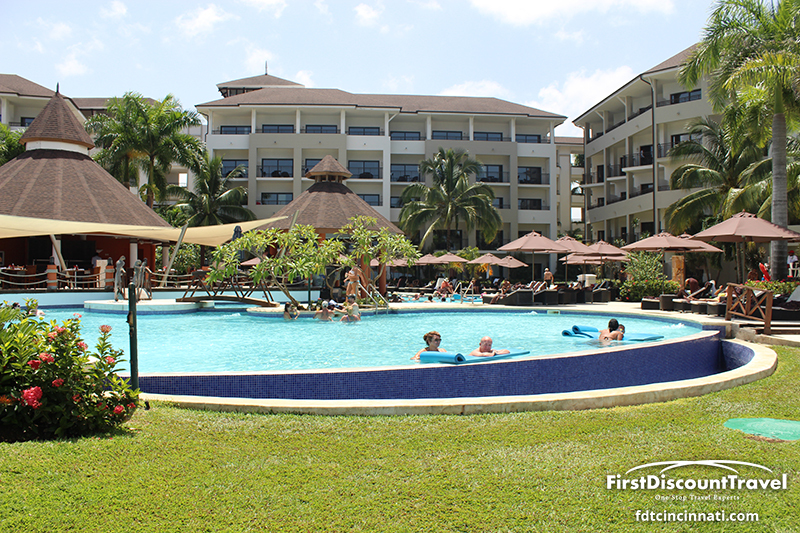 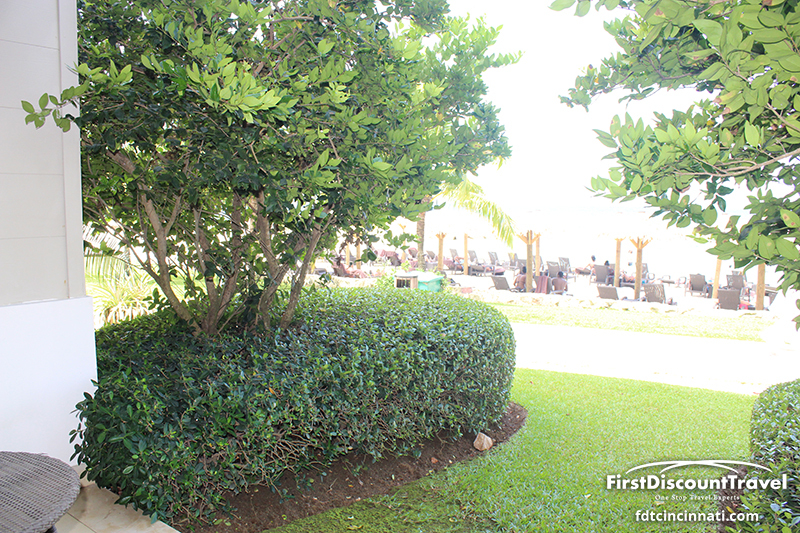 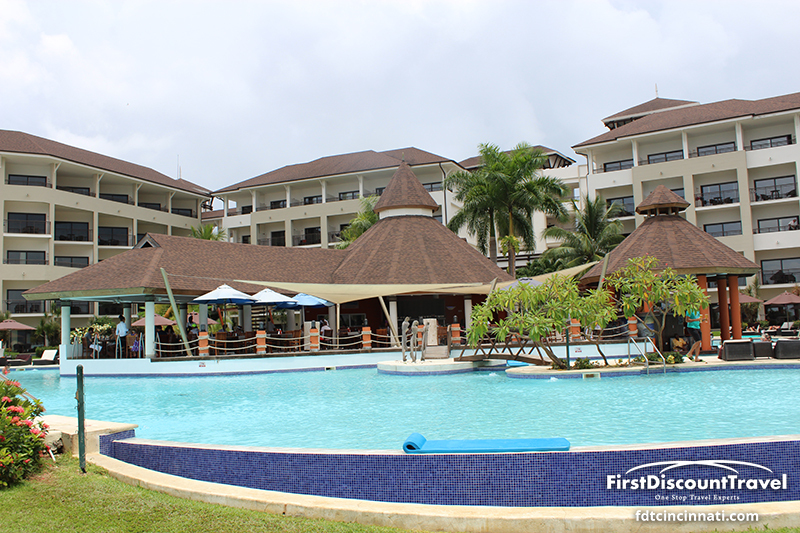 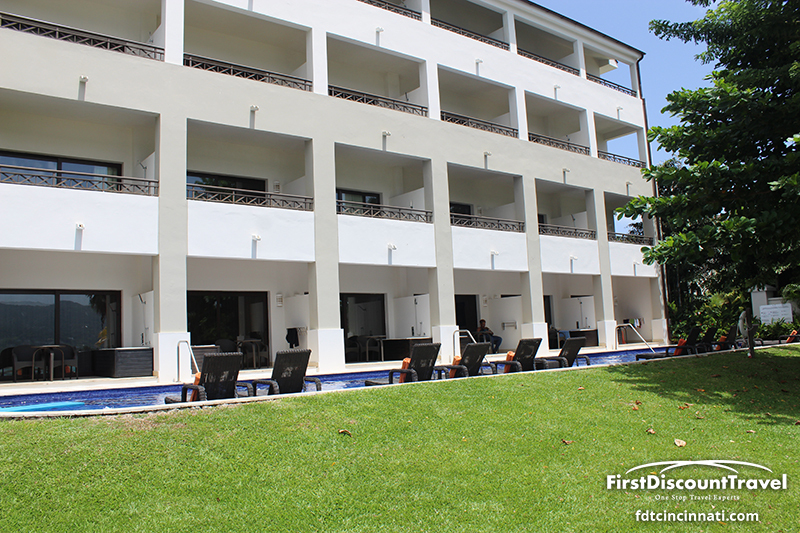 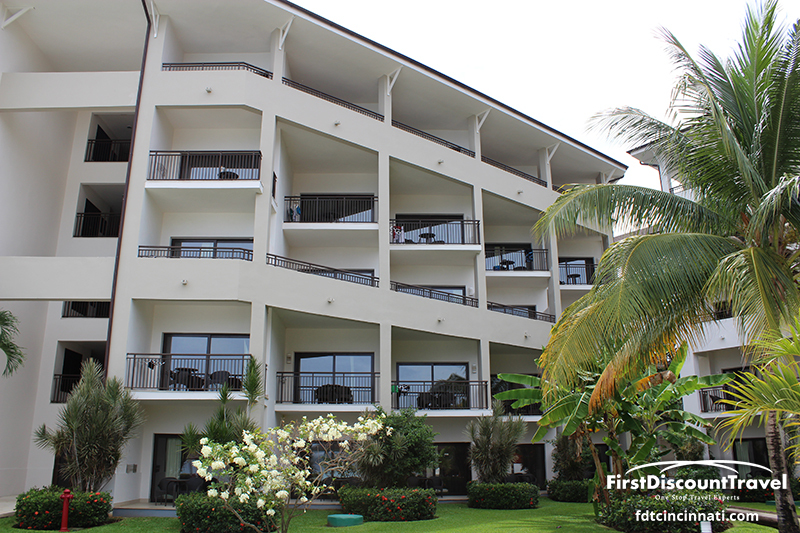 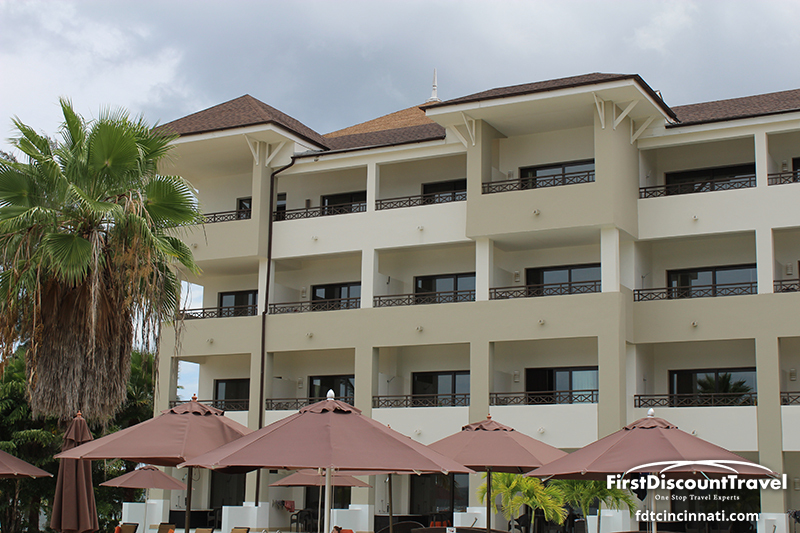 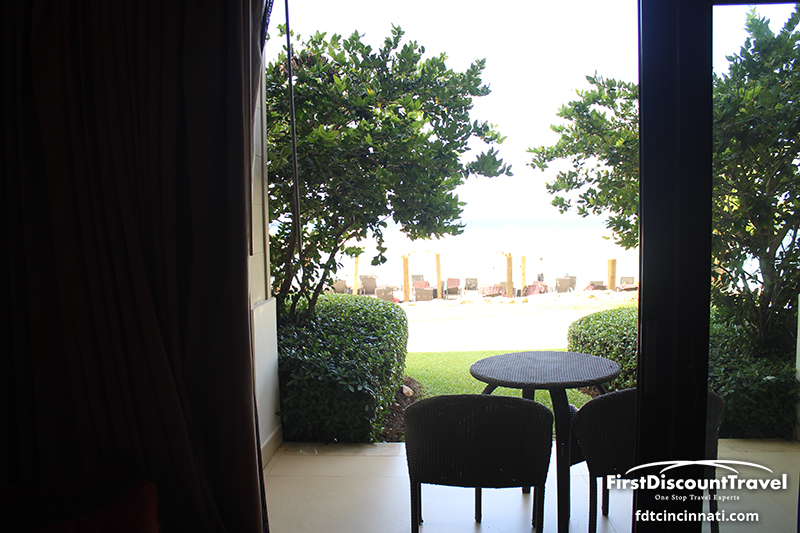 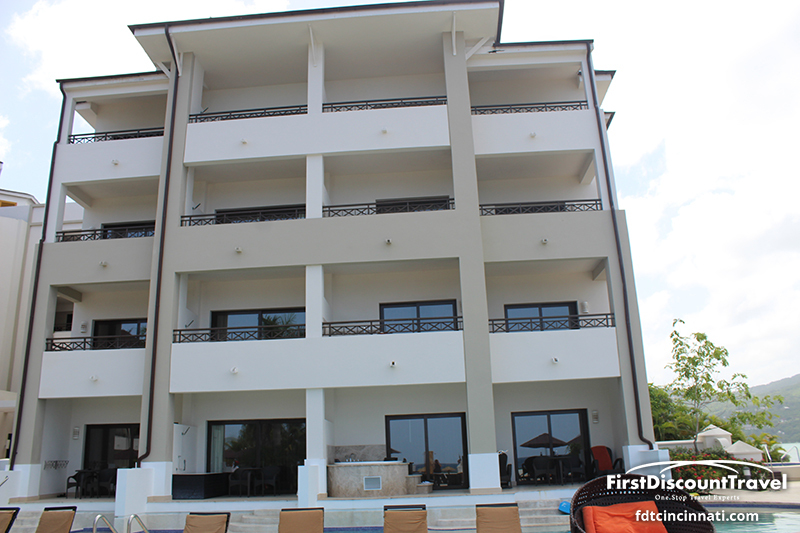 The twin resorts are located on several scalloped beaches with lovely white sand and beautiful turquois water. 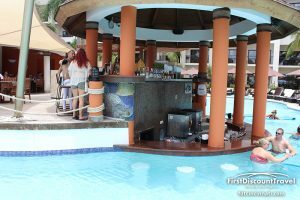 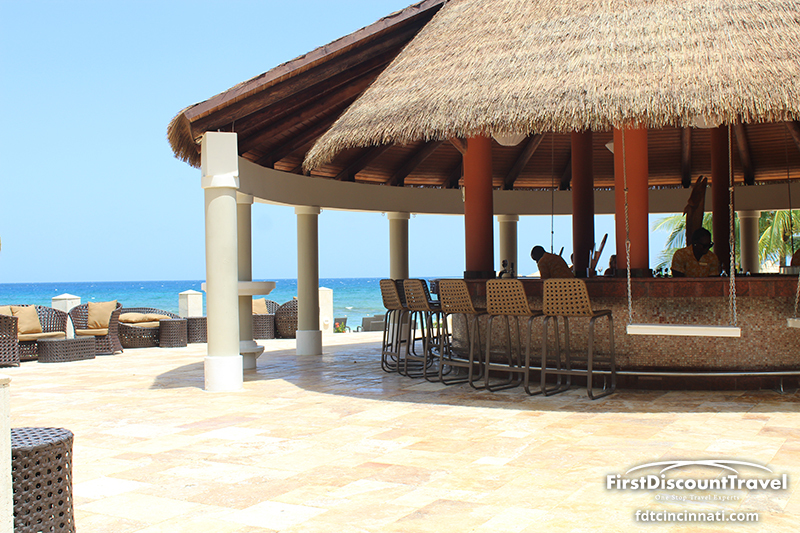 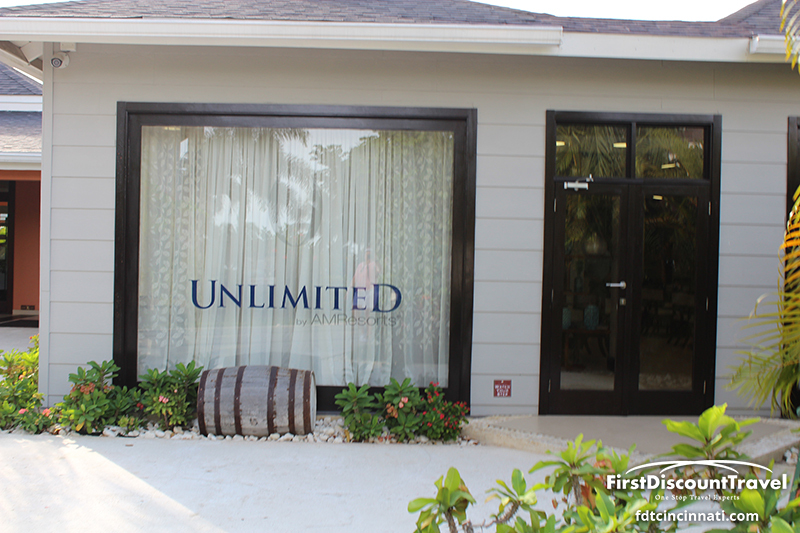 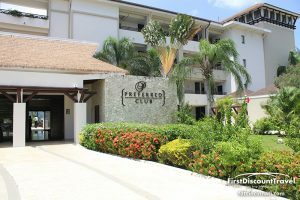 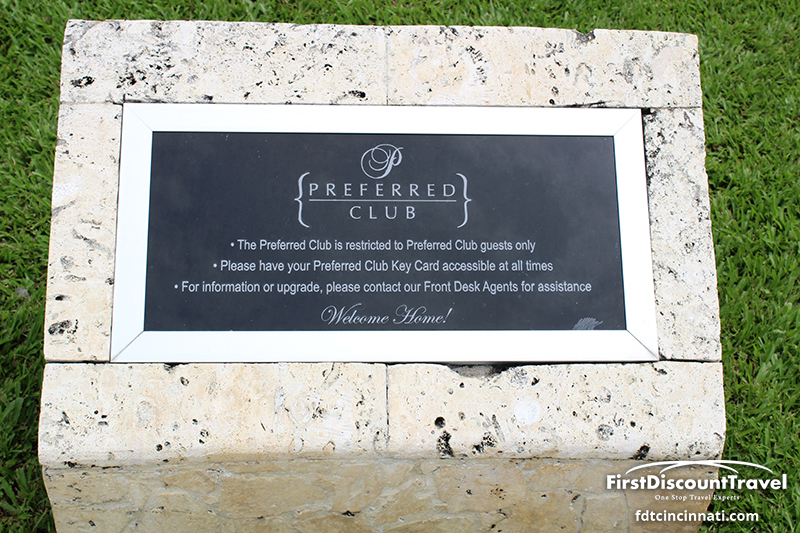 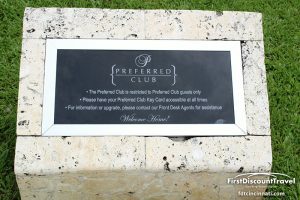 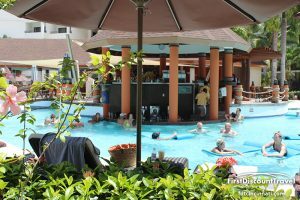 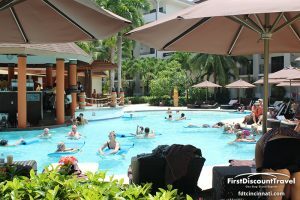 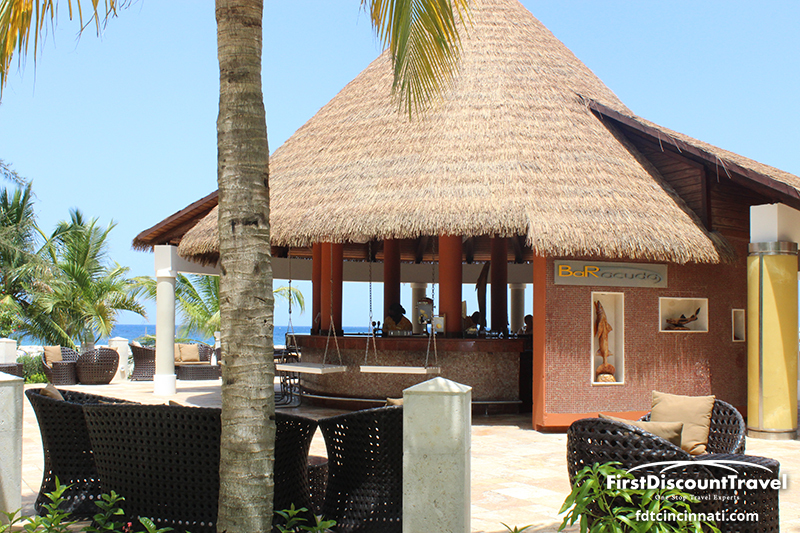 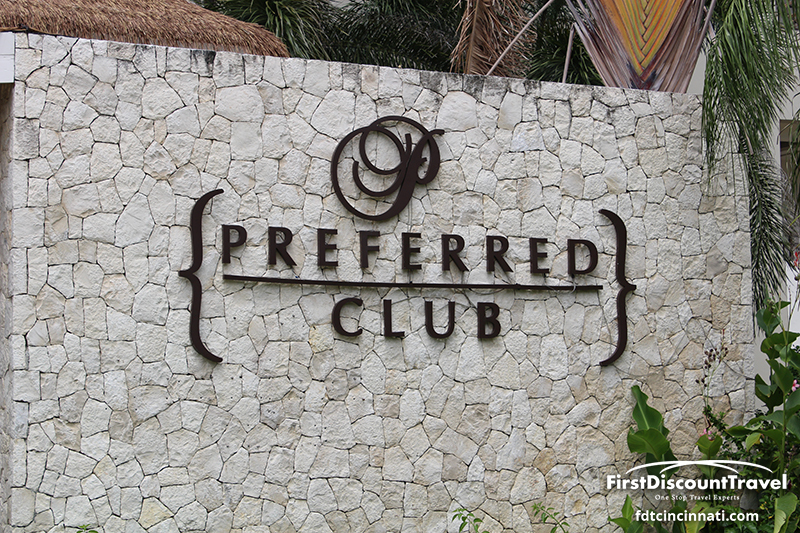 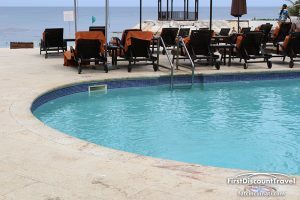 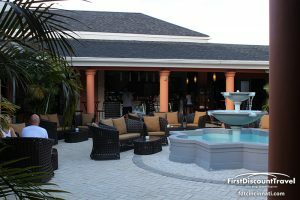 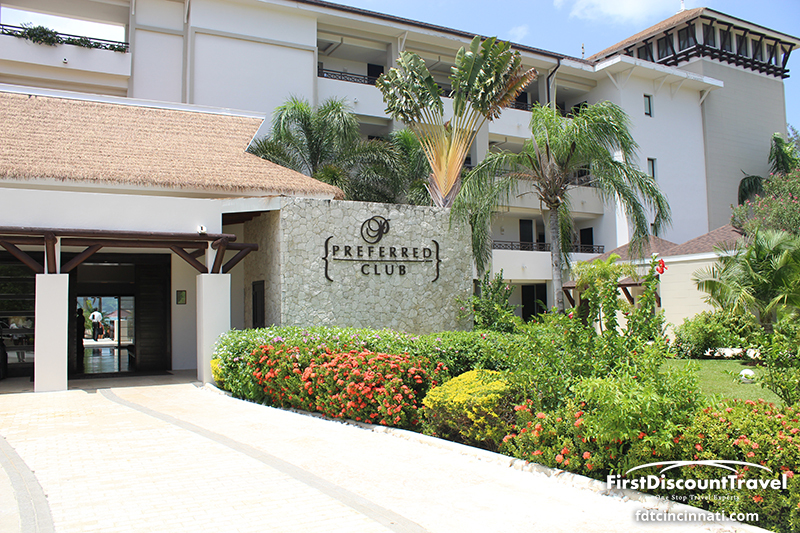 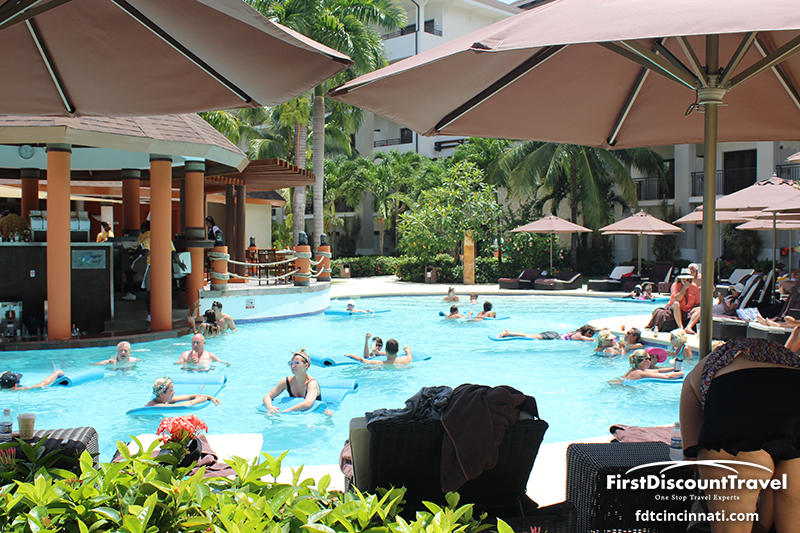 Each resort has a Preferred Club section with access to the exclusive Preferred Club pool, super premium liquor in the Preferred Club, complimentary WIFI, and more. 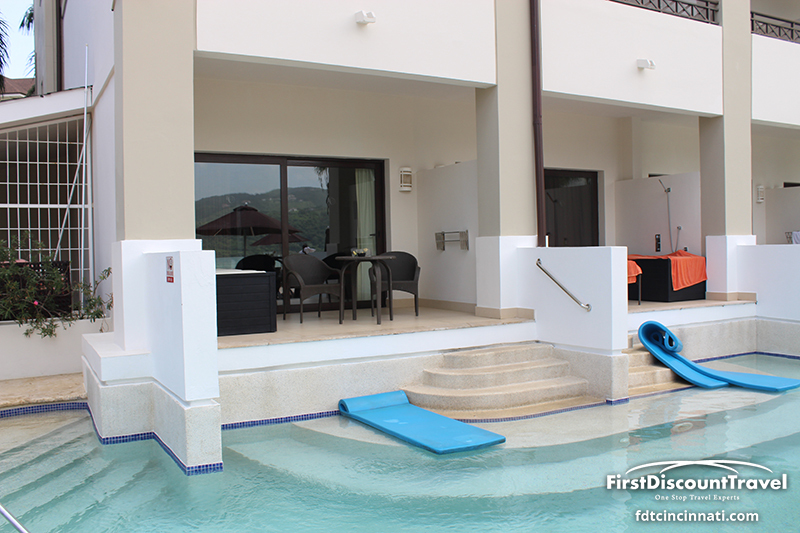 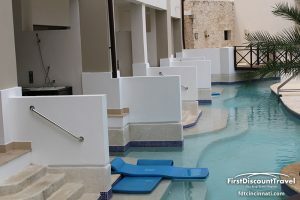 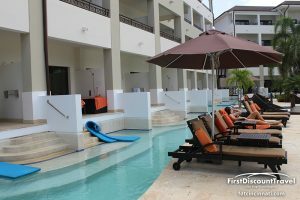 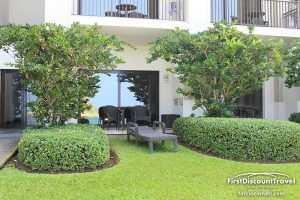 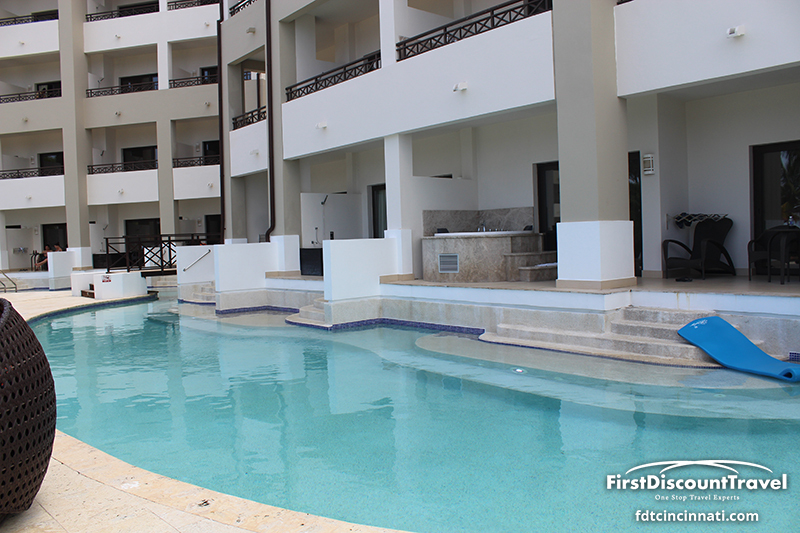 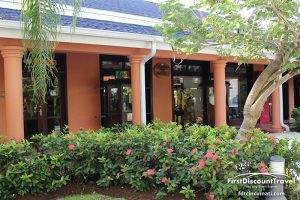 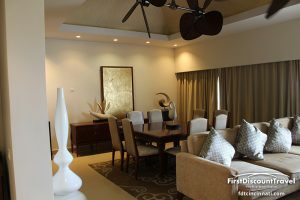 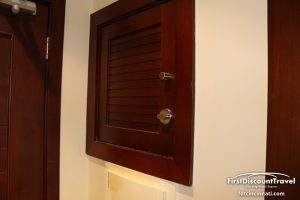 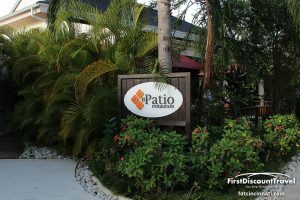 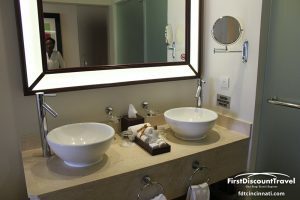 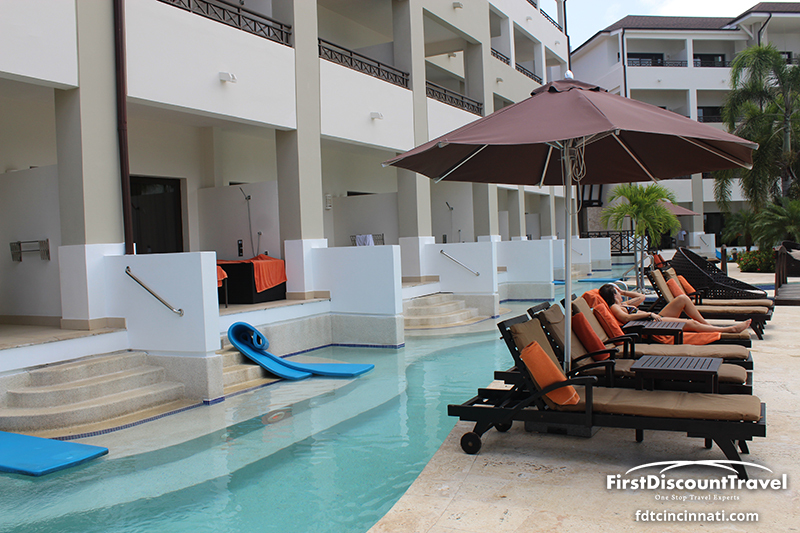 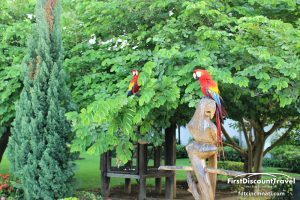 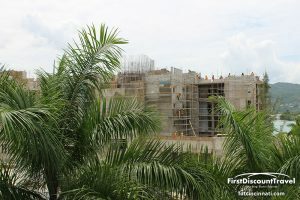 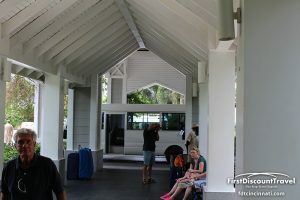 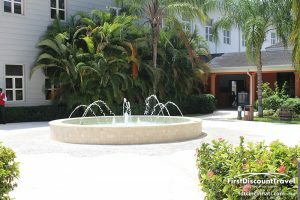 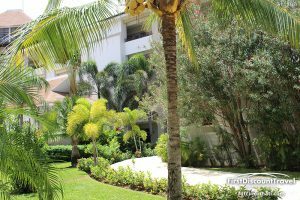 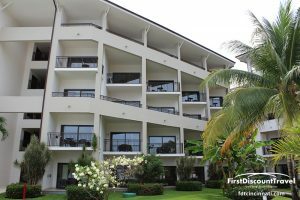 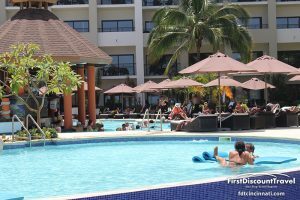 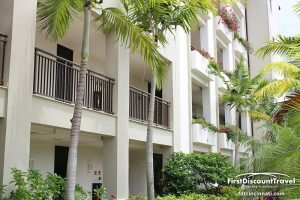 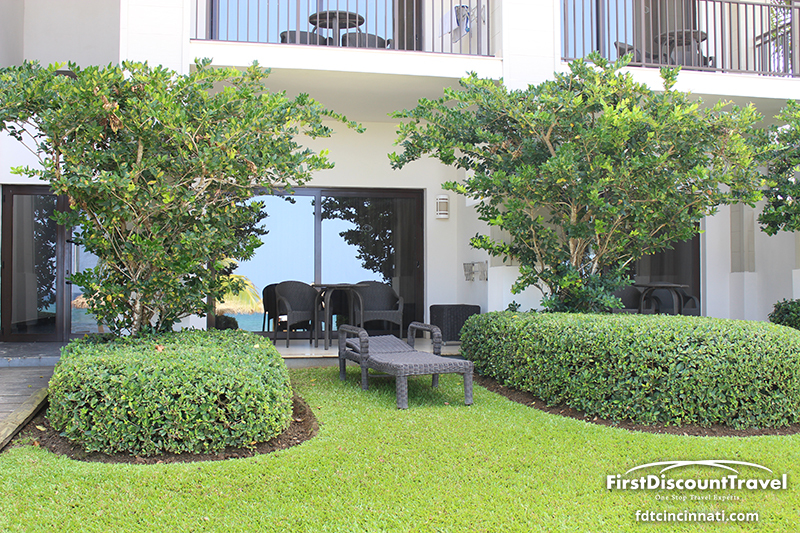 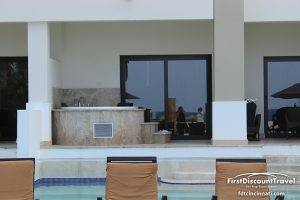 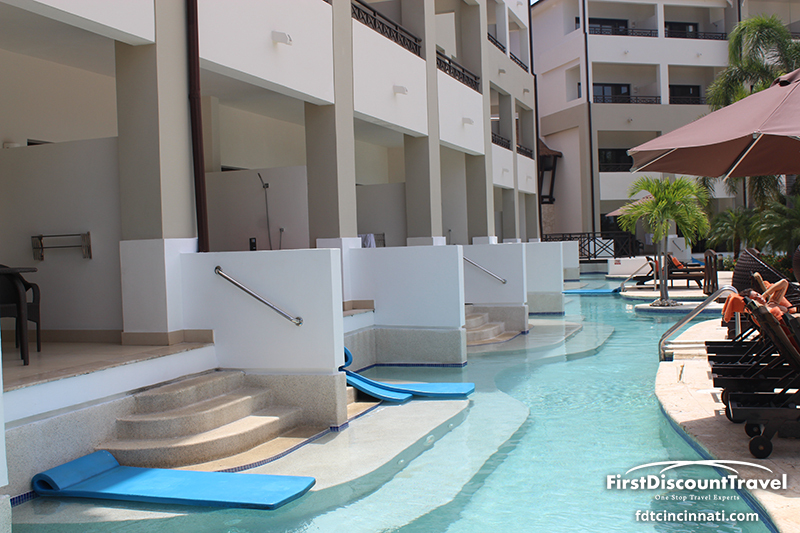 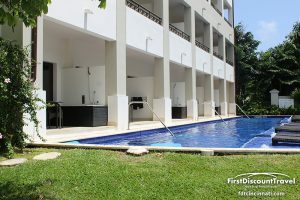 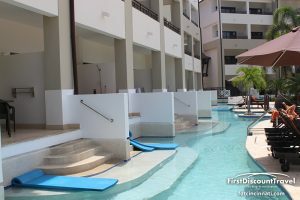 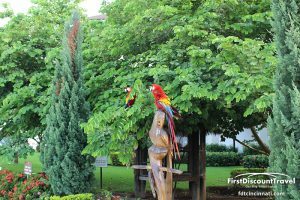 Most of the Jr. suites are the same size with the exception of the Master suites (1200+ square feet) and the Swim out suites on the Wild Orchid side of the resort. 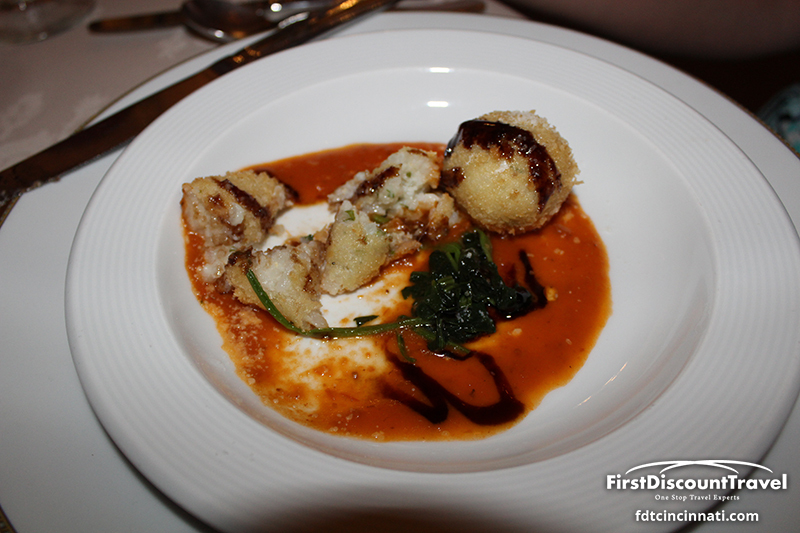 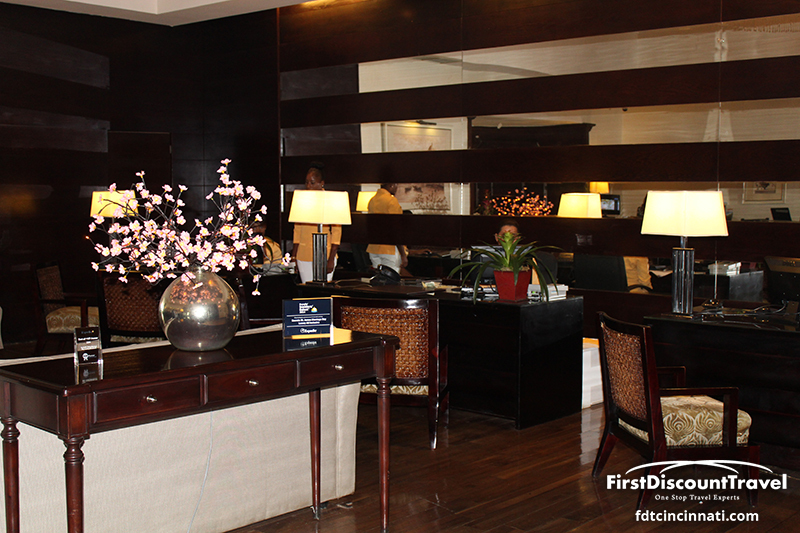 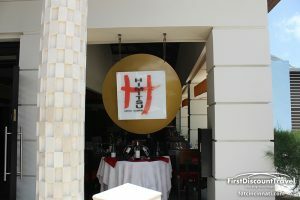 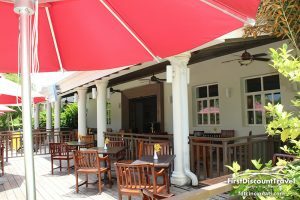 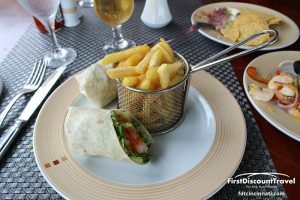 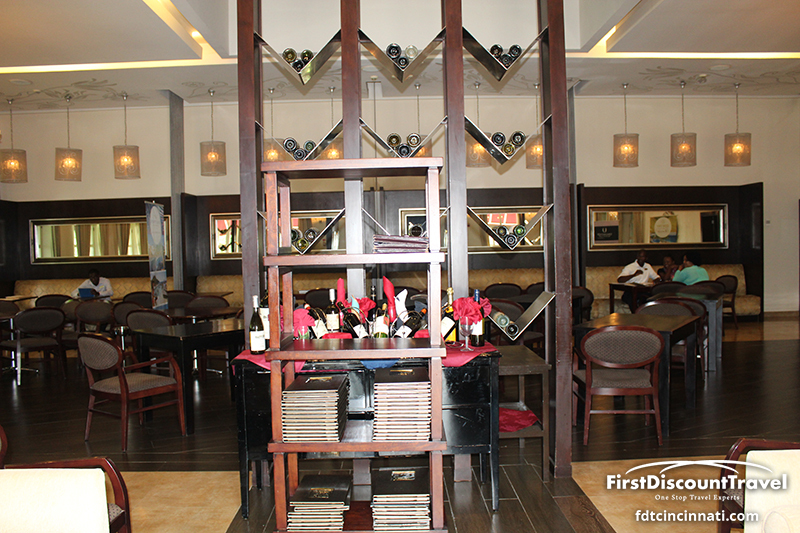 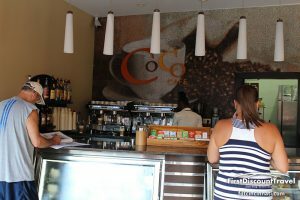 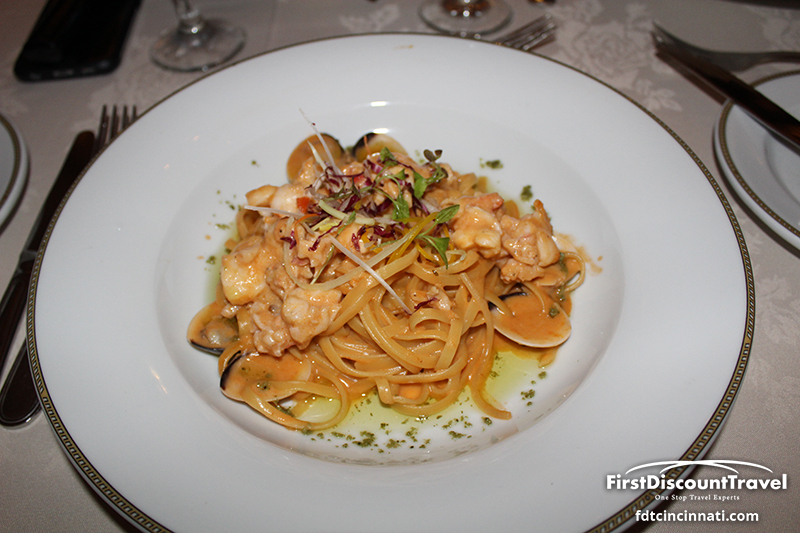 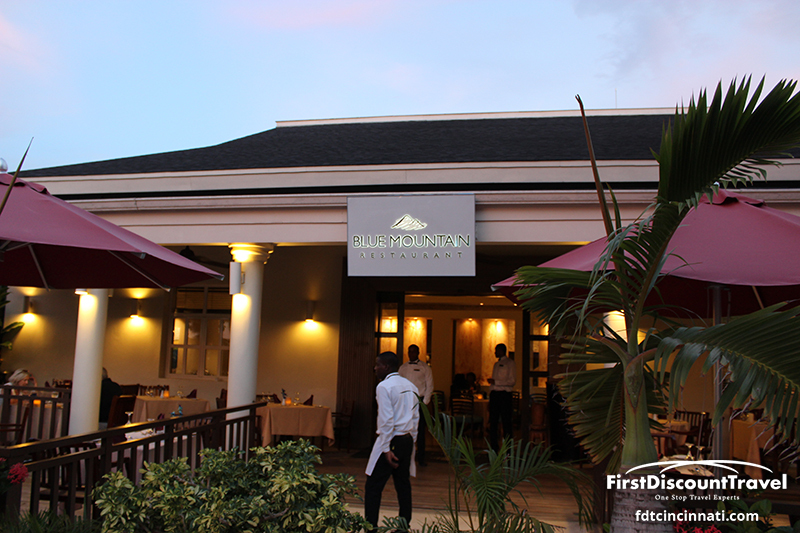 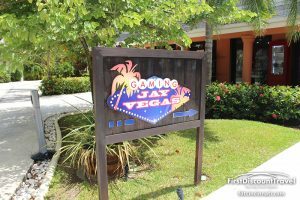 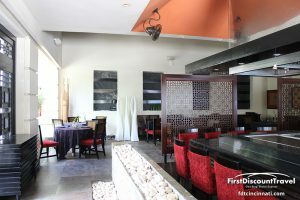 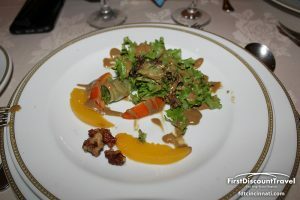 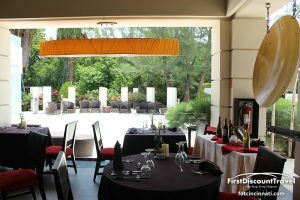 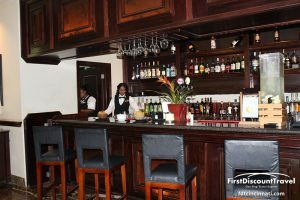 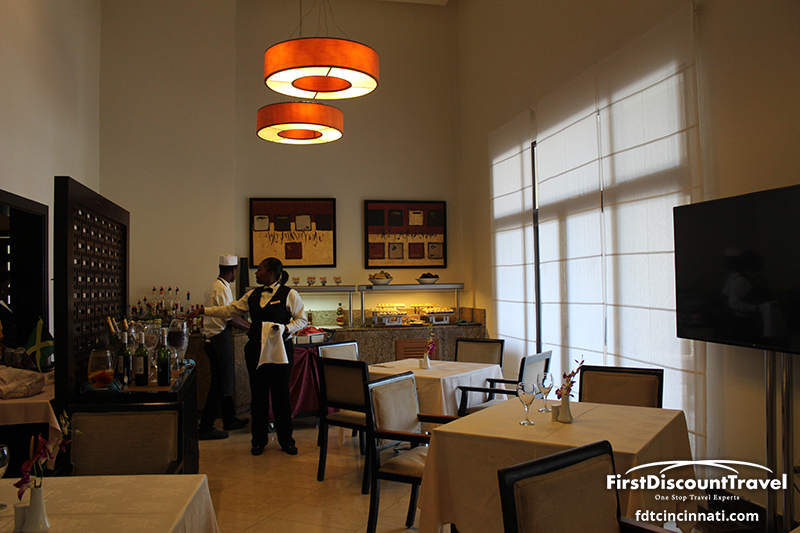 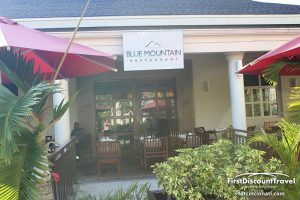 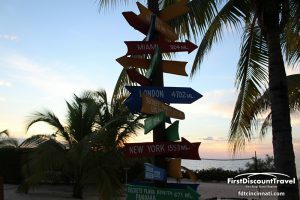 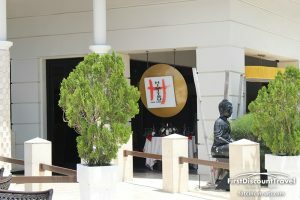 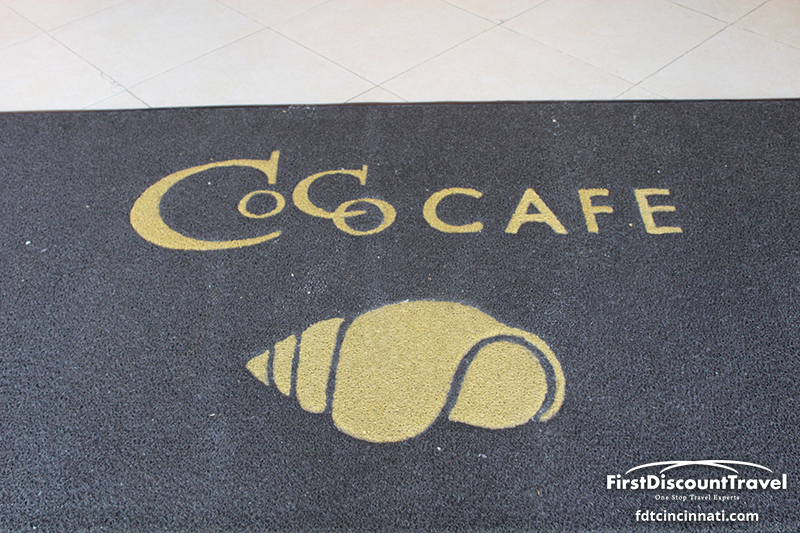 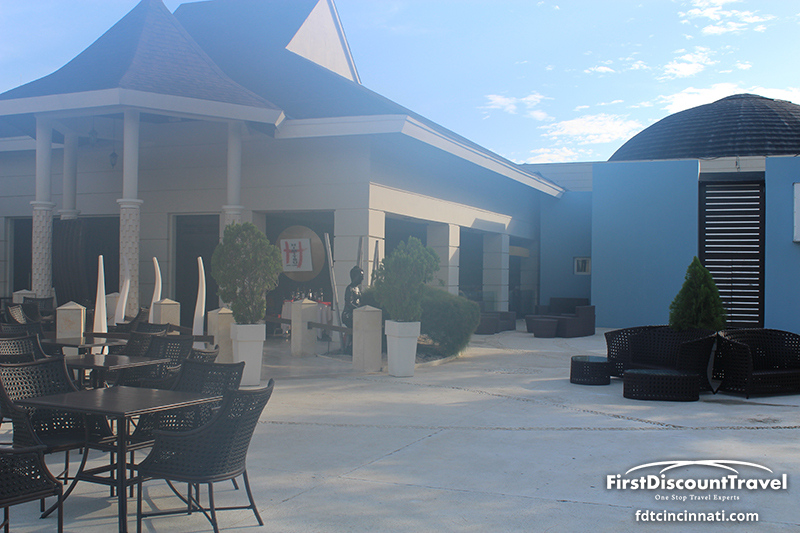 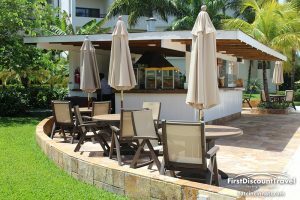 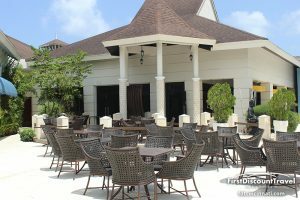 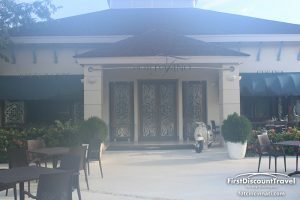 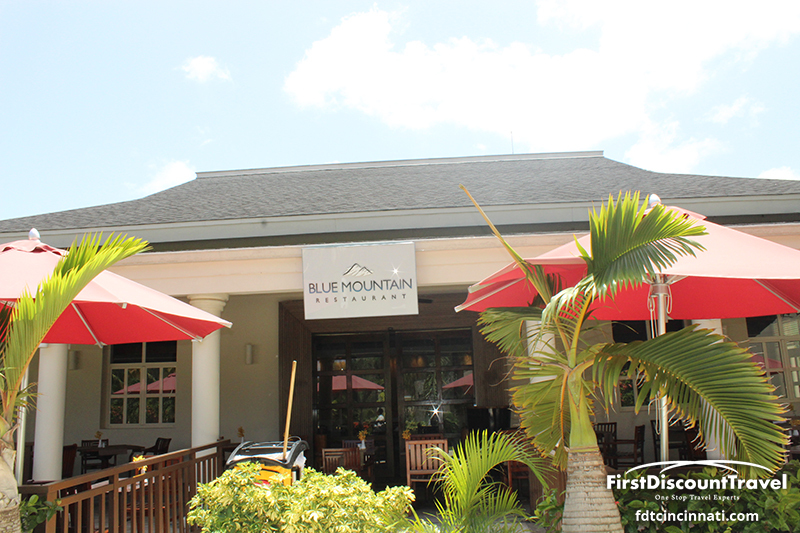 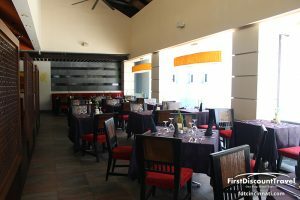 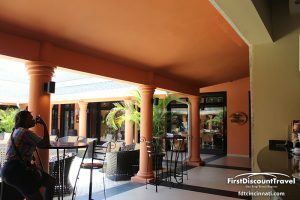 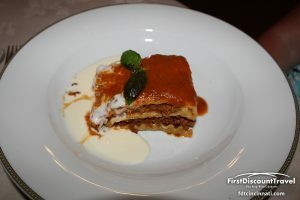 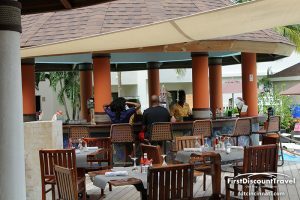 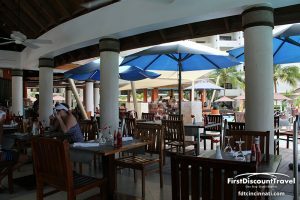 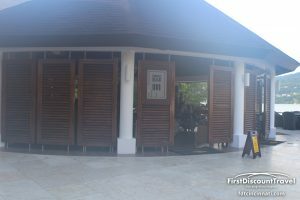 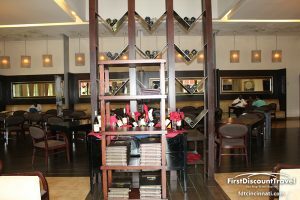 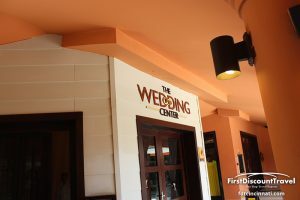 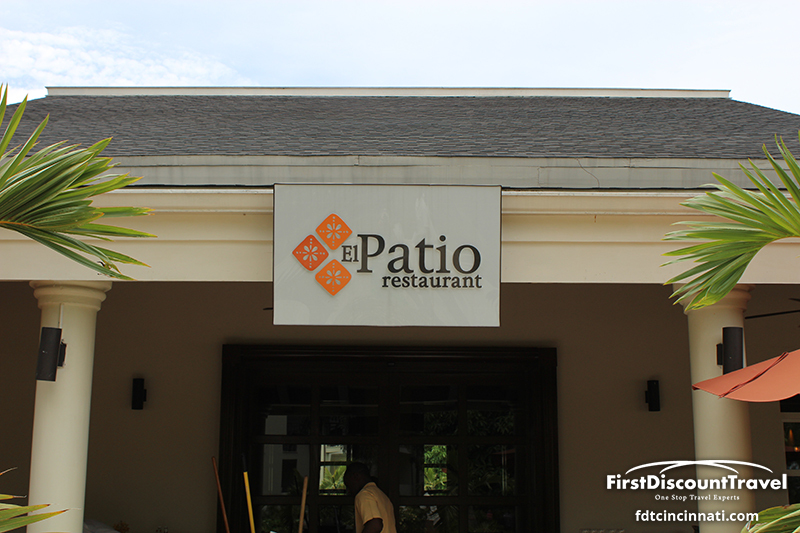 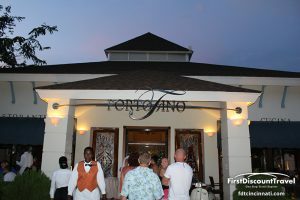 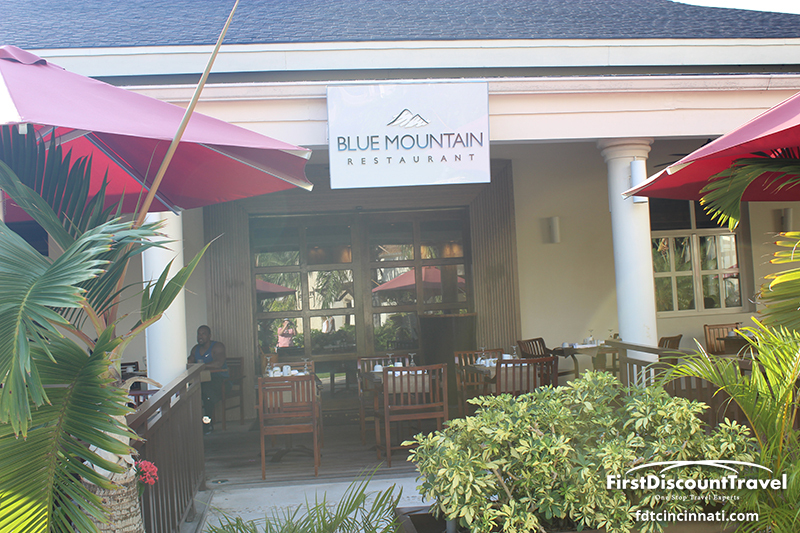 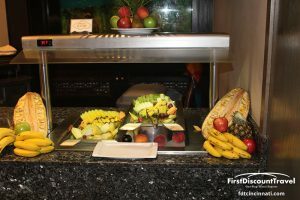 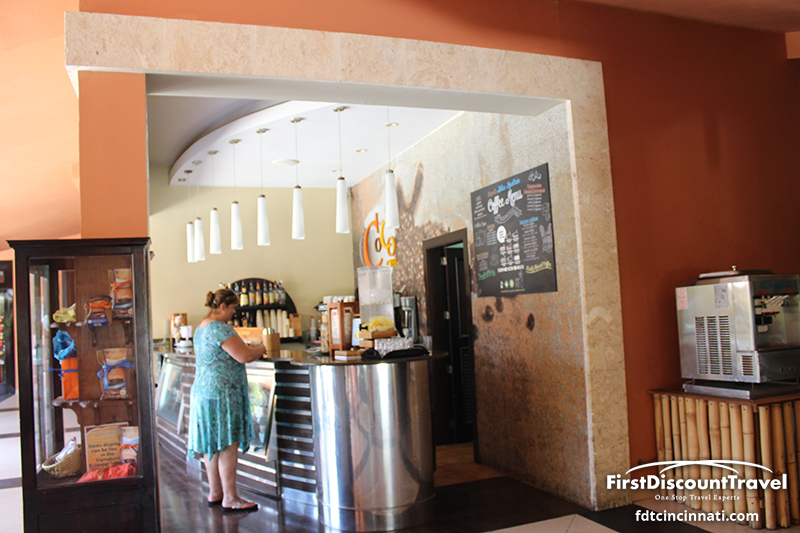 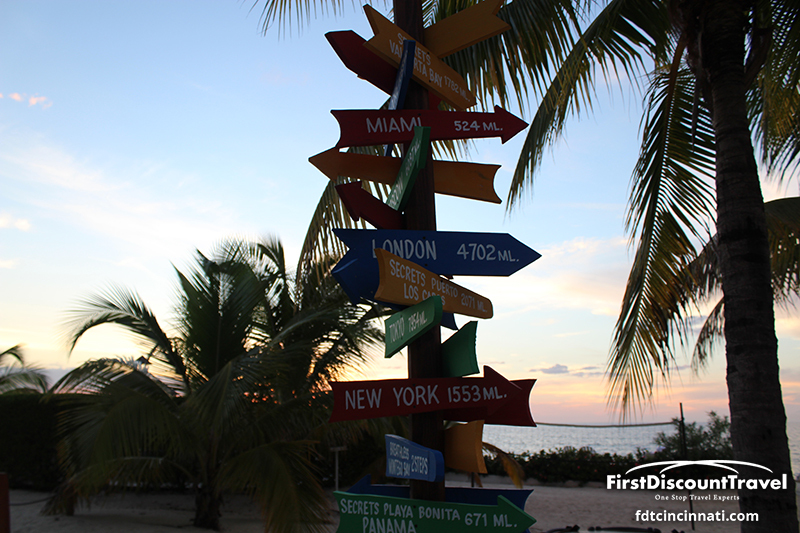 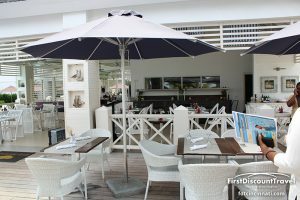 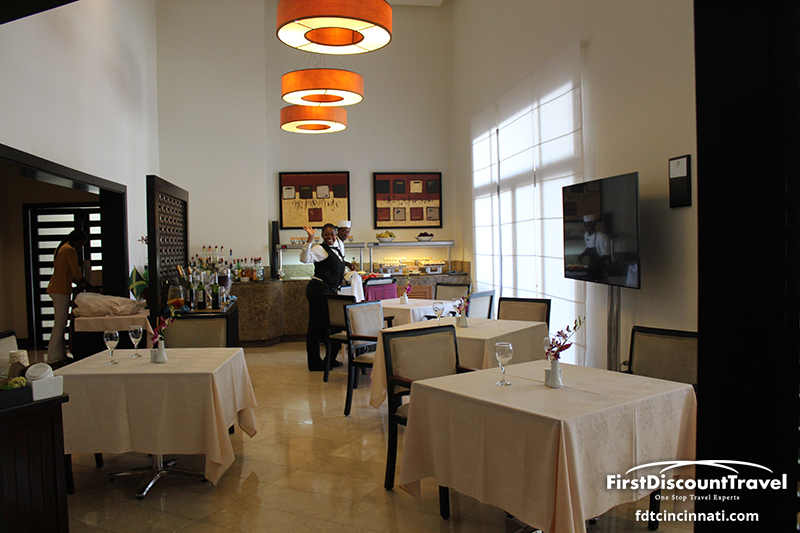 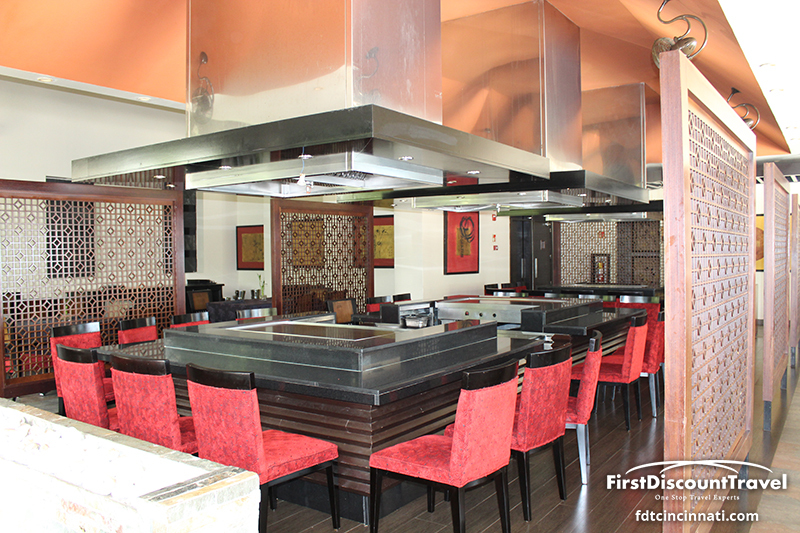 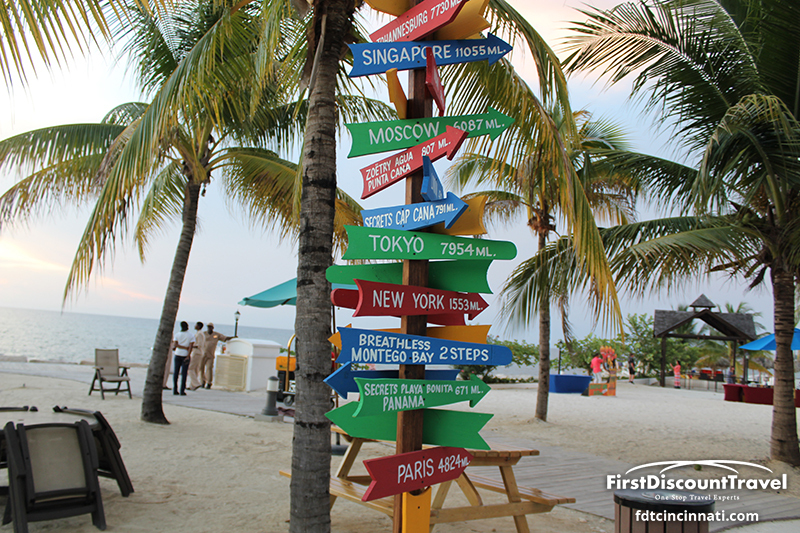 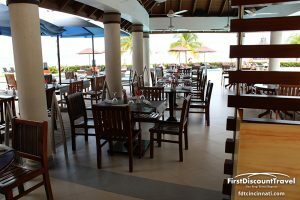 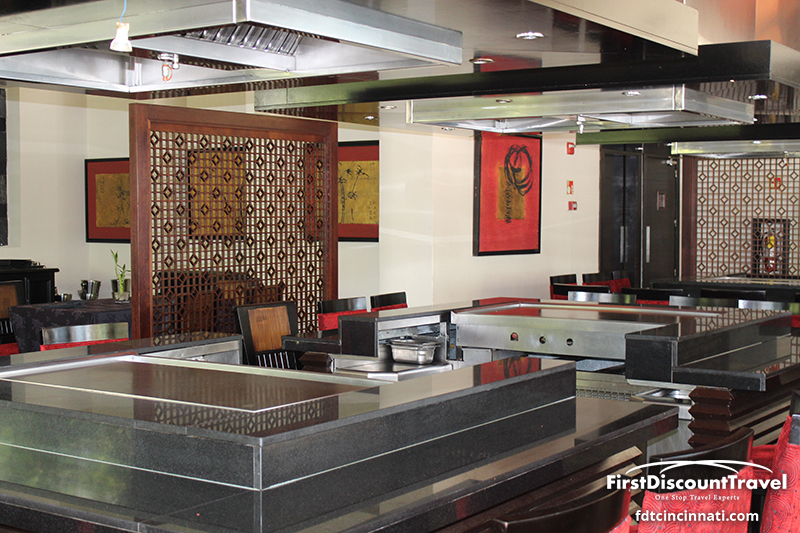 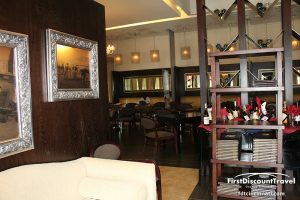 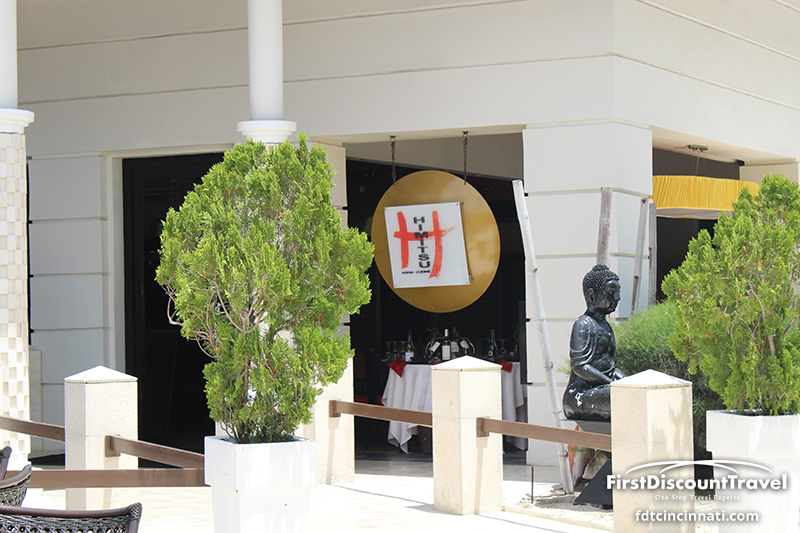 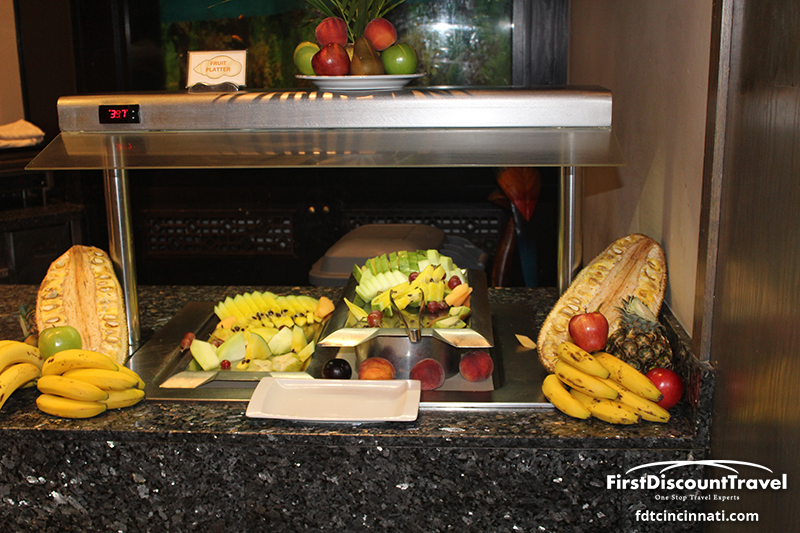 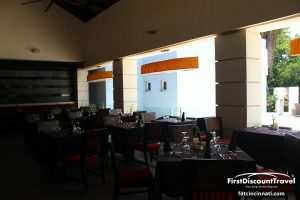 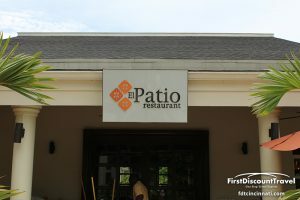 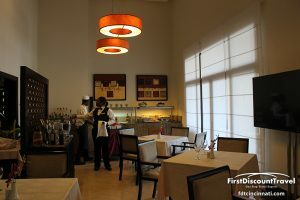 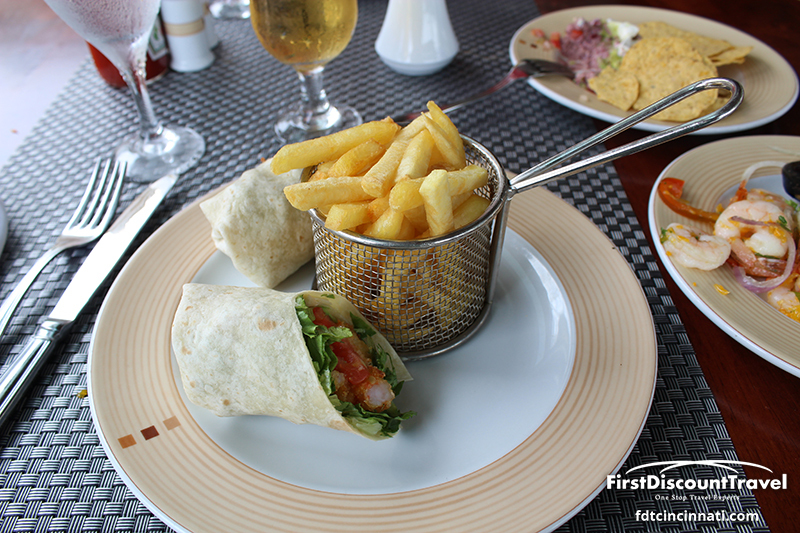 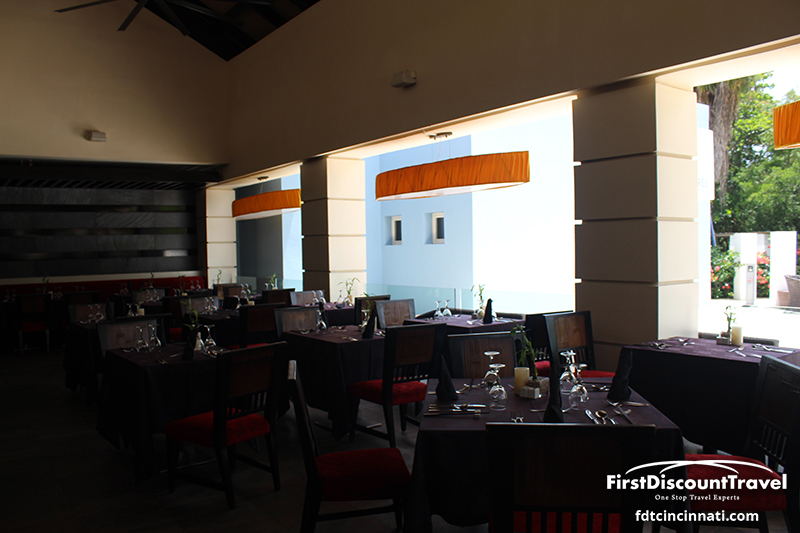 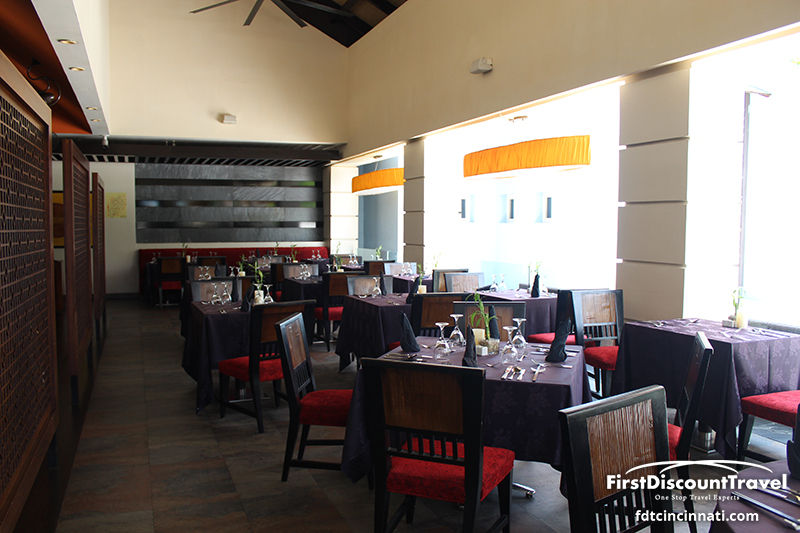 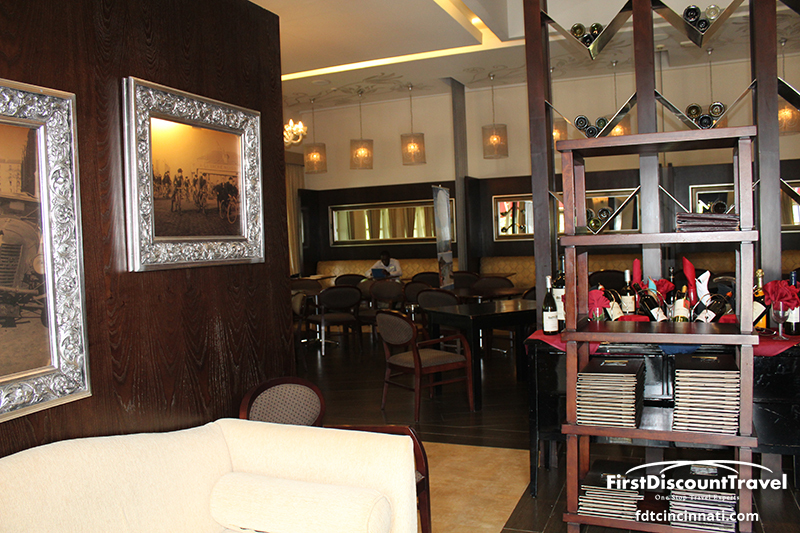 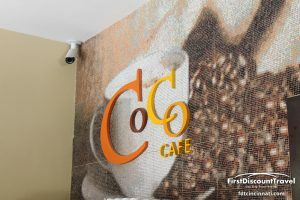 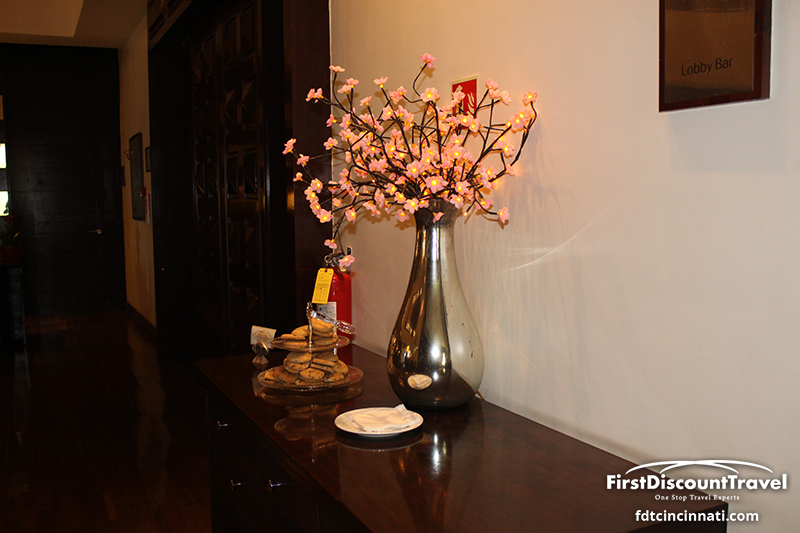 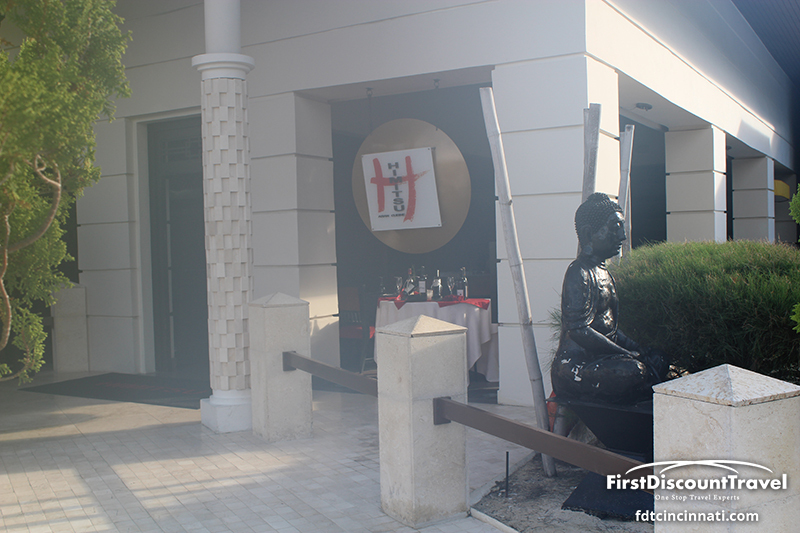 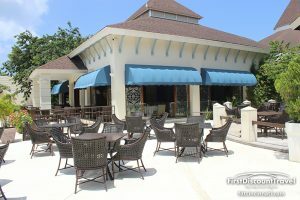 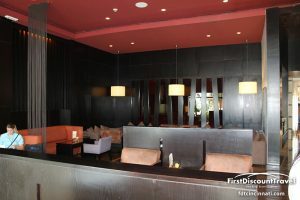 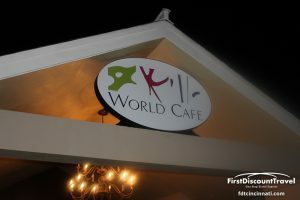 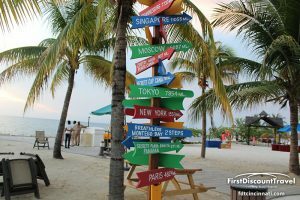 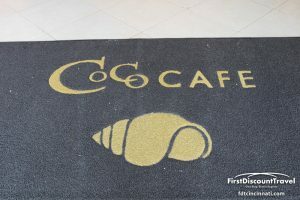 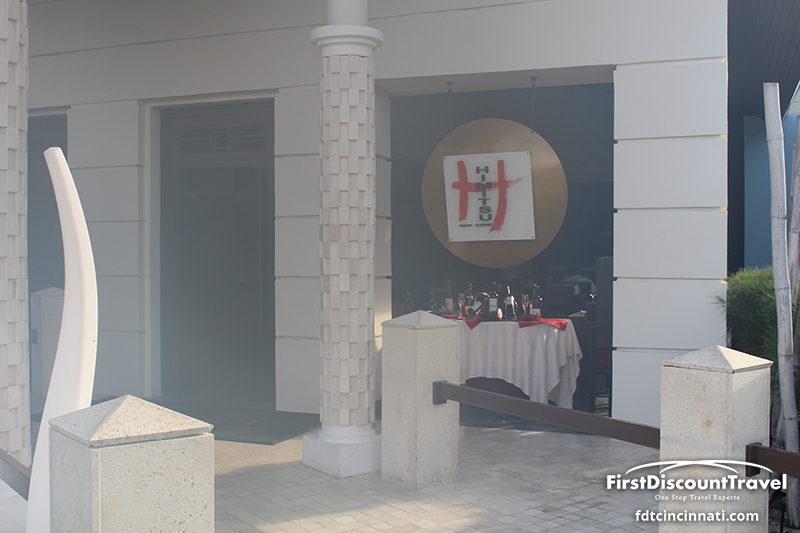 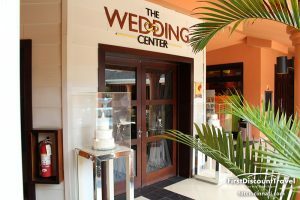 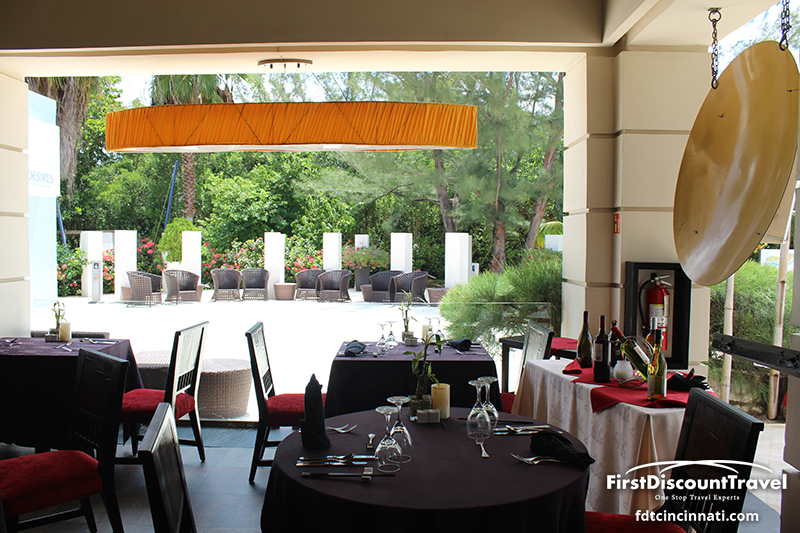 The eight a la carte restaurants serve an eclectic mix of French, Asian, sushi, Italian, Steak, Mexican, buffet, and Caribbean. 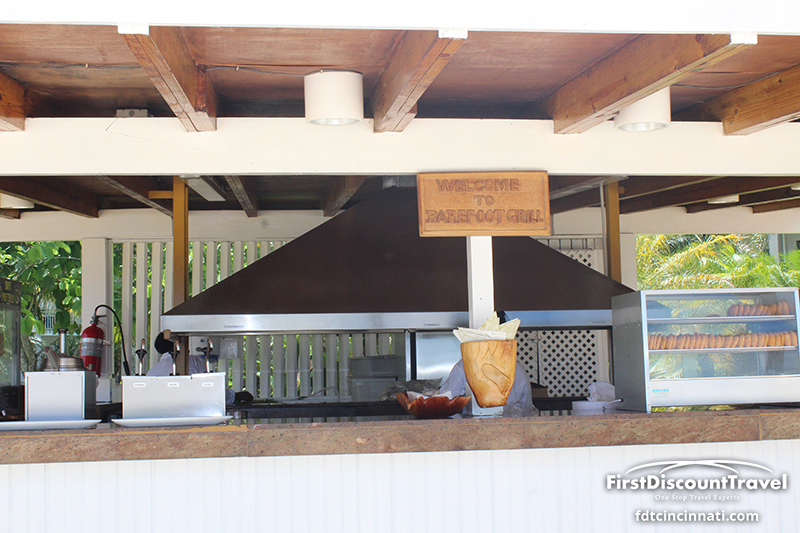 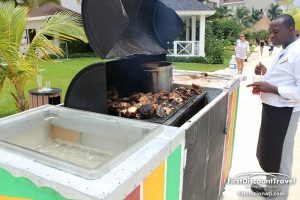 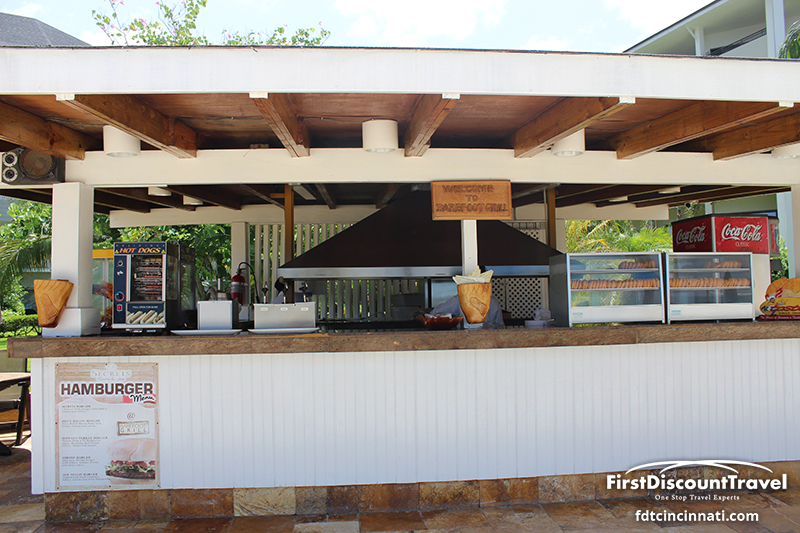 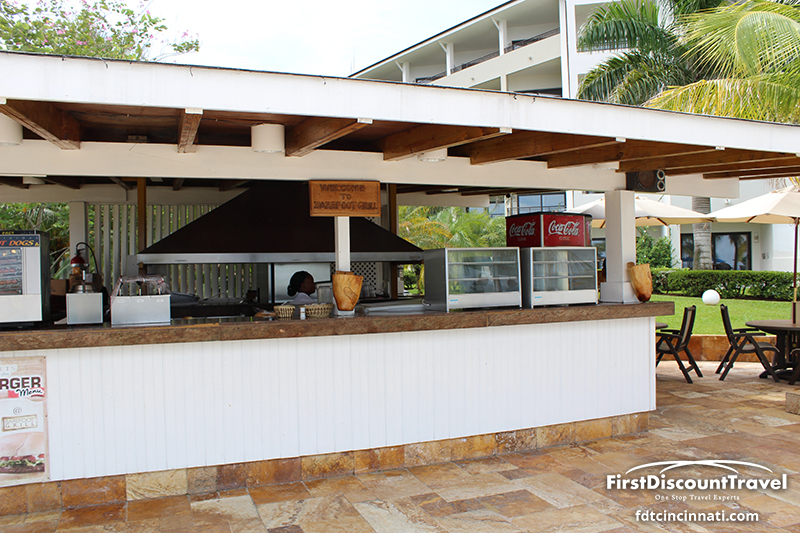 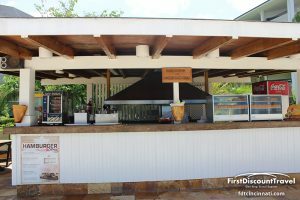 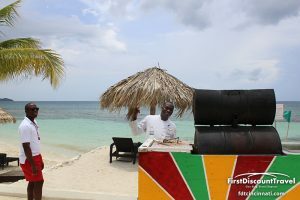 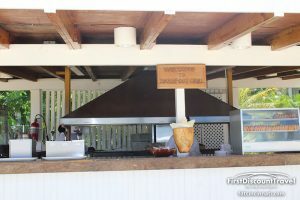 I particularly liked the mobile grill serving traditional Jamaican jerk. 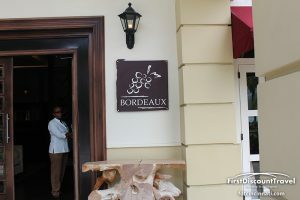 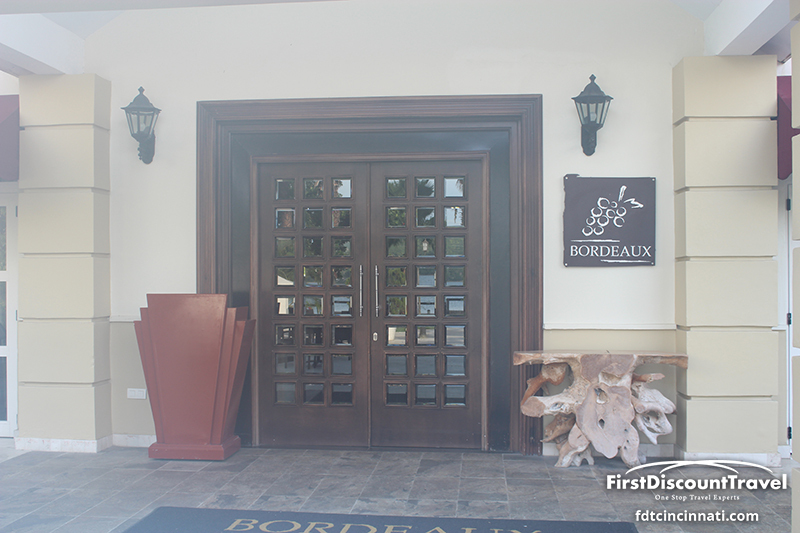 The dress code is getting more relaxed and Bordeaux is the only restaurant requiring men to wear khaki pants. 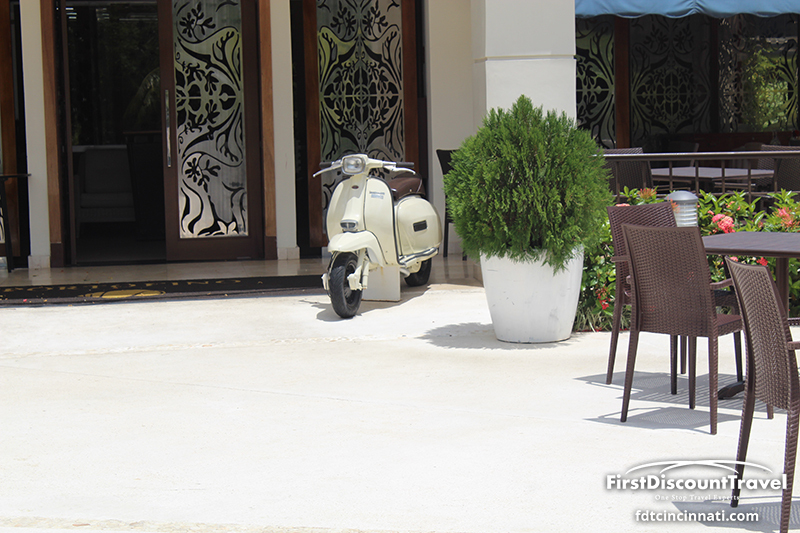 Nice shorts, collared shirt and nice sandals (not flip flops) are sufficient for the other restaurants. 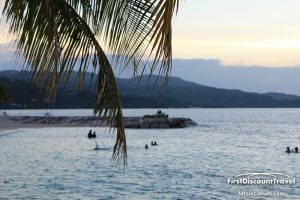 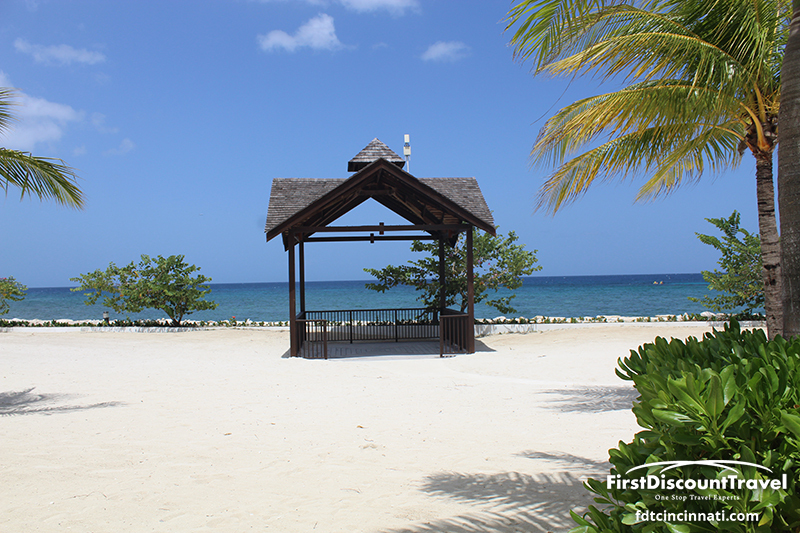 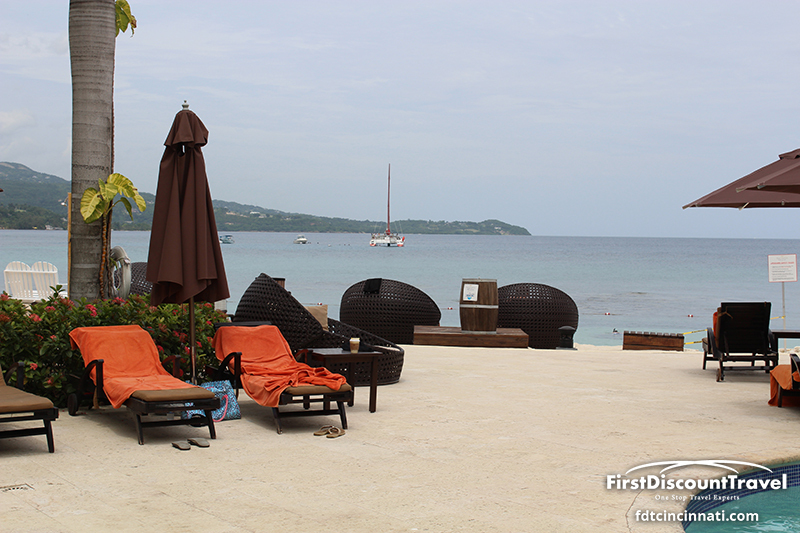 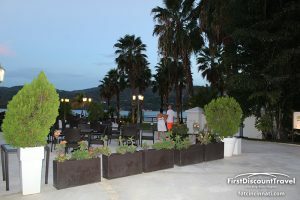 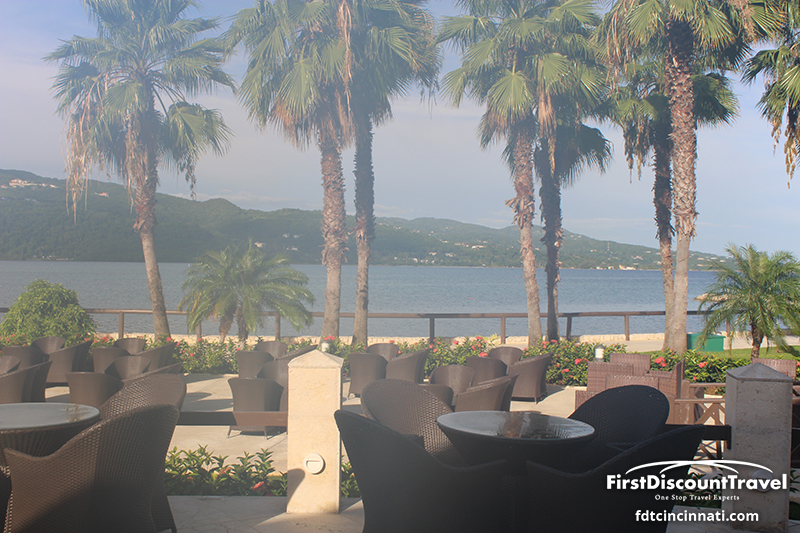 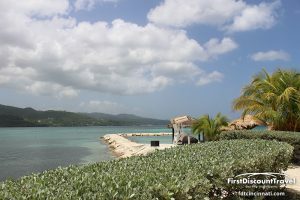 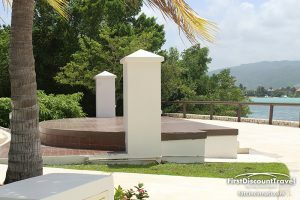 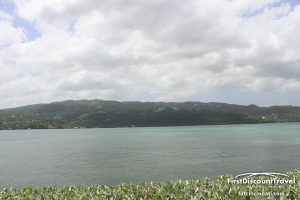 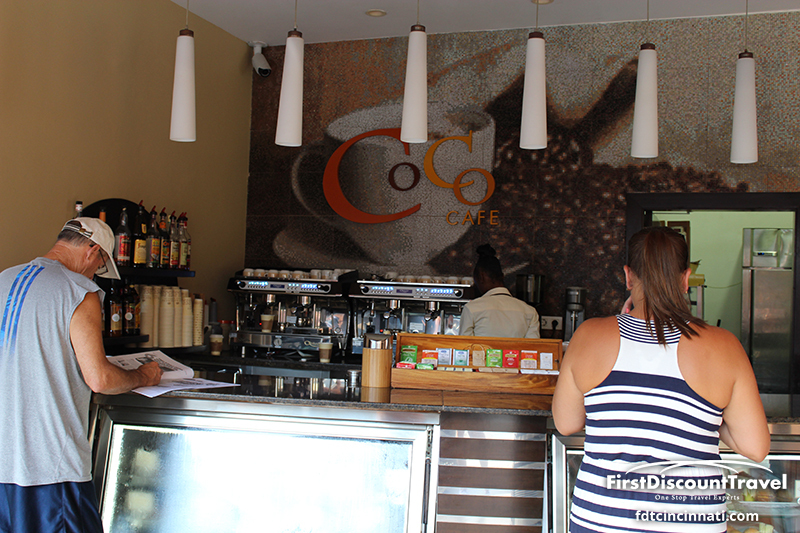 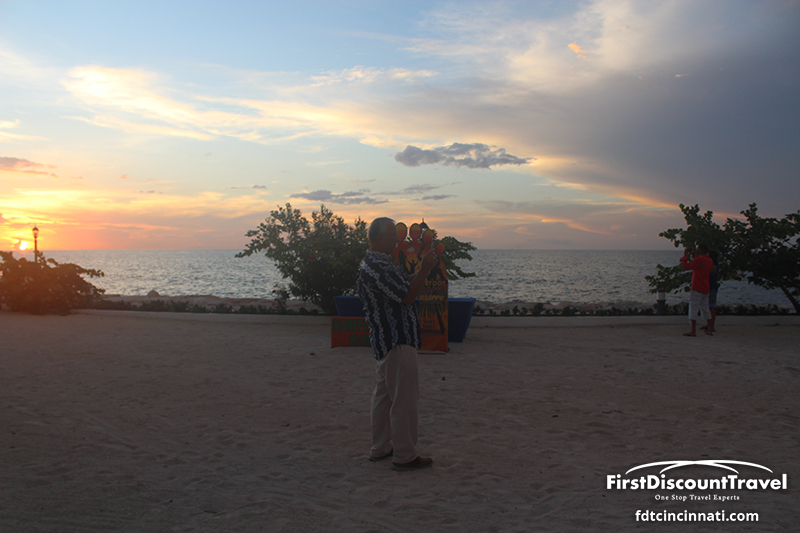 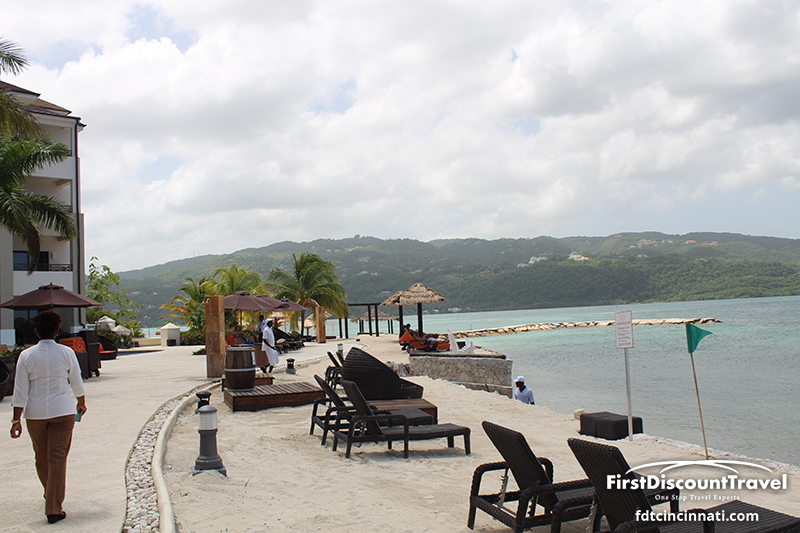 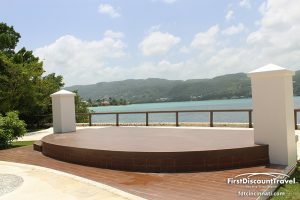 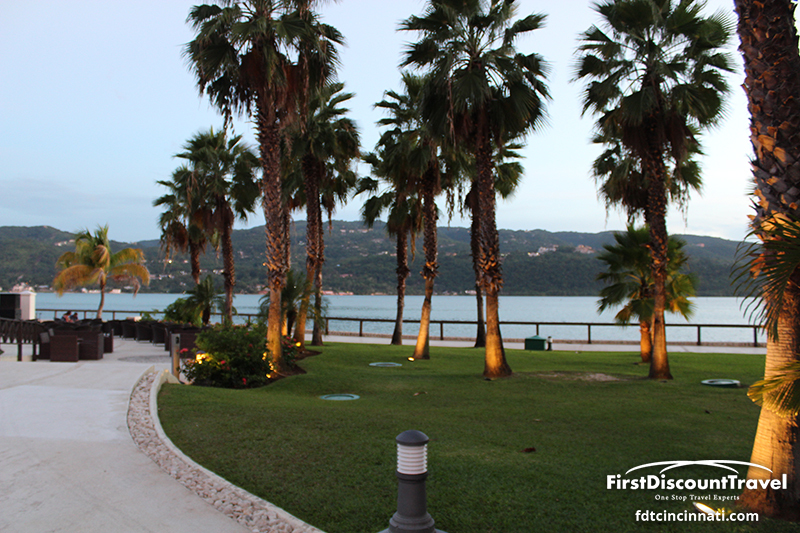 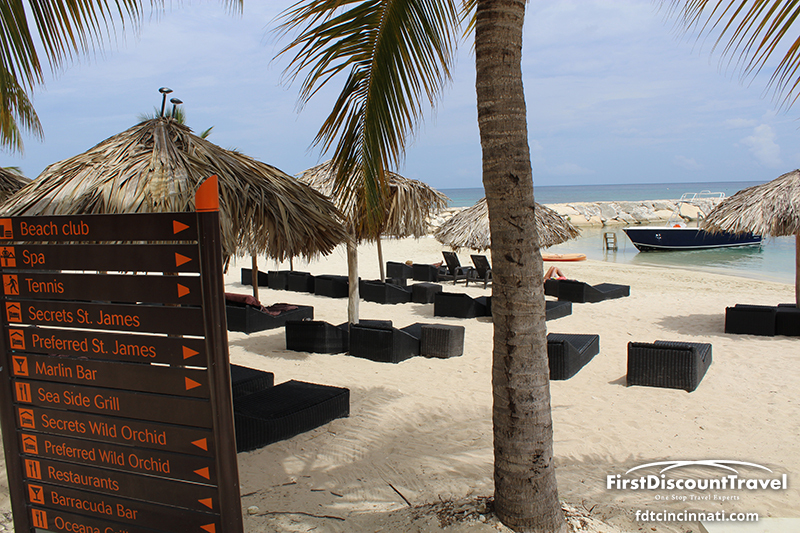 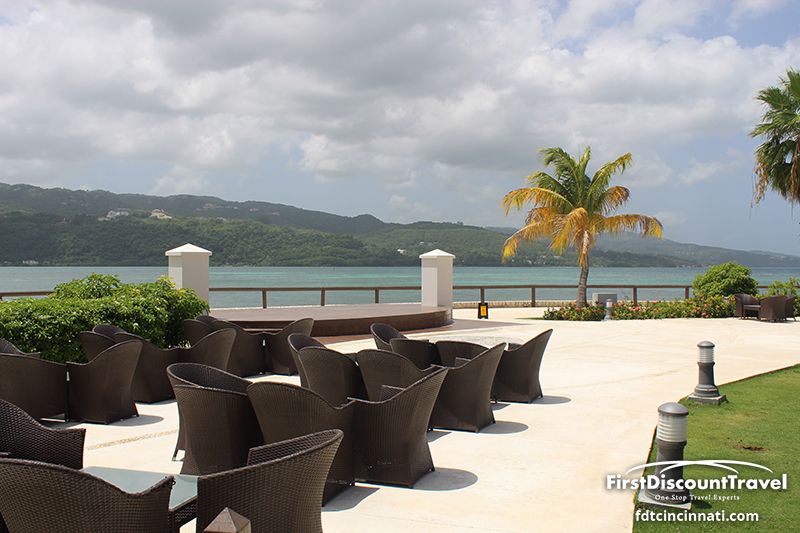 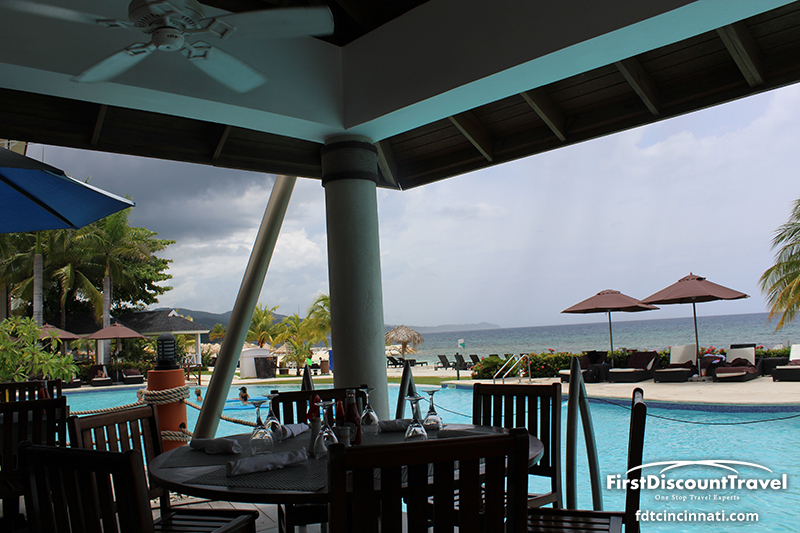 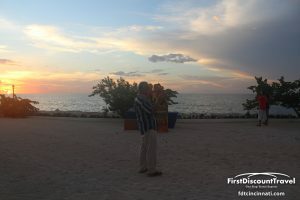 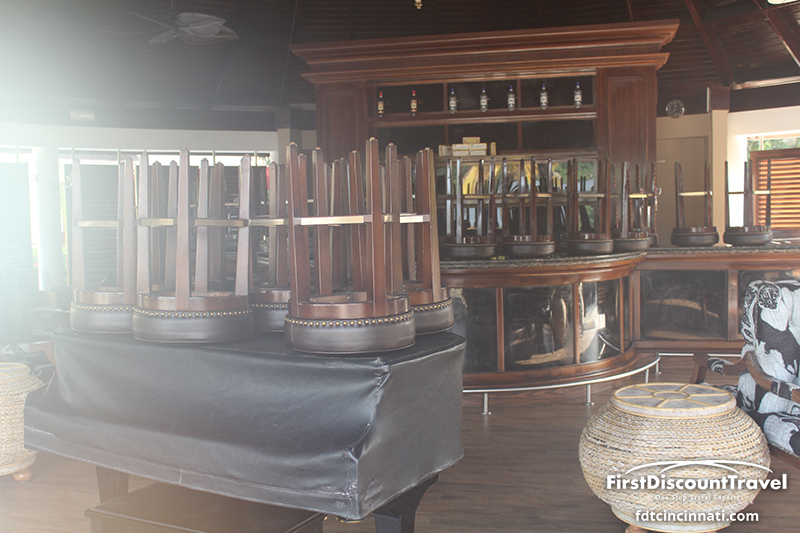 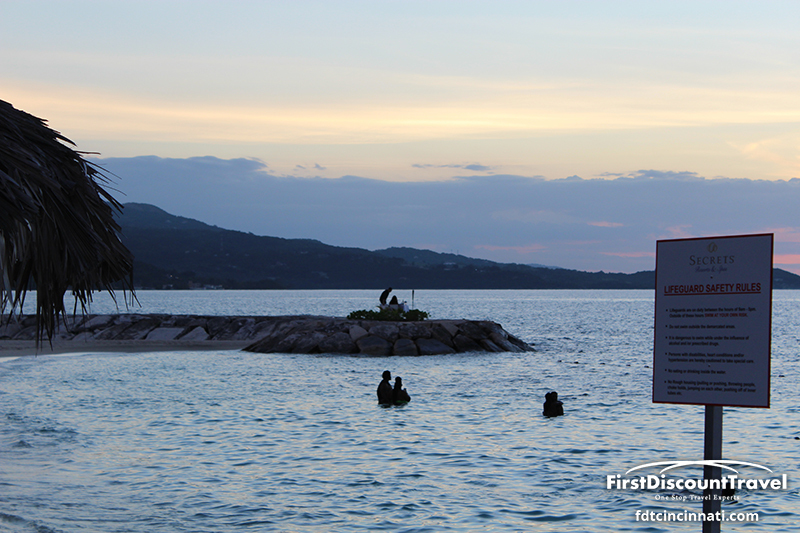 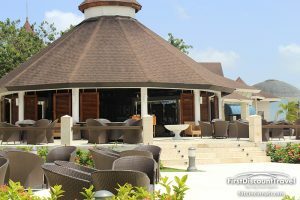 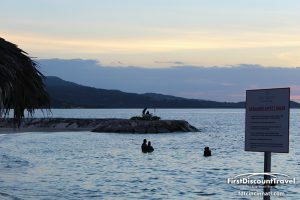 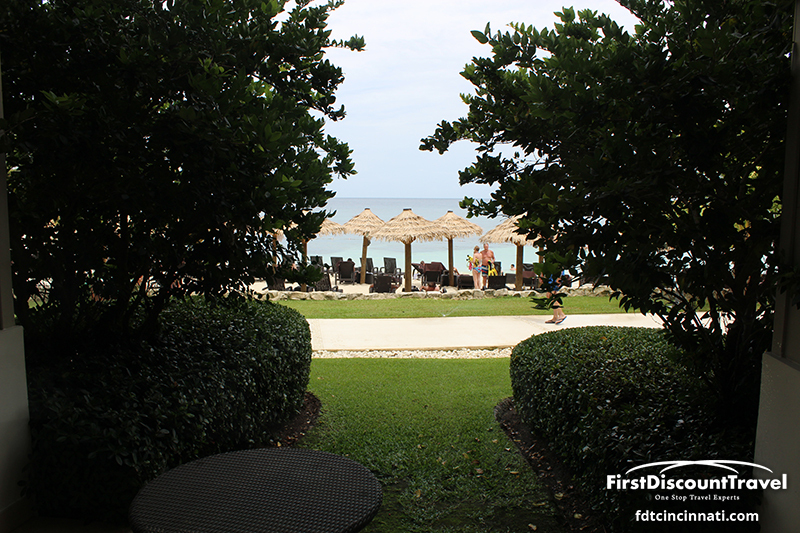 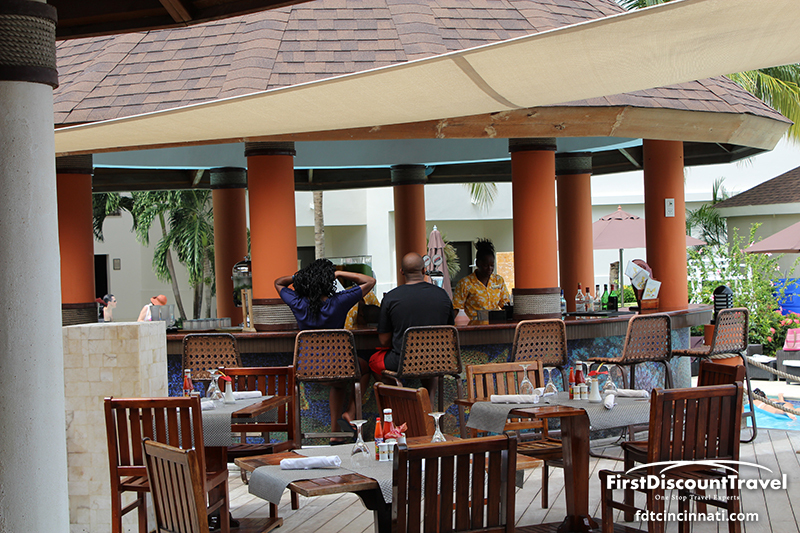 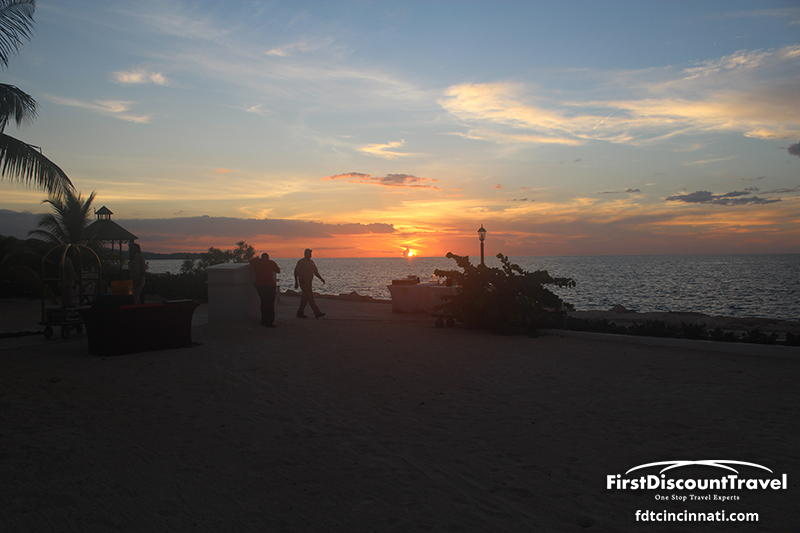 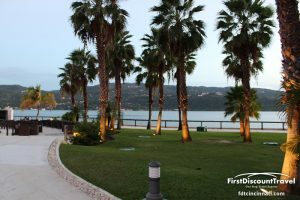 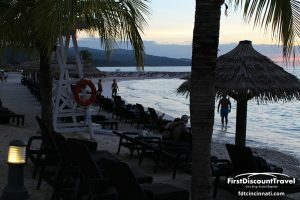 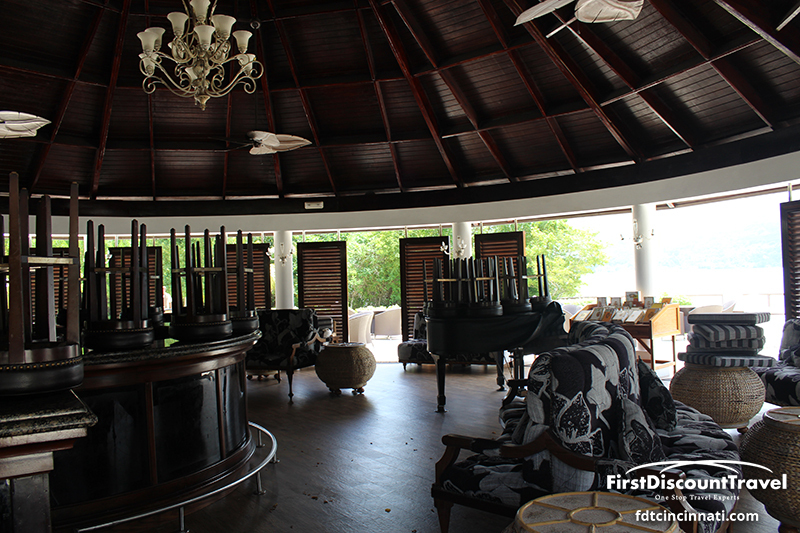 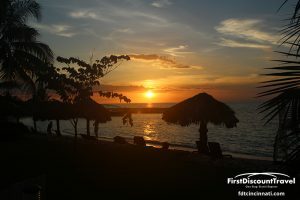 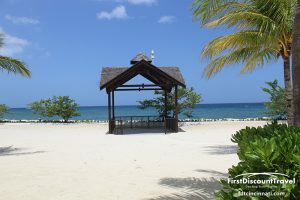 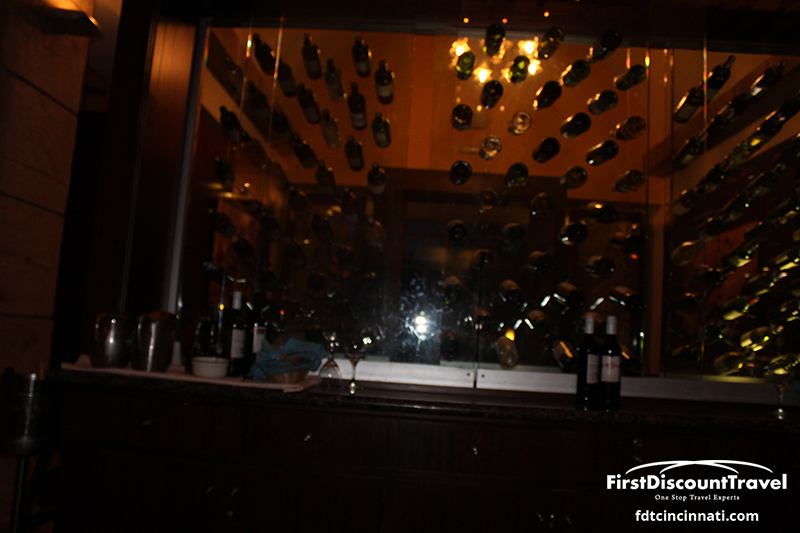 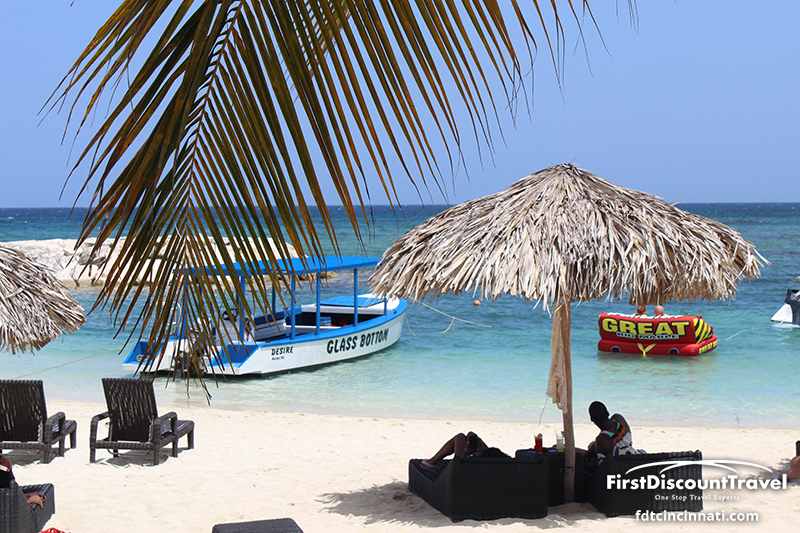 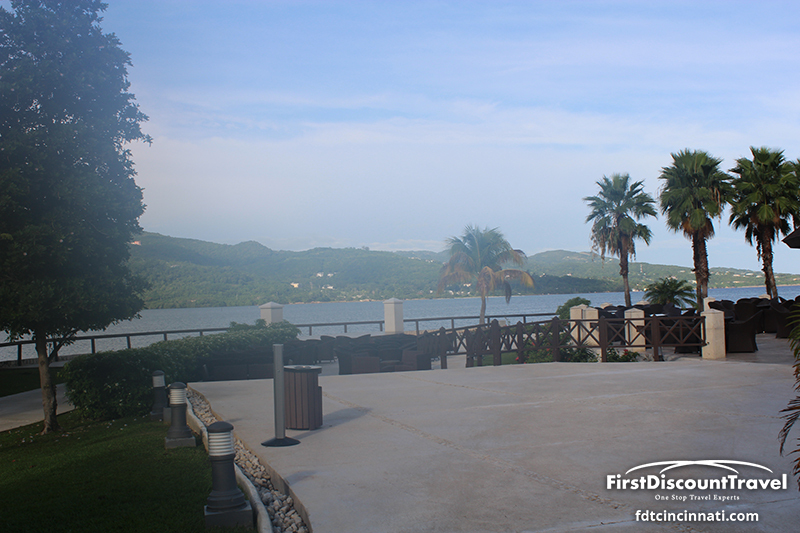 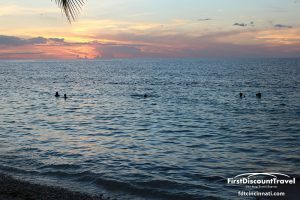 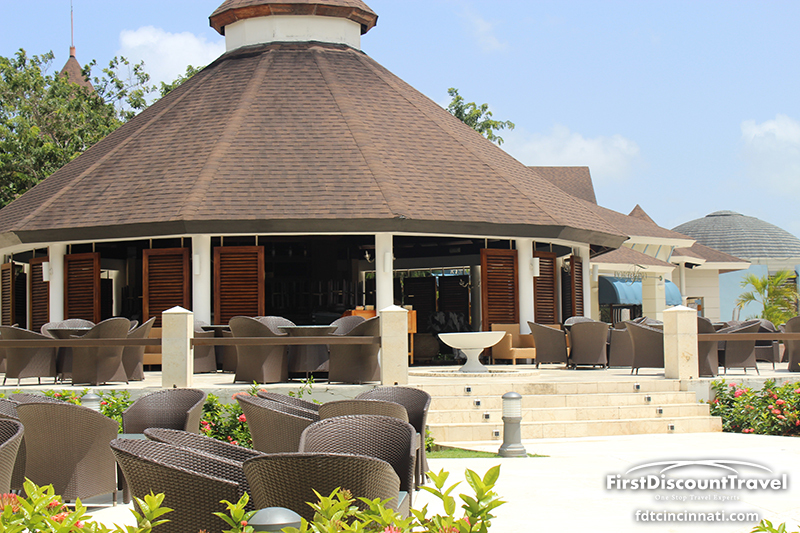 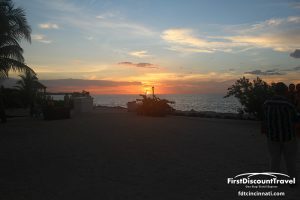 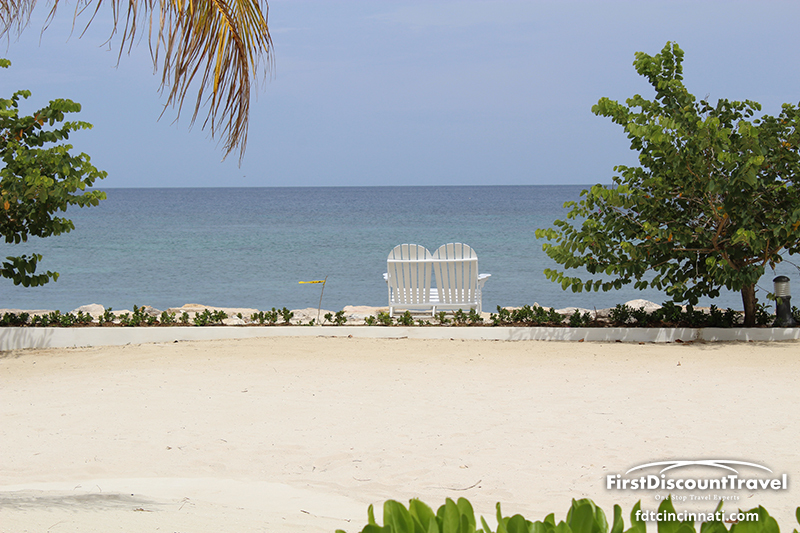 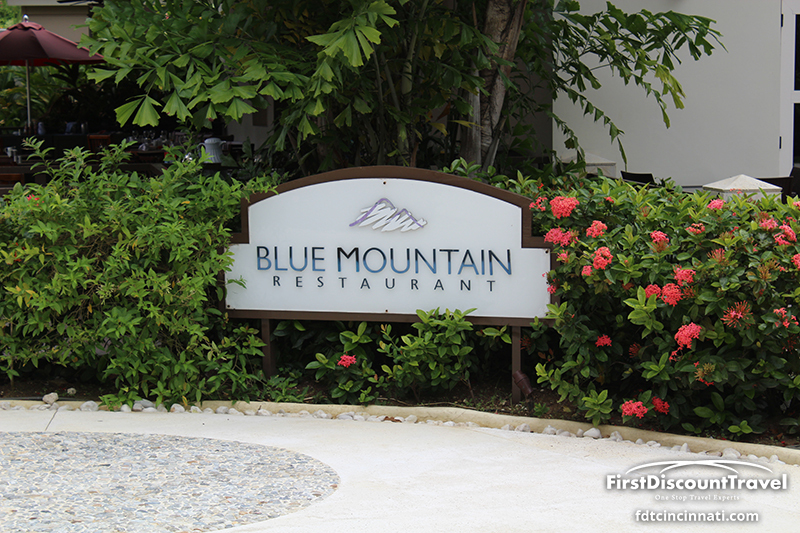 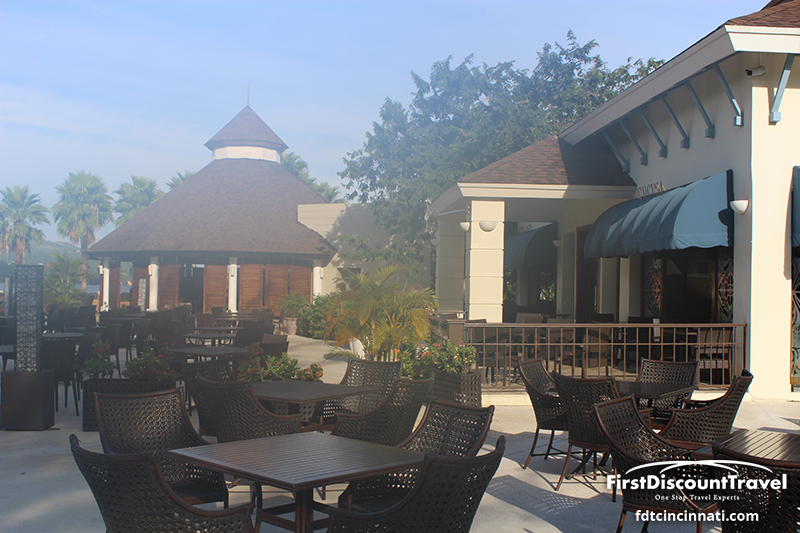 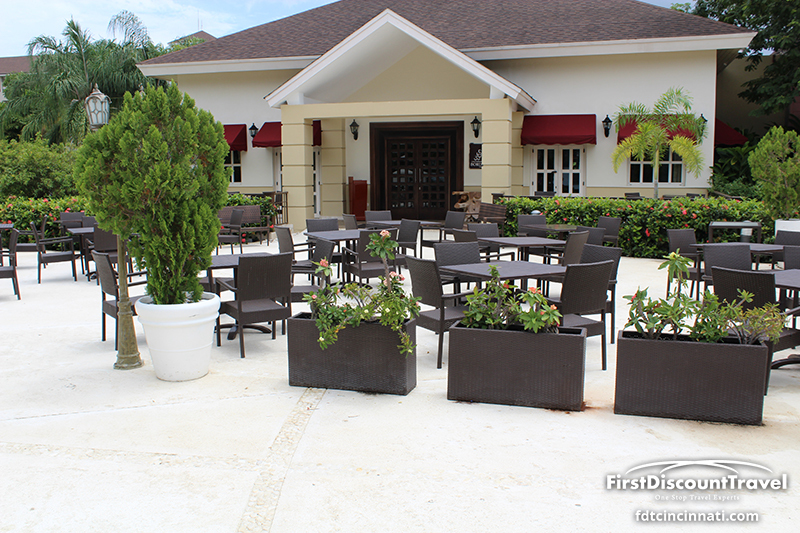 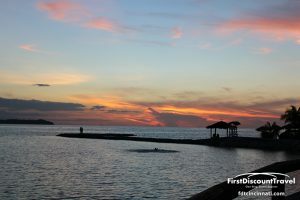 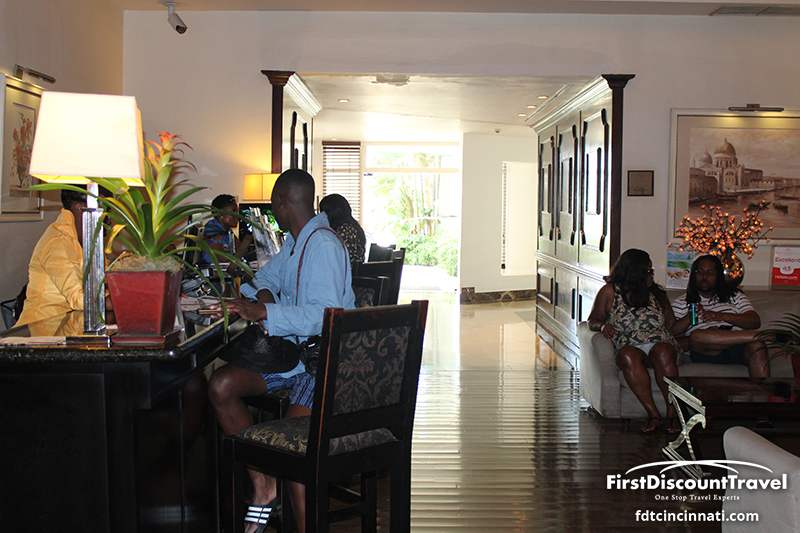 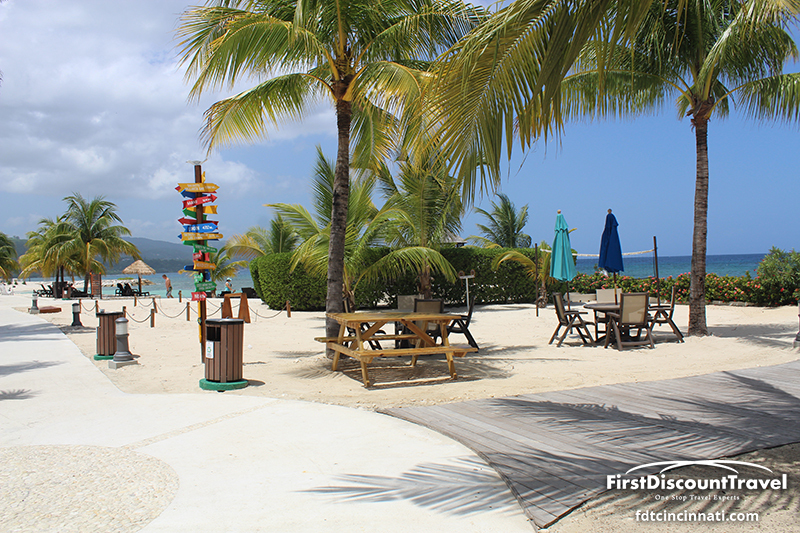 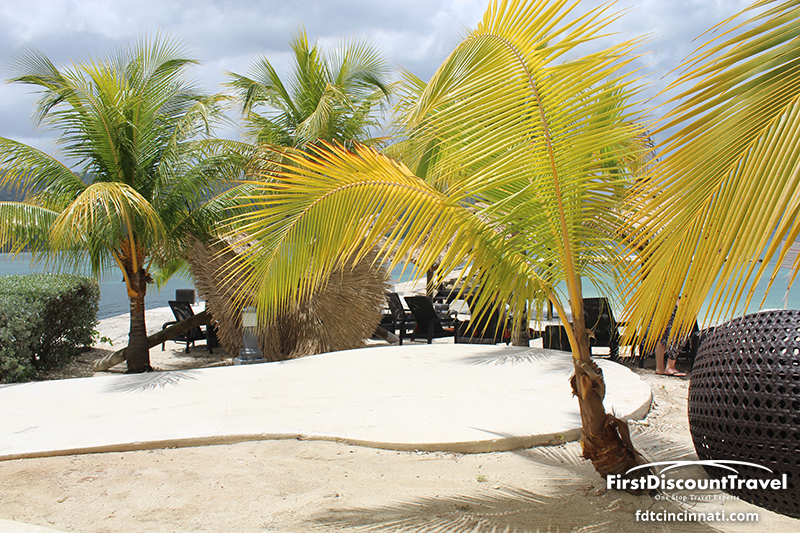 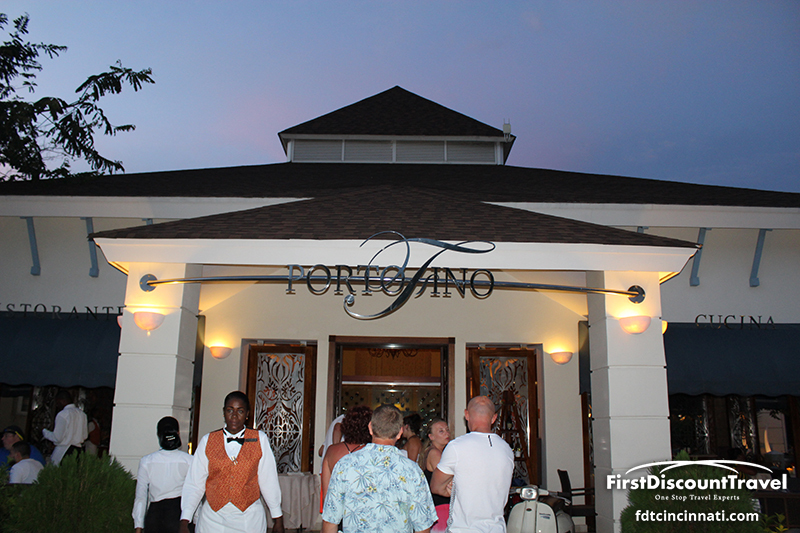 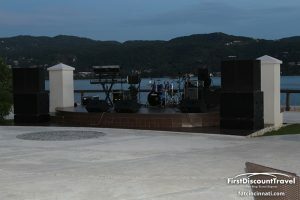 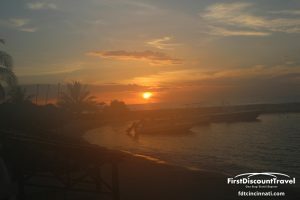 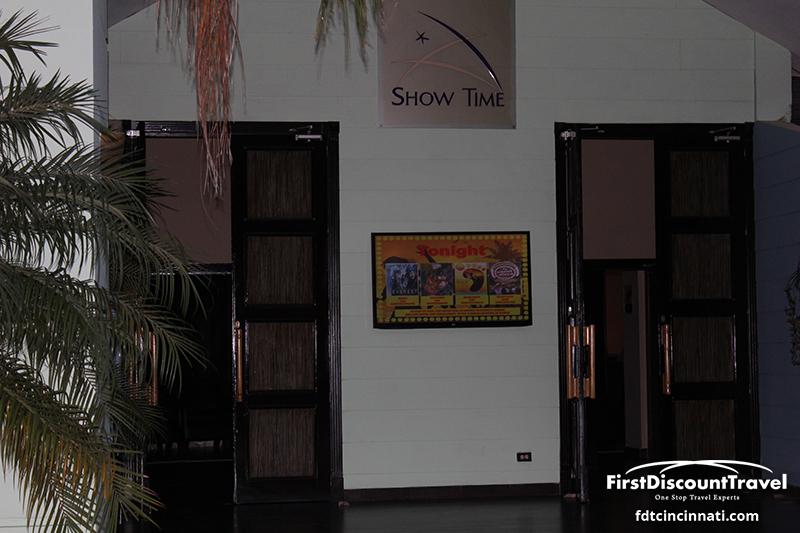 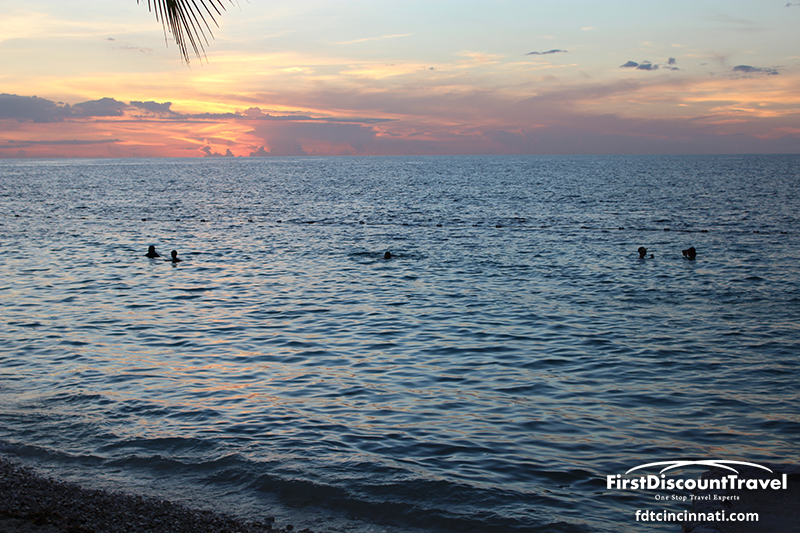 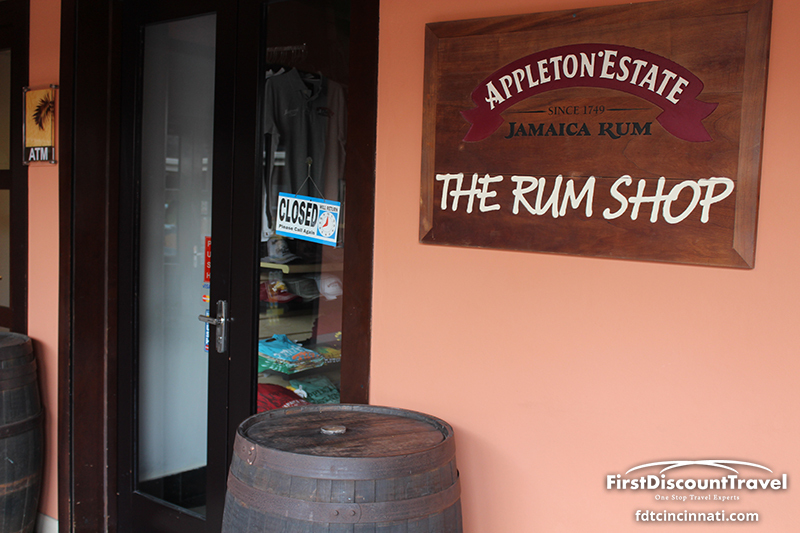 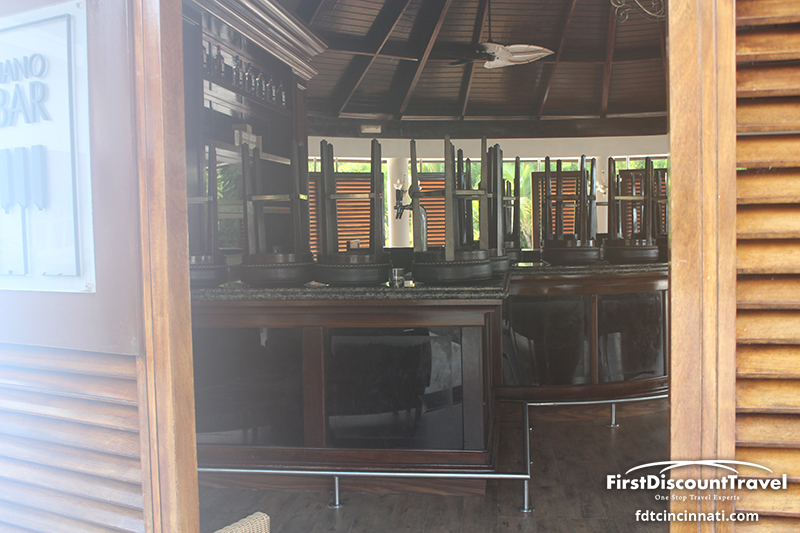 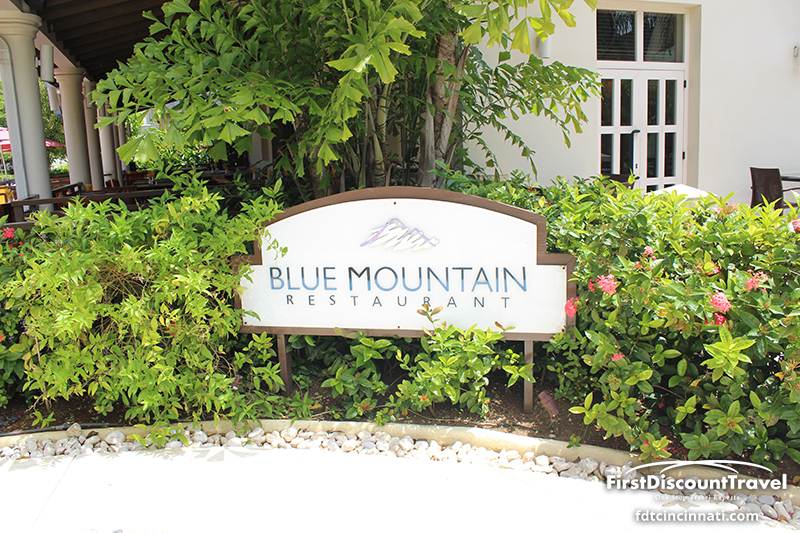 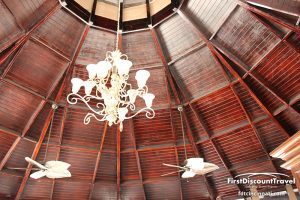 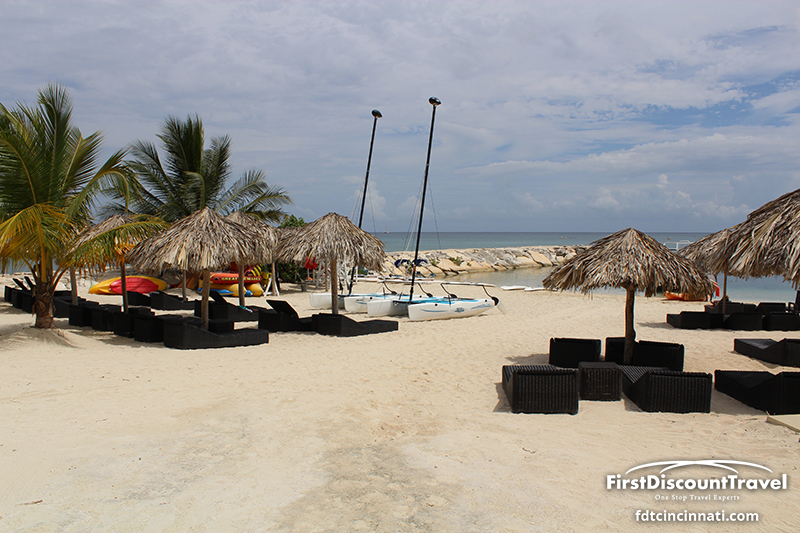 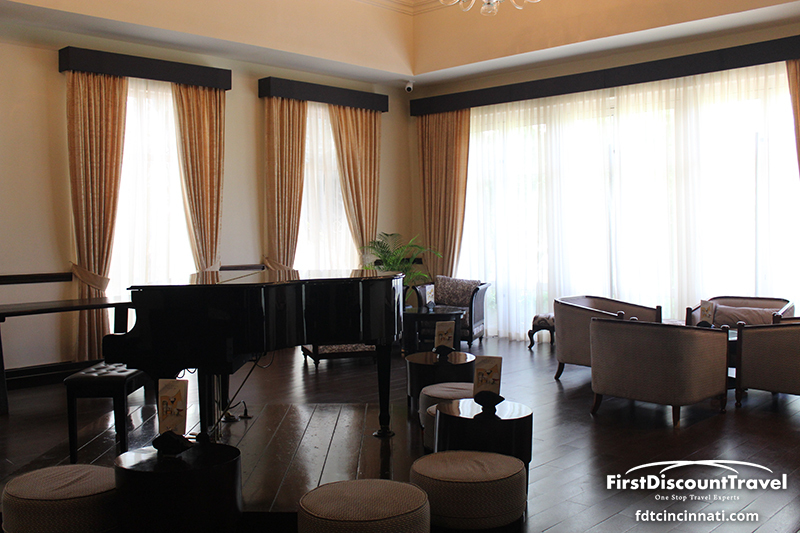 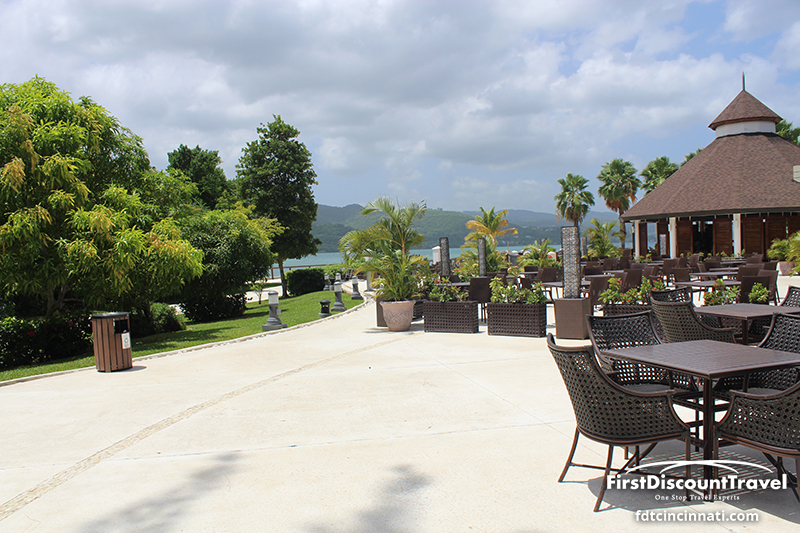 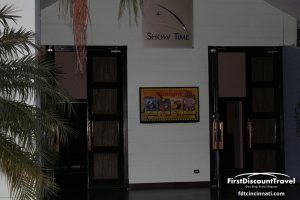 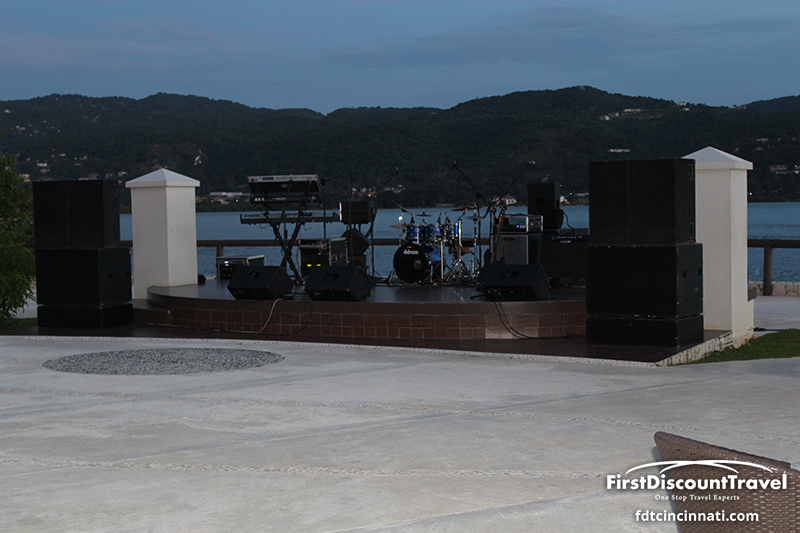 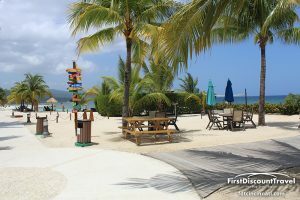 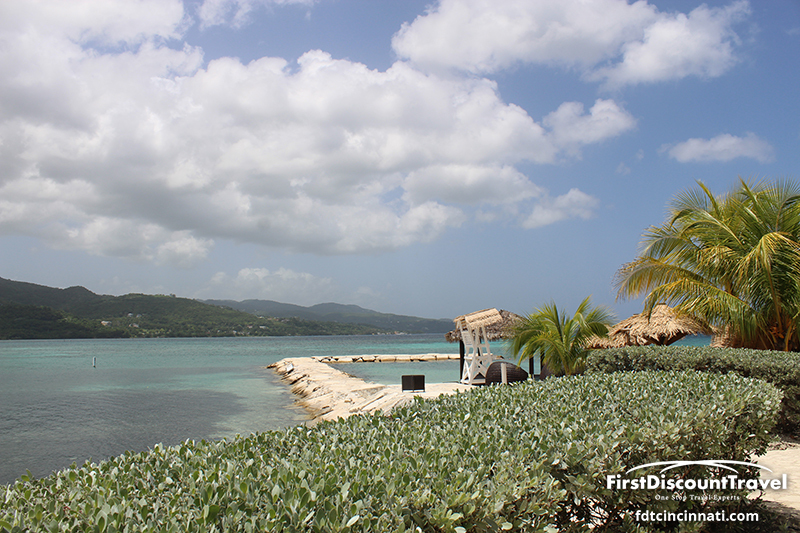 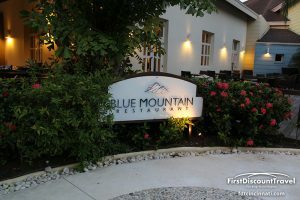 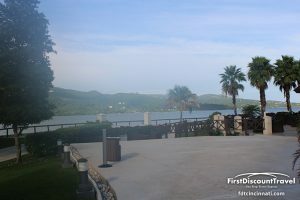 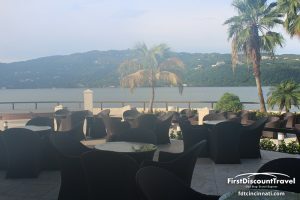 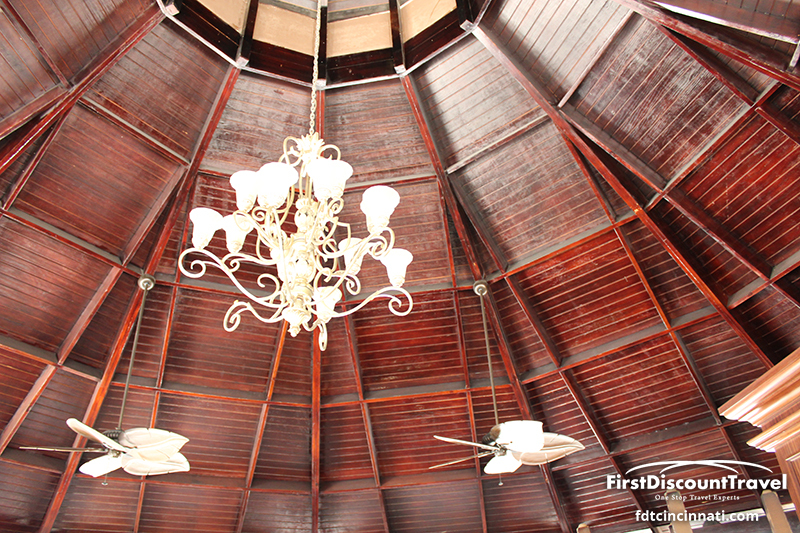 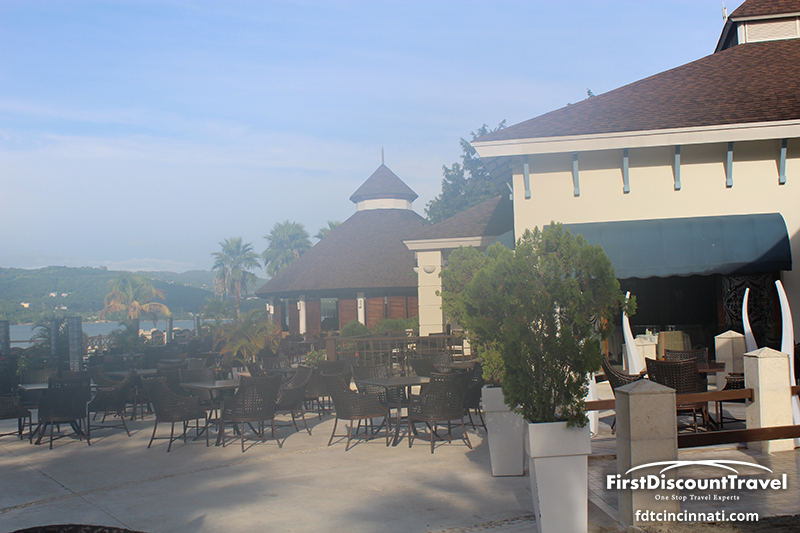 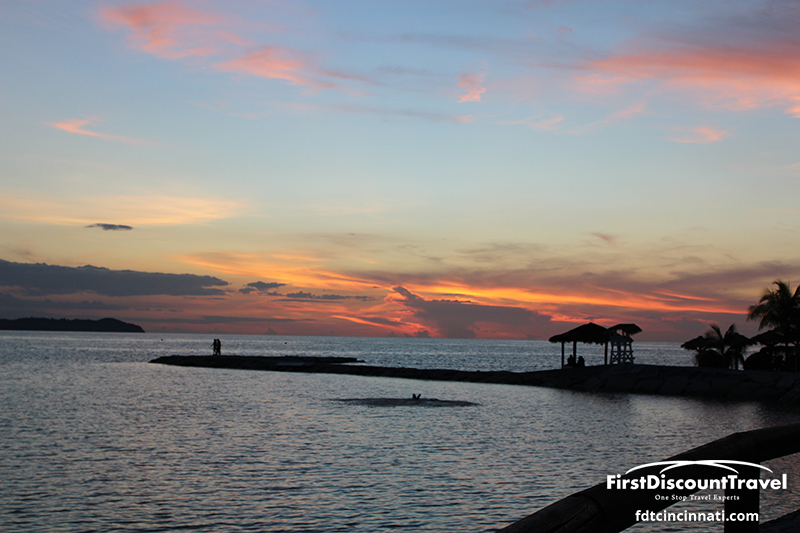 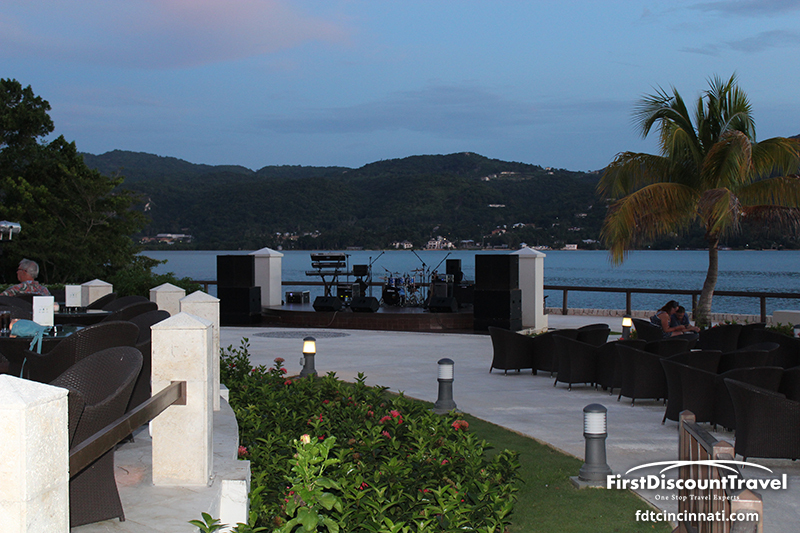 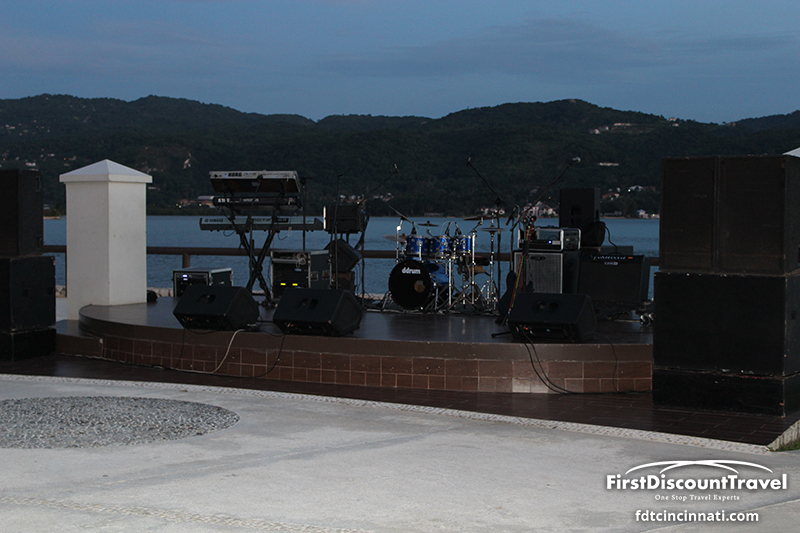 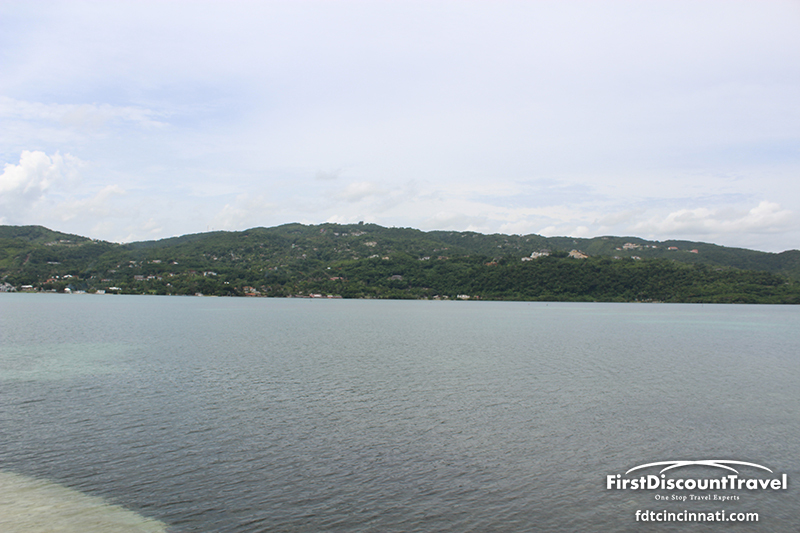 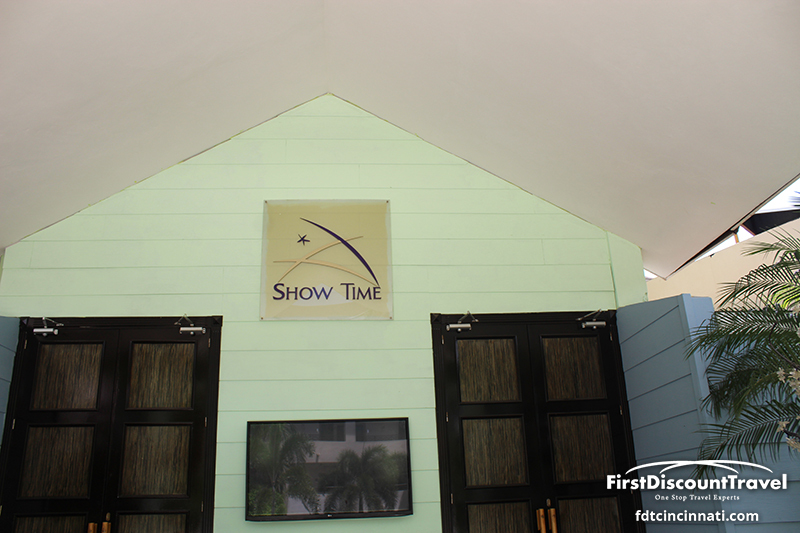 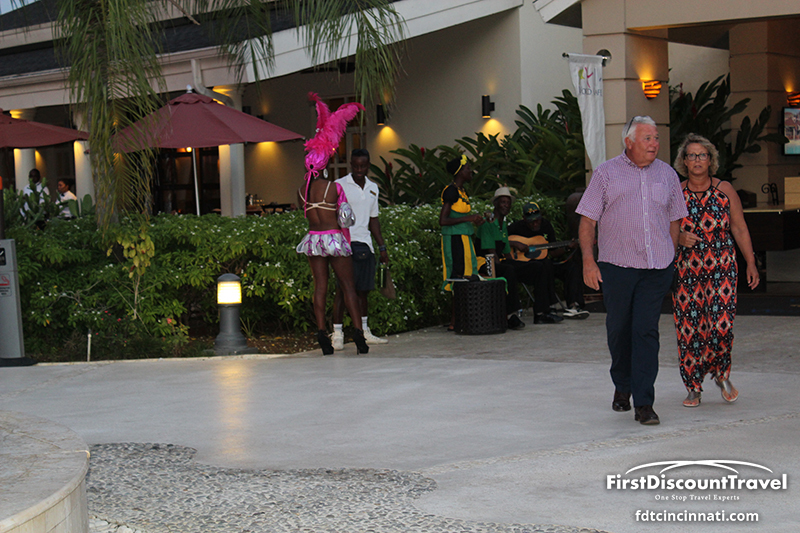 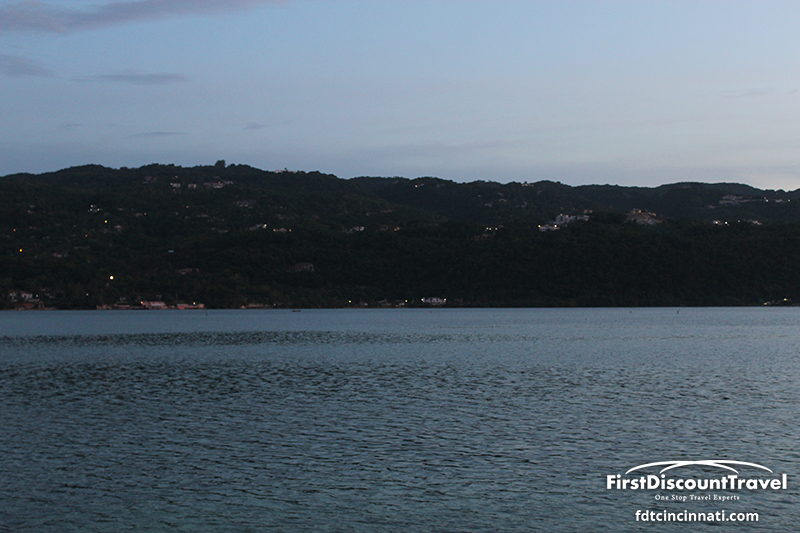 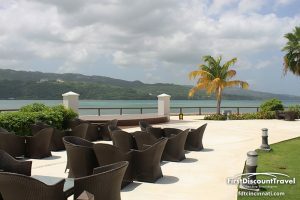 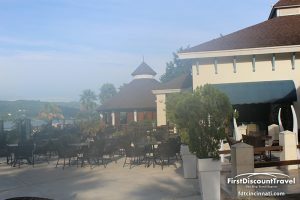 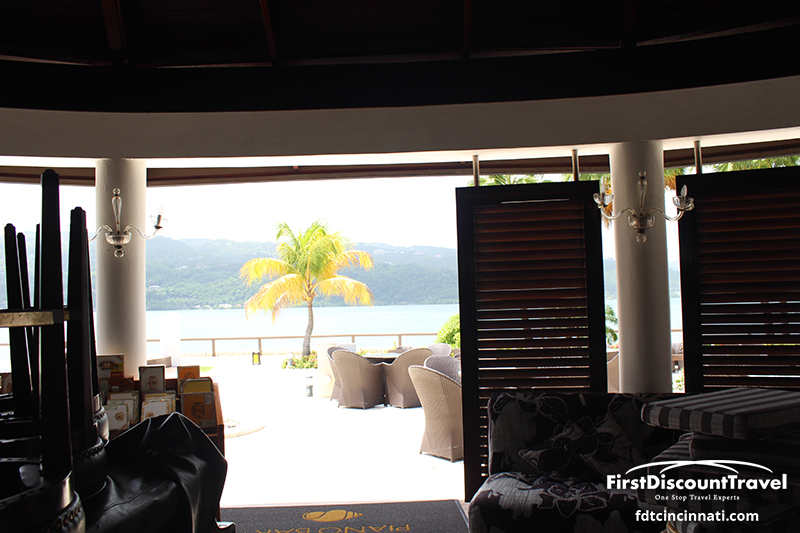 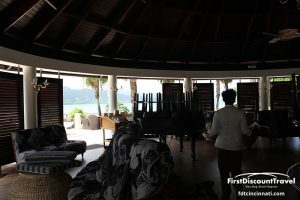 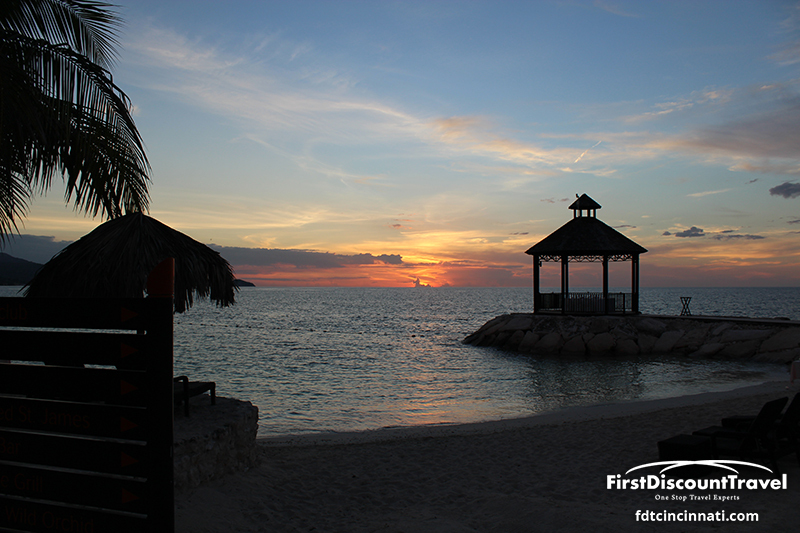 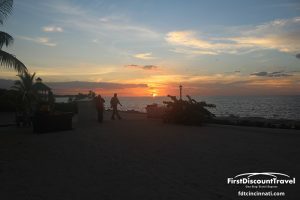 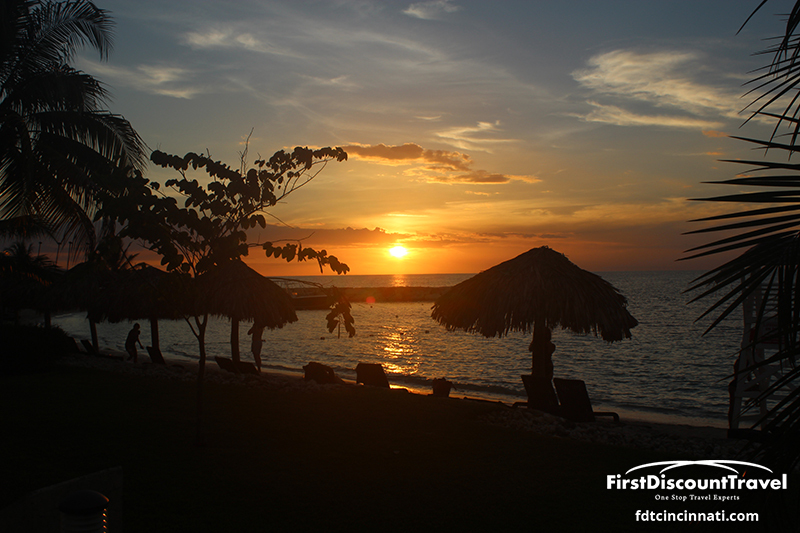 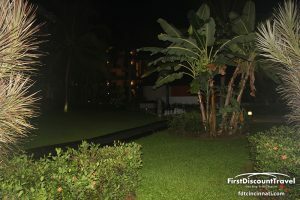 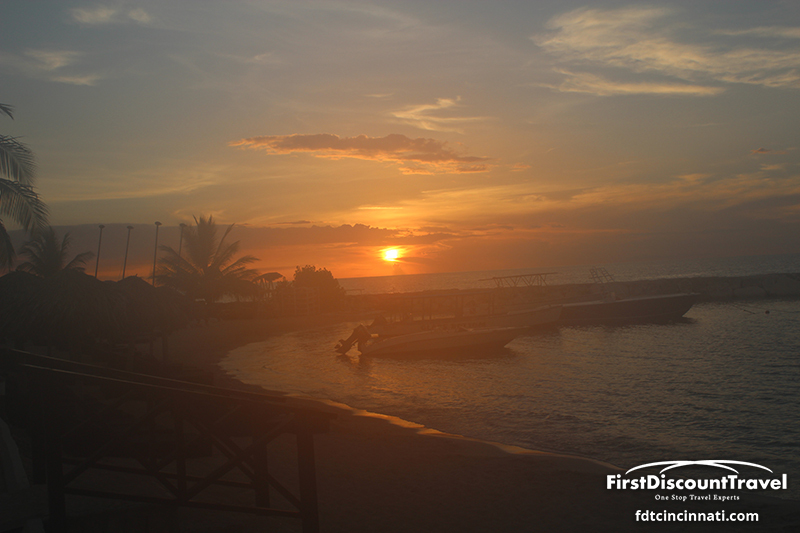 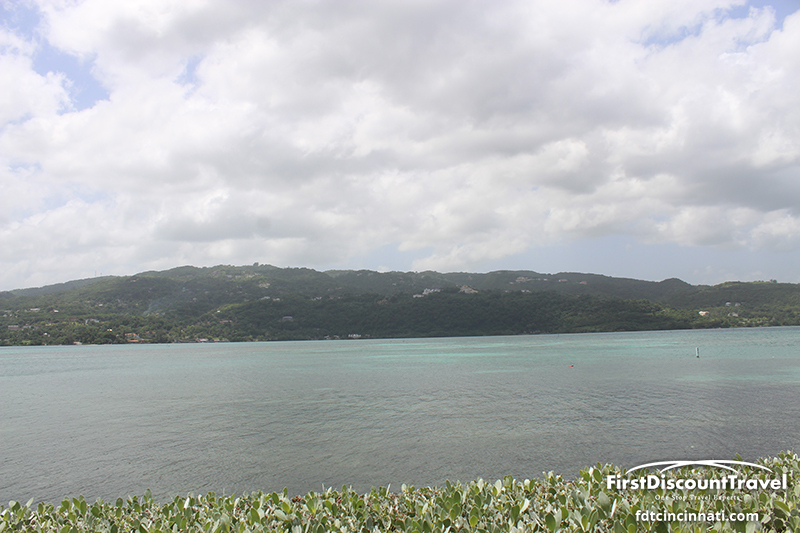 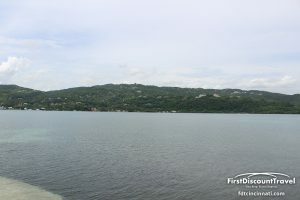 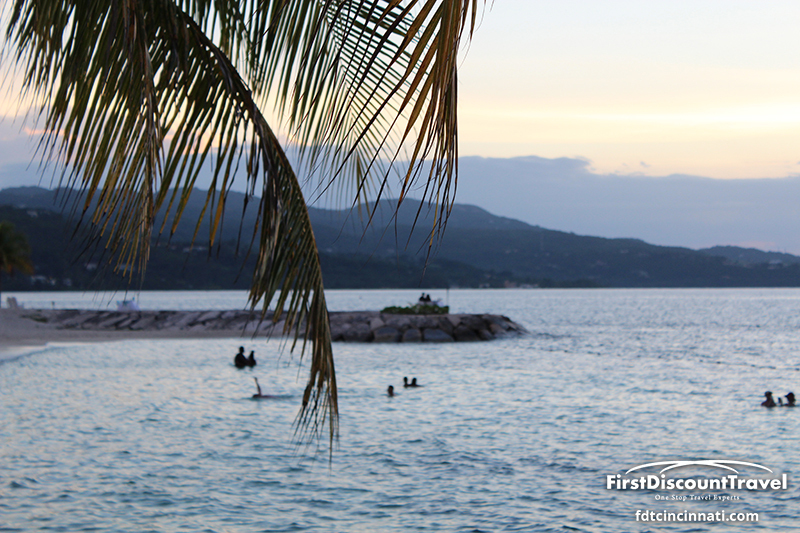 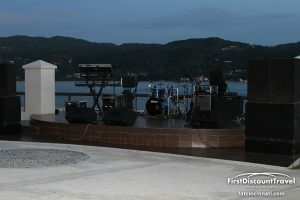 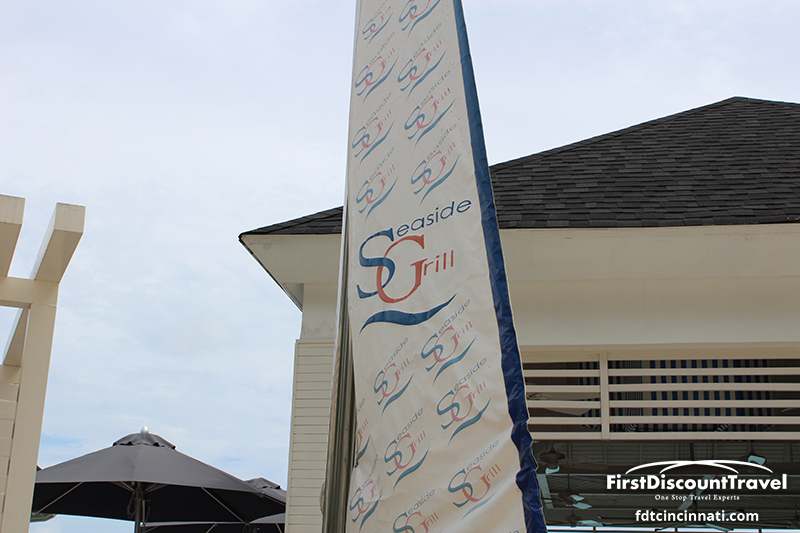 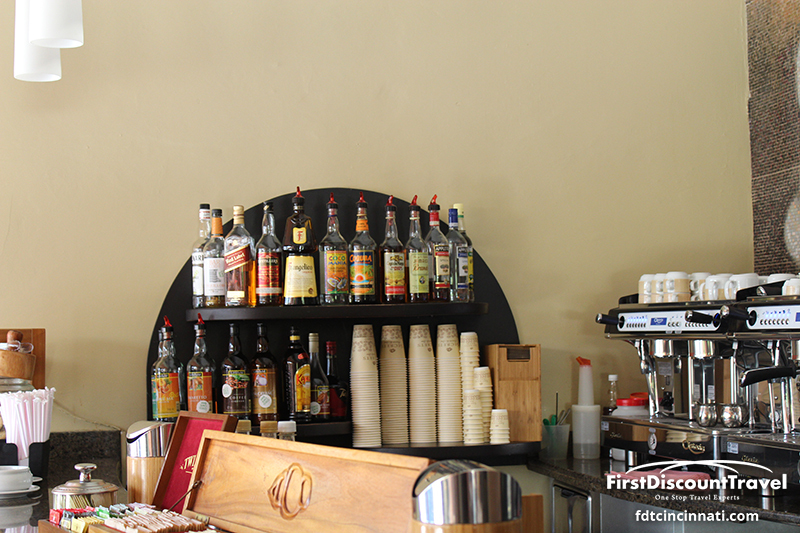 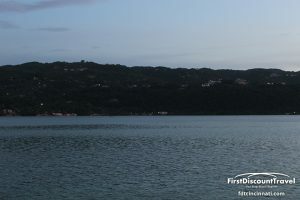 There is live music every night and the stage fronts the hills and lights of Jamaica across the bay. 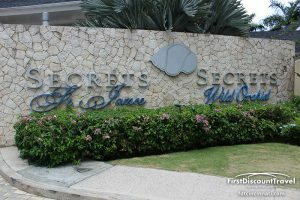 Overall, I loved Secrets! The rooms, pool, food, and atmosphere were awesome! 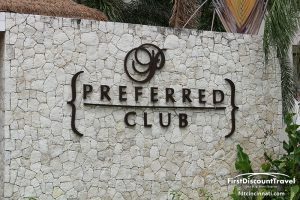 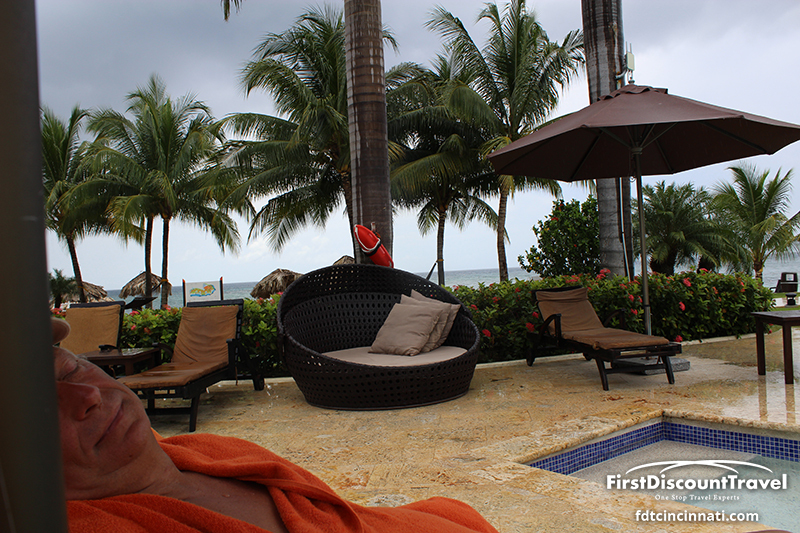 I highly recommend the Preferred Club and the beach was surprisingly nice. 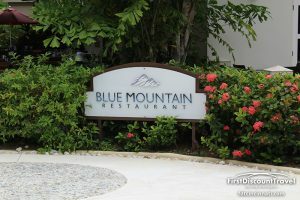 This is my favorite resort in Montego Bay.